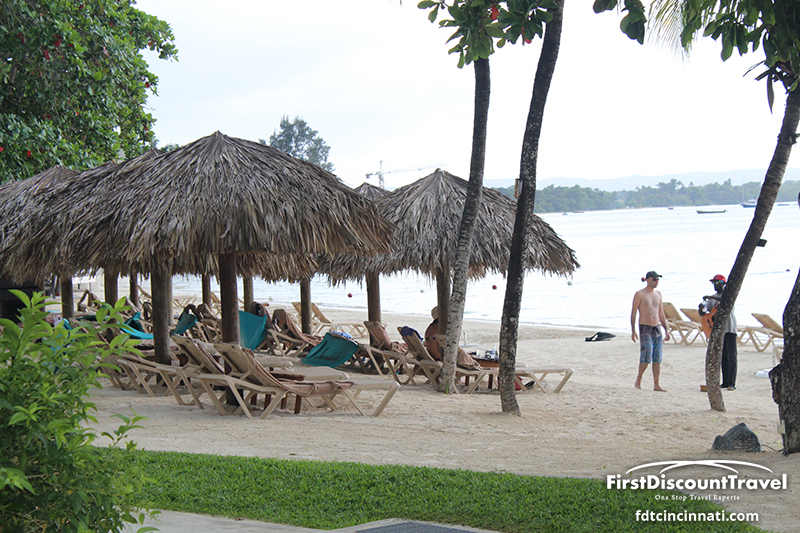 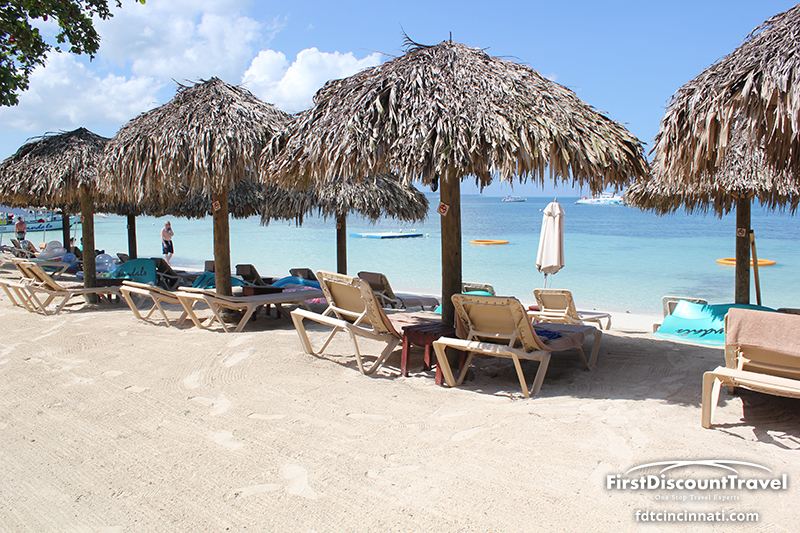 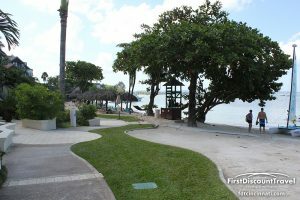 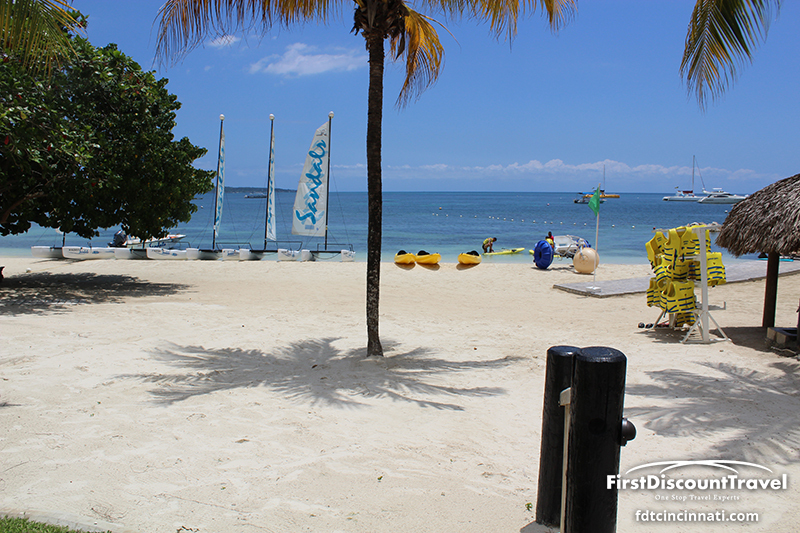 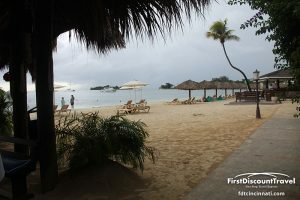 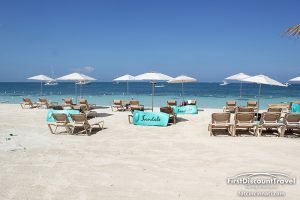 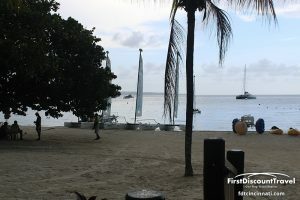 Sandals Negril commands one of the longest and best stretches of Negril's famous Seven Mile Beach. 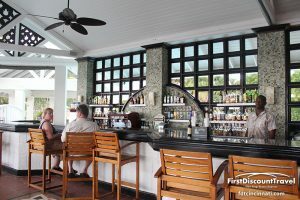 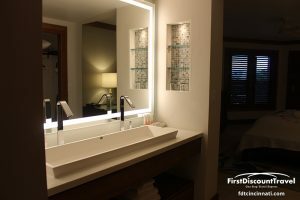 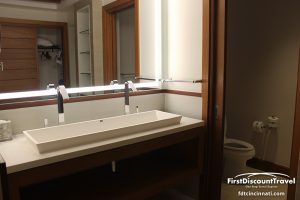 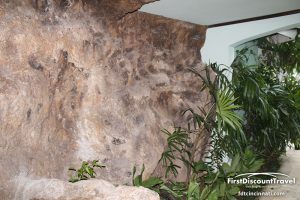 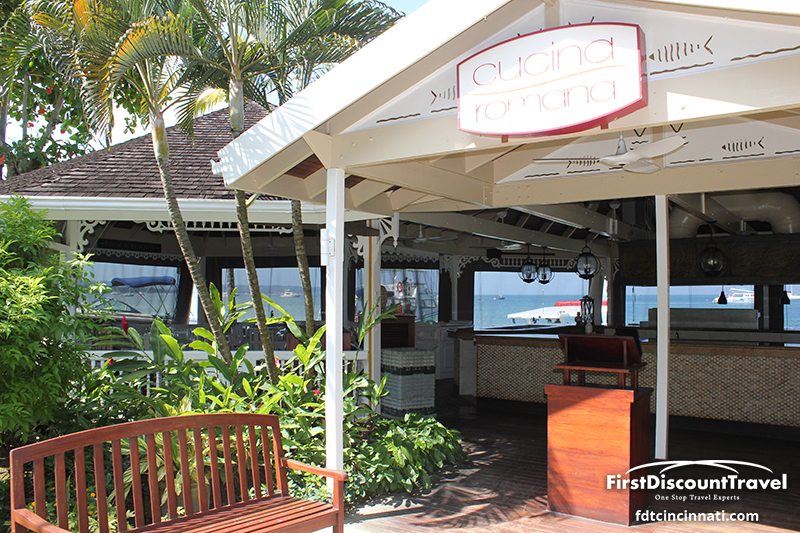 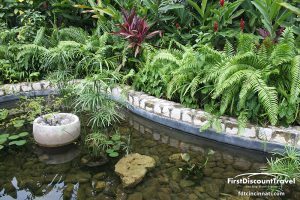 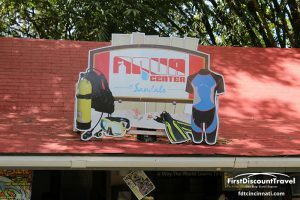 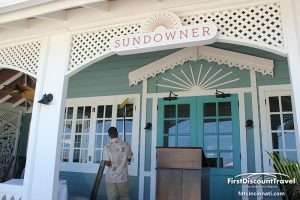 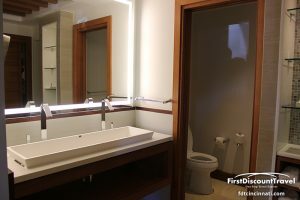 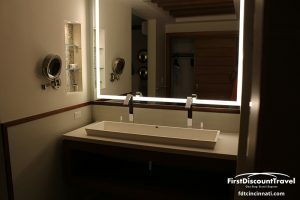 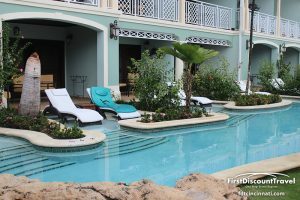 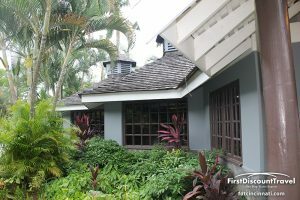 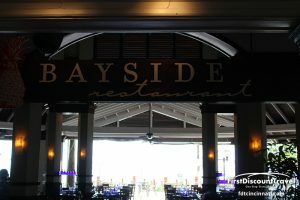 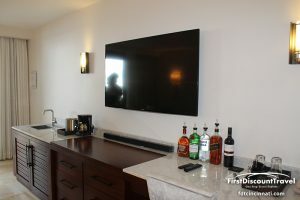 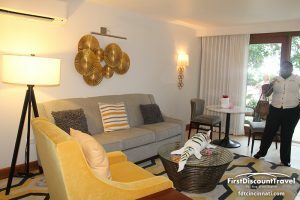 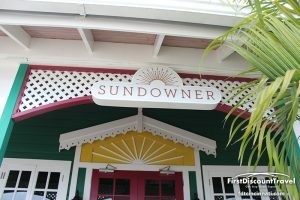 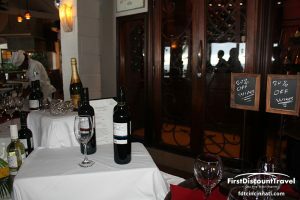 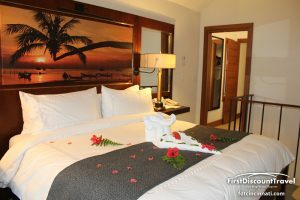 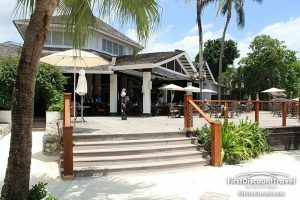 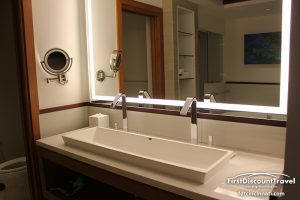 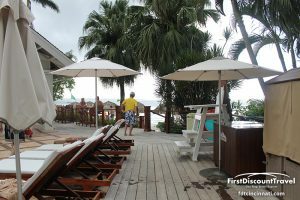 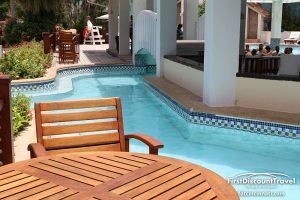 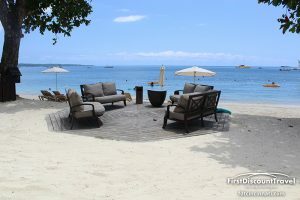 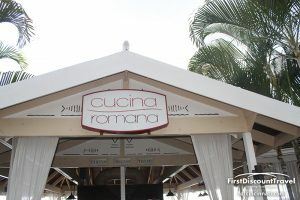 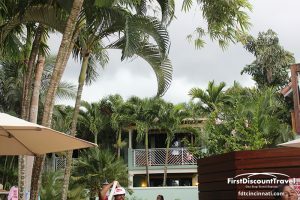 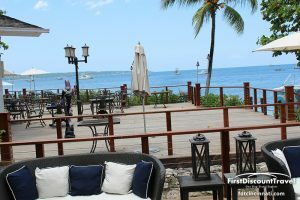 This resort also features seven restaurants, five bars serving premium brand beverages including Beringer Wines, unlimited land and motorized water sports including scuba diving and water skiing, and the full-service Red Lane Spa. 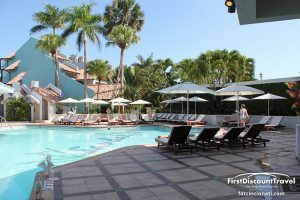 Combining a laid-back atmosphere with refined elegance, this environmentally- friendly resort offers the ultimate in personalized pampering with luxurious accommodations including the Beachfront Swim-Up Suites, complete with patios that step directly into the pool, flat-screen televisions, 24-hour room service and butler service. 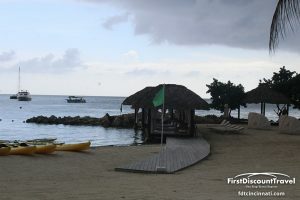 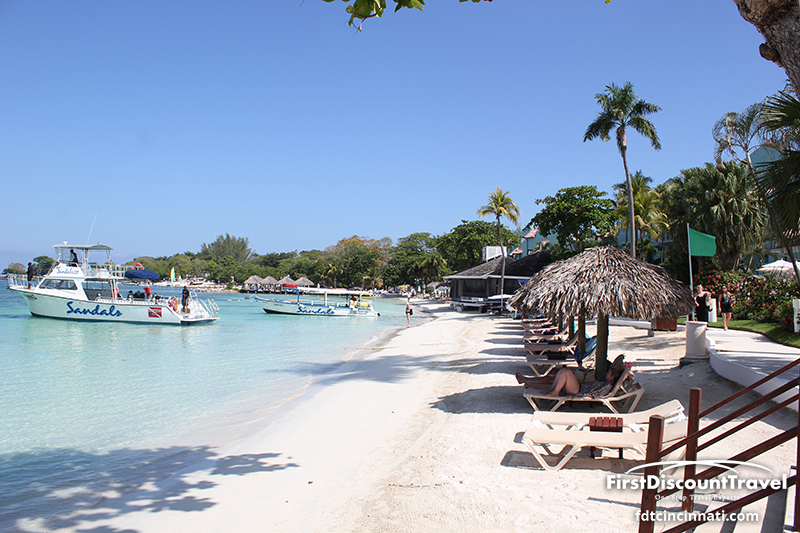 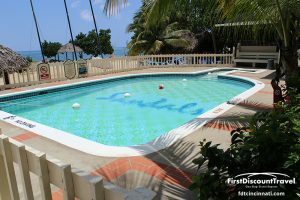 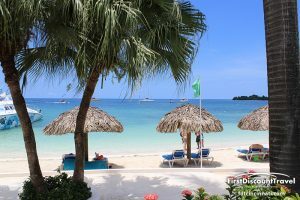 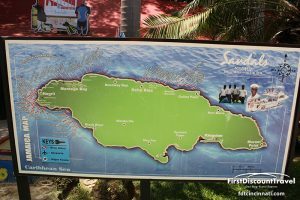 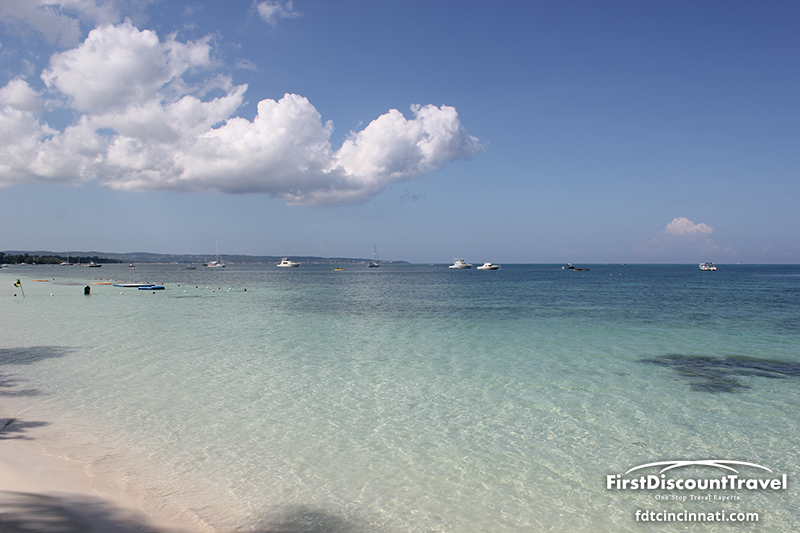 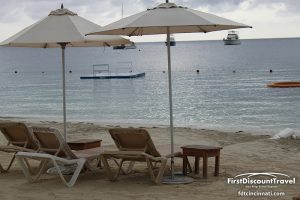 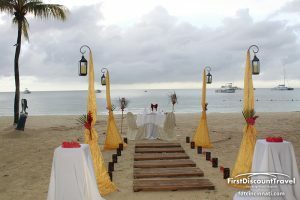 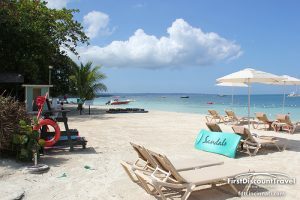 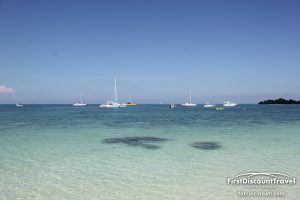 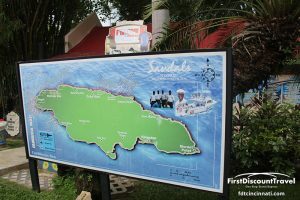 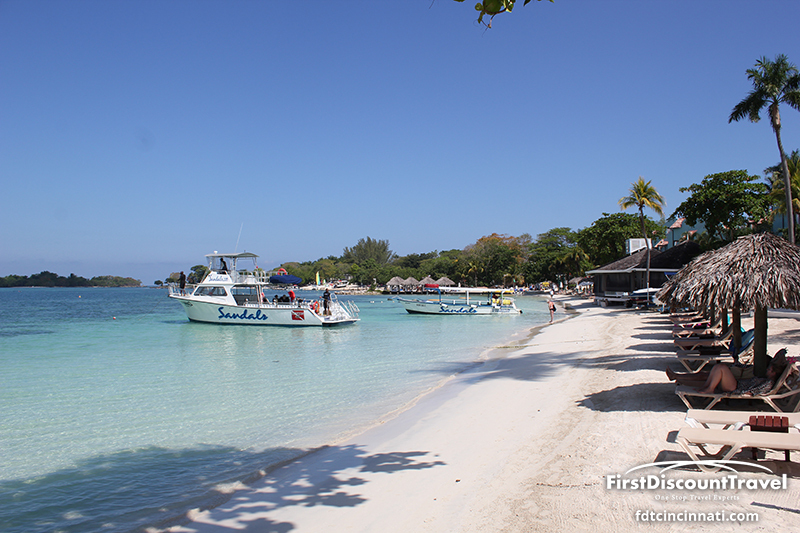 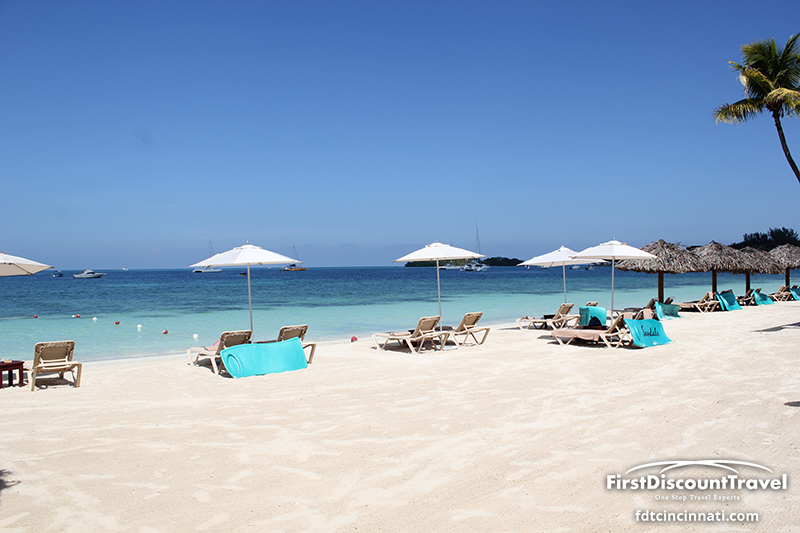 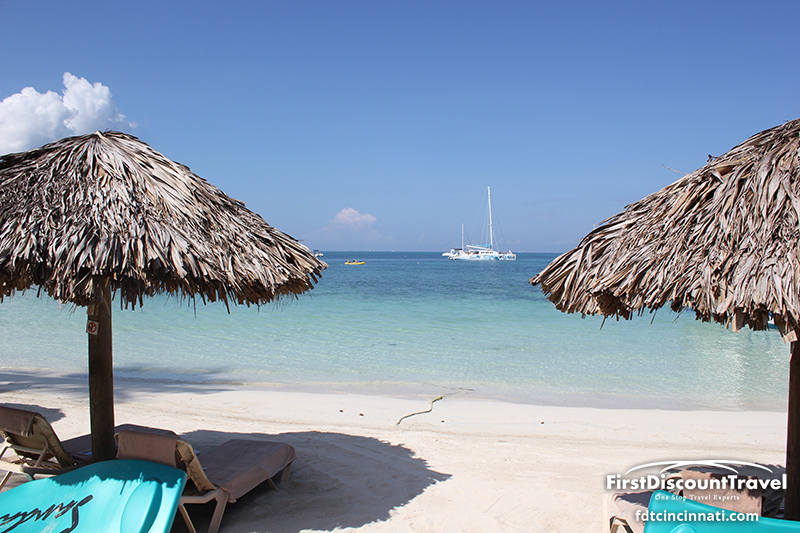 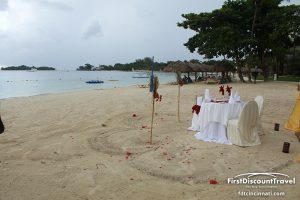 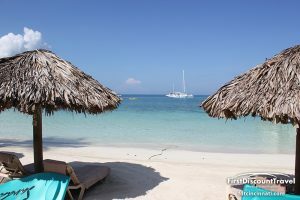 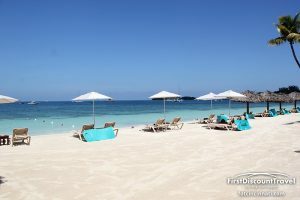 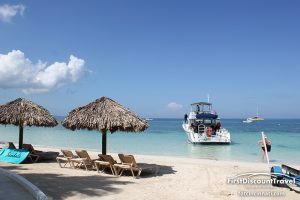 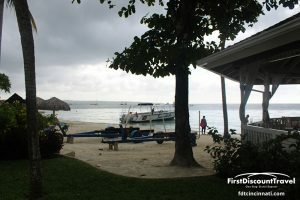 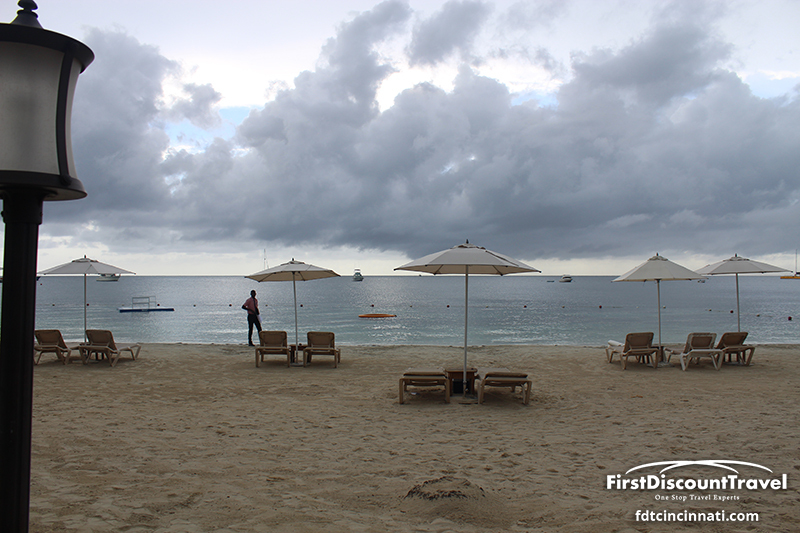 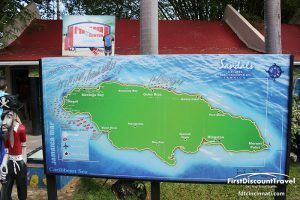 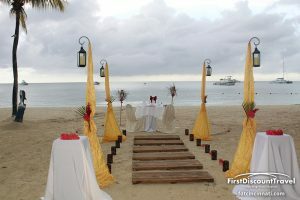 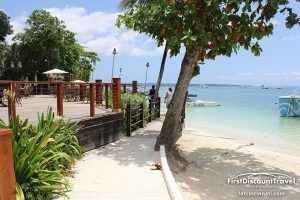 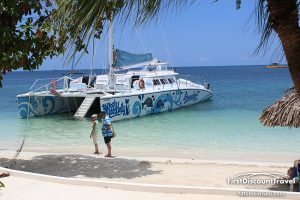 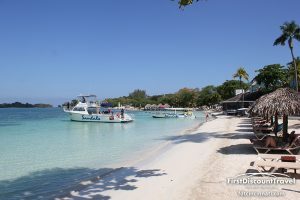 Sandals Negril is located on a half mile stretch of world famous 7 mile beach in the quaint town of Negril. 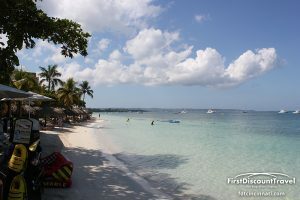 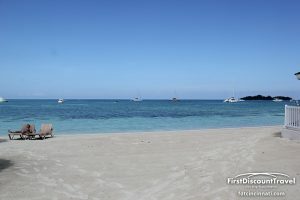 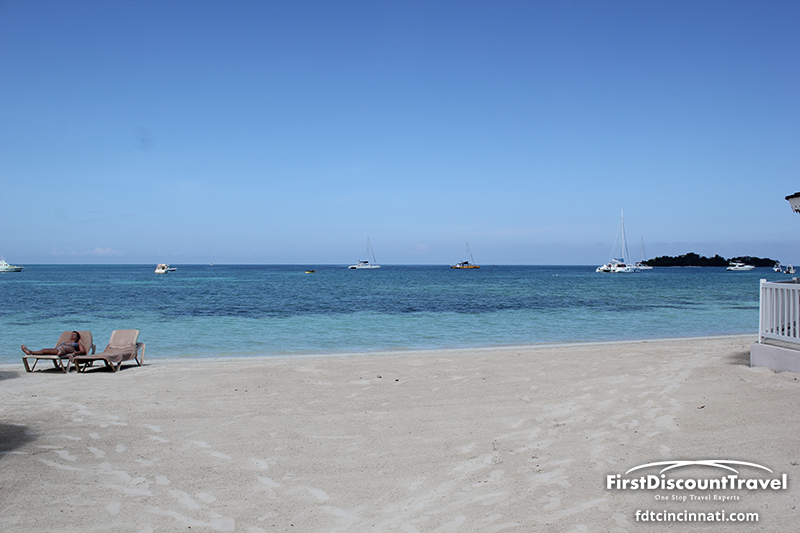 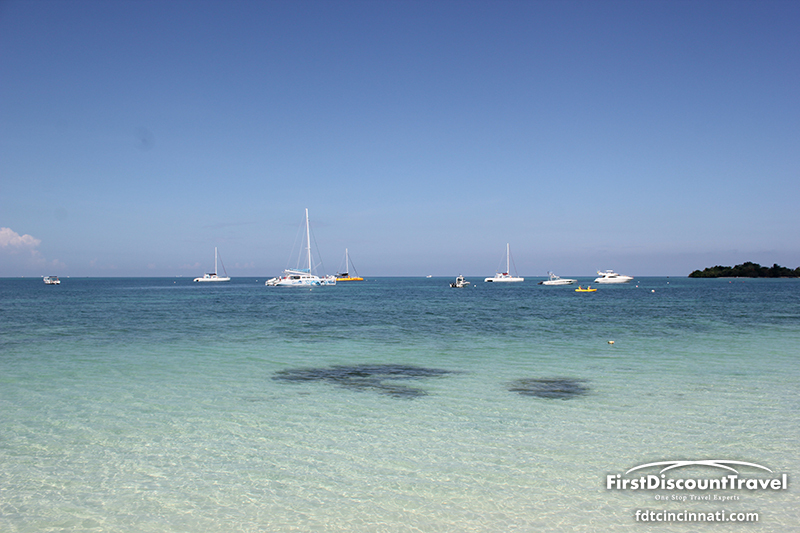 The beach is great with white sand and Turquois Sea; however it is a little narrow. 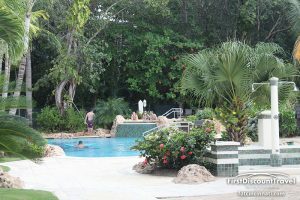 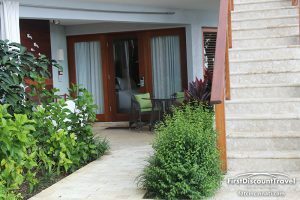 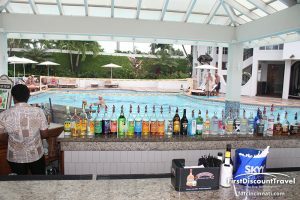 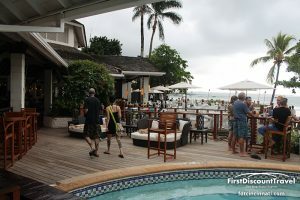 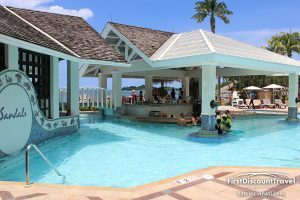 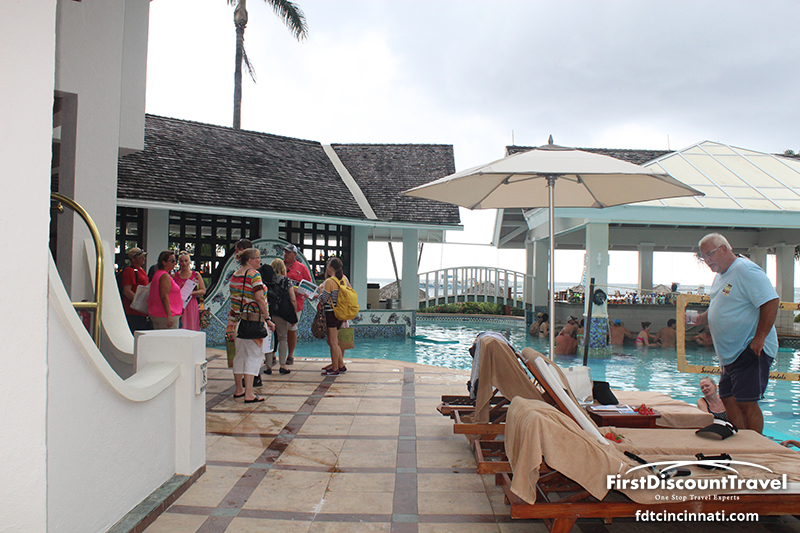 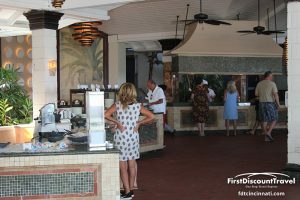 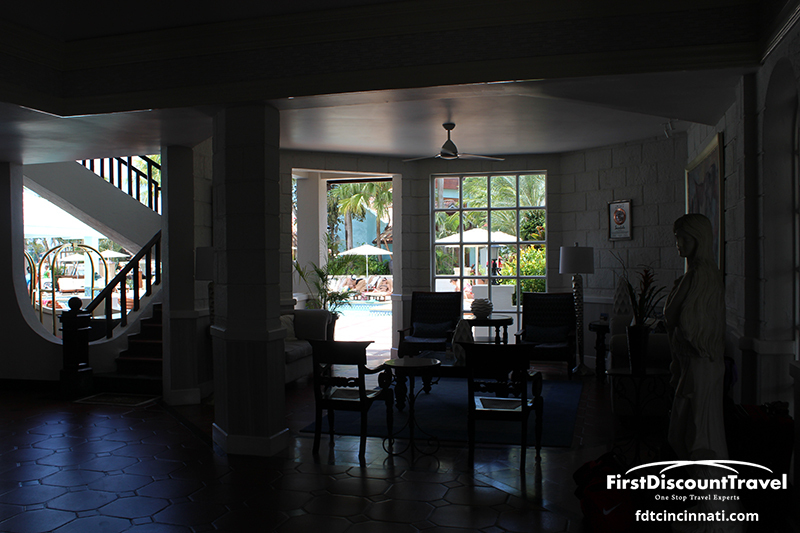 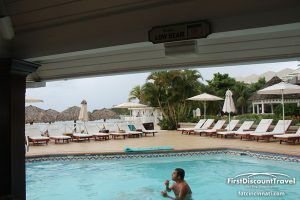 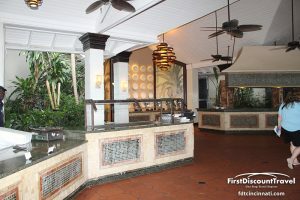 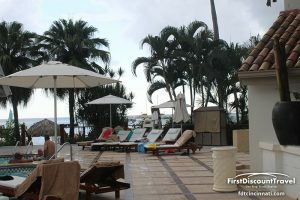 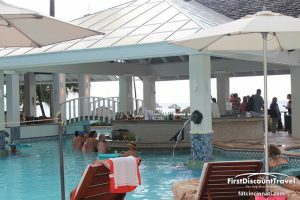 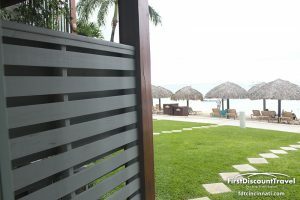 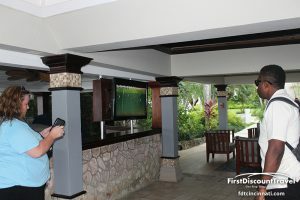 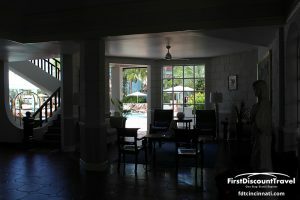 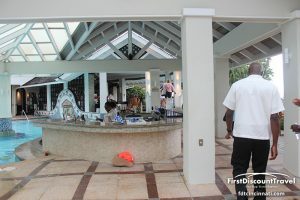 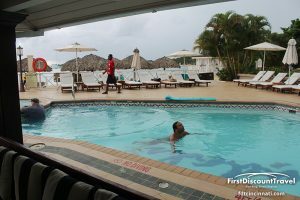 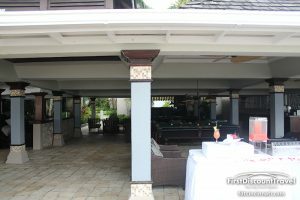 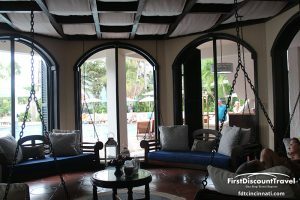 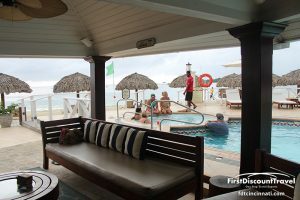 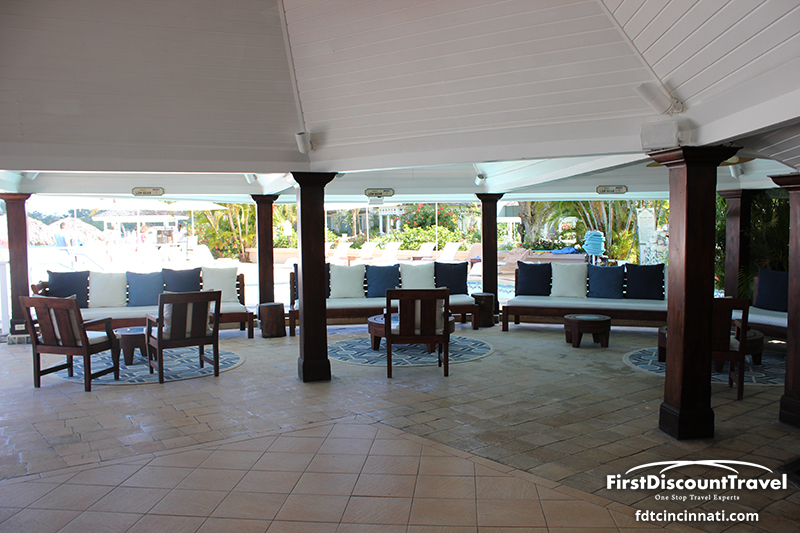 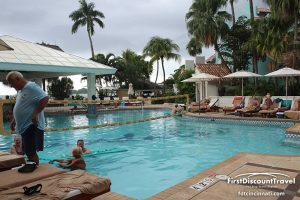 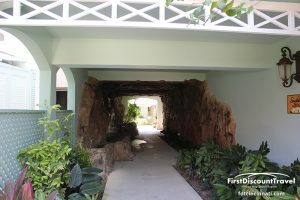 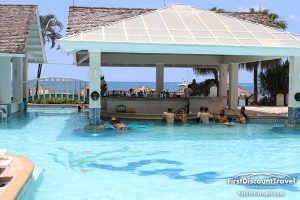 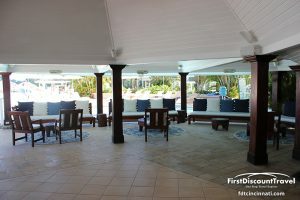 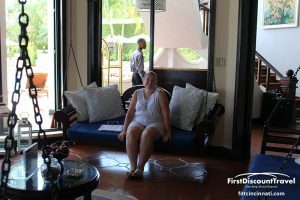 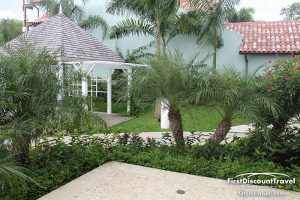 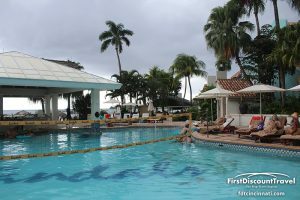 The lobby is typical Sandals, but the pool area was relatively small (due to the fantastic beach) with a swim up pool bar. 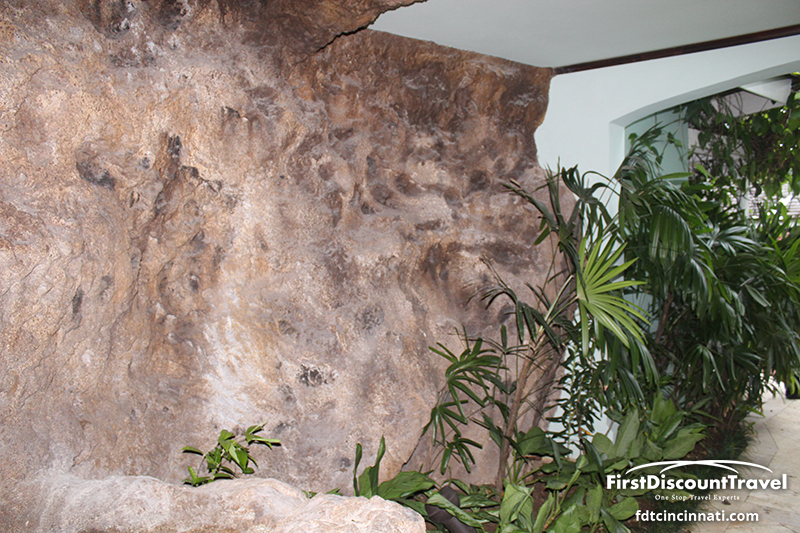 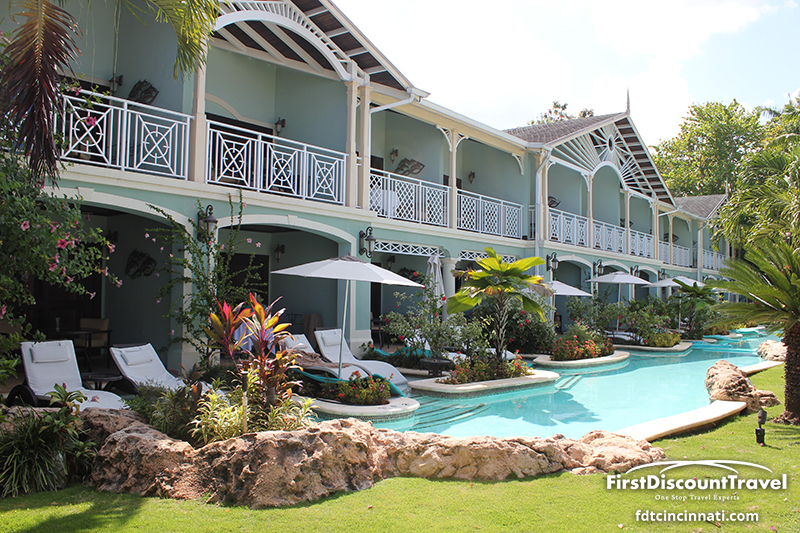 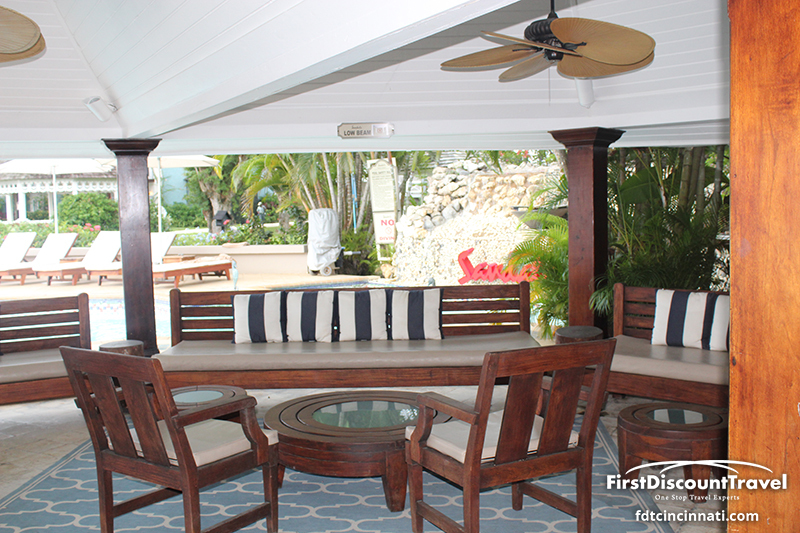 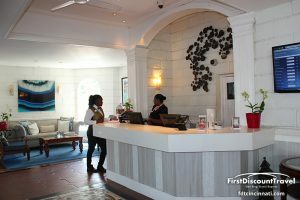 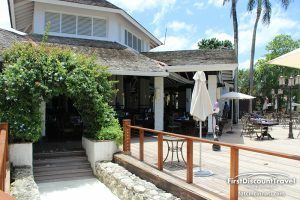 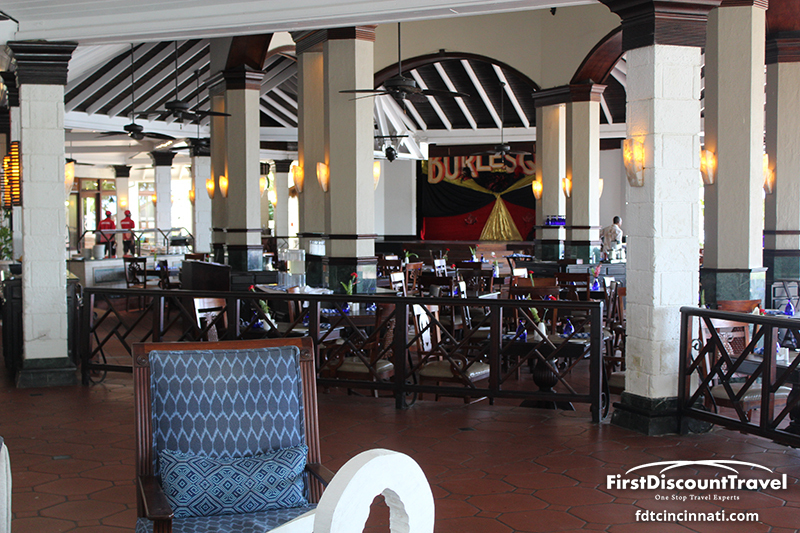 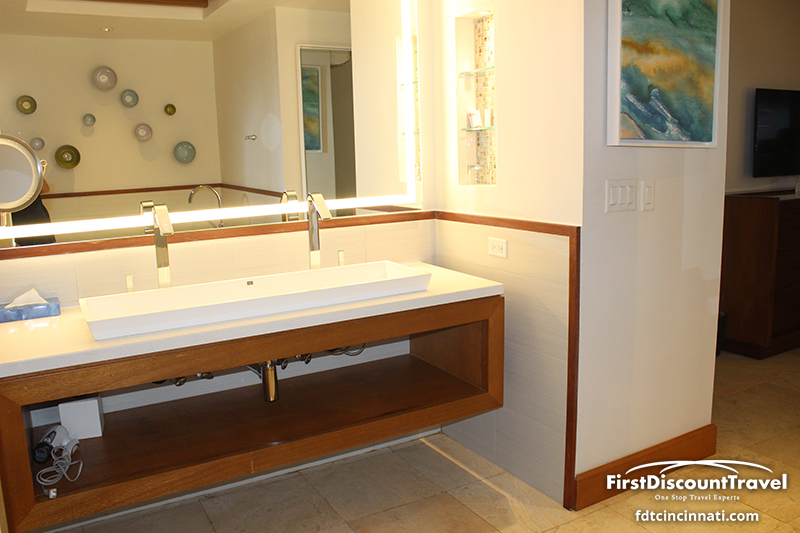 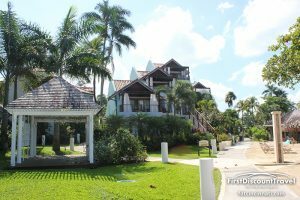 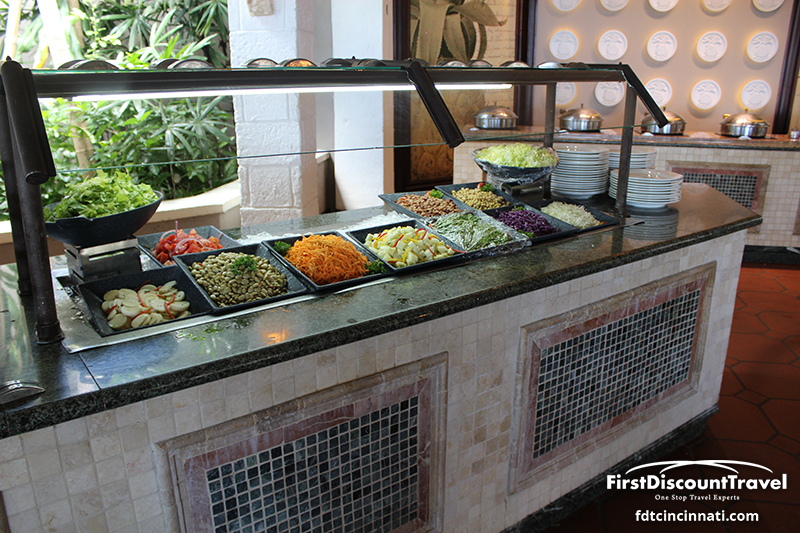 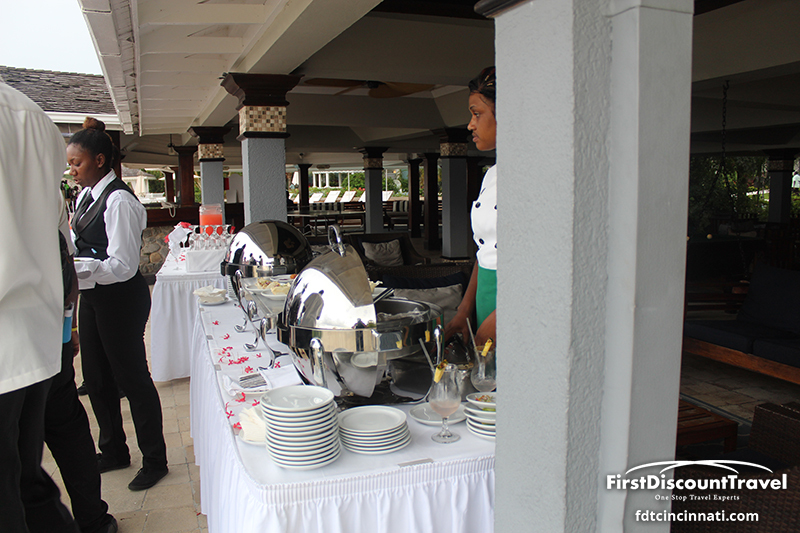 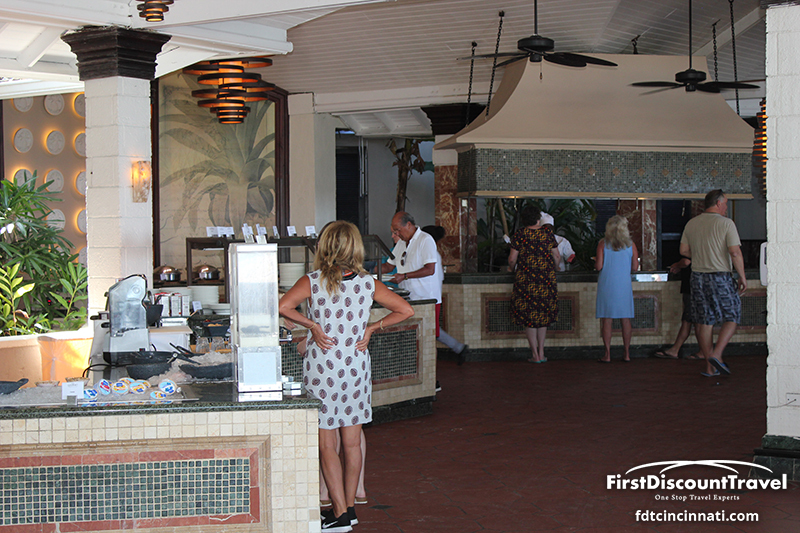 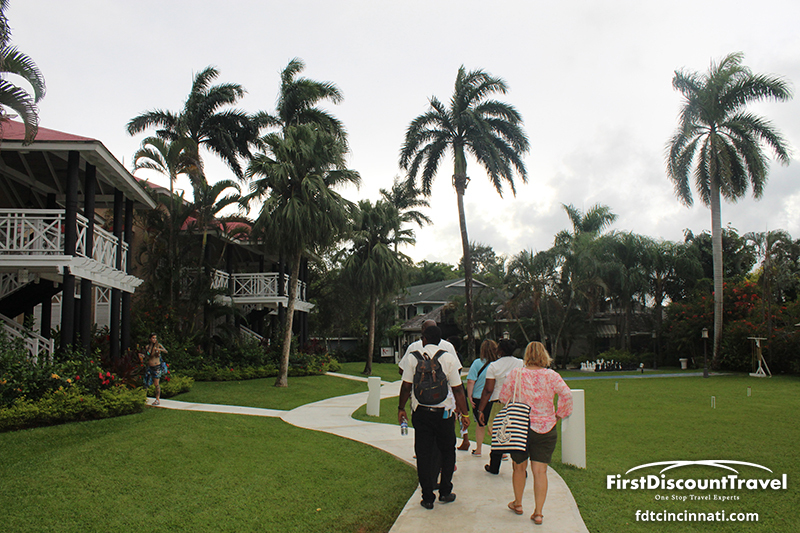 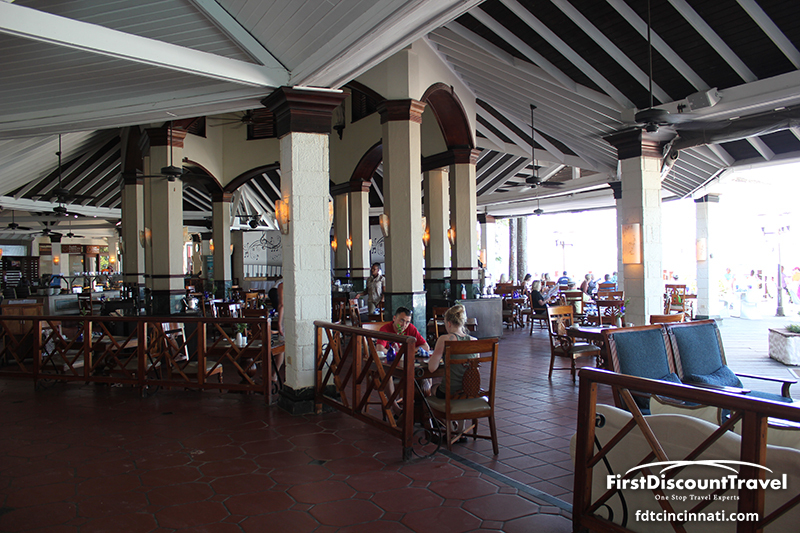 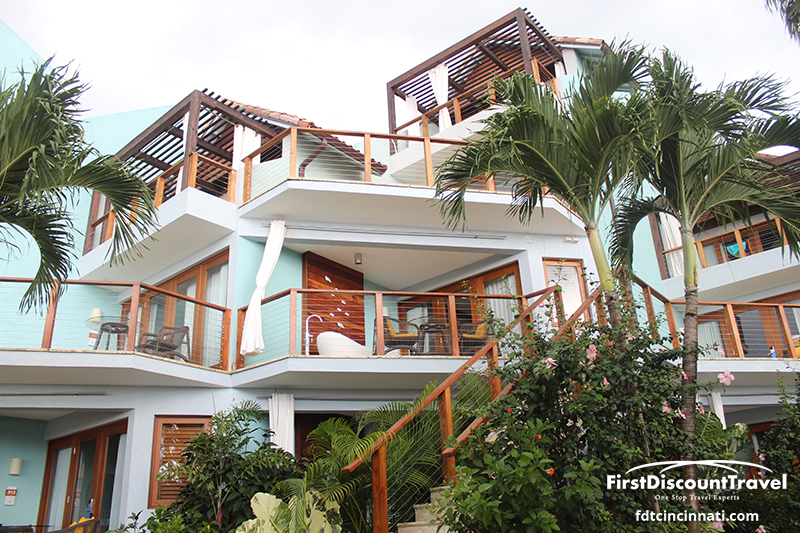 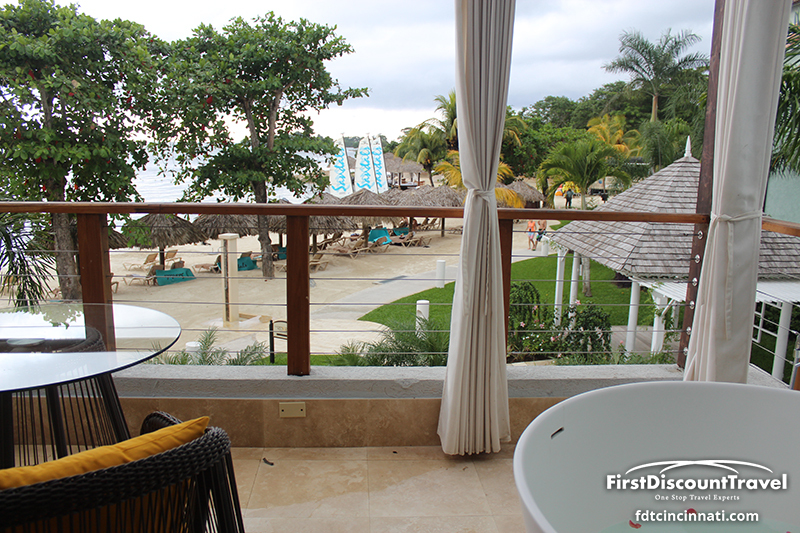 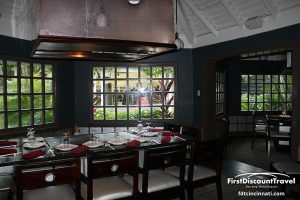 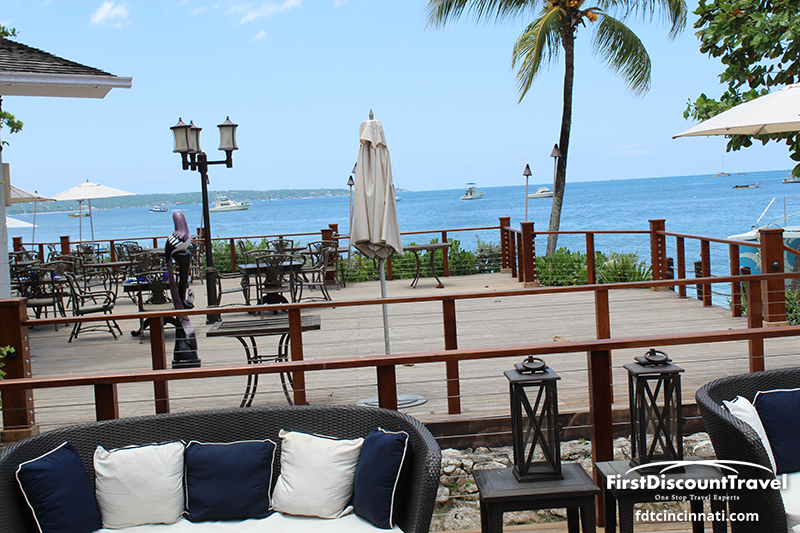 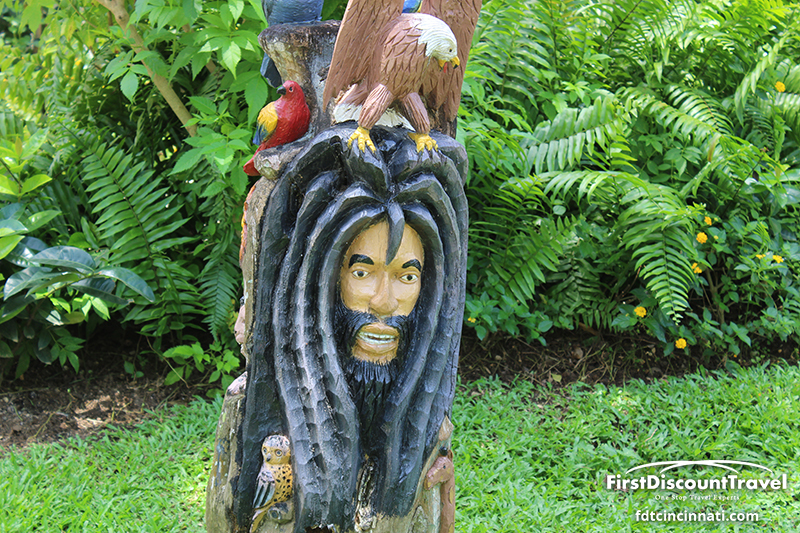 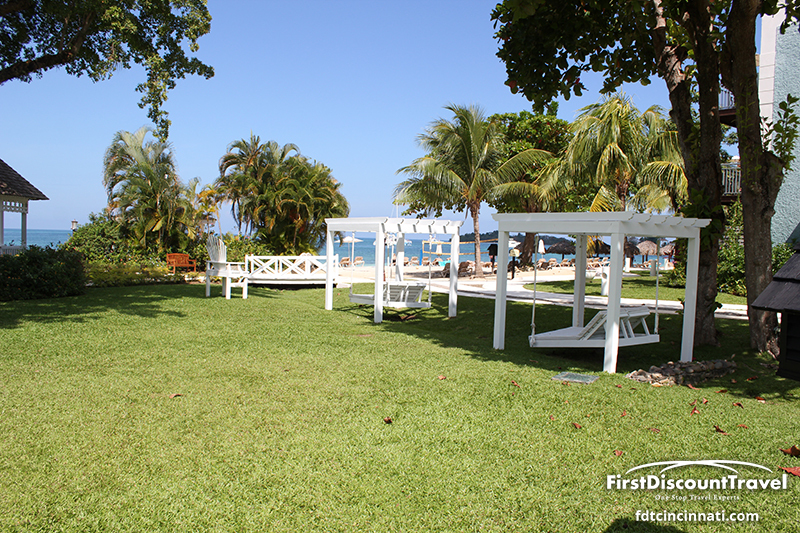 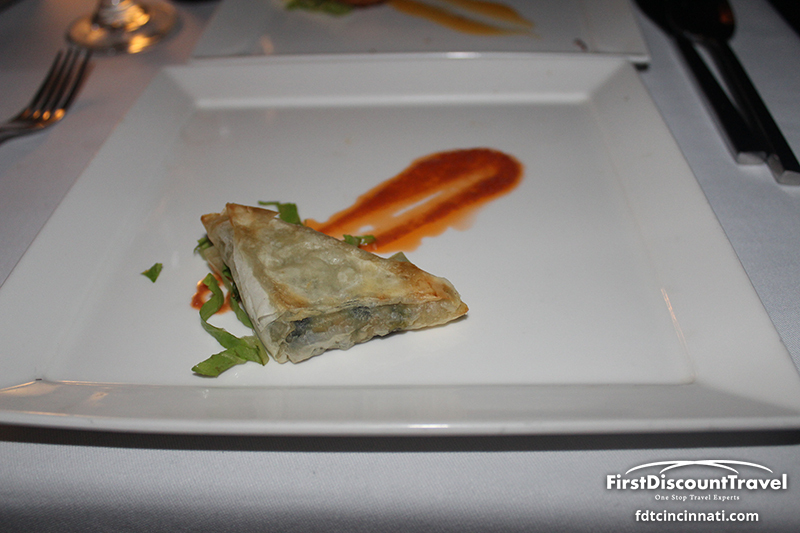 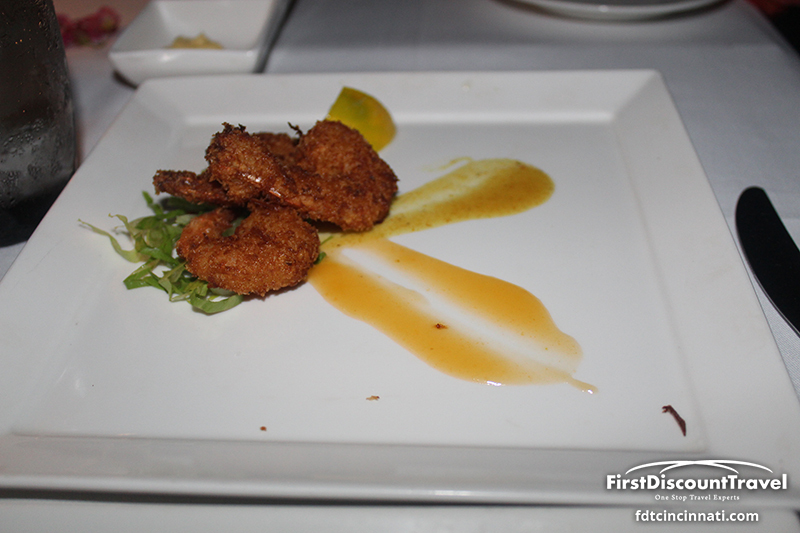 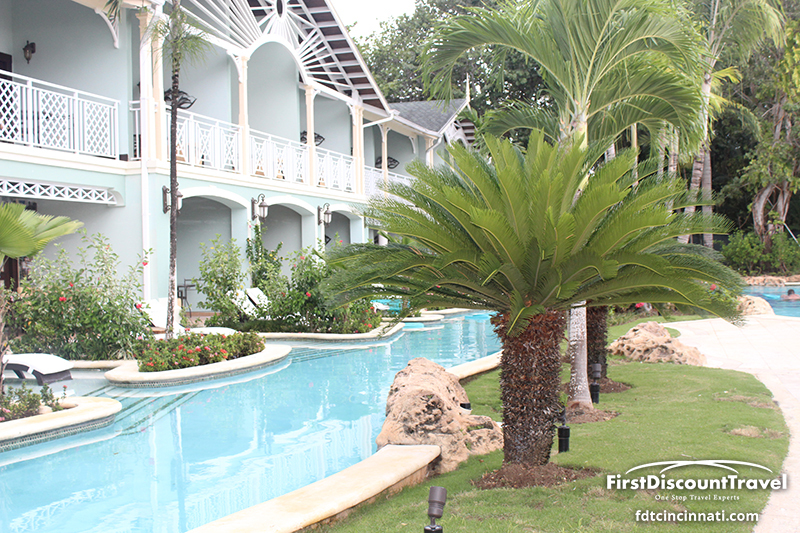 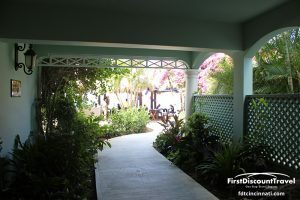 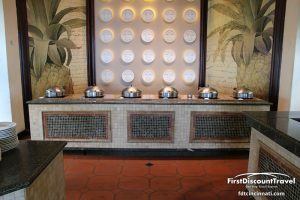 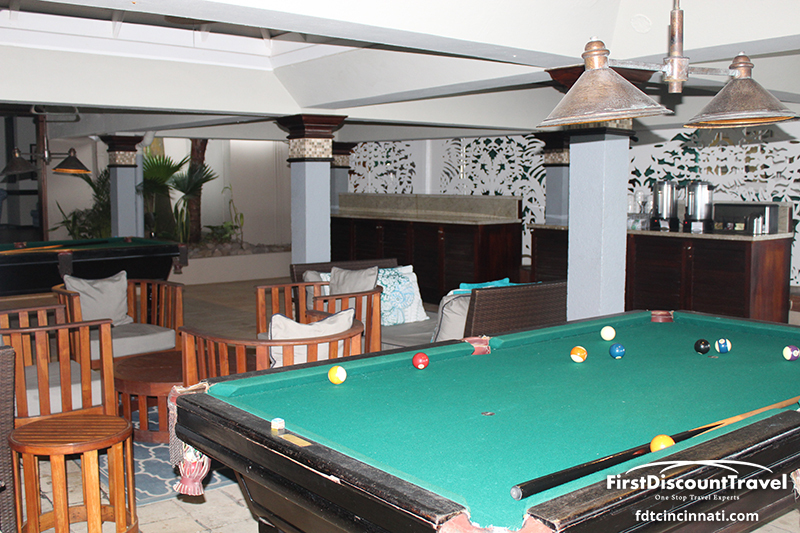 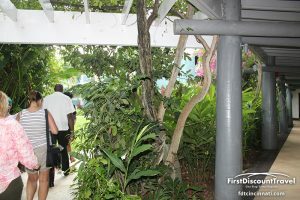 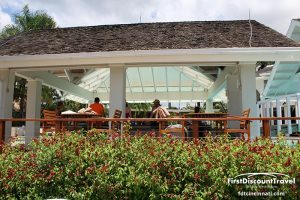 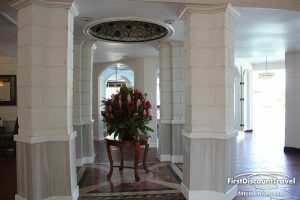 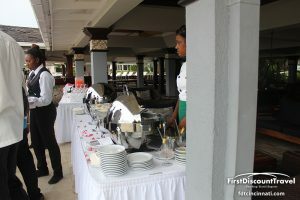 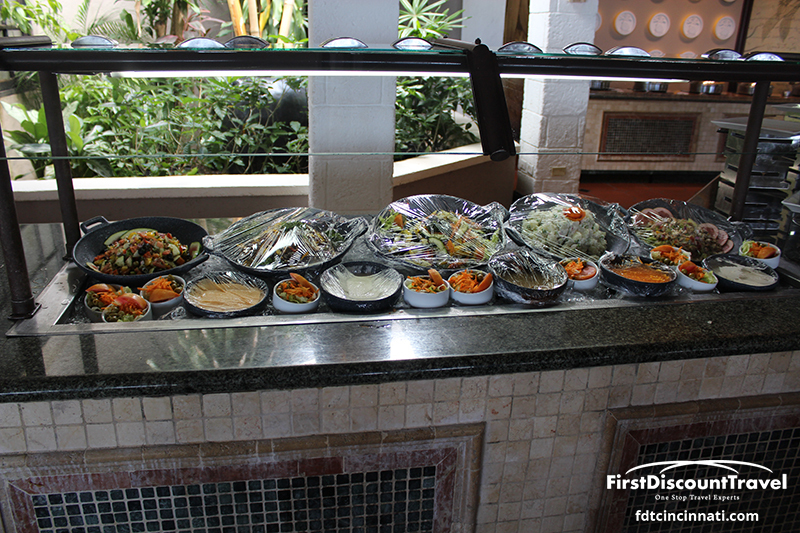 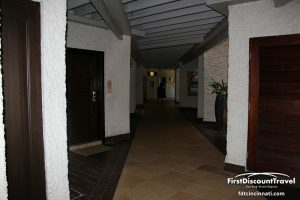 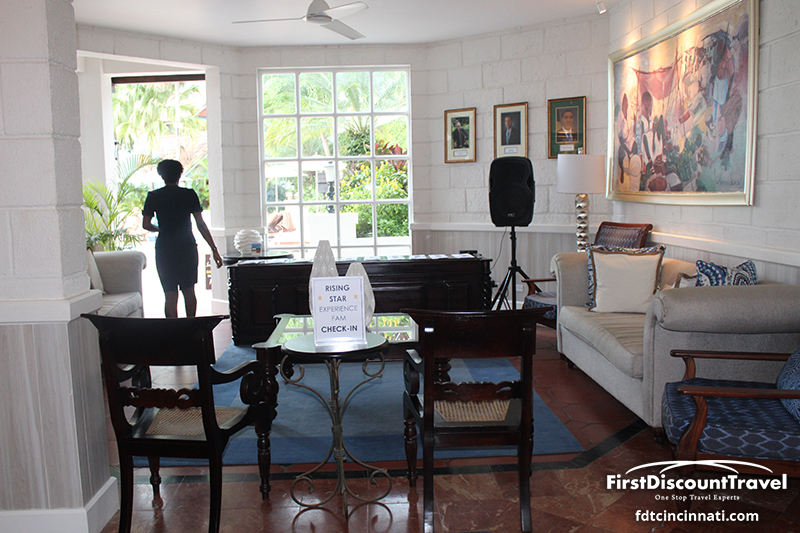 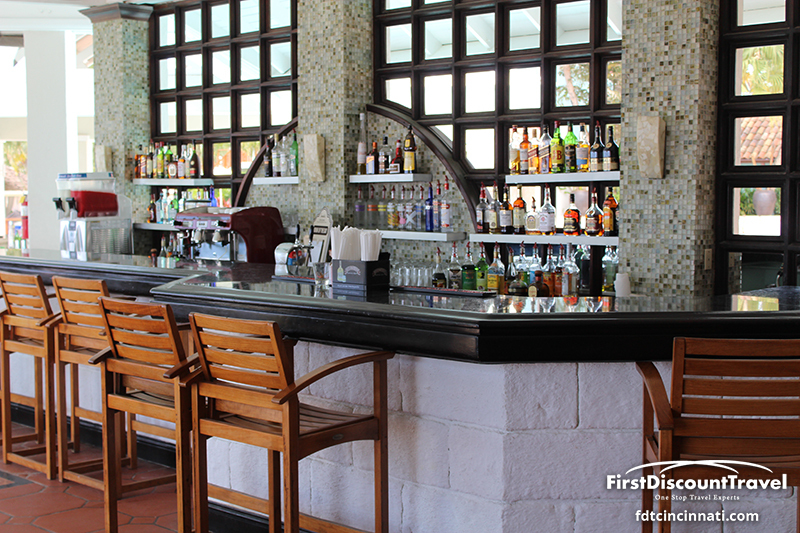 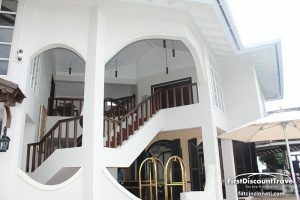 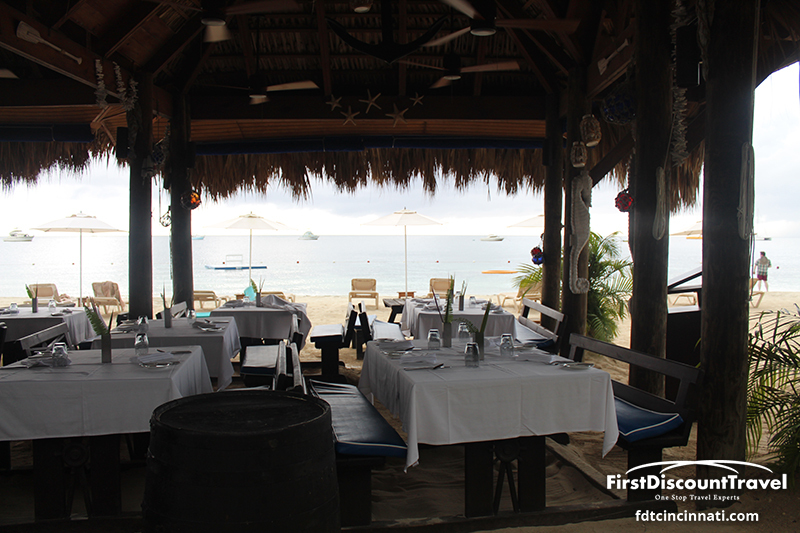 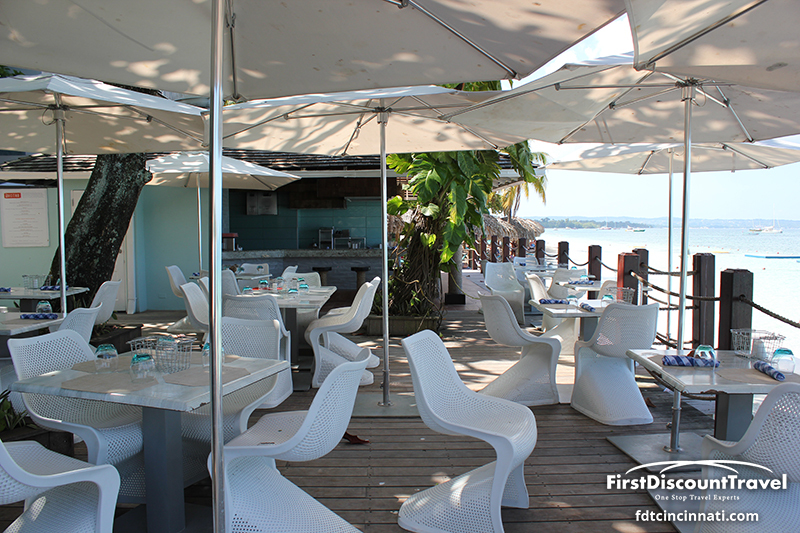 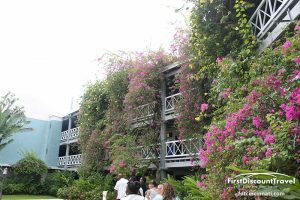 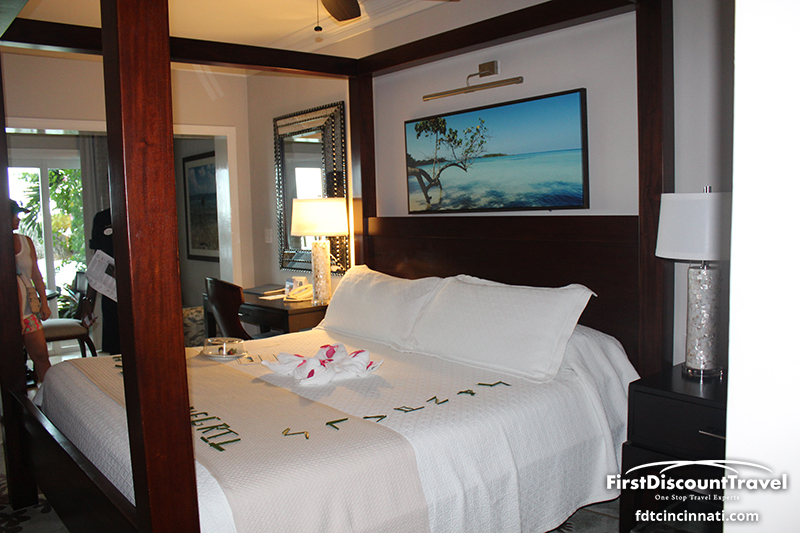 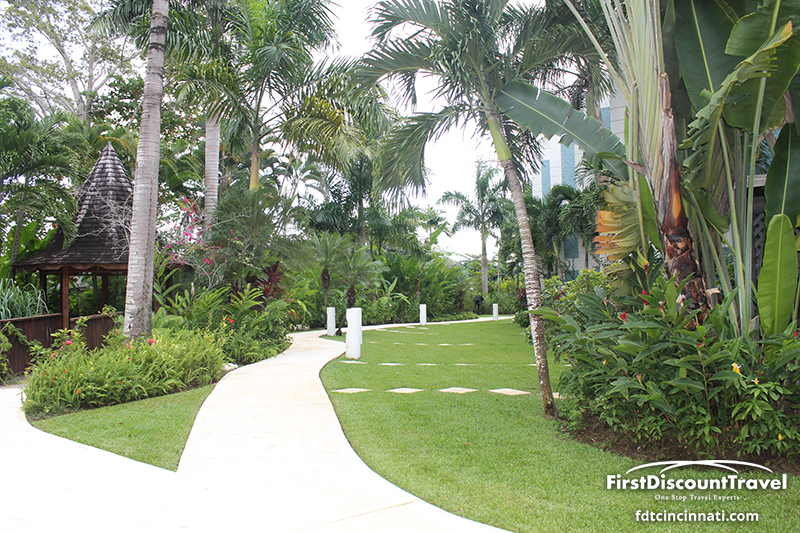 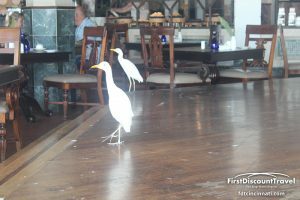 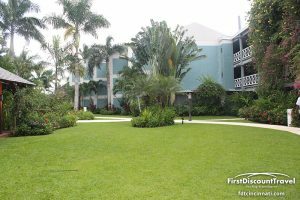 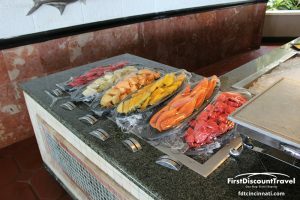 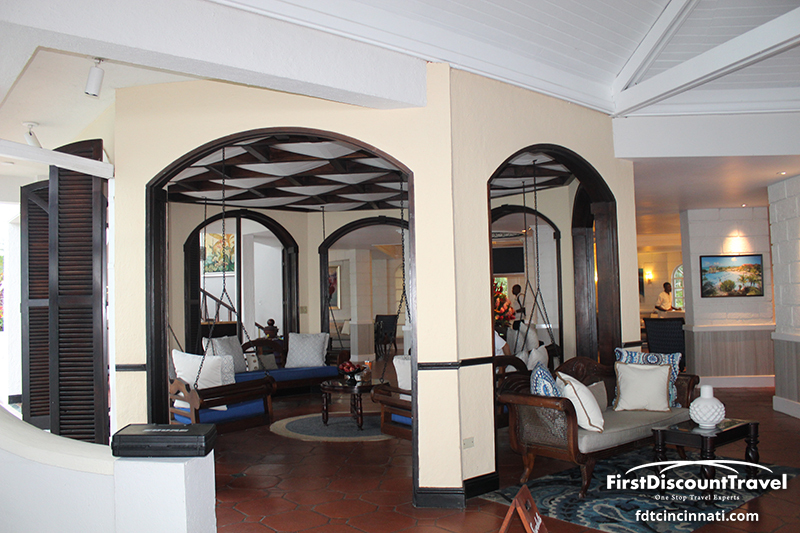 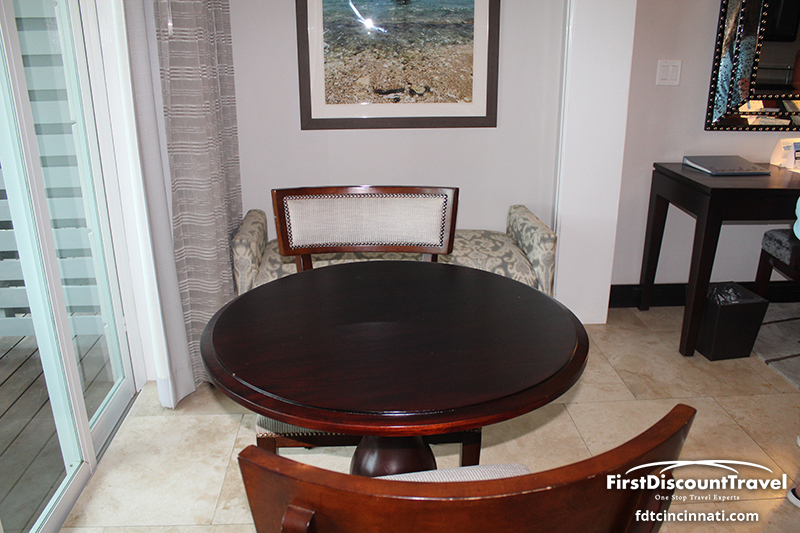 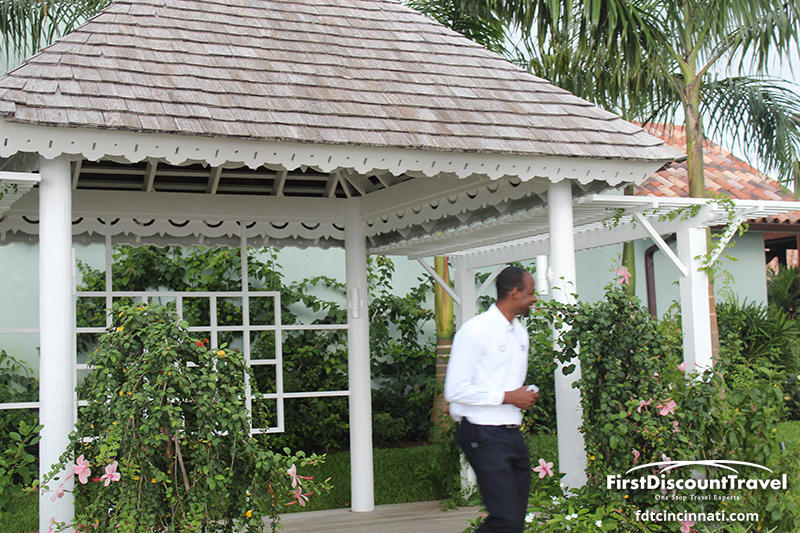 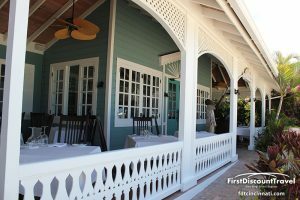 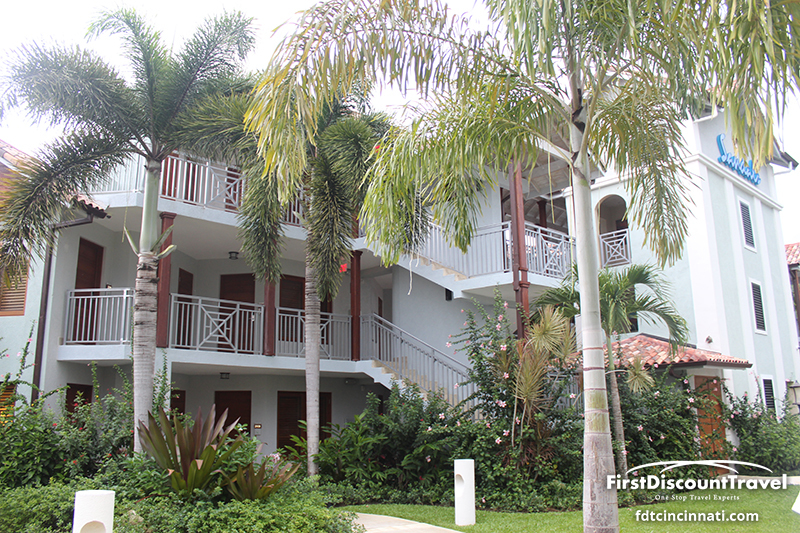 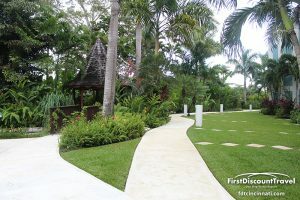 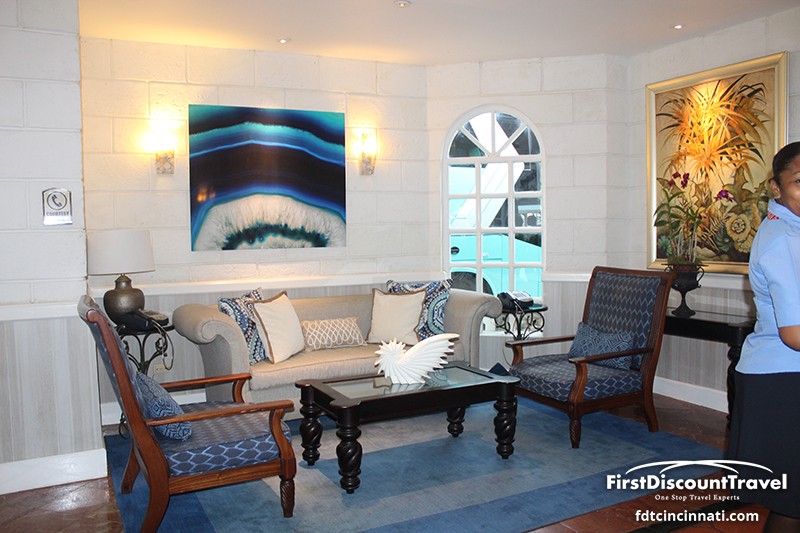 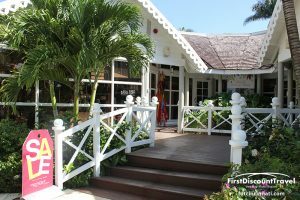 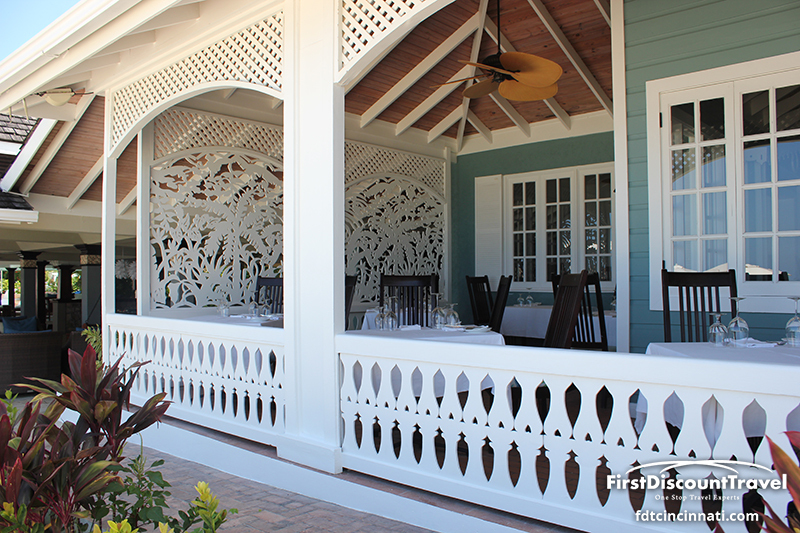 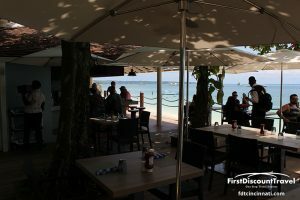 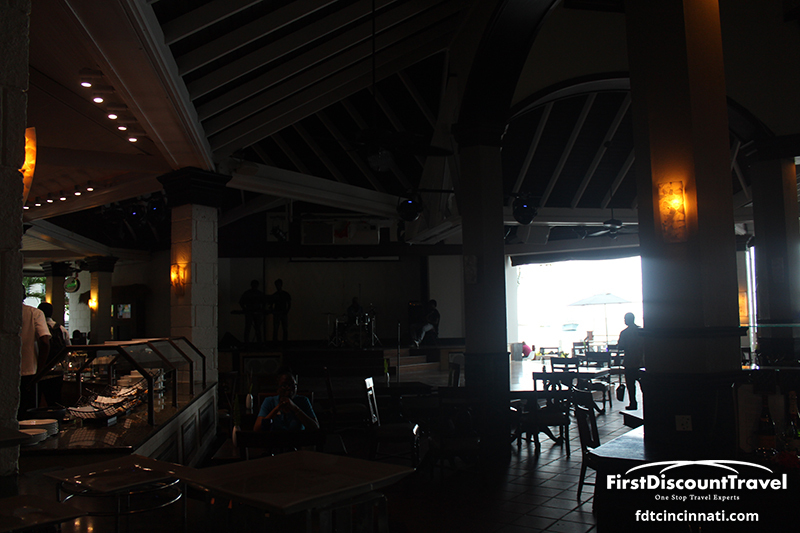 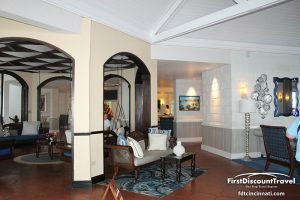 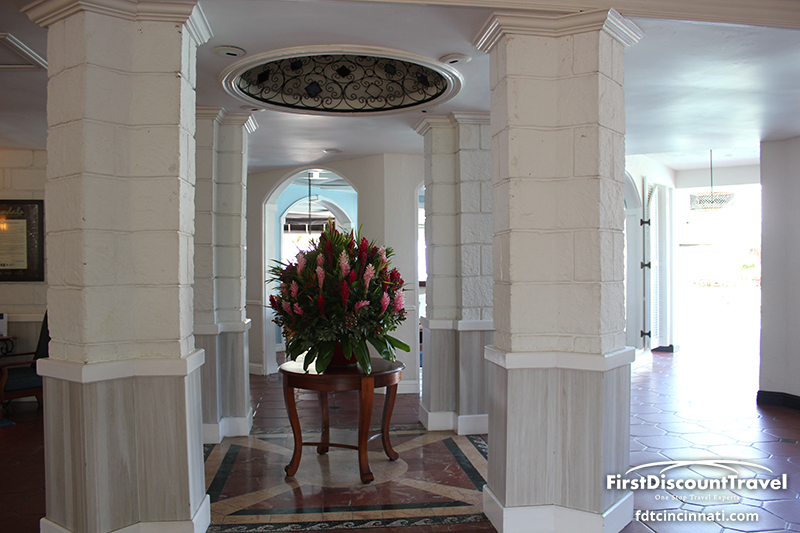 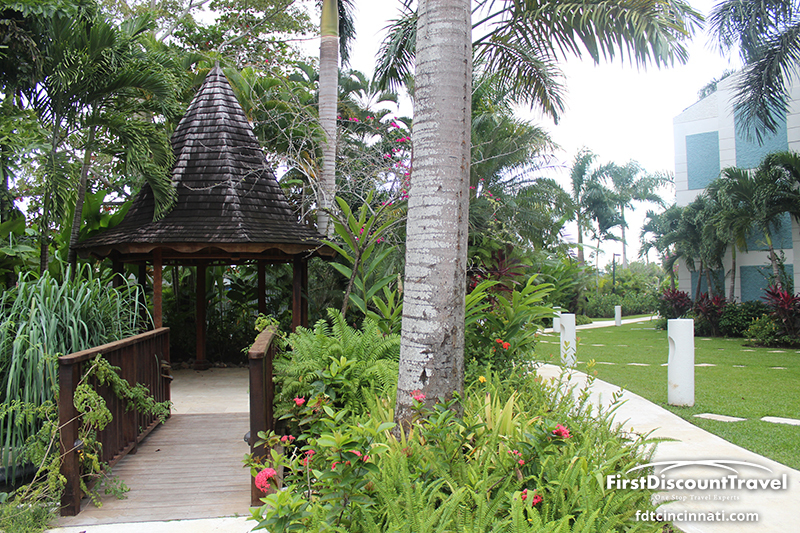 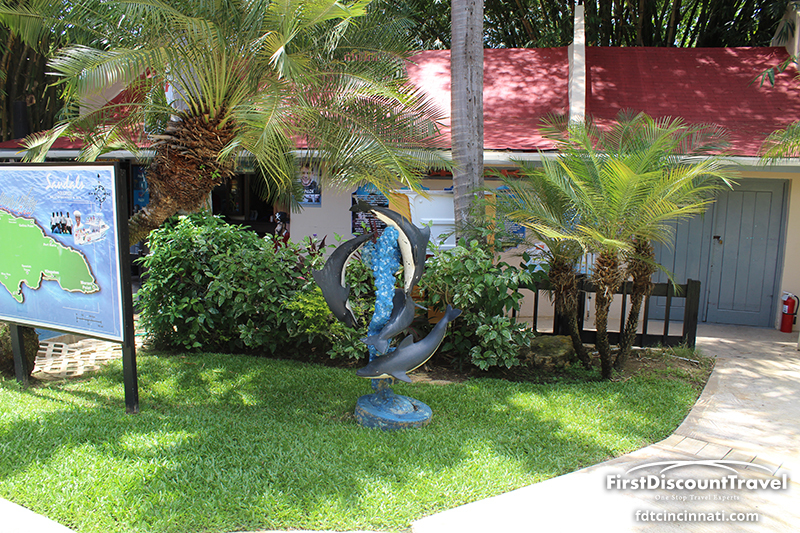 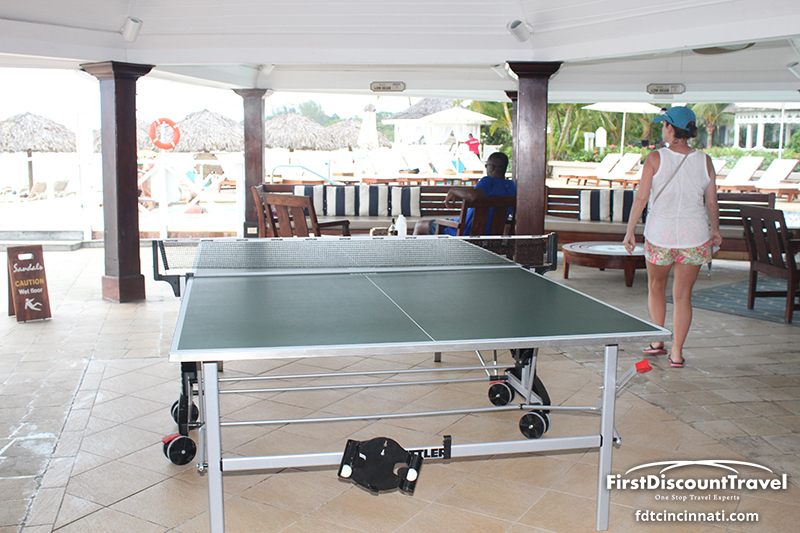 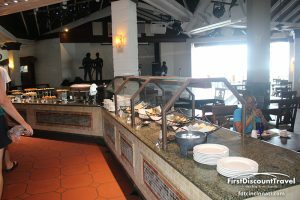 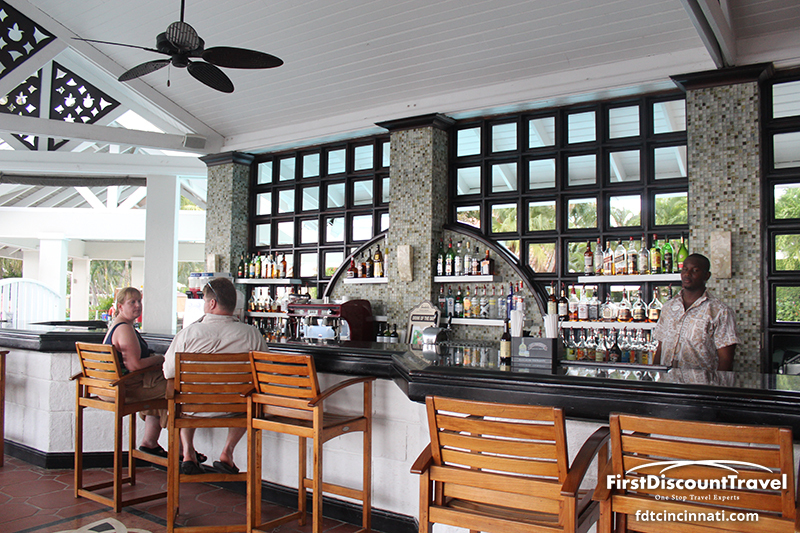 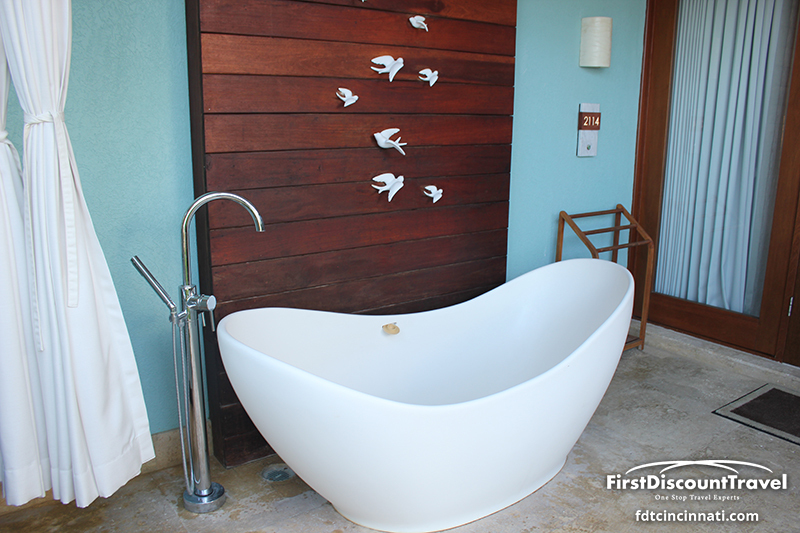 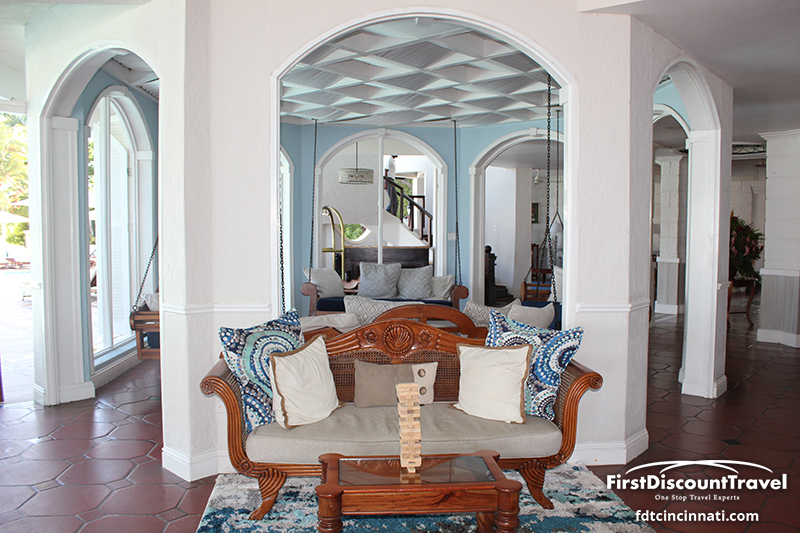 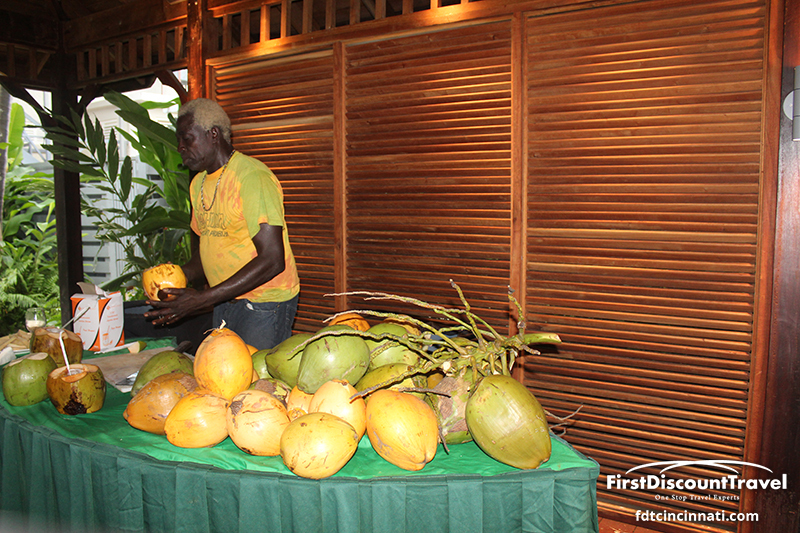 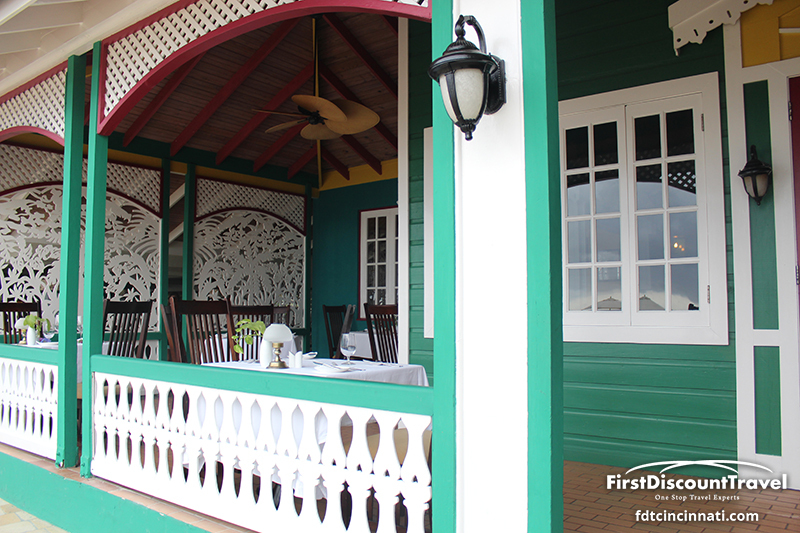 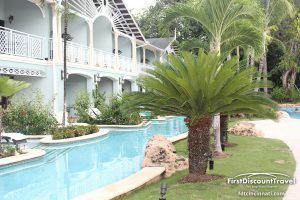 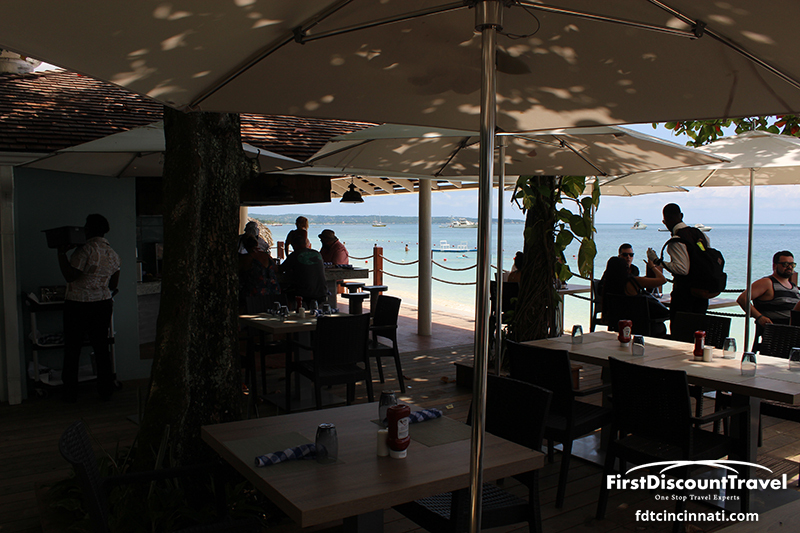 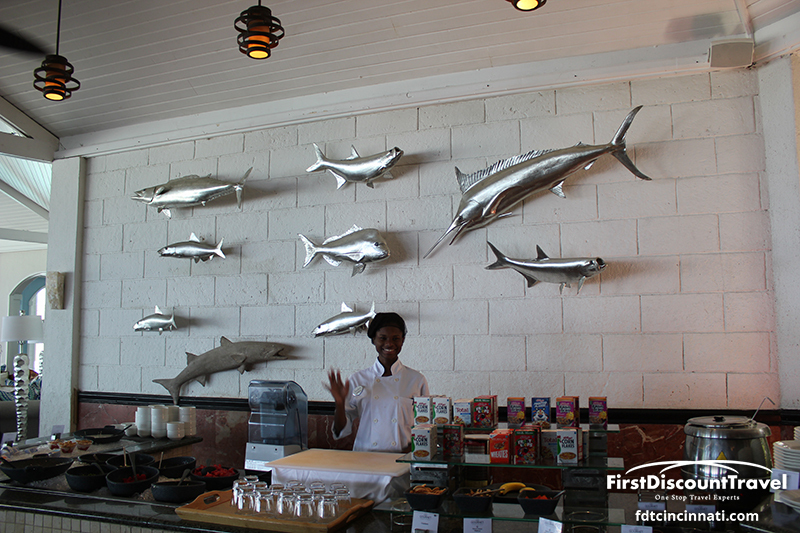 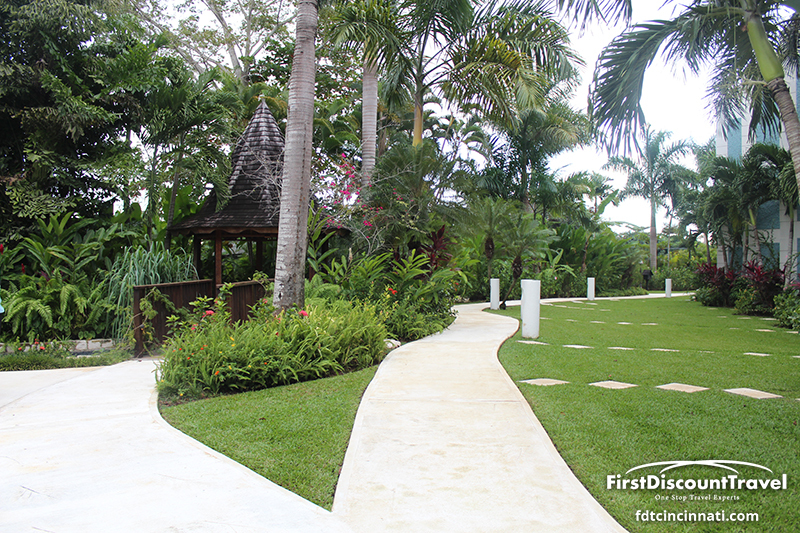 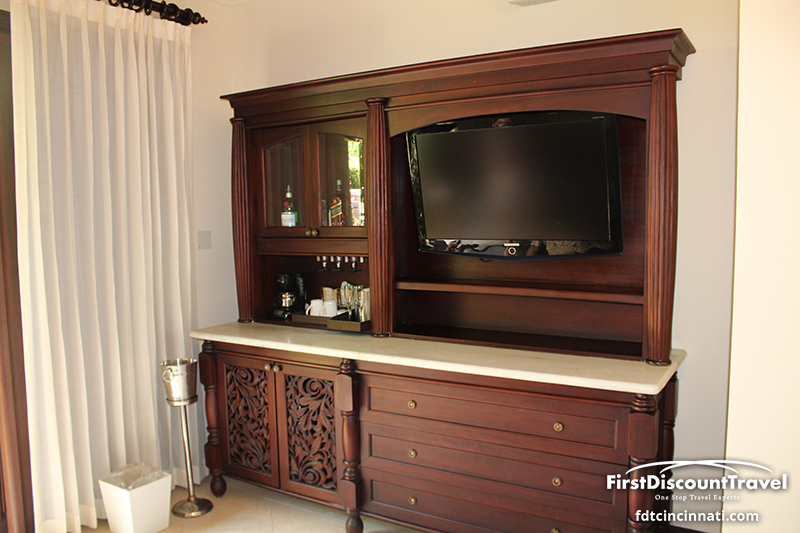 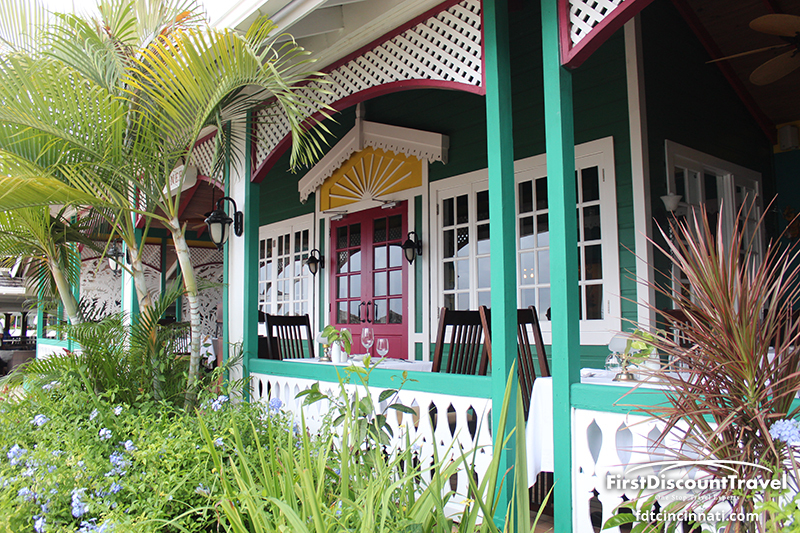 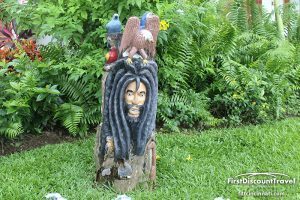 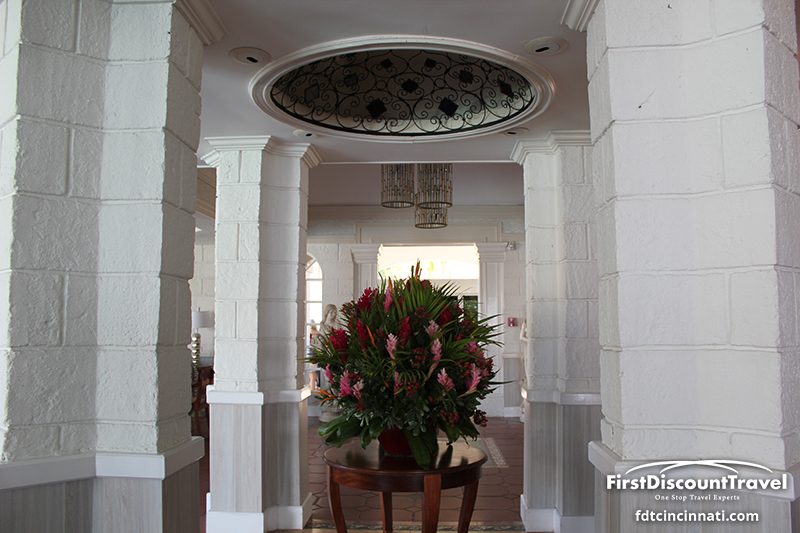 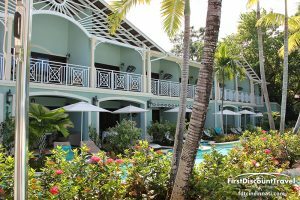 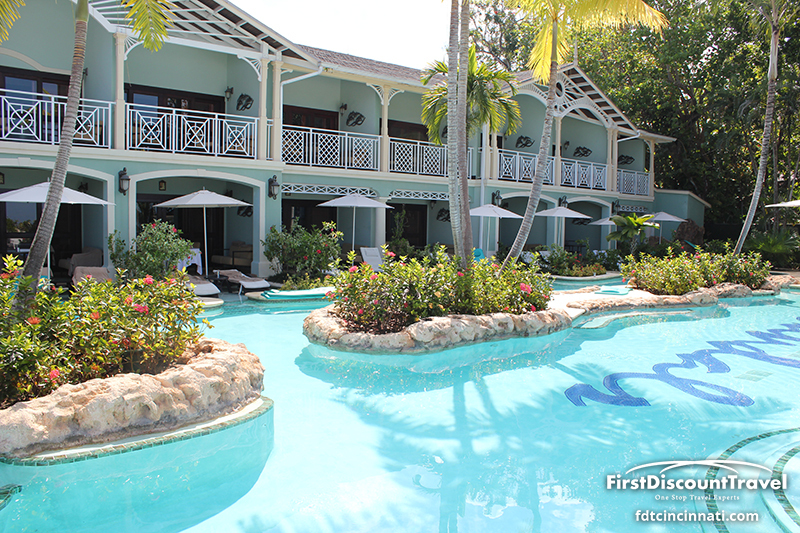 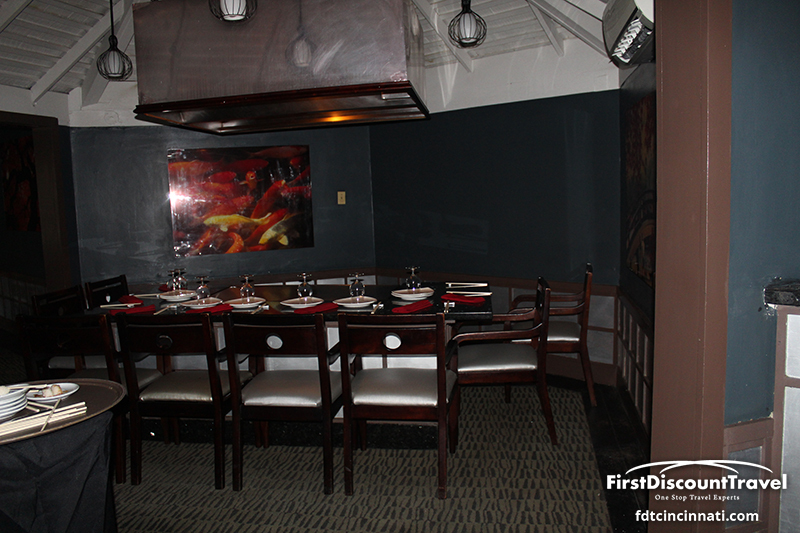 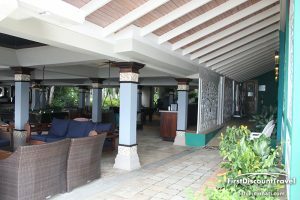 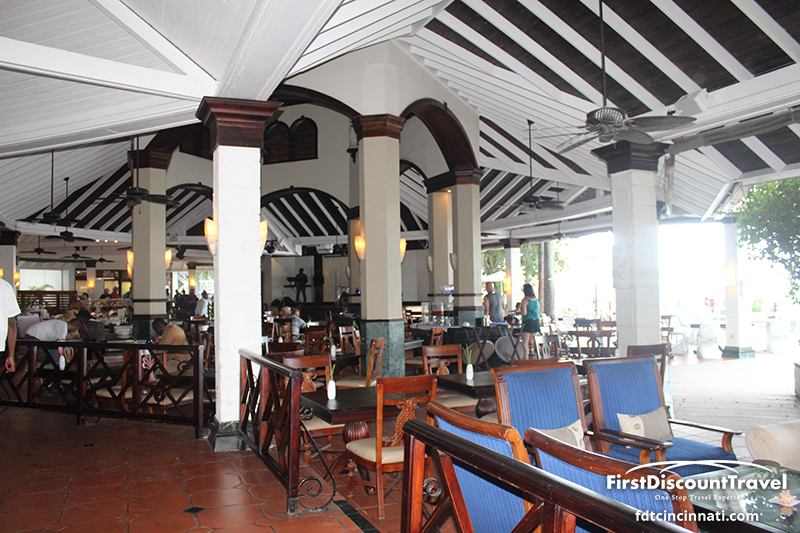 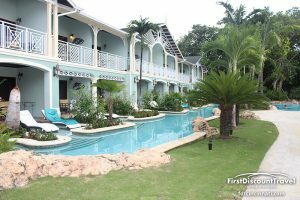 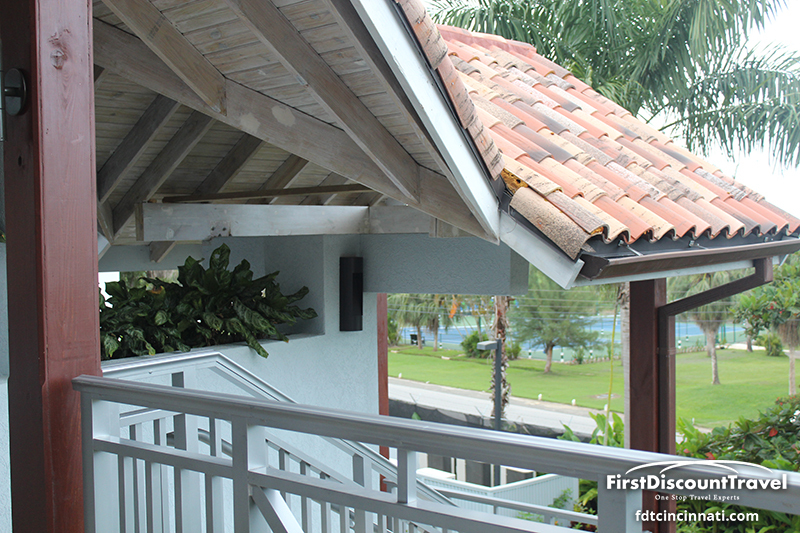 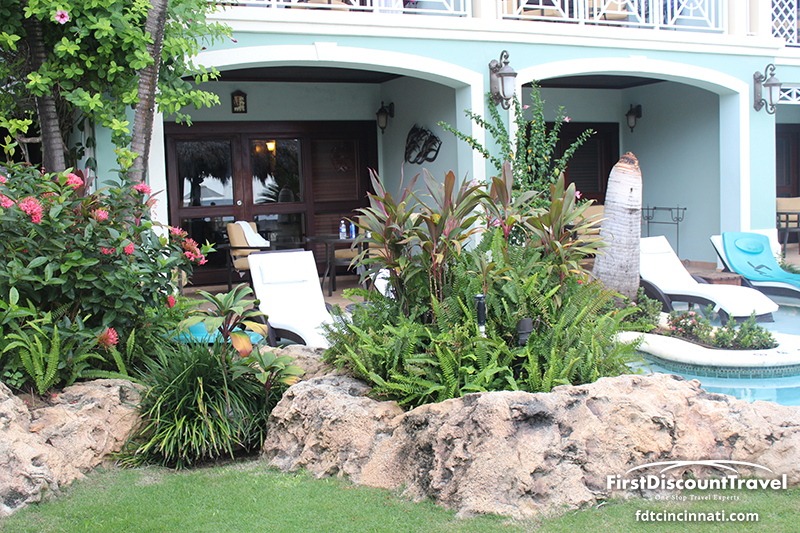 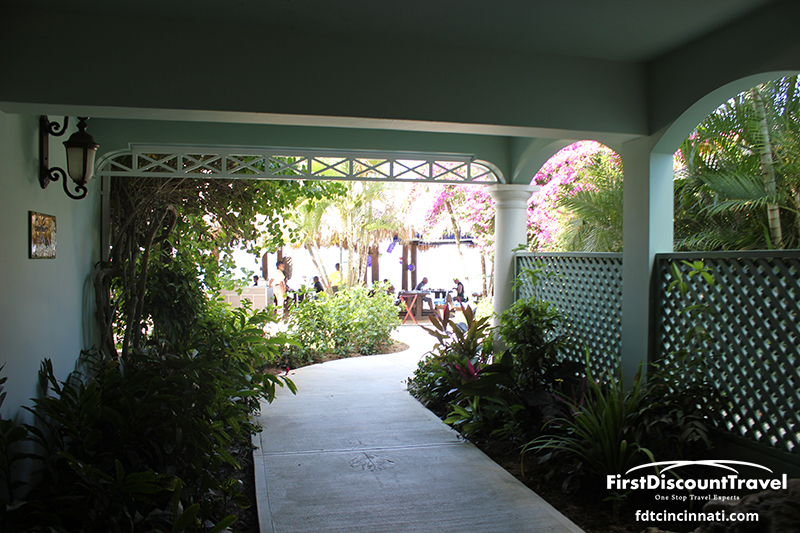 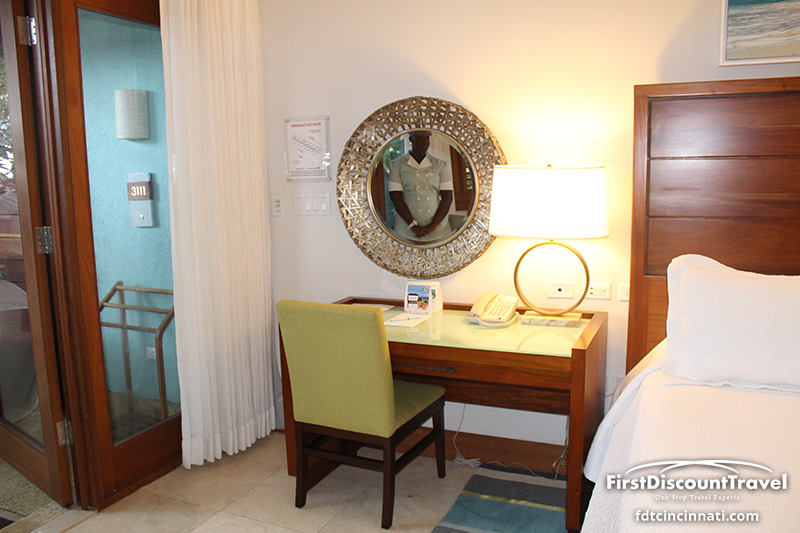 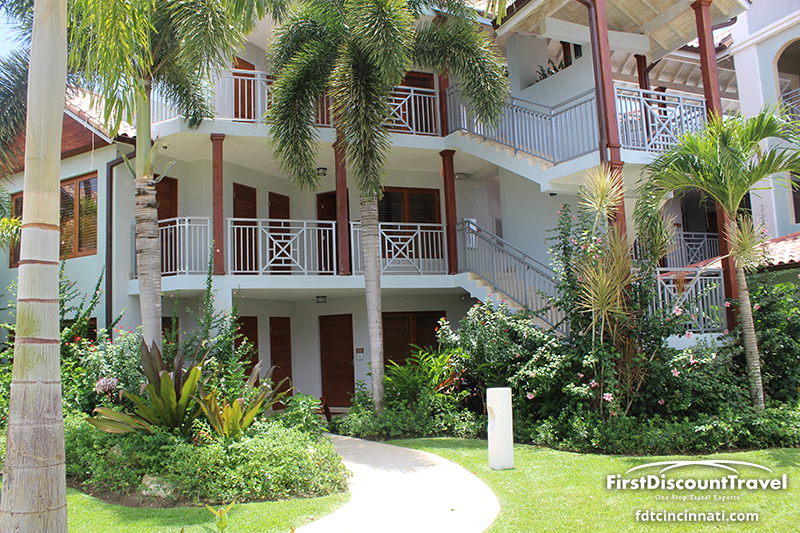 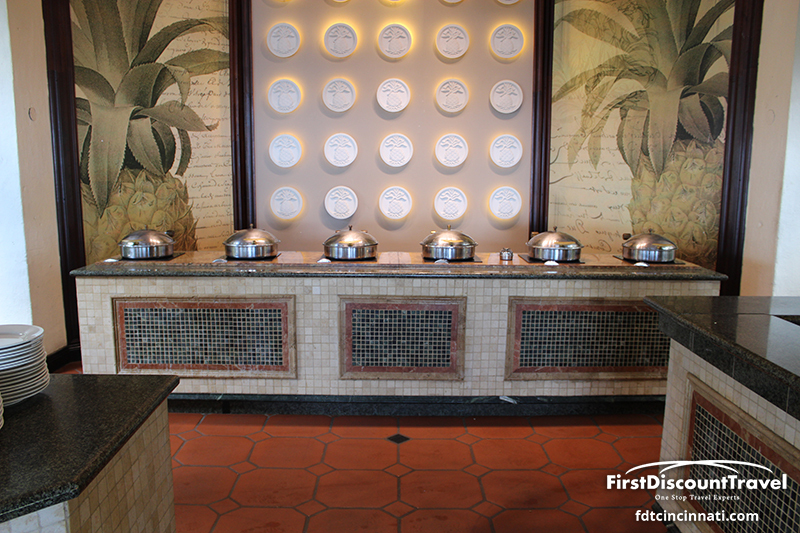 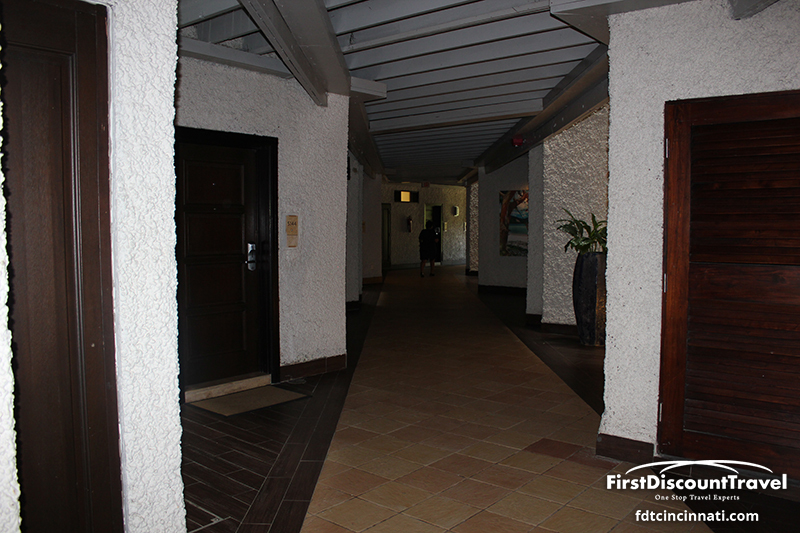 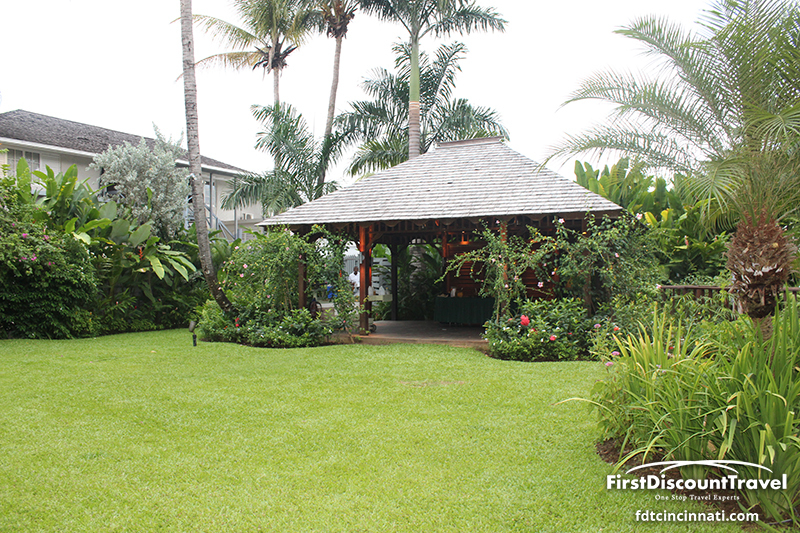 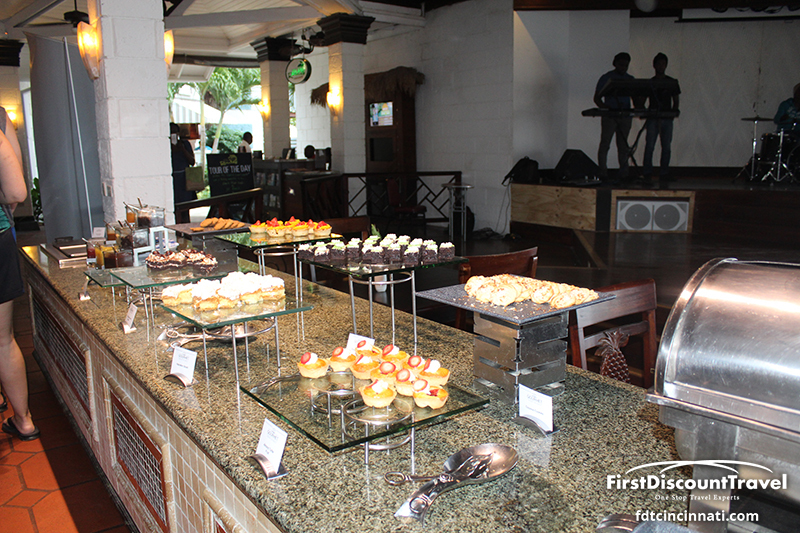 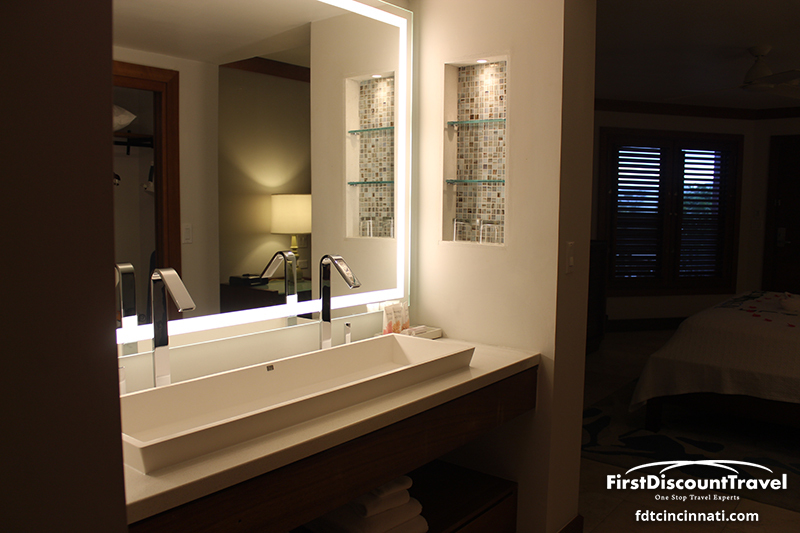 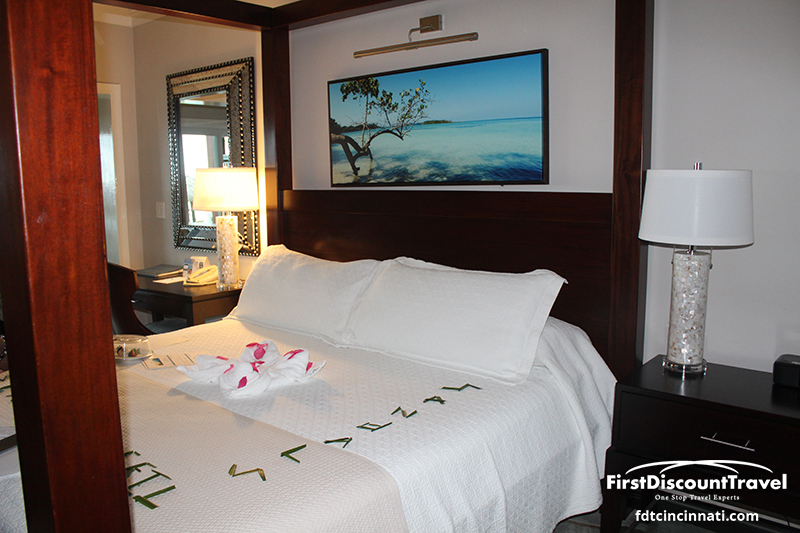 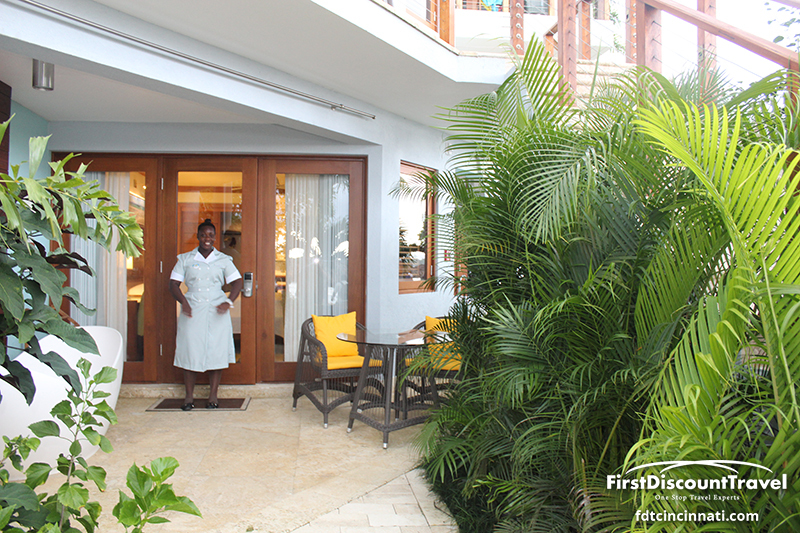 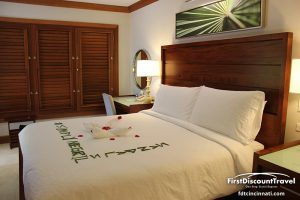 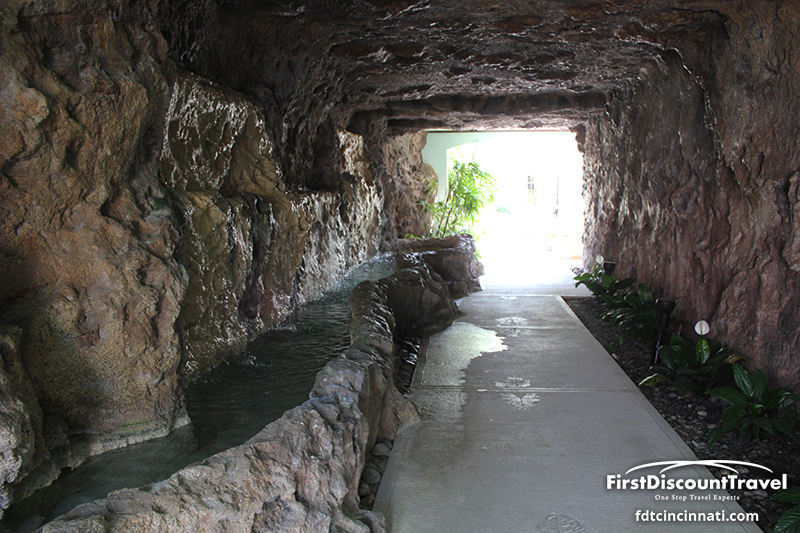 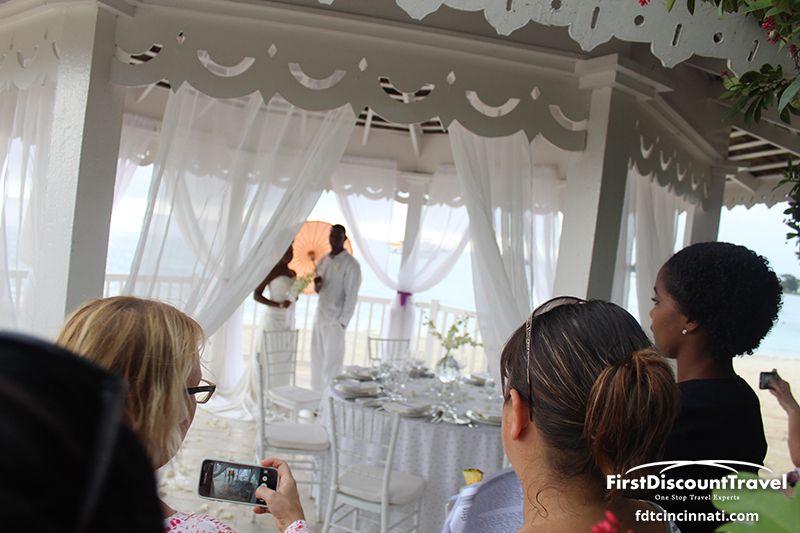 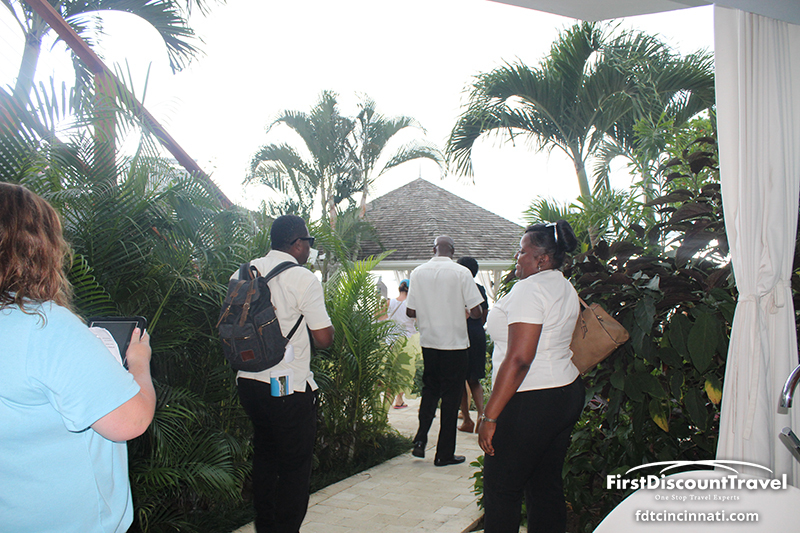 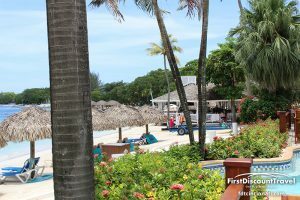 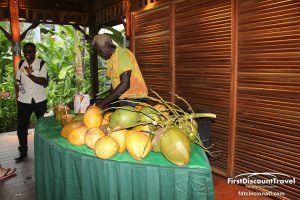 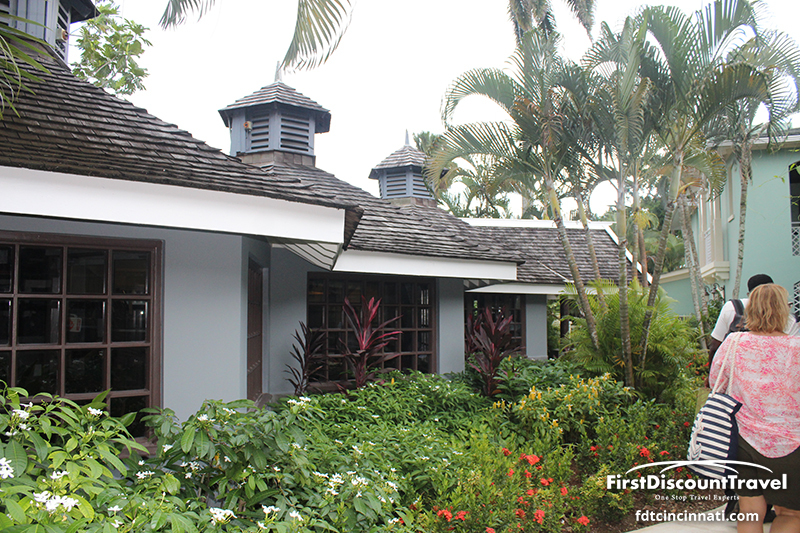 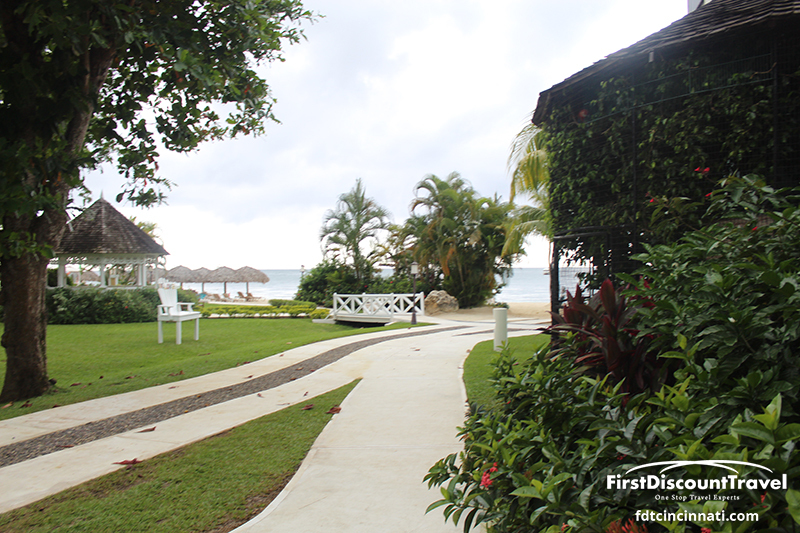 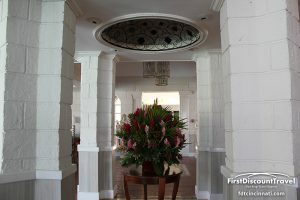 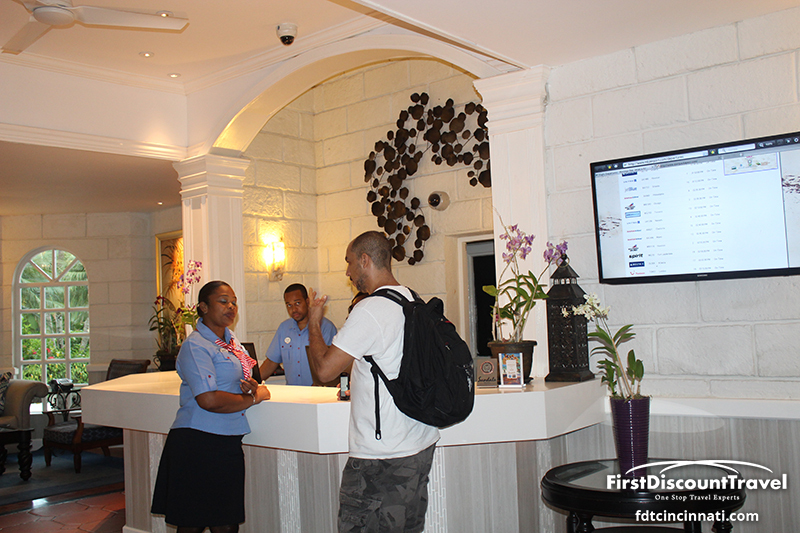 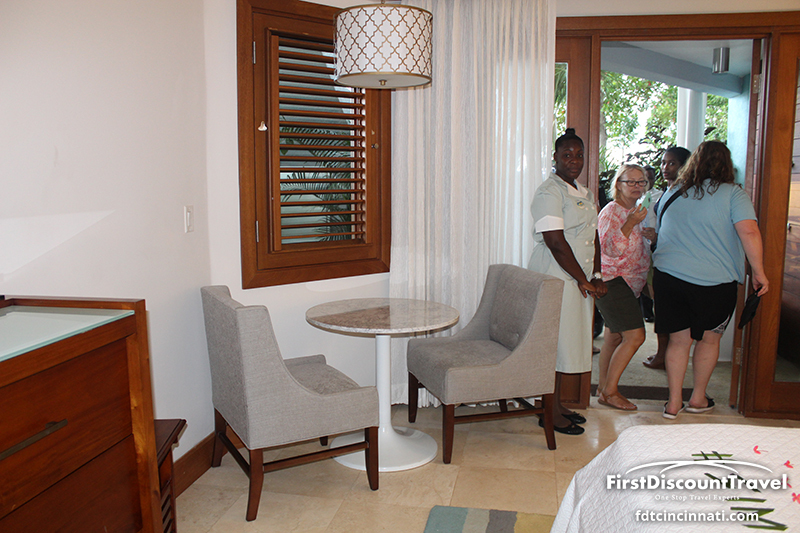 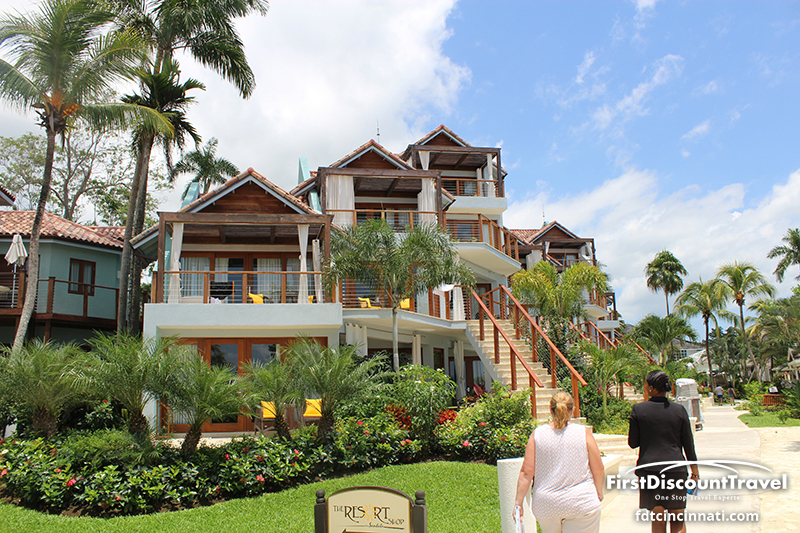 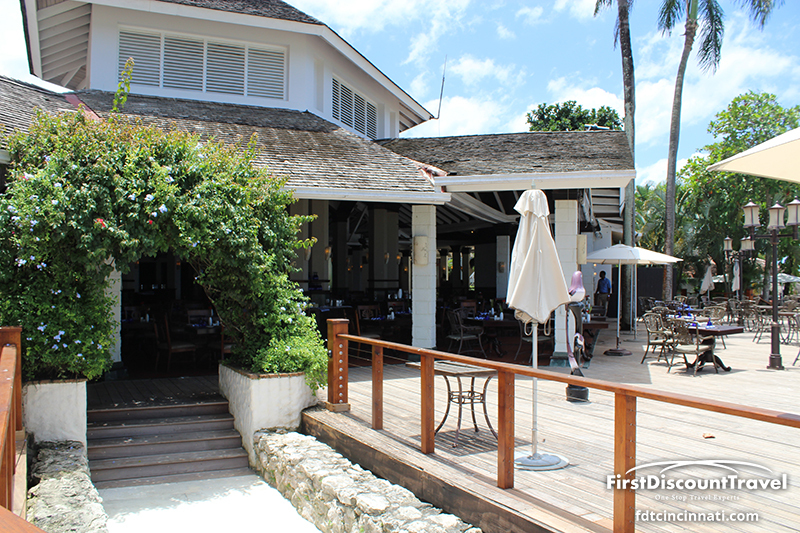 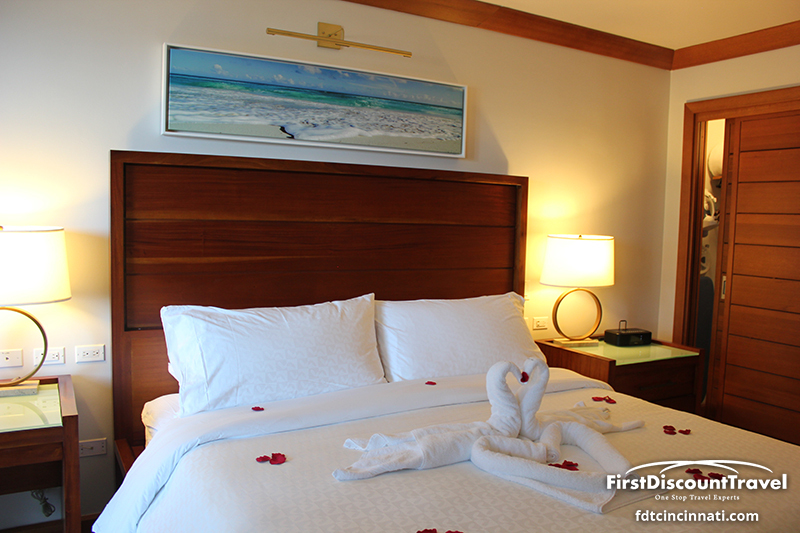 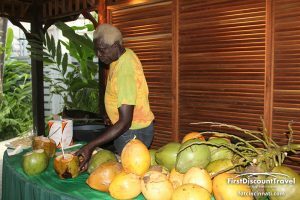 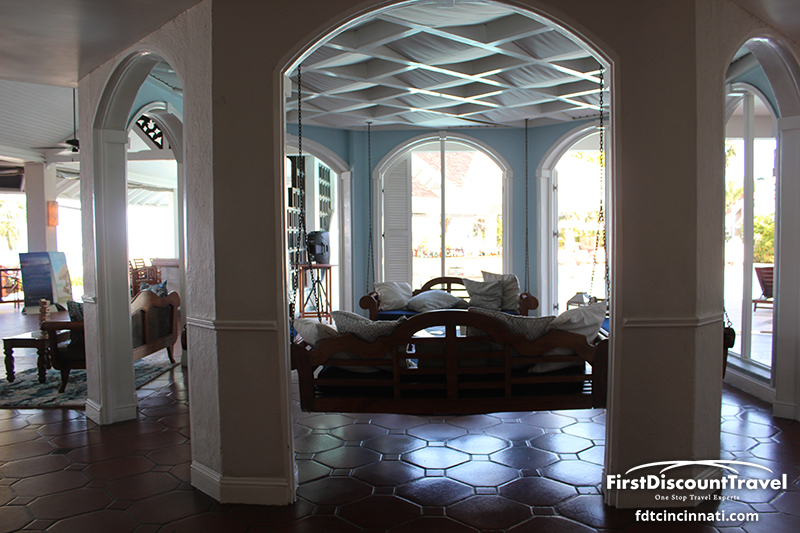 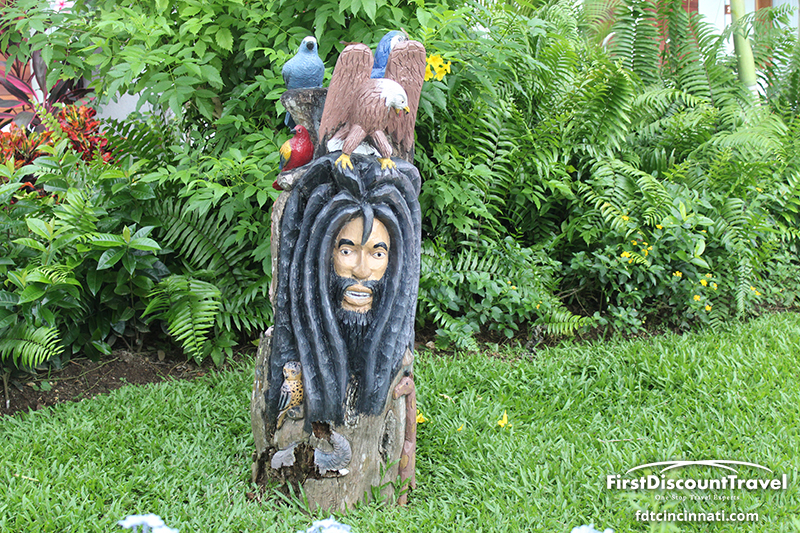 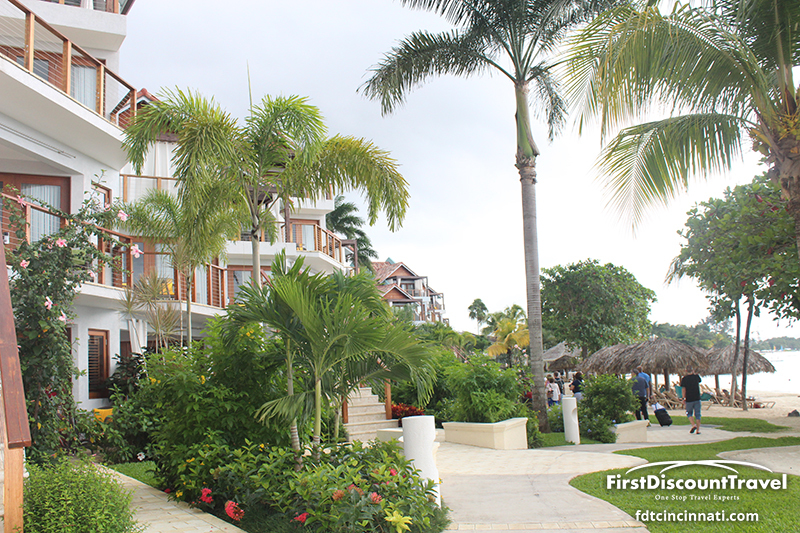 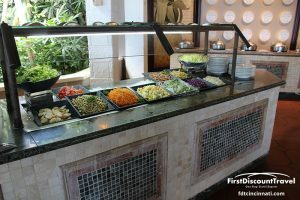 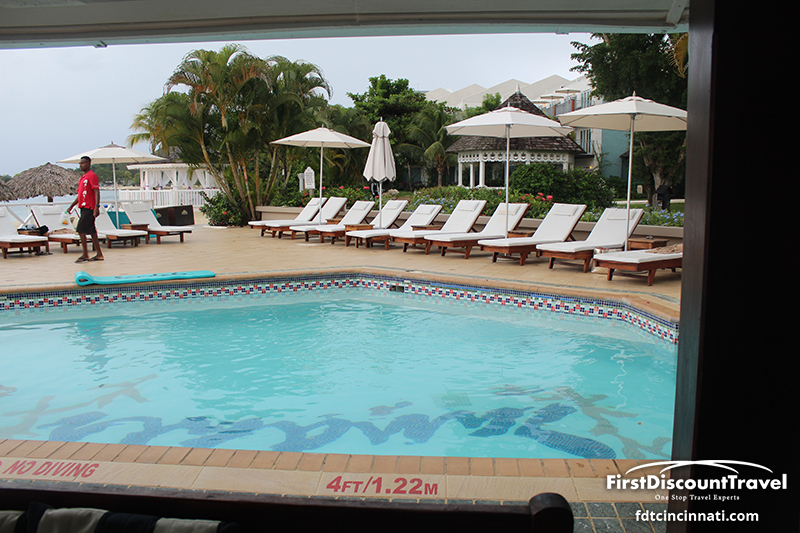 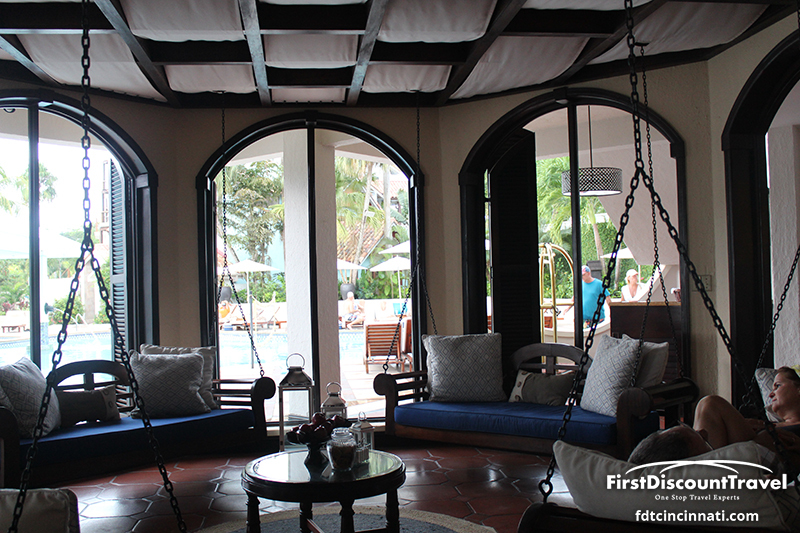 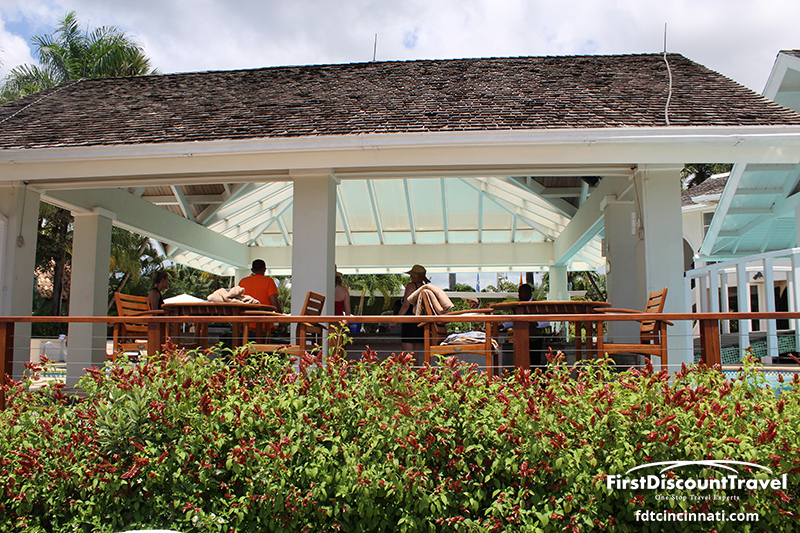 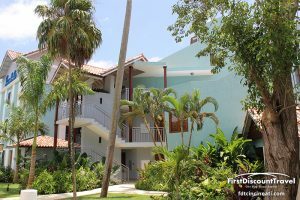 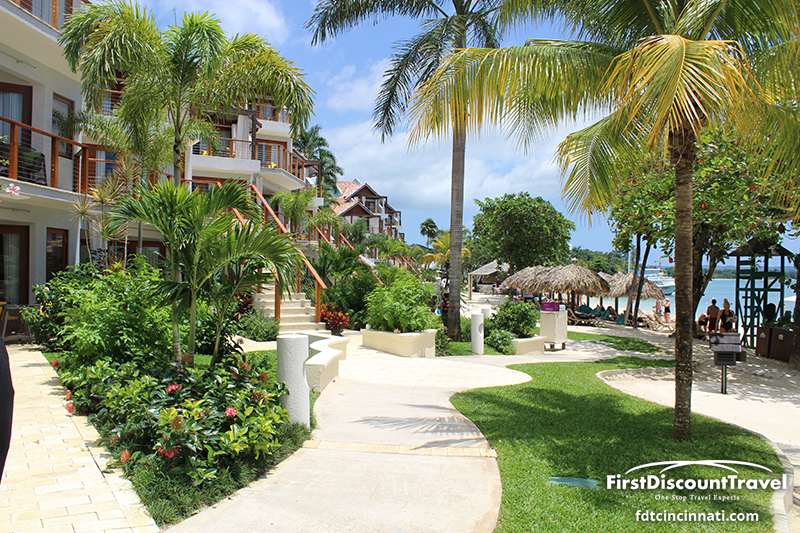 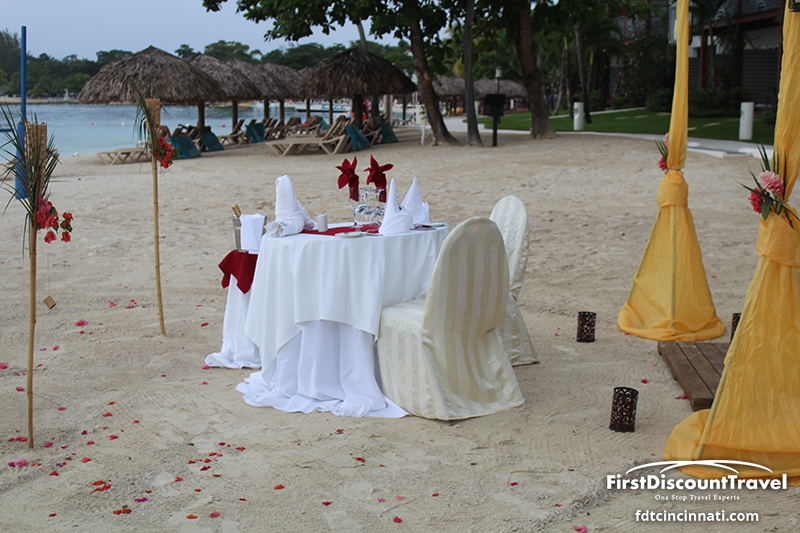 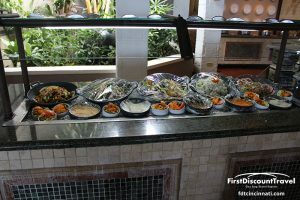 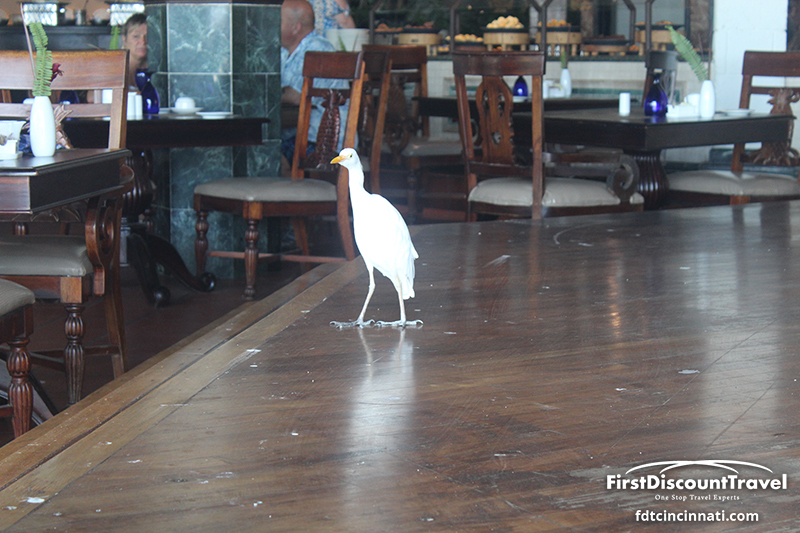 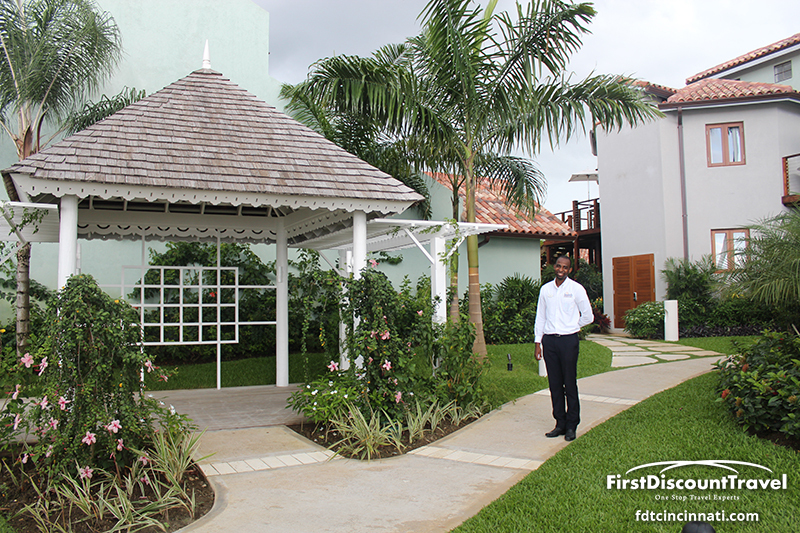 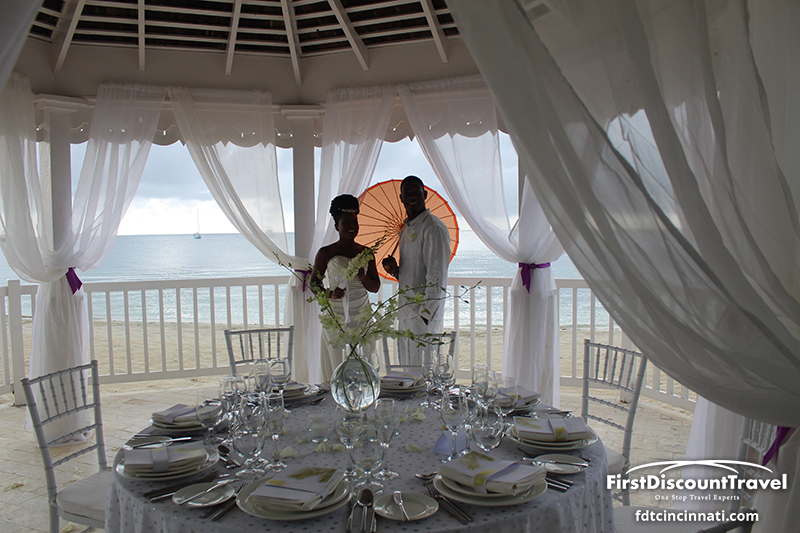 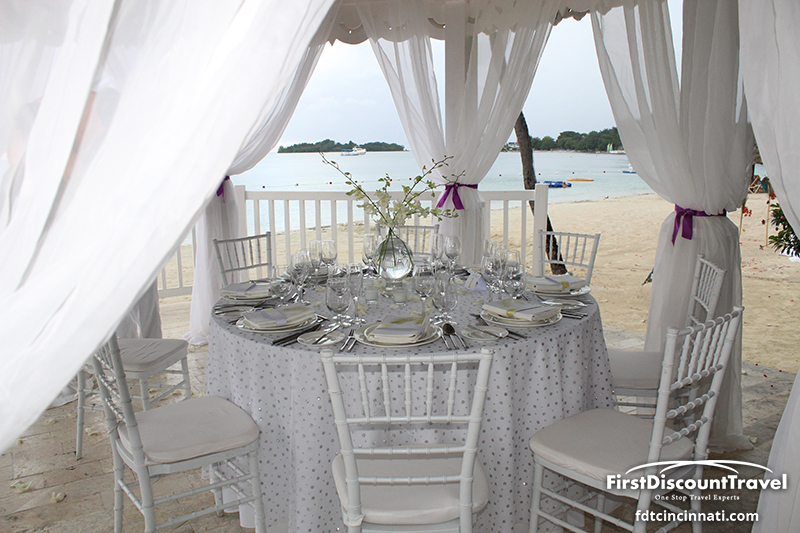 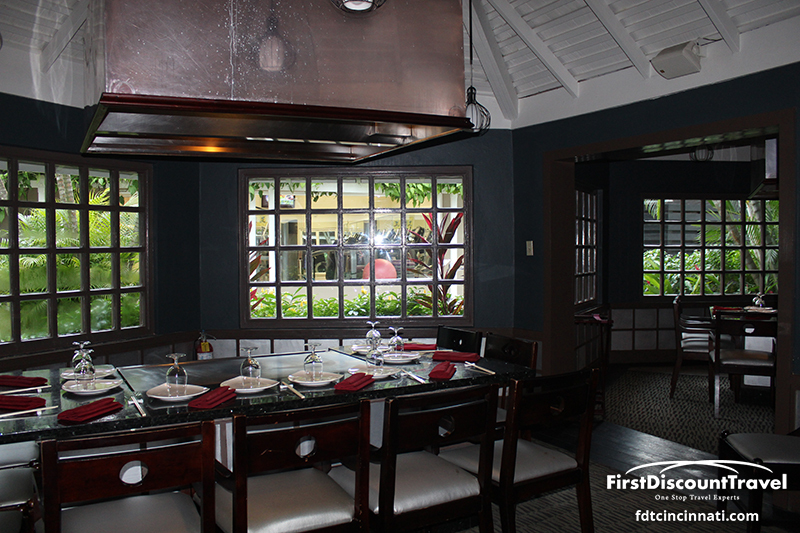 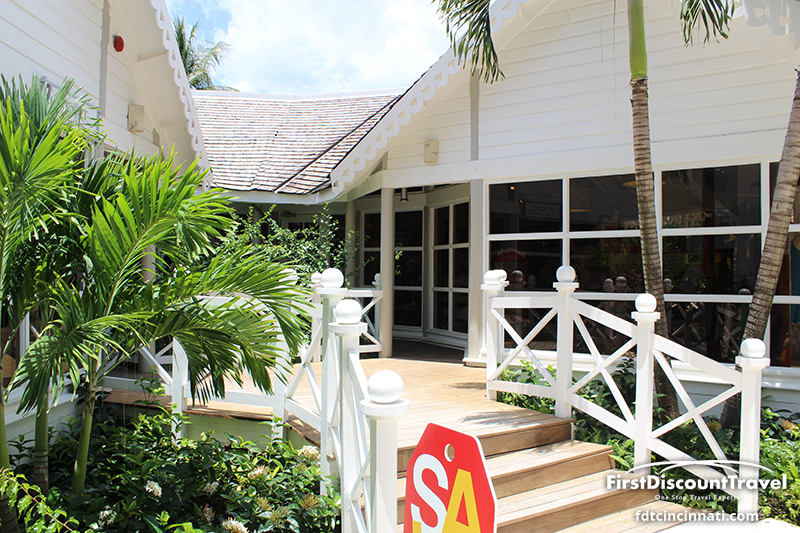 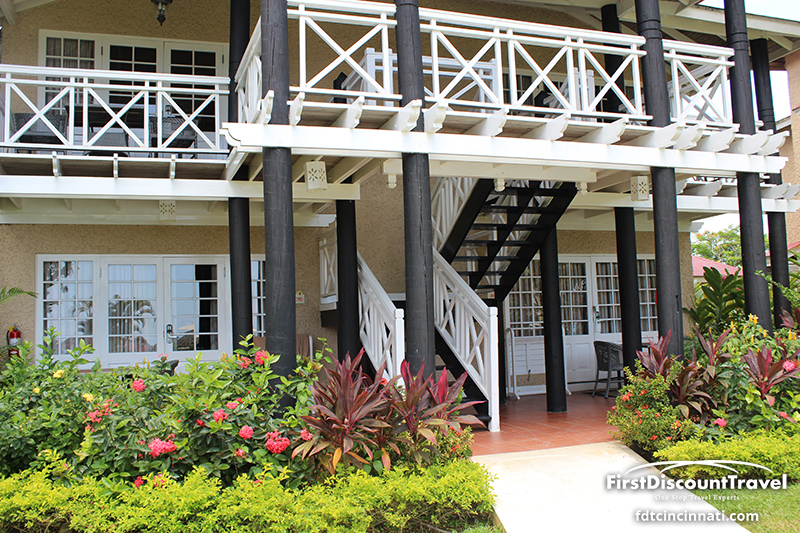 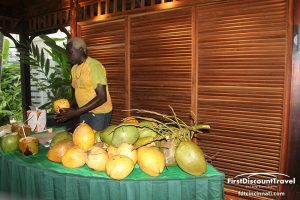 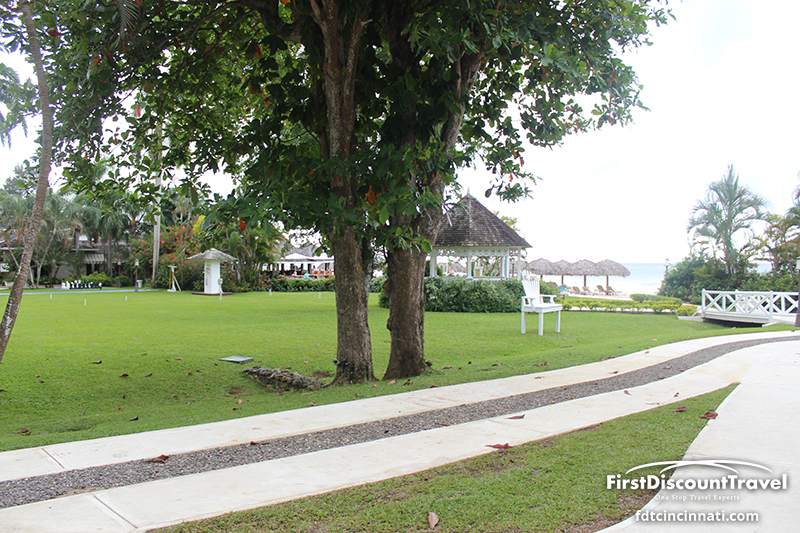 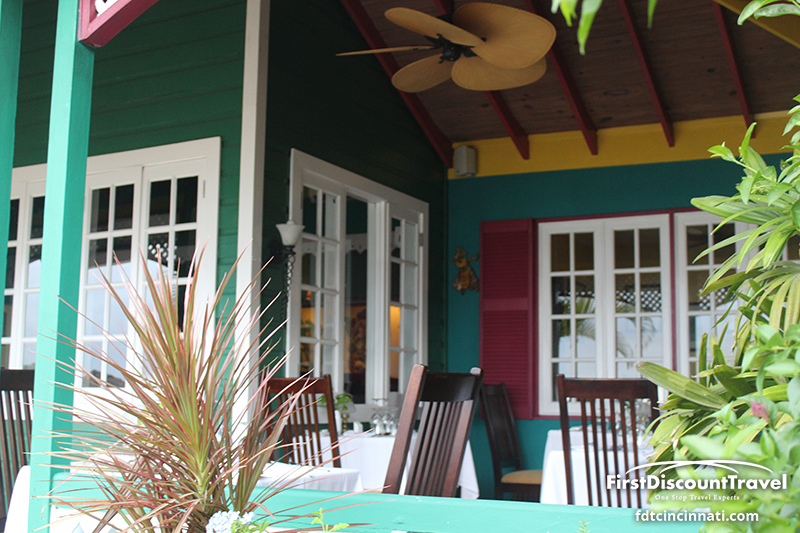 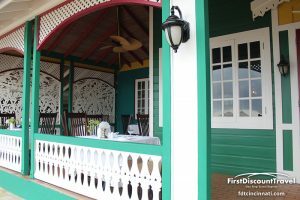 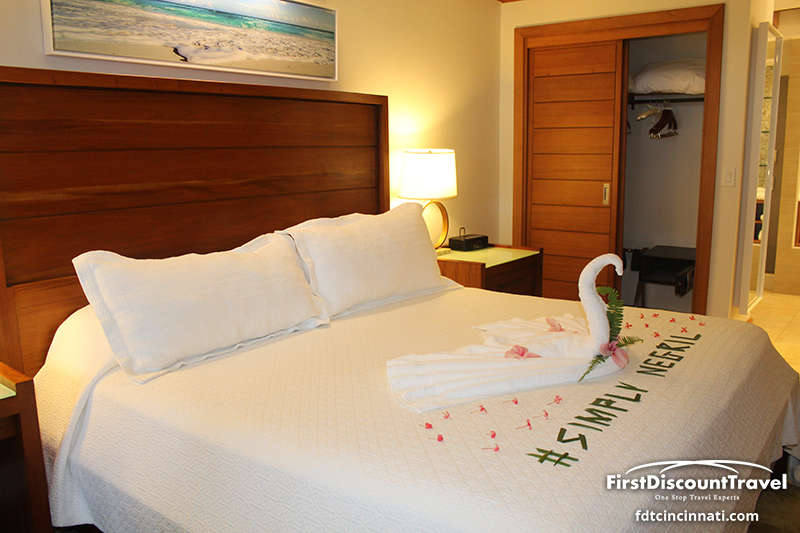 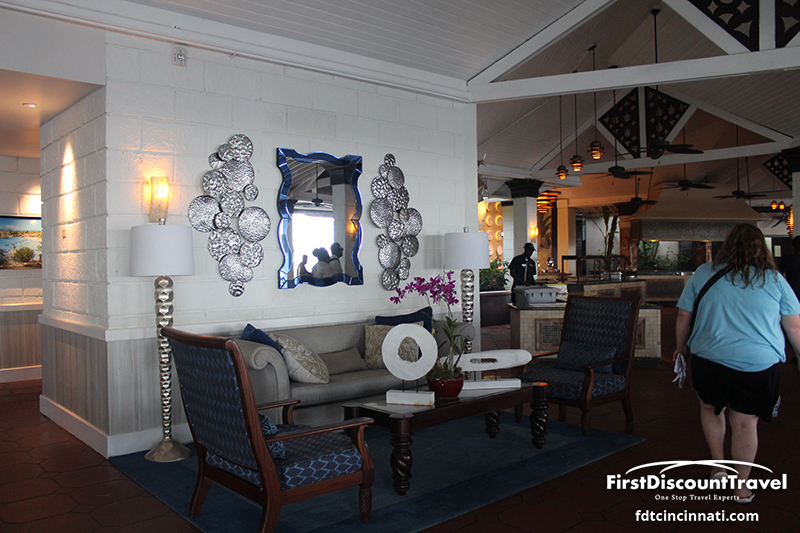 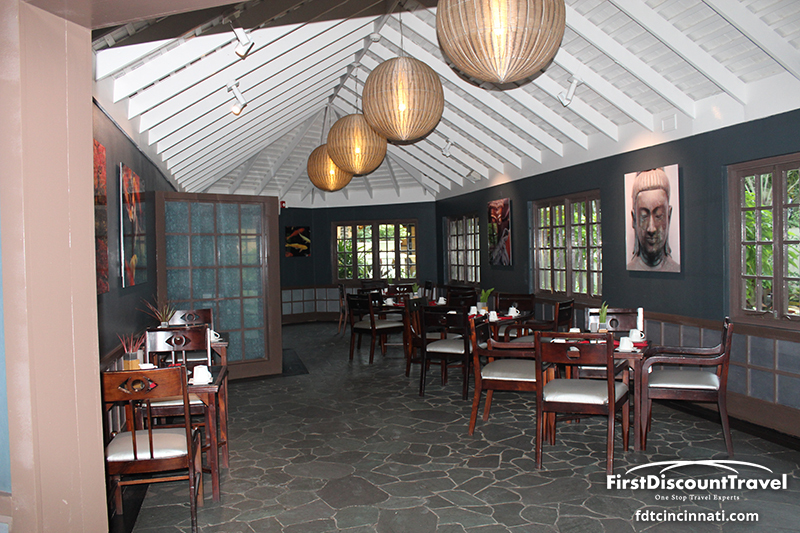 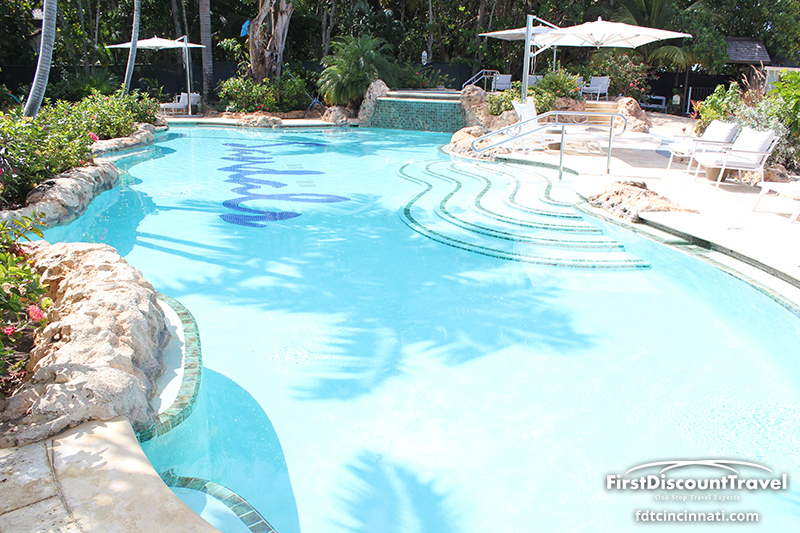 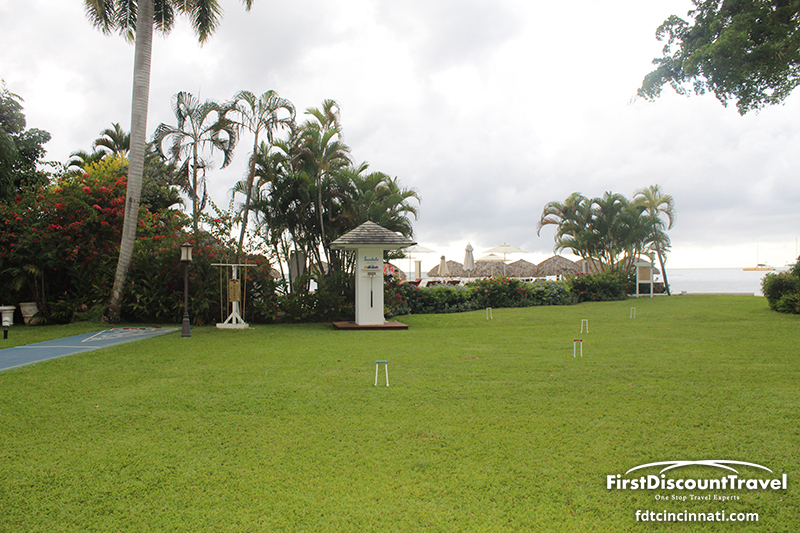 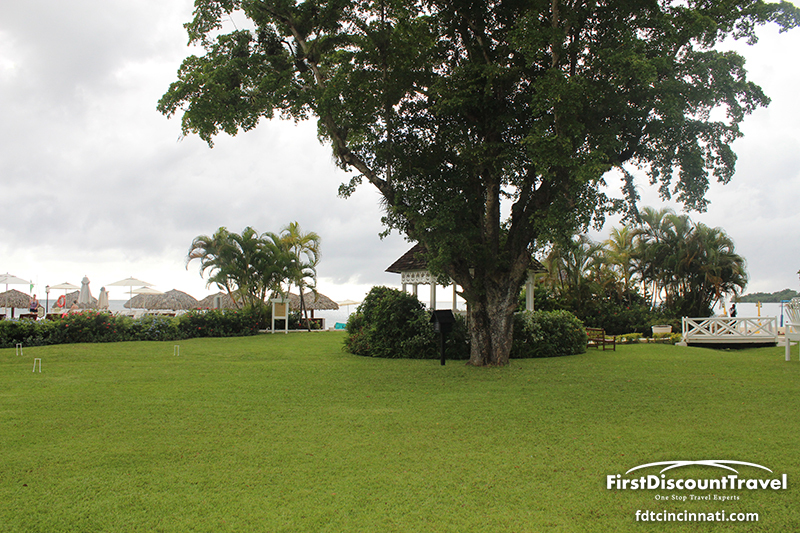 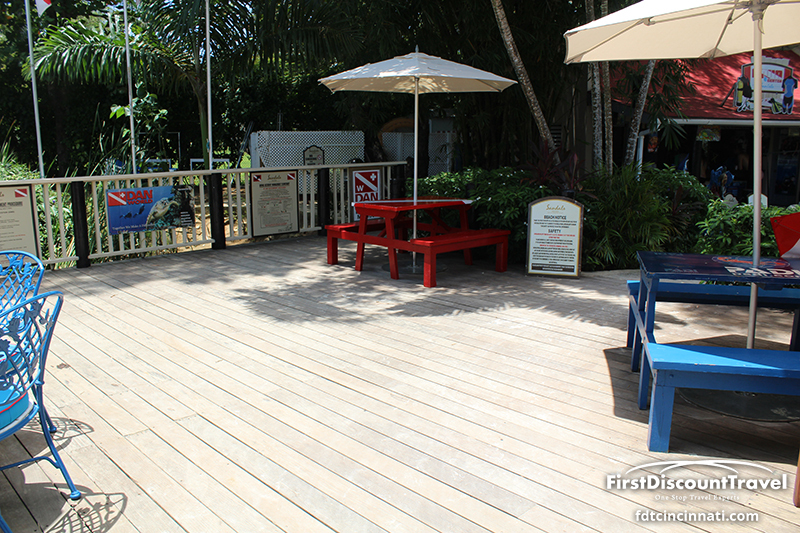 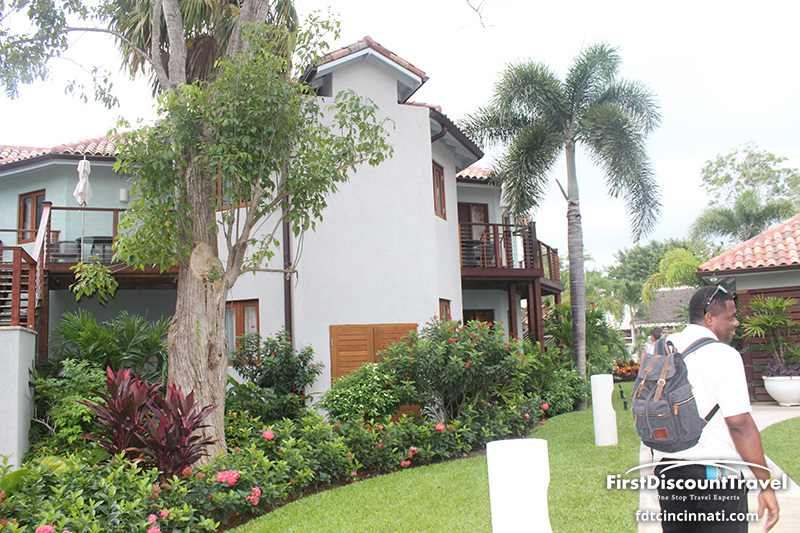 There are 222 rooms, 6 restaurants and 5 more restaurants at the Beaches resort in Negril. 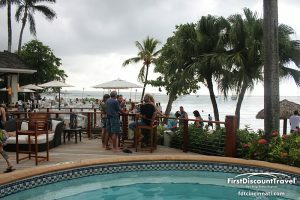 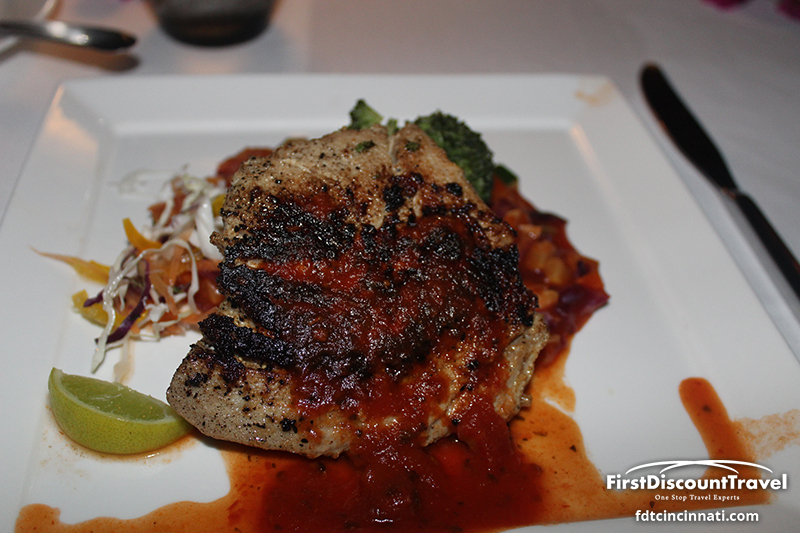 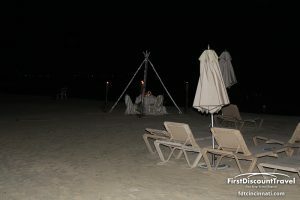 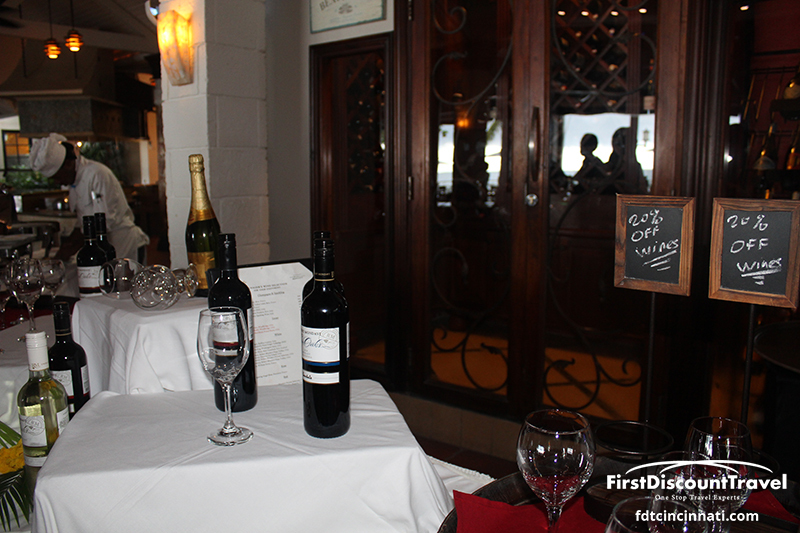 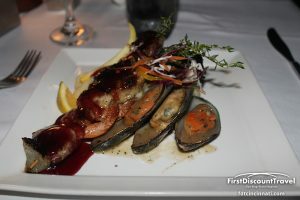 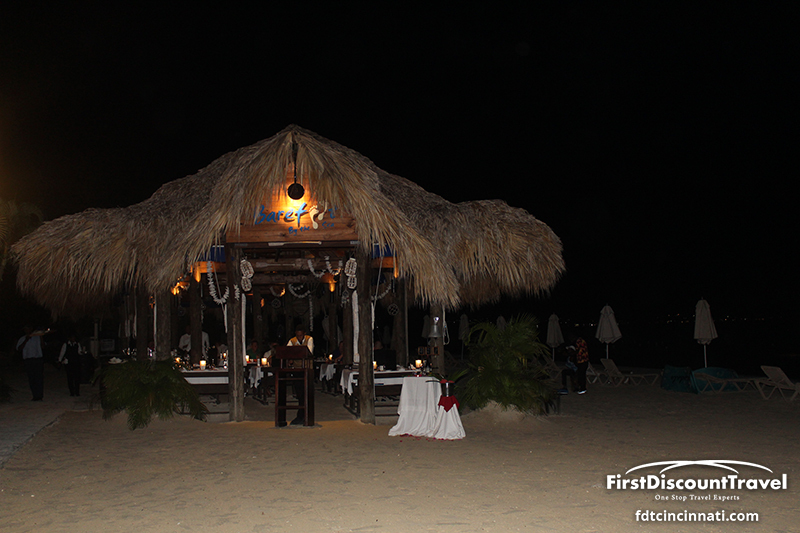 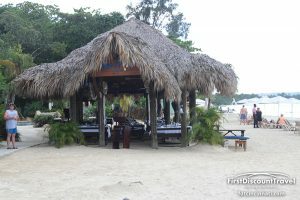 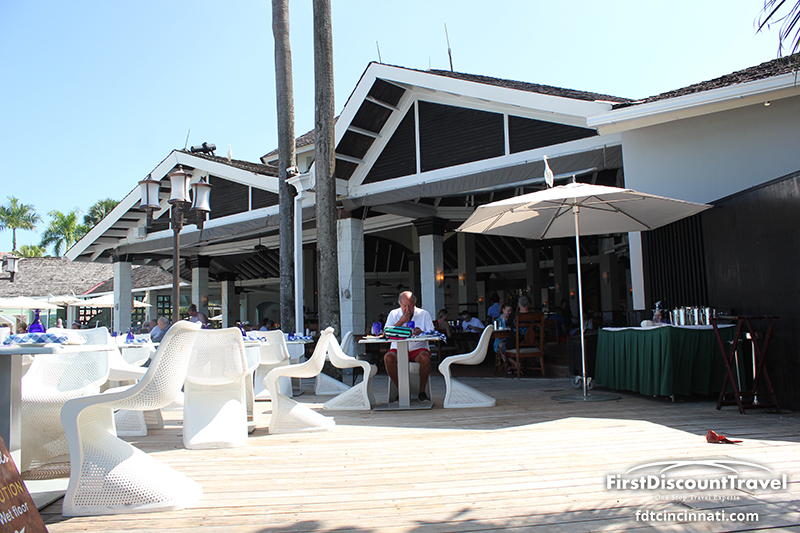 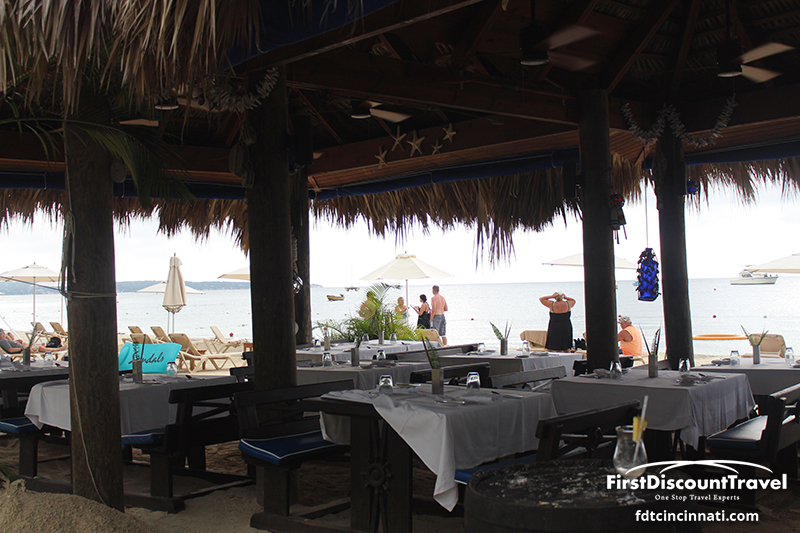 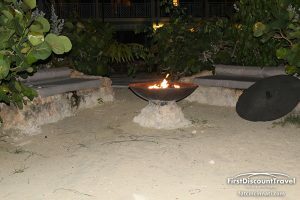 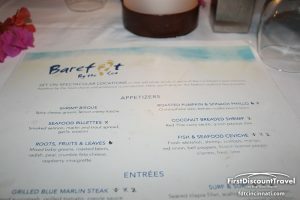 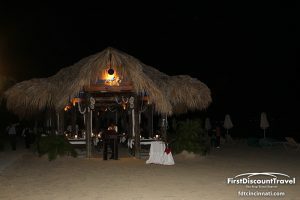 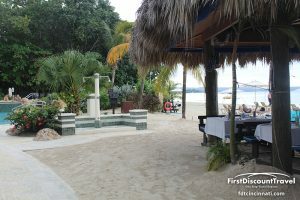 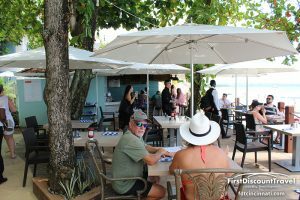 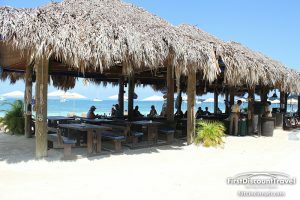 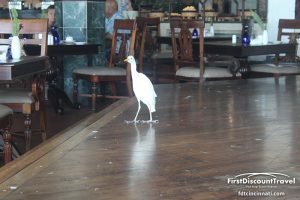 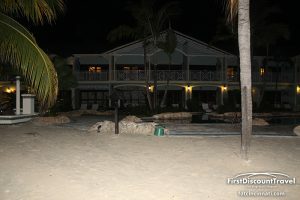 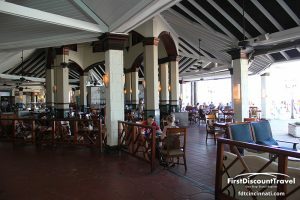 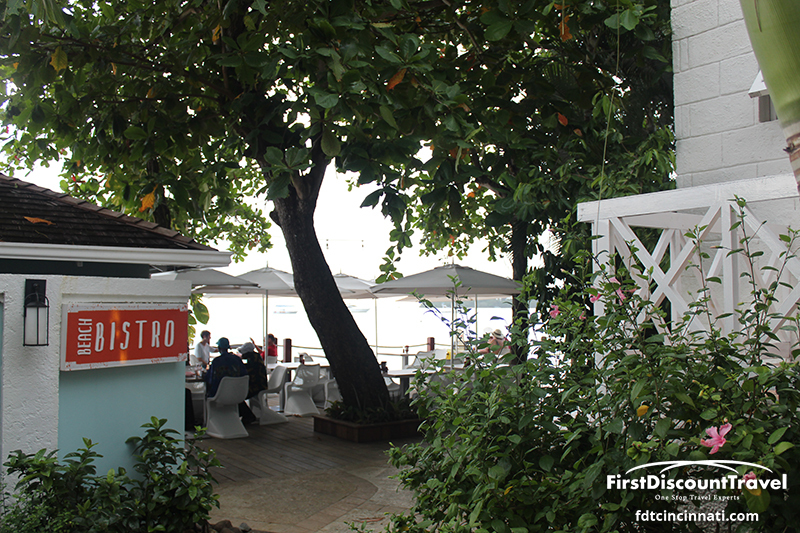 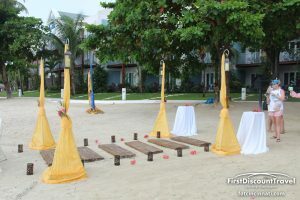 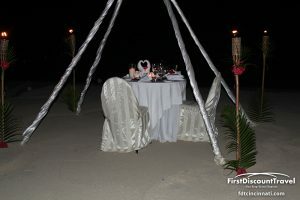 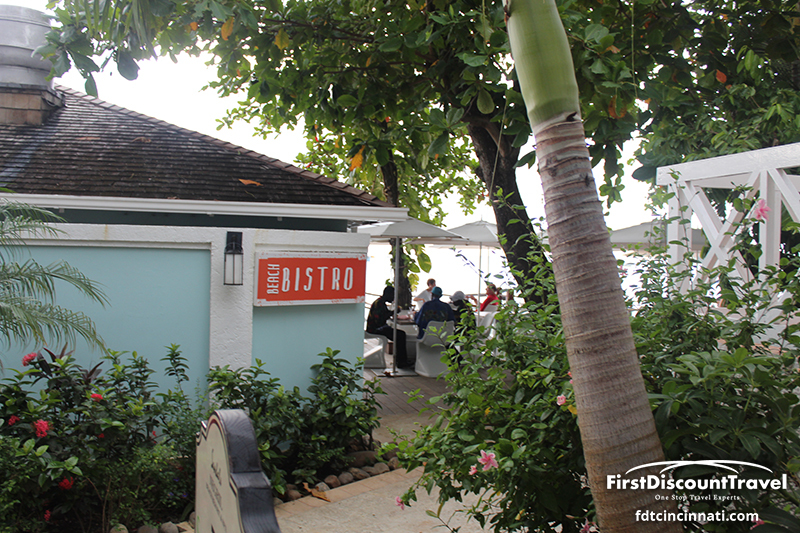 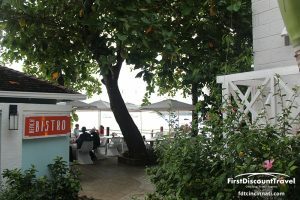 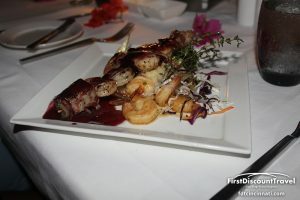 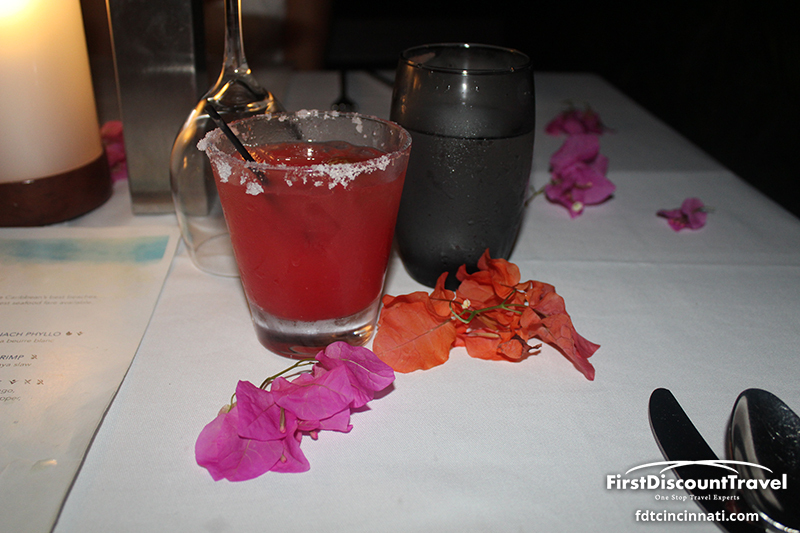 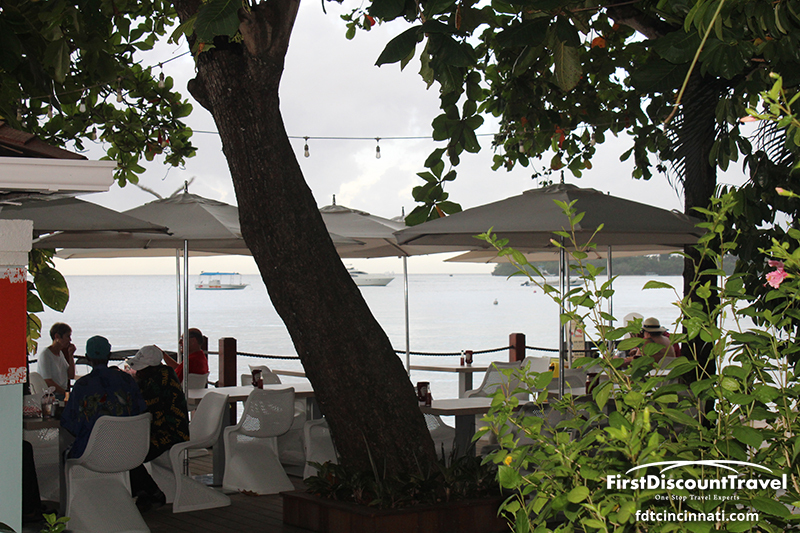 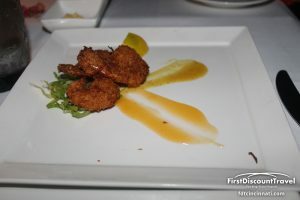 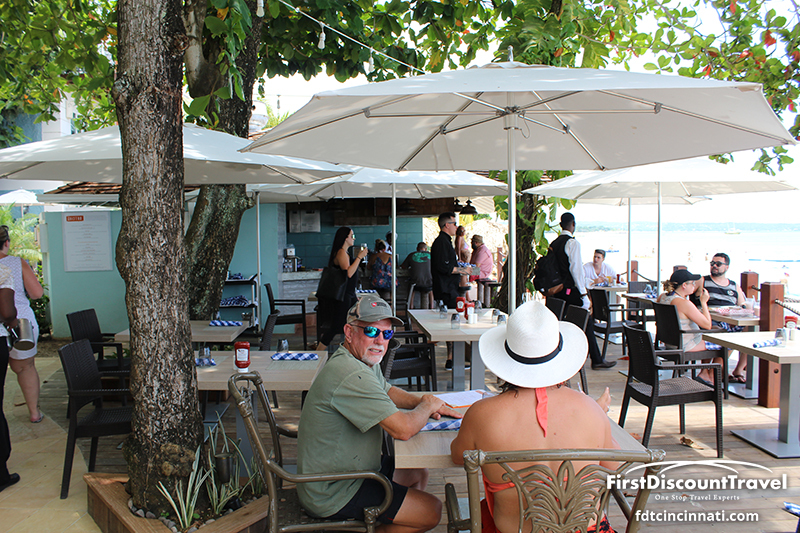 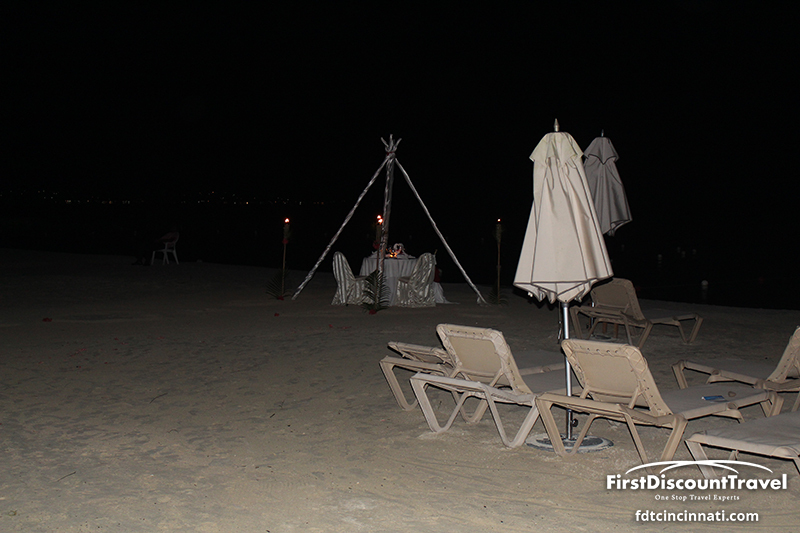 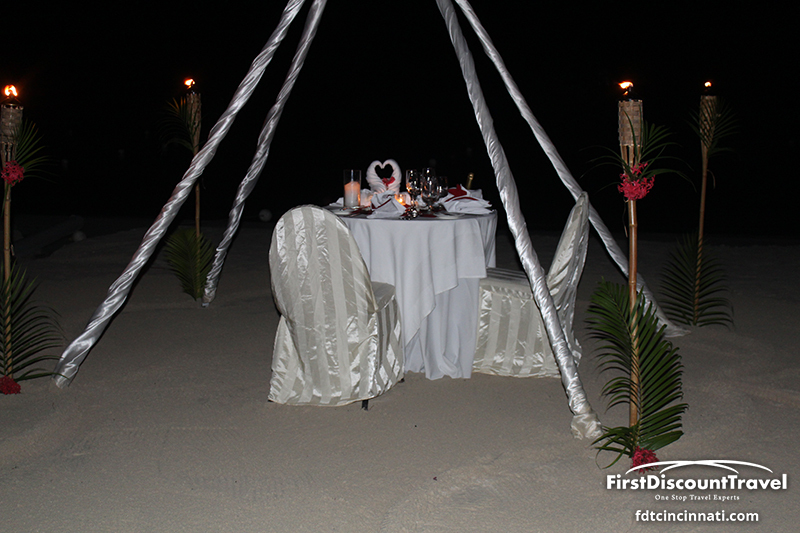 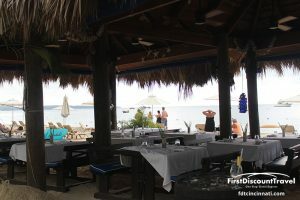 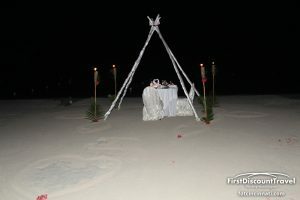 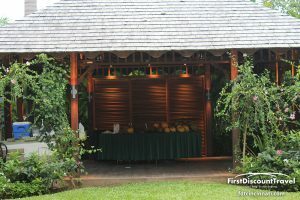 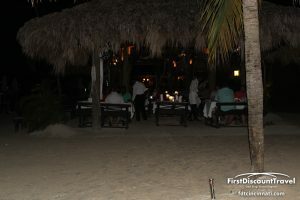 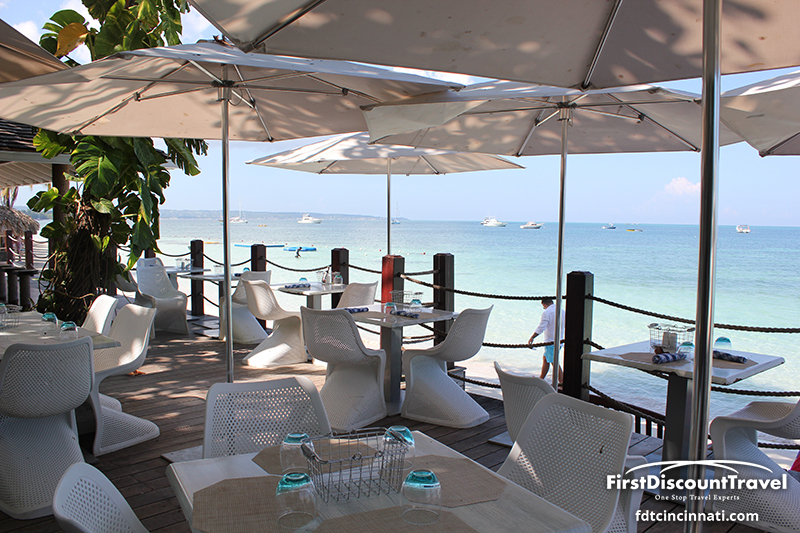 The Barefoot by the Sea restaurant was my favorite (gourmet seafood served on picnic table on the beach). 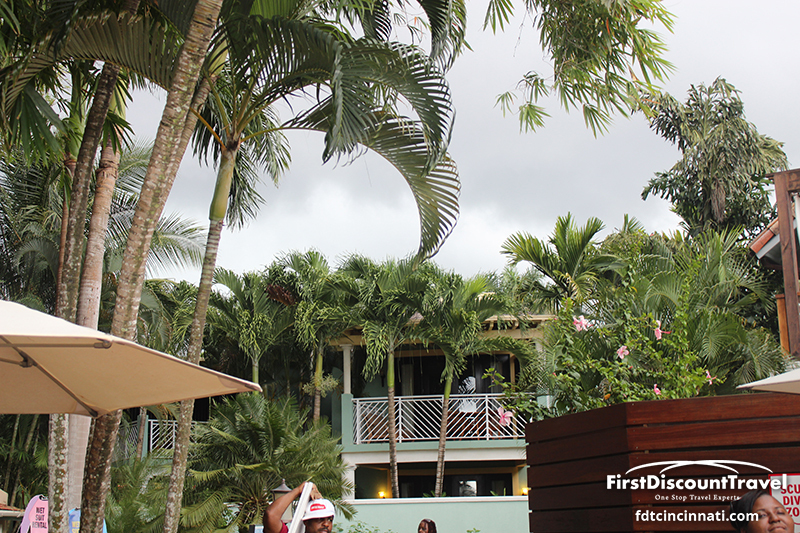 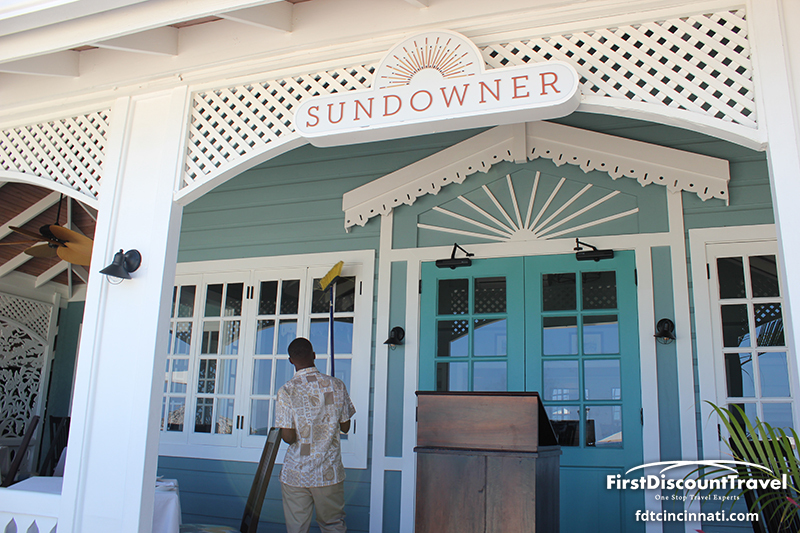 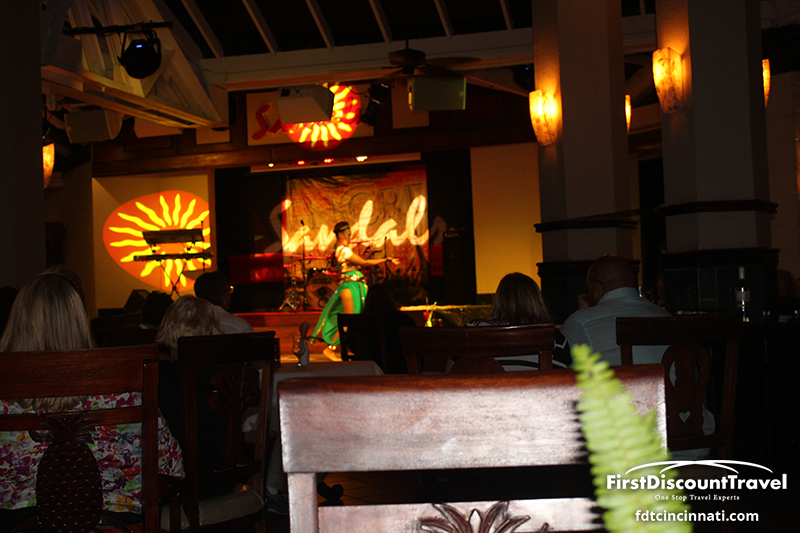 A saxophone player serenades the guests around sunset. 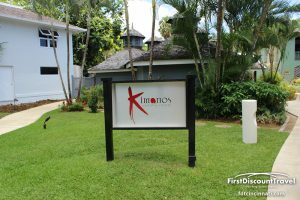 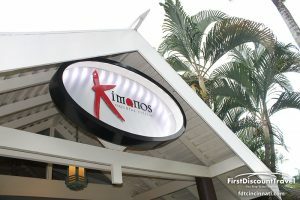 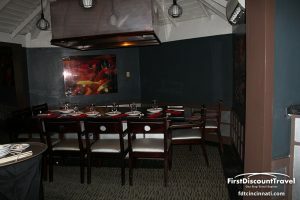 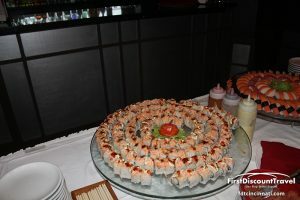 Kimonos (Teppanaki cuisine) is the only restaurant that requires reservations. 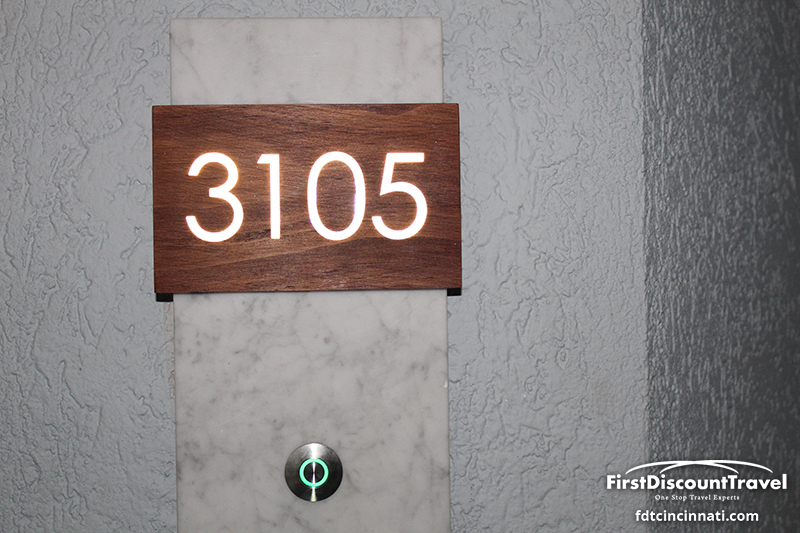 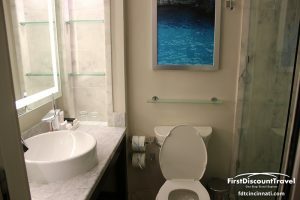 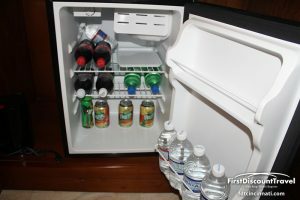 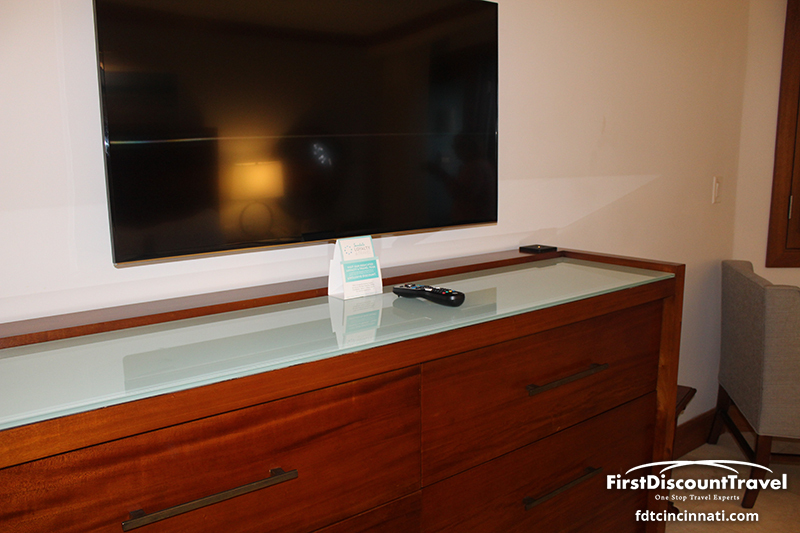 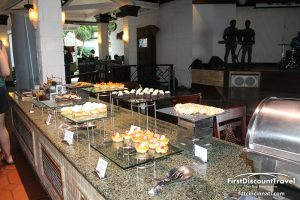 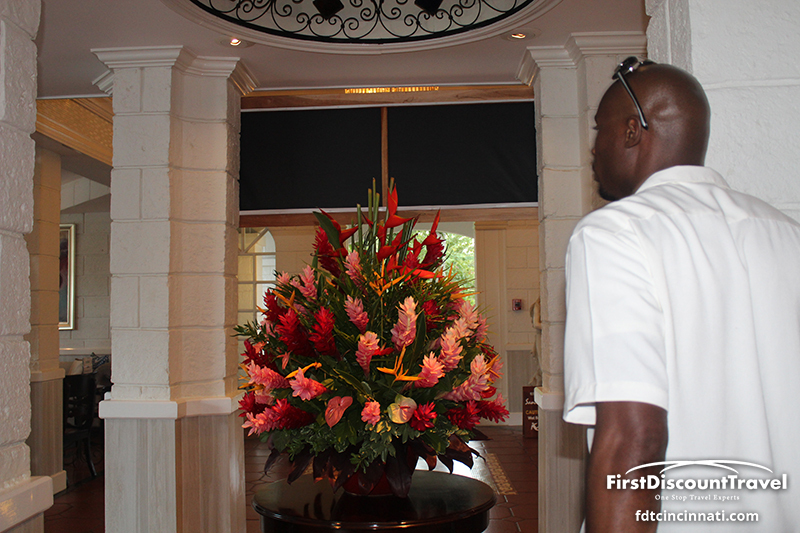 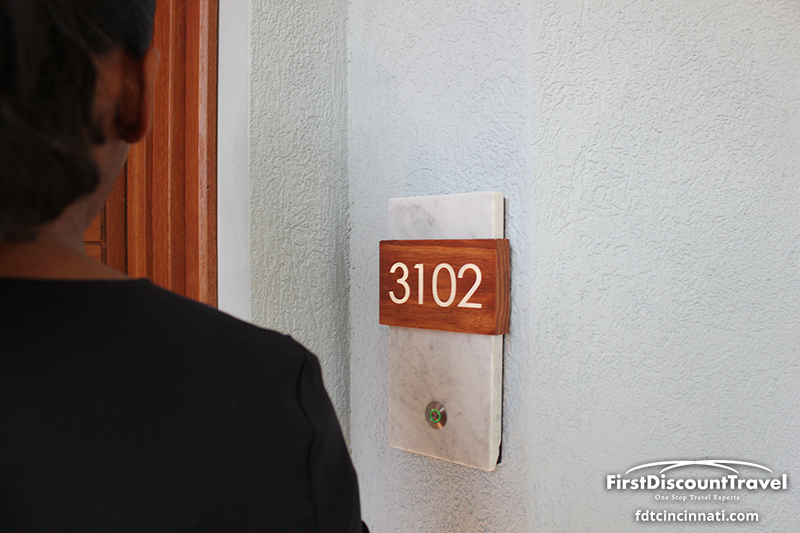 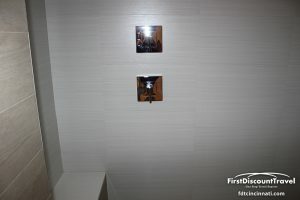 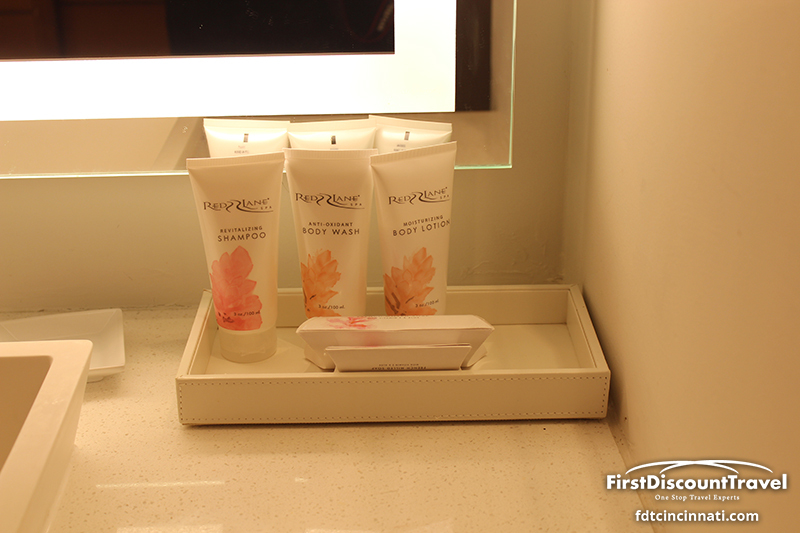 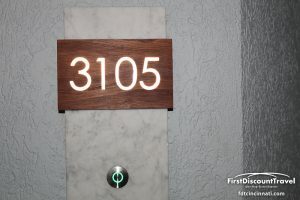 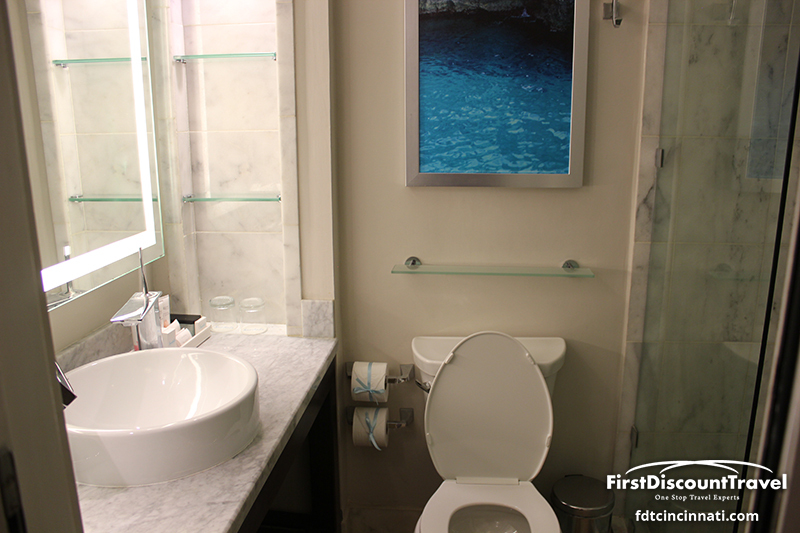 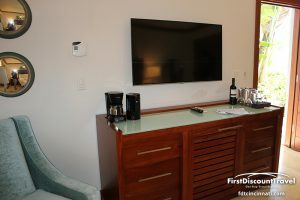 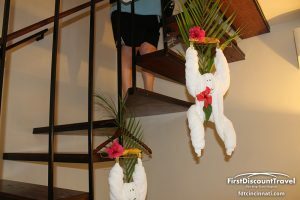 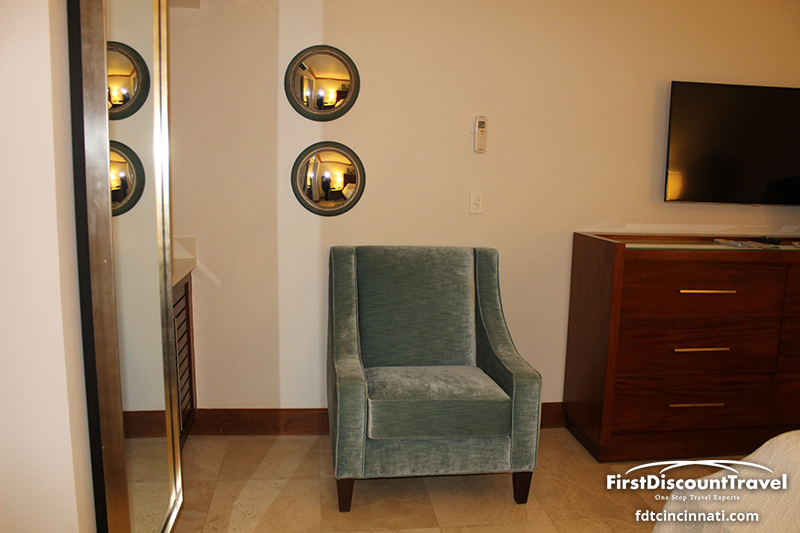 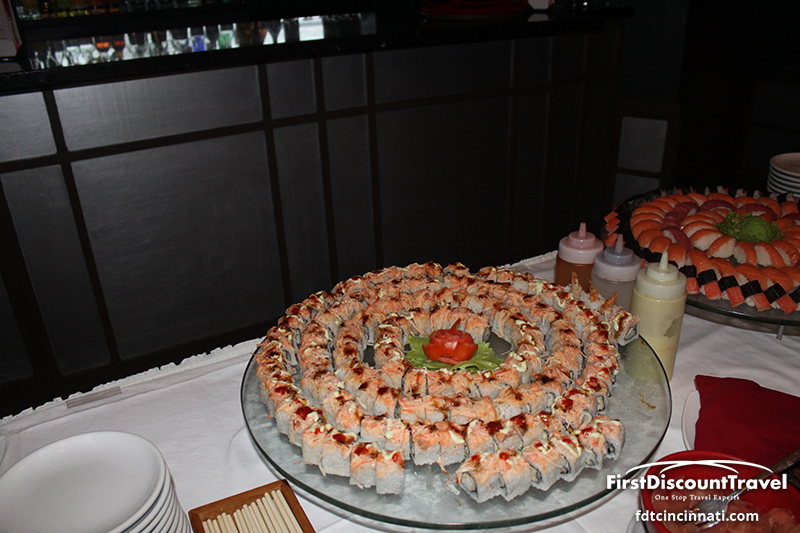 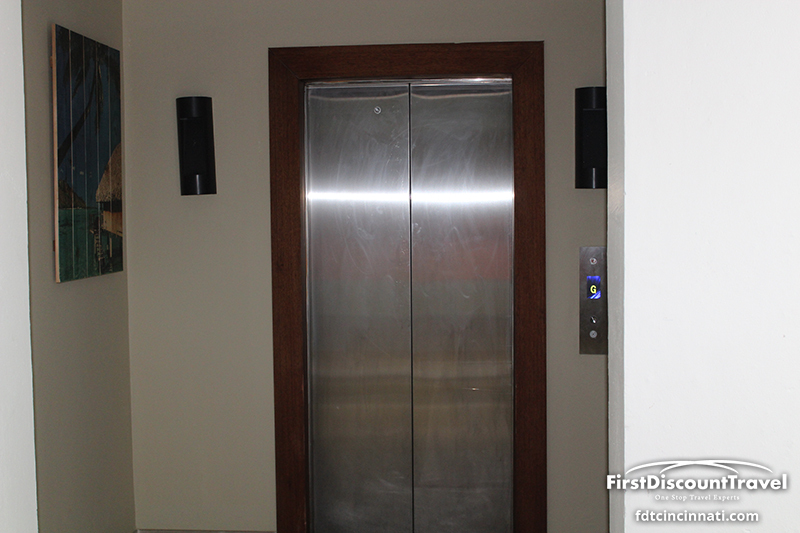 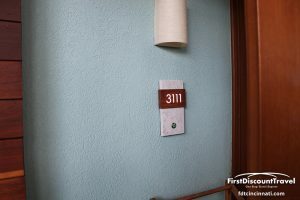 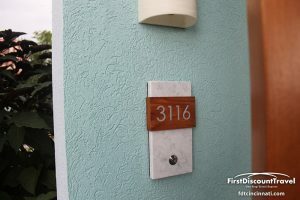 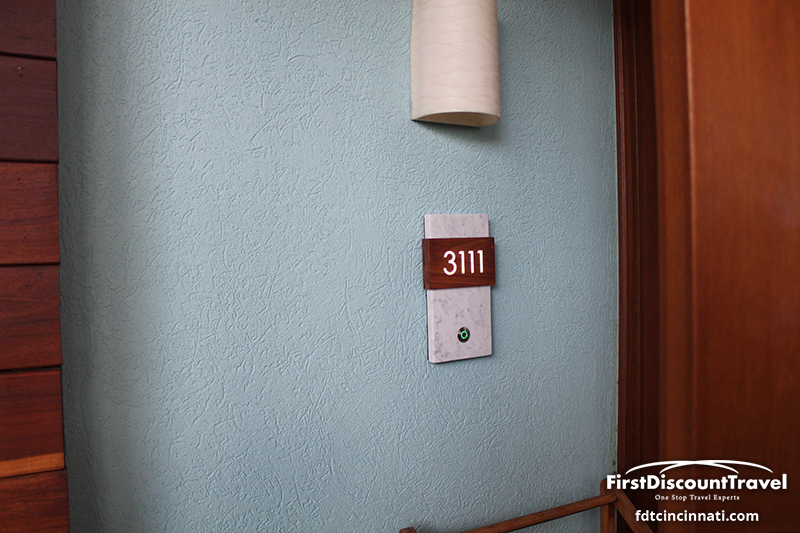 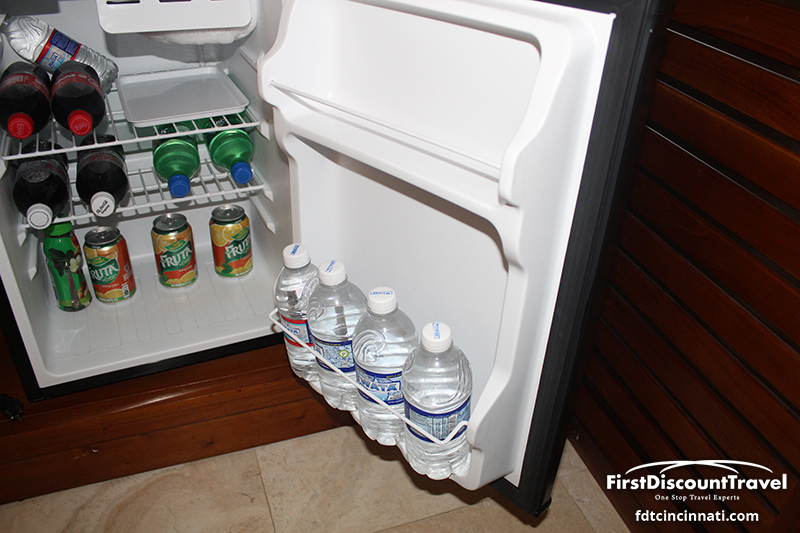 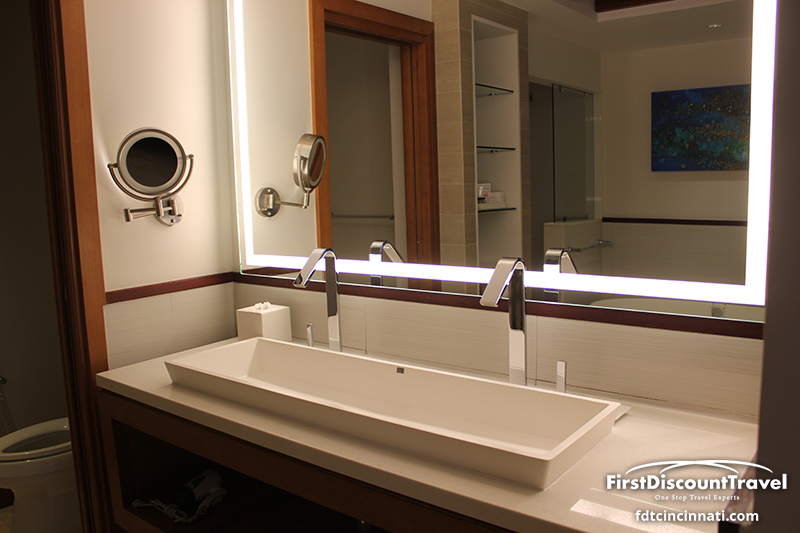 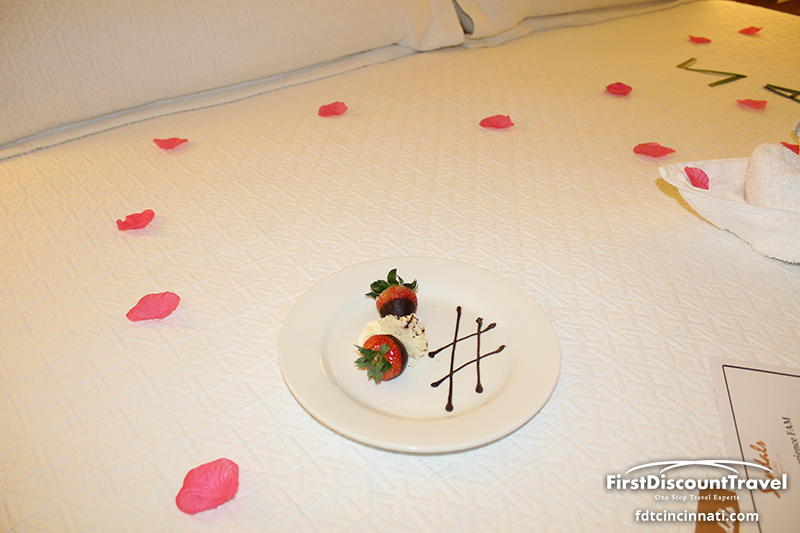 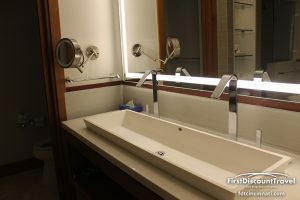 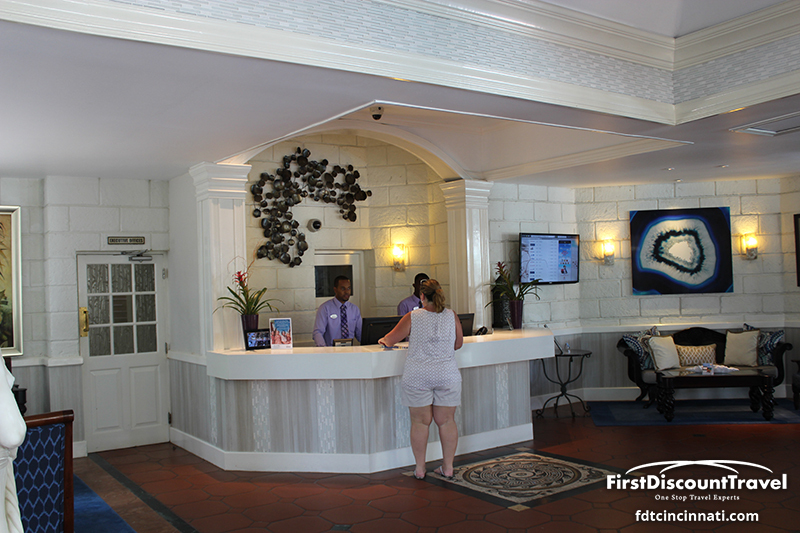 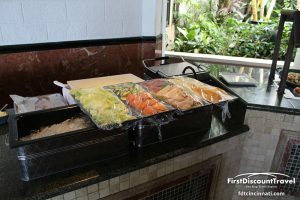 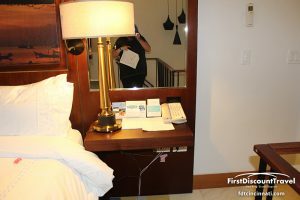 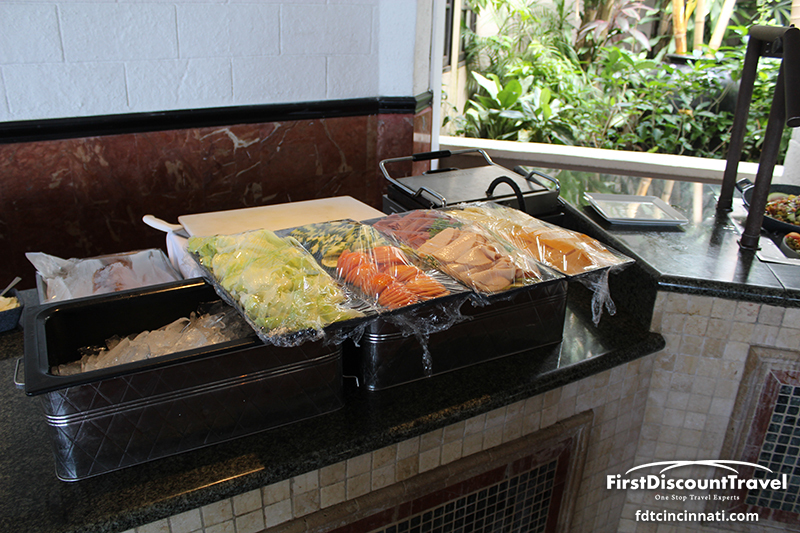 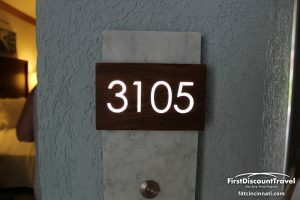 This can be done with the concierge or at the guest relations desk in the lobby. 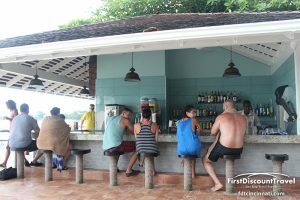 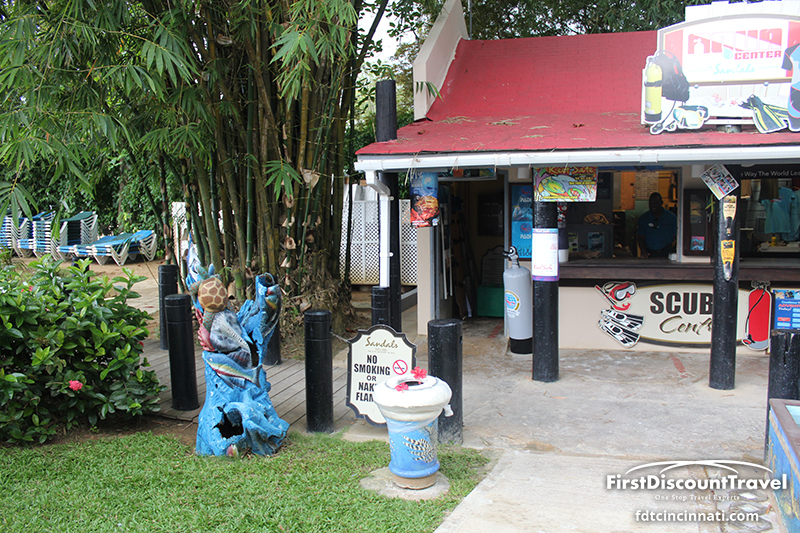 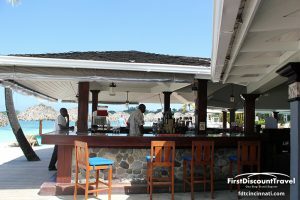 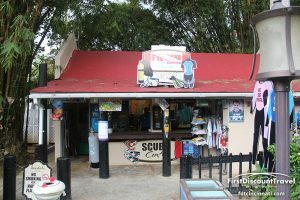 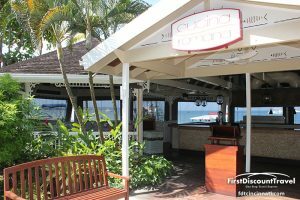 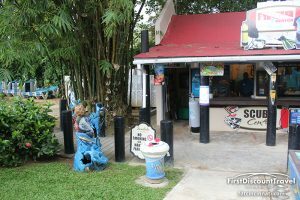 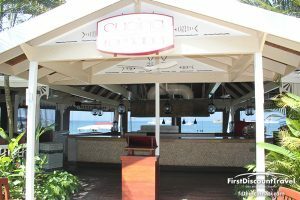 Sandals serves Red Stripe Beer only. 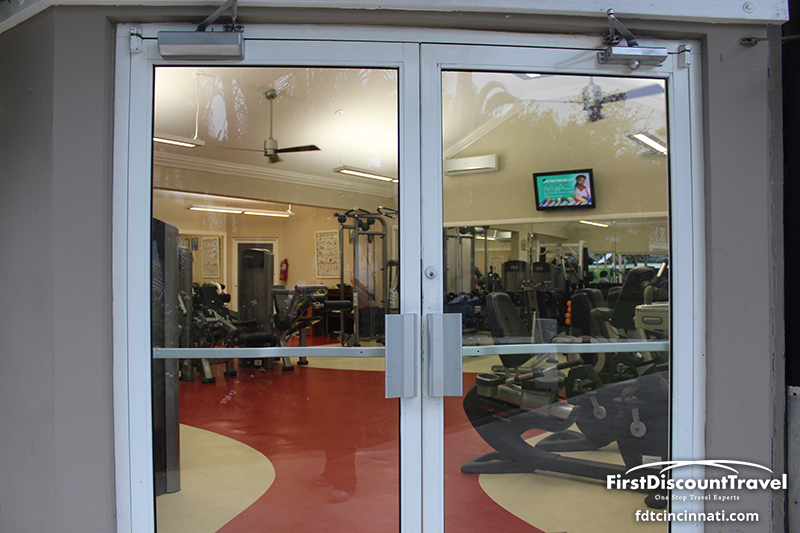 There are racquetball, tennis and squash courts which are located across the street in the sports complex. 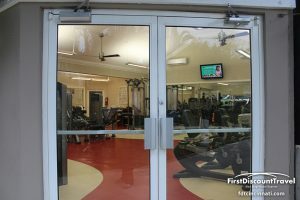 There is an air conditioned gym in the main hotel area. 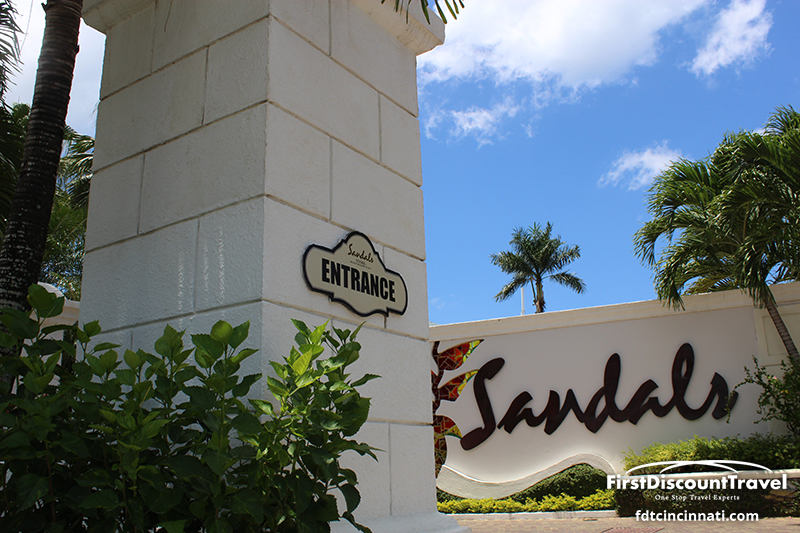 As with all Sandals properties, personal trainers are free of charge. 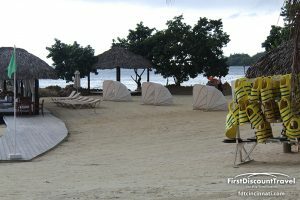 The resort is spread out and very quiet in the evenings. 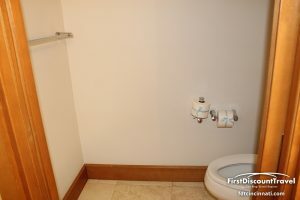 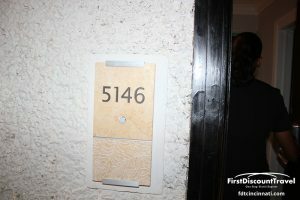 Please be very careful with the room categories! 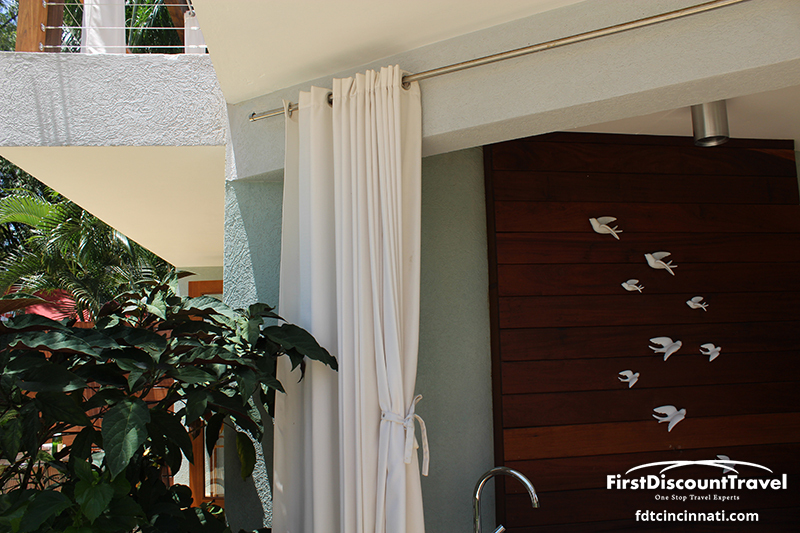 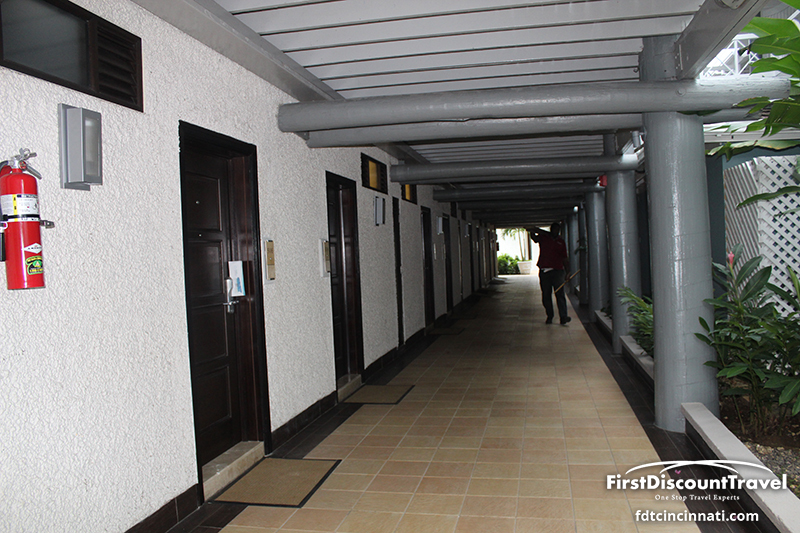 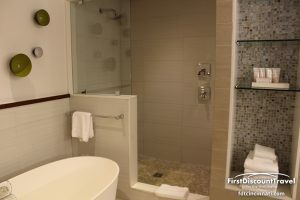 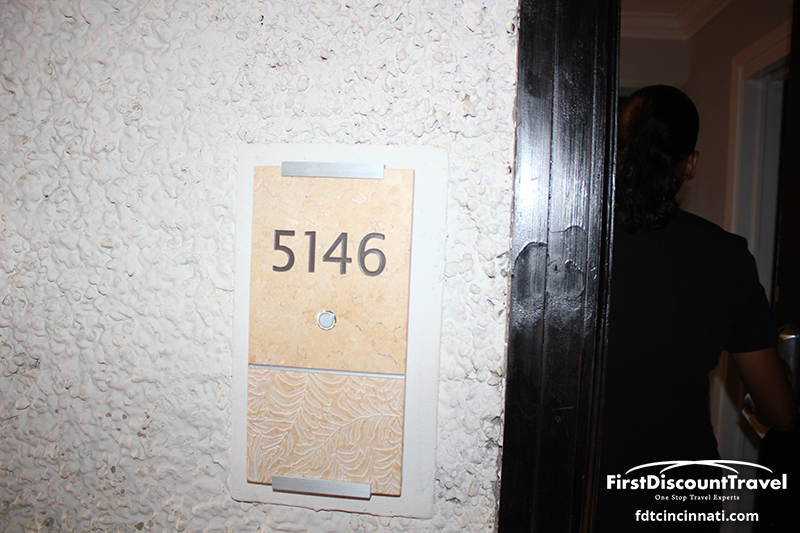 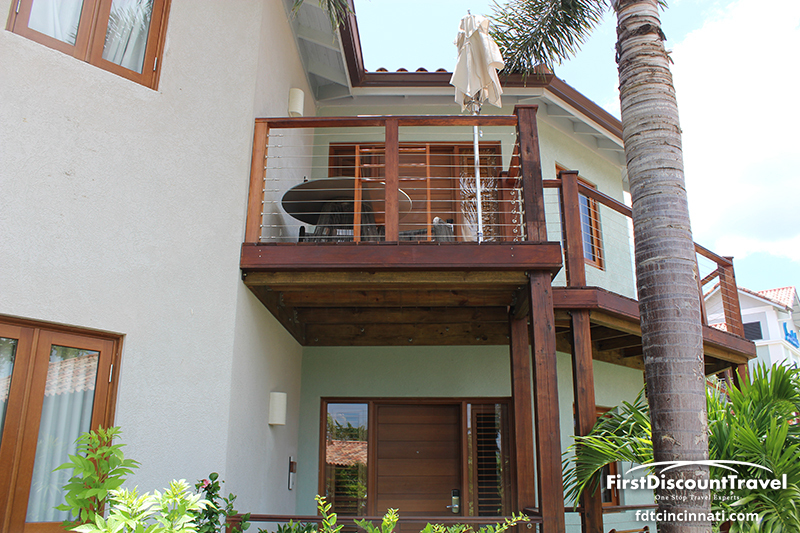 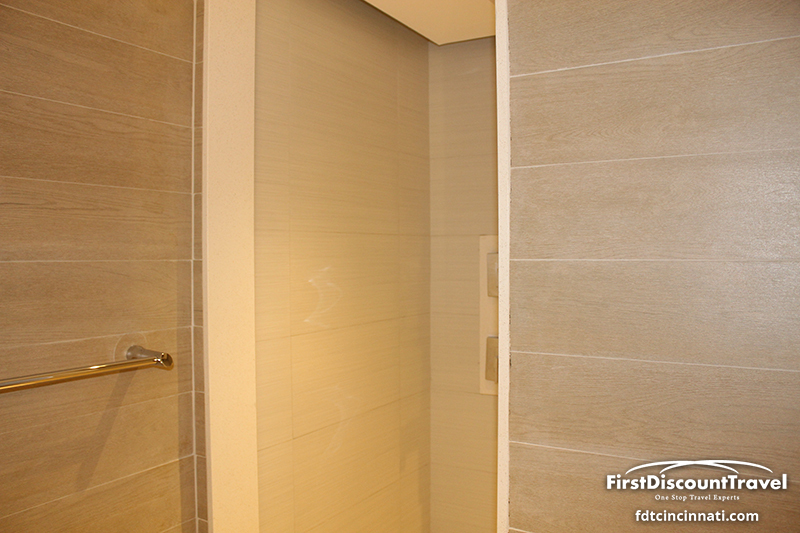 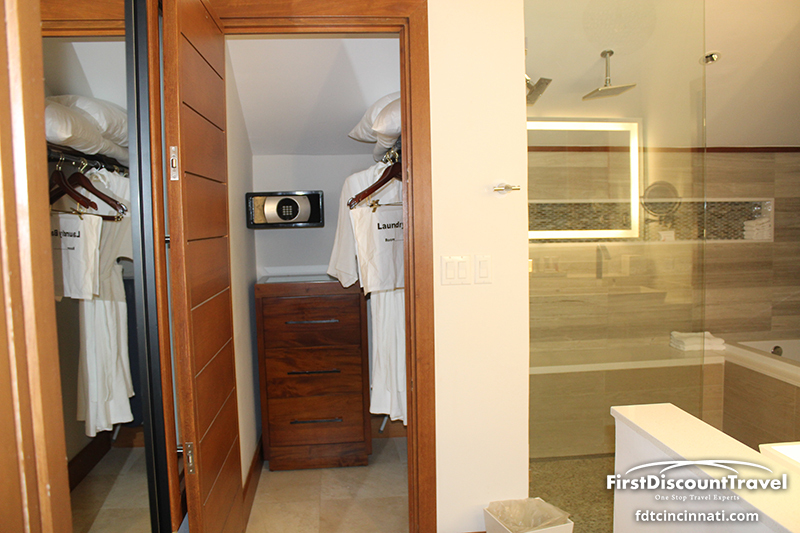 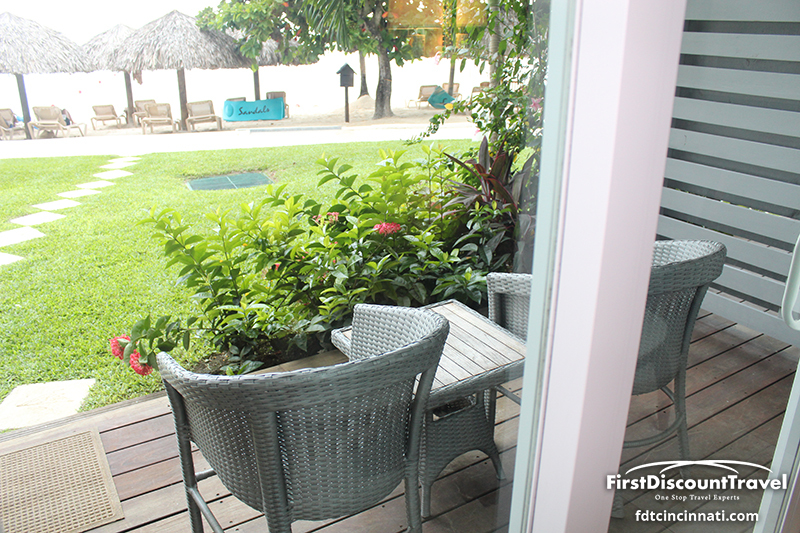 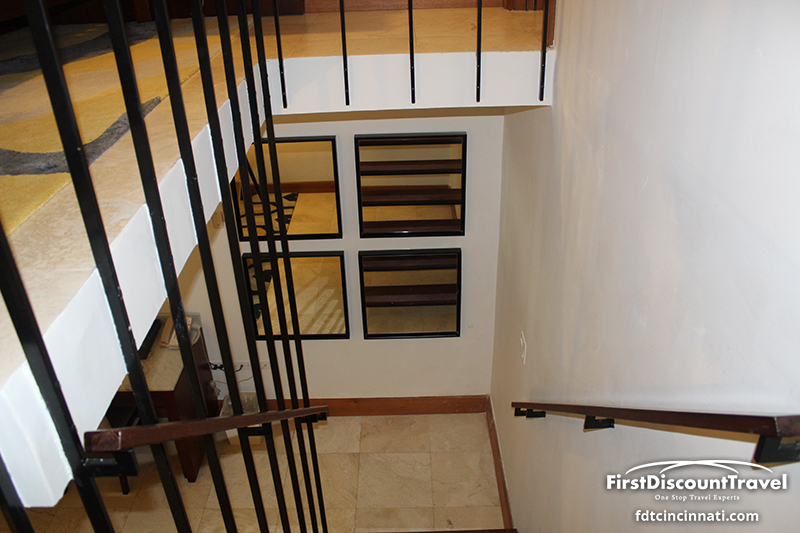 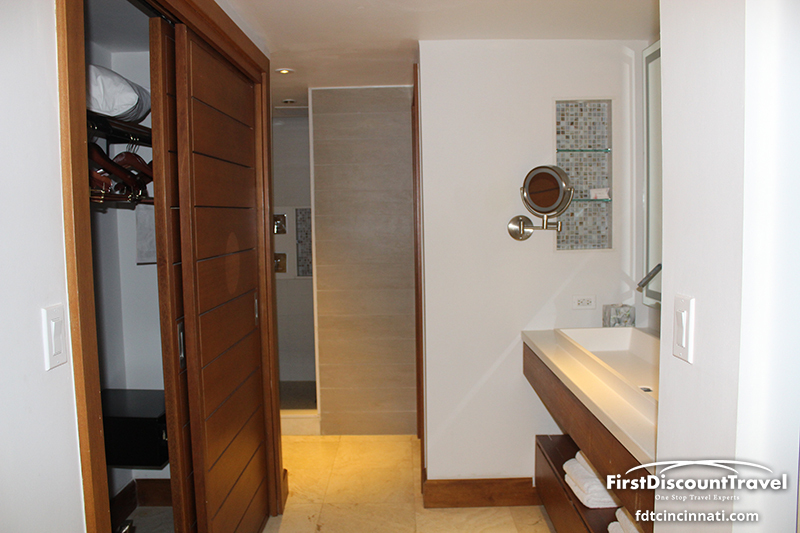 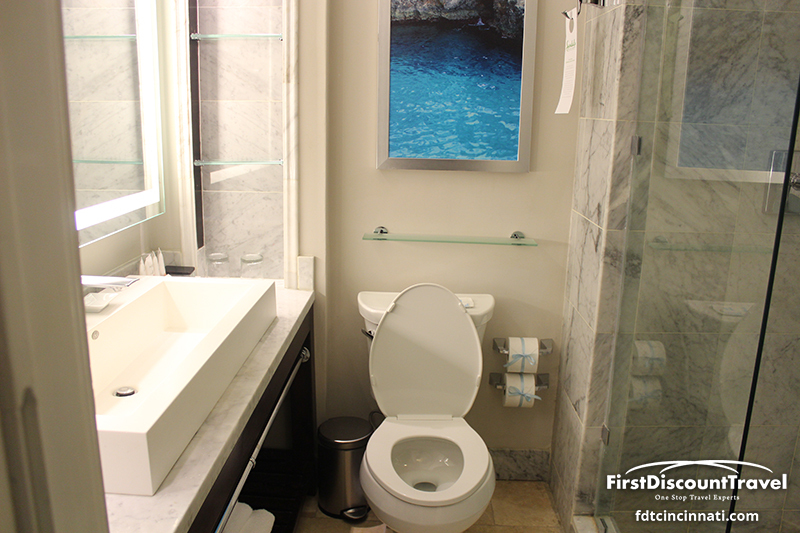 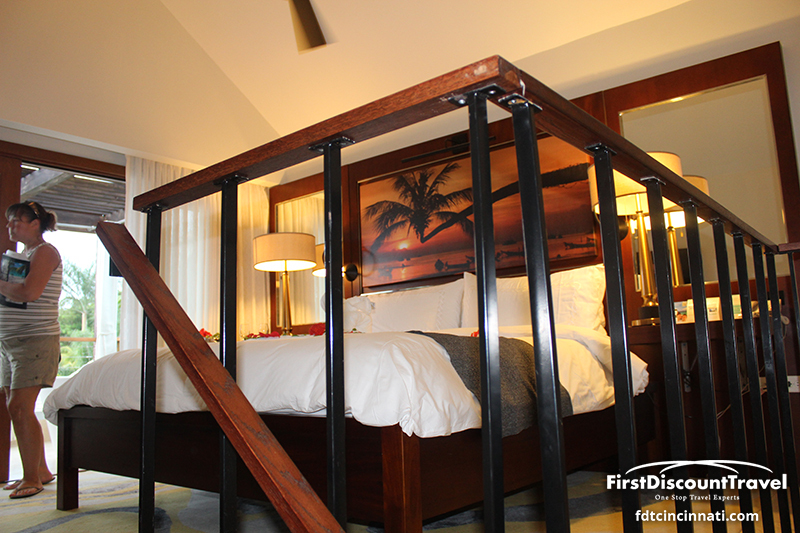 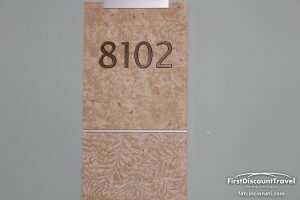 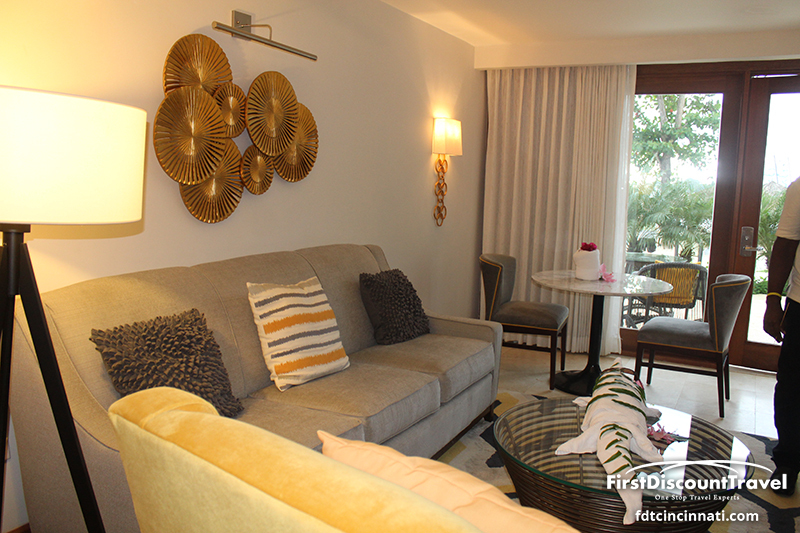 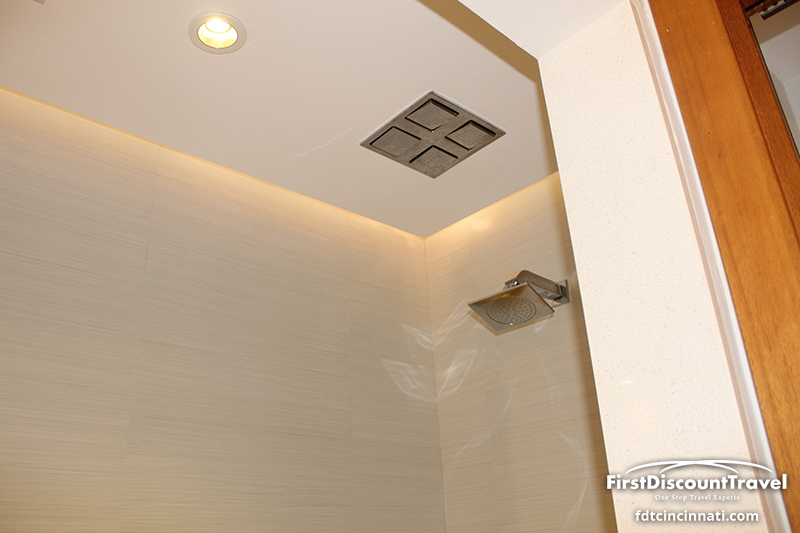 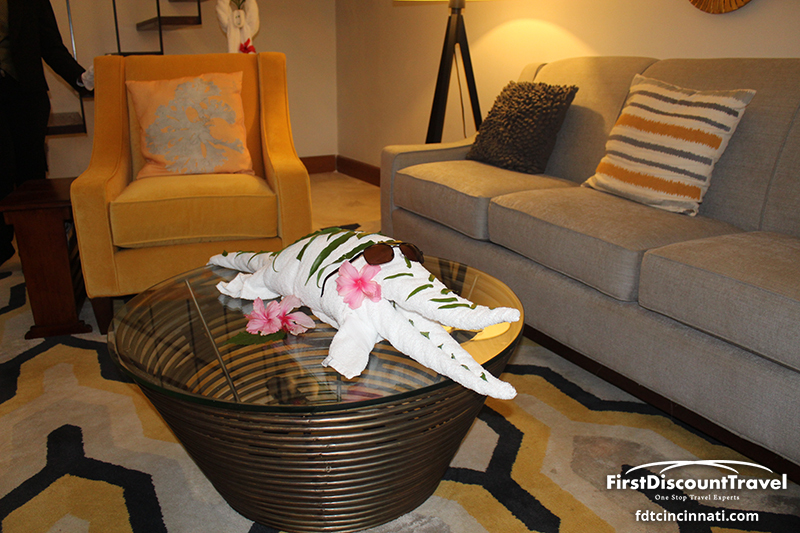 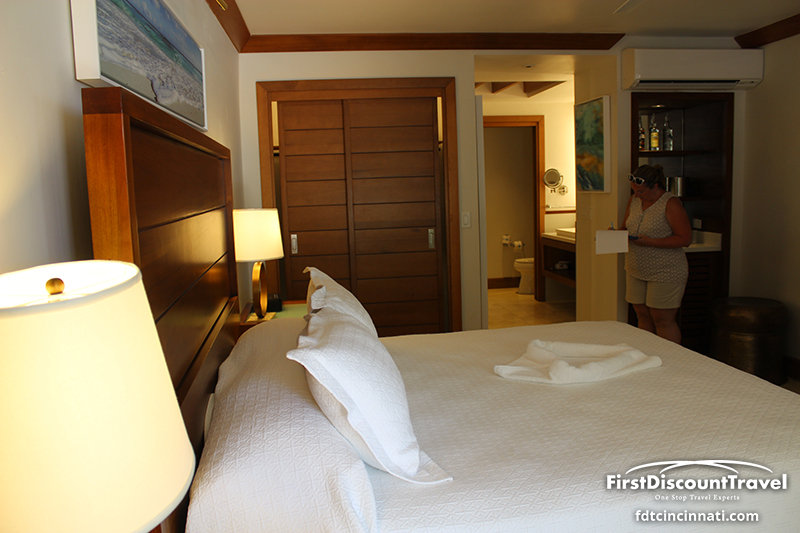 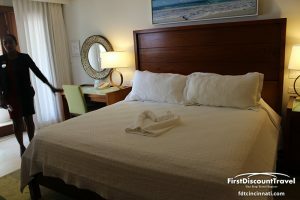 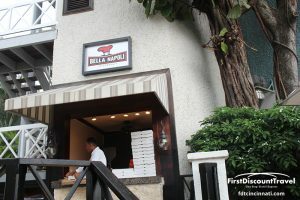 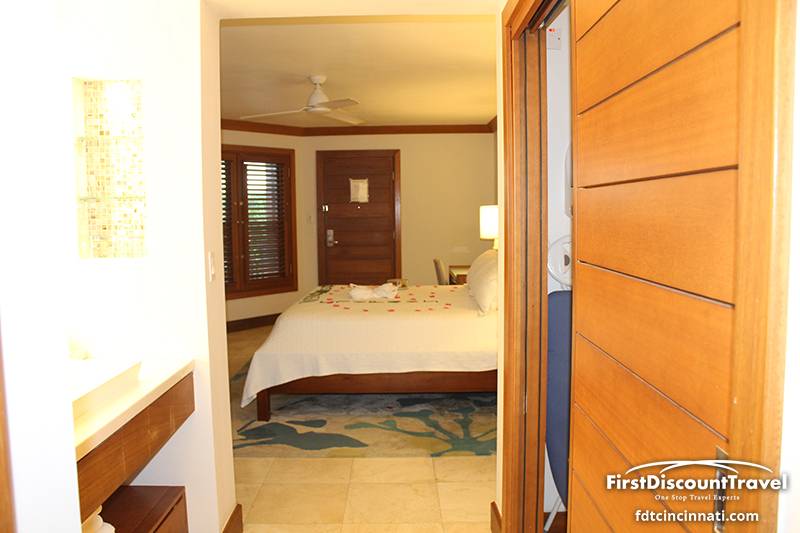 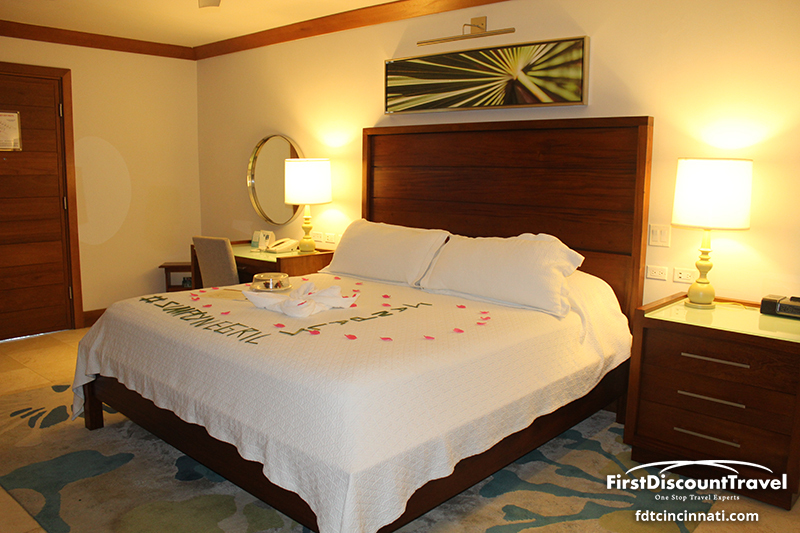 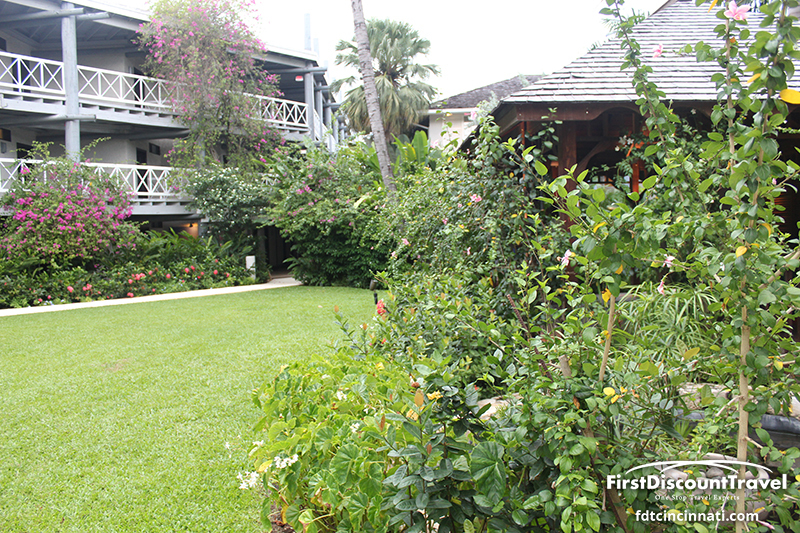 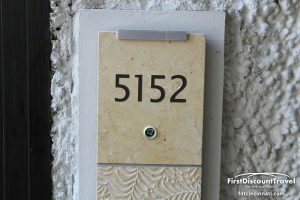 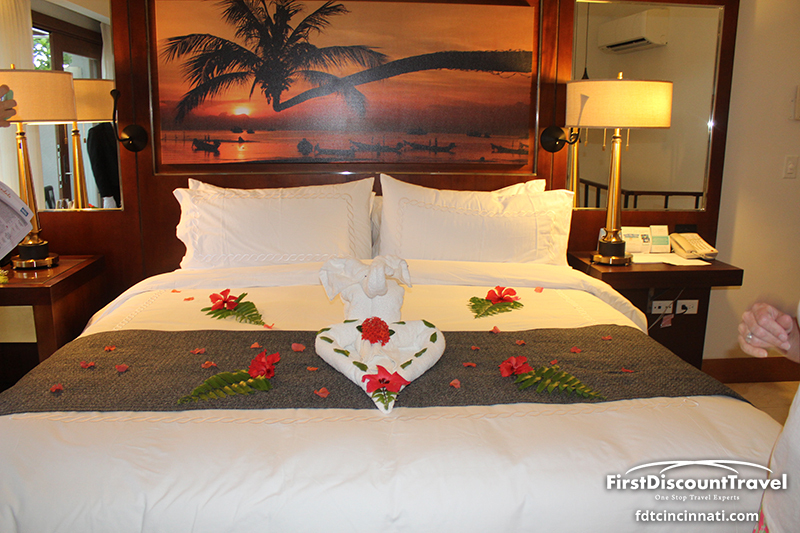 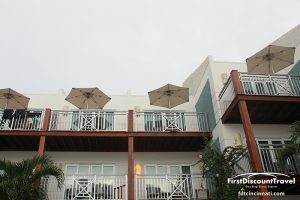 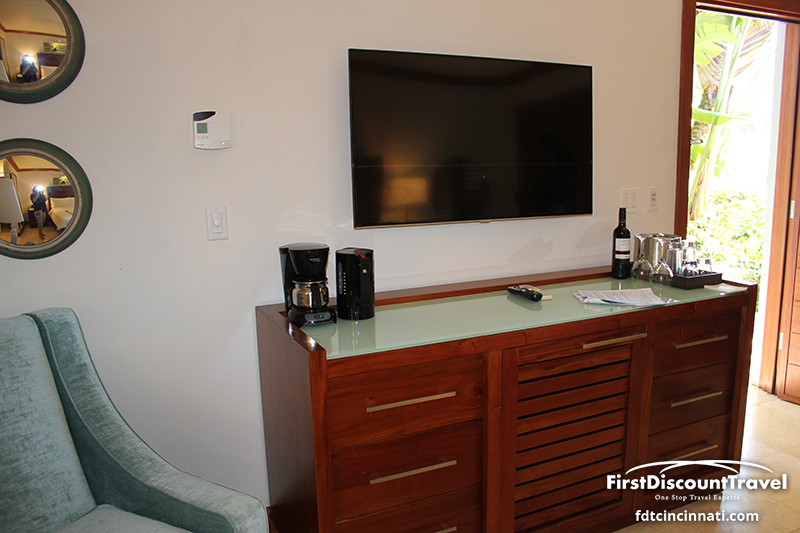 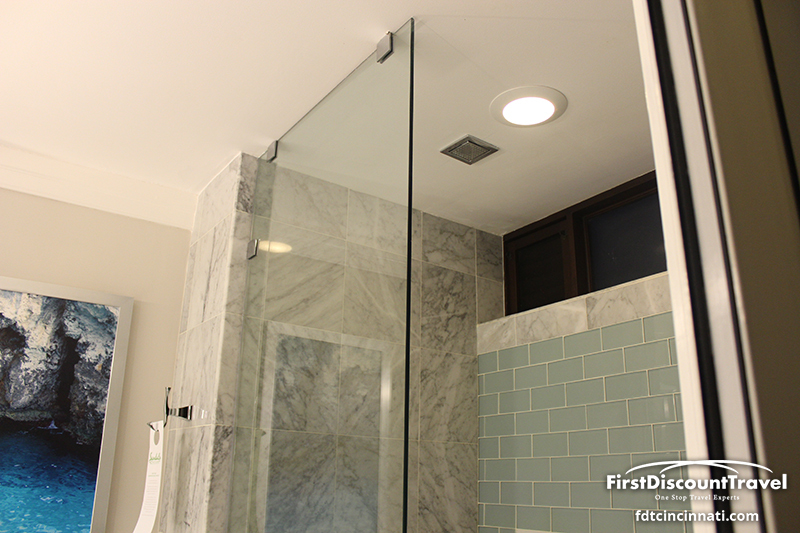 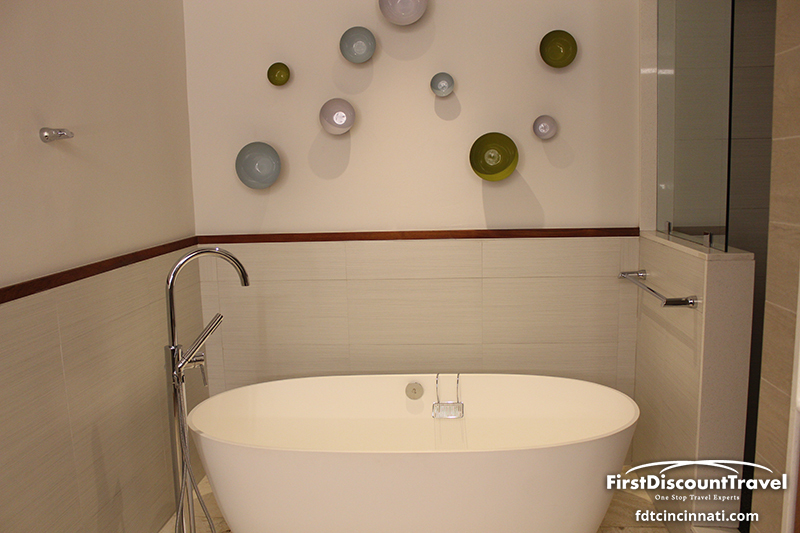 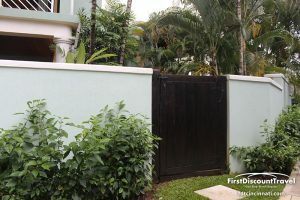 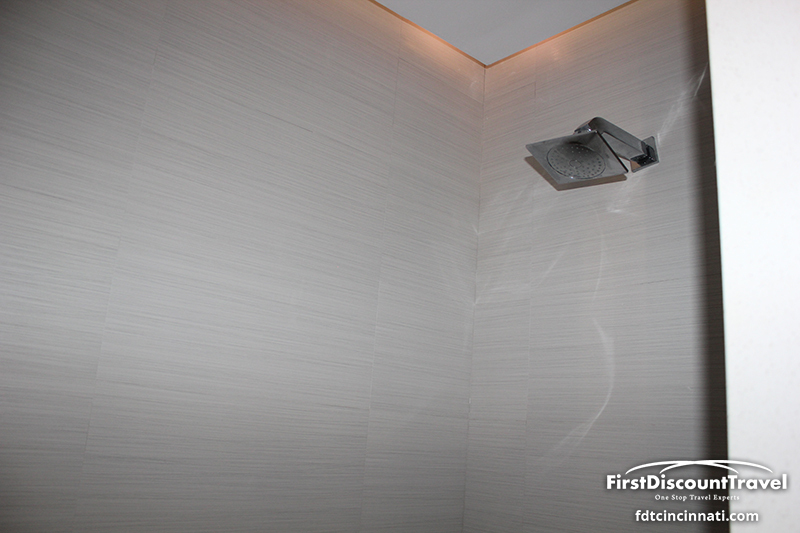 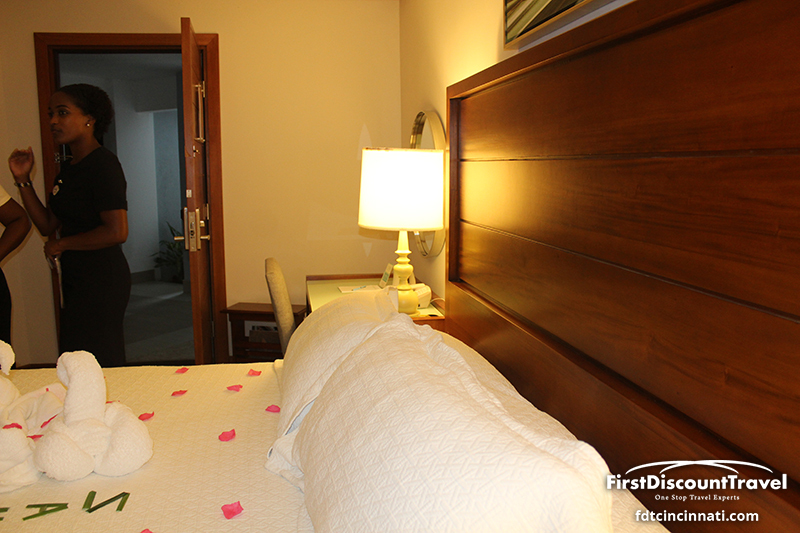 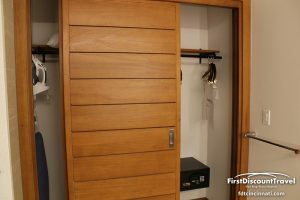 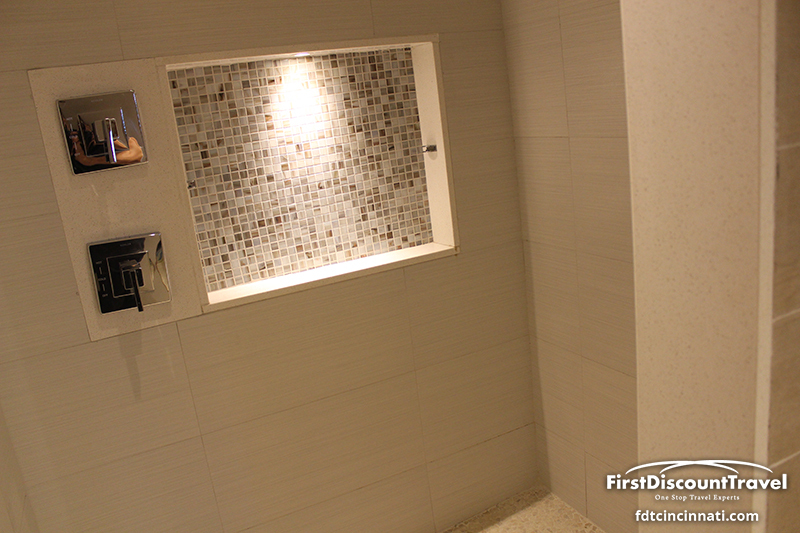 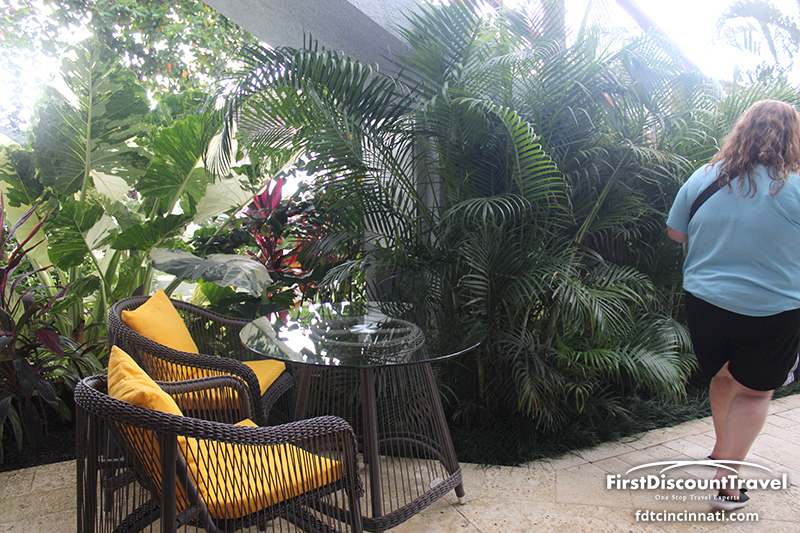 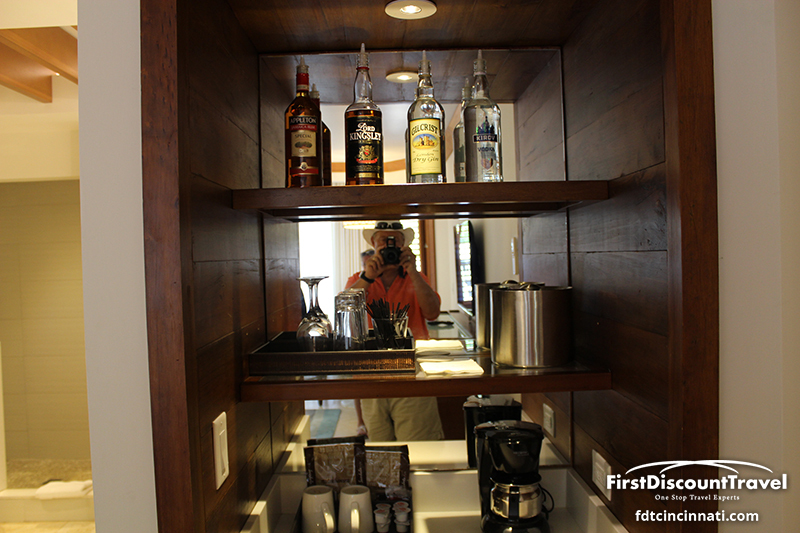 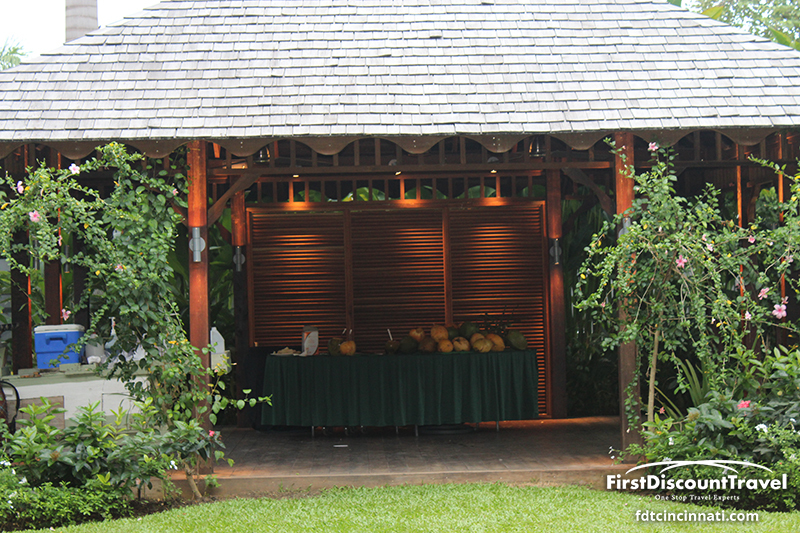 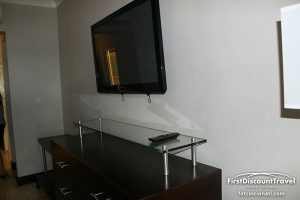 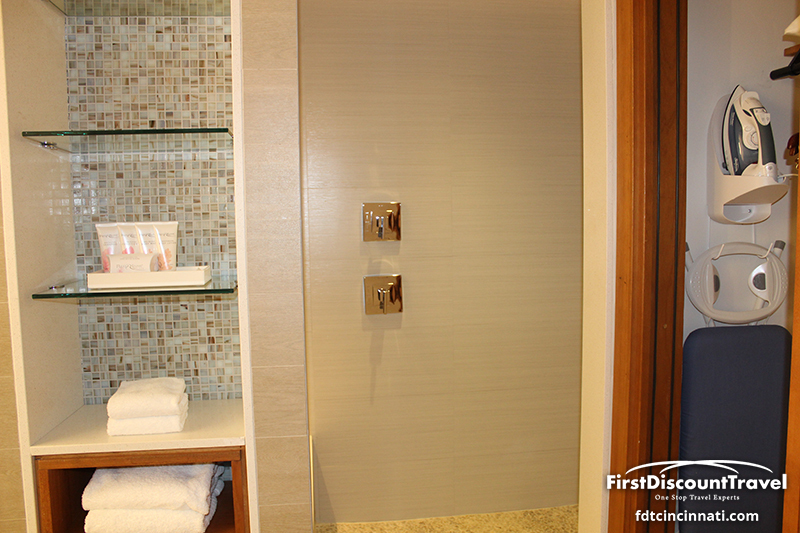 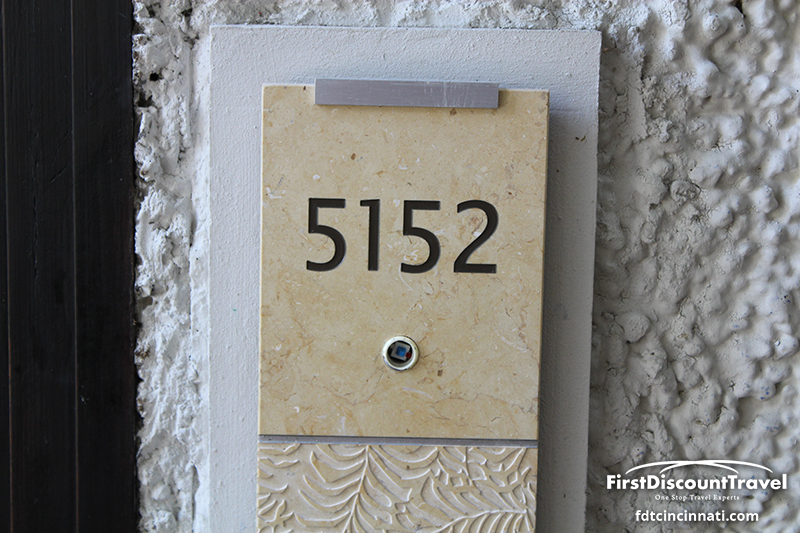 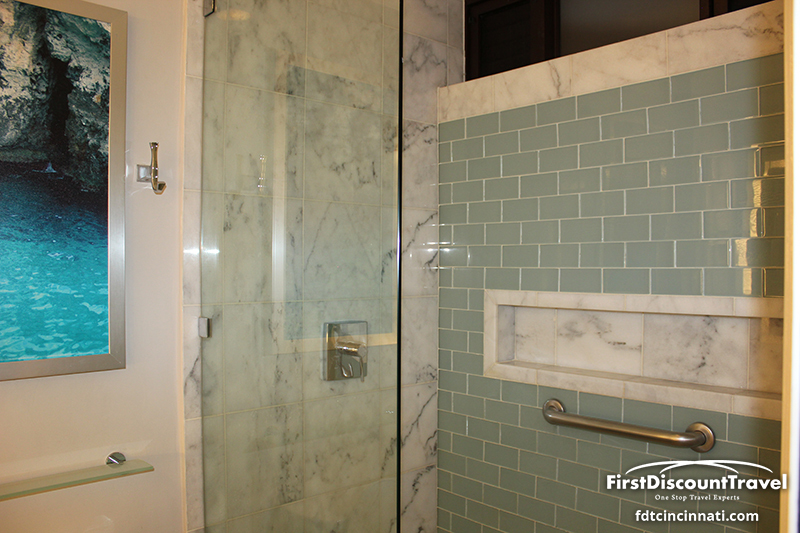 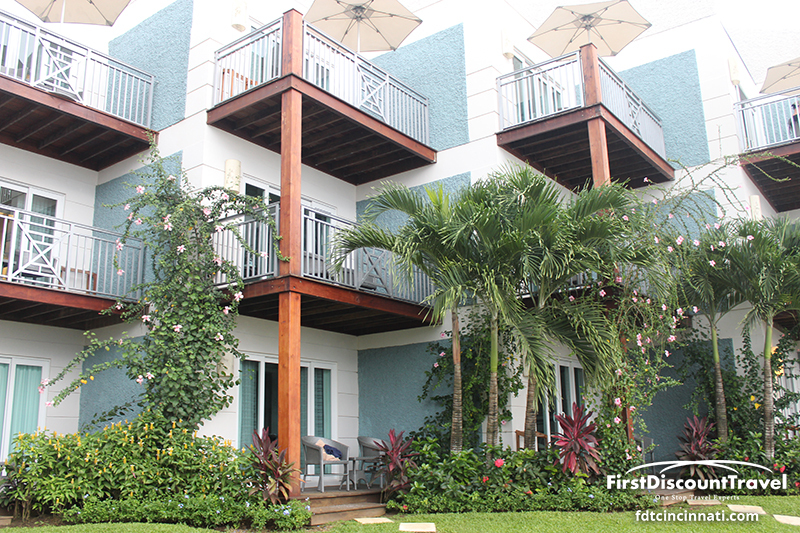 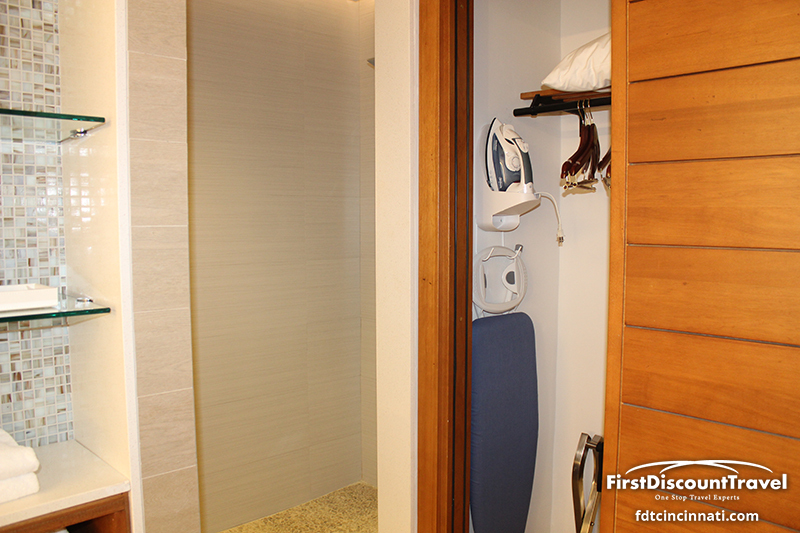 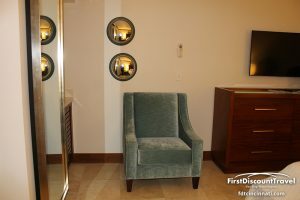 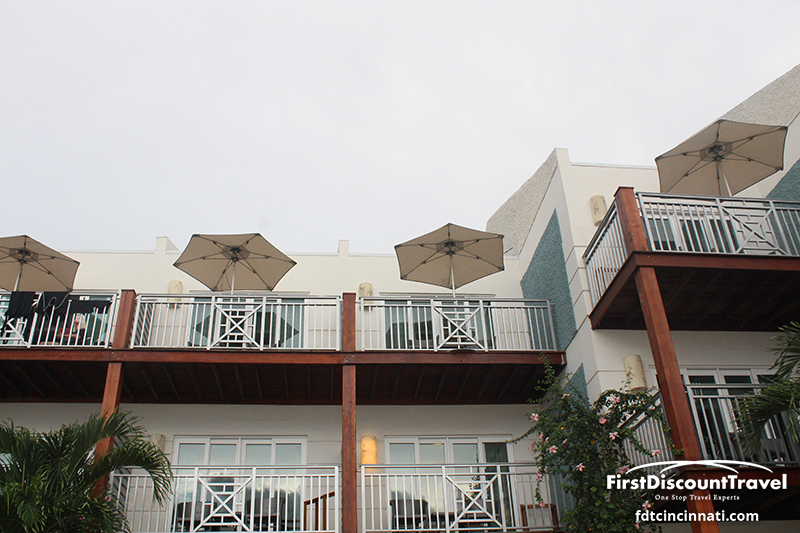 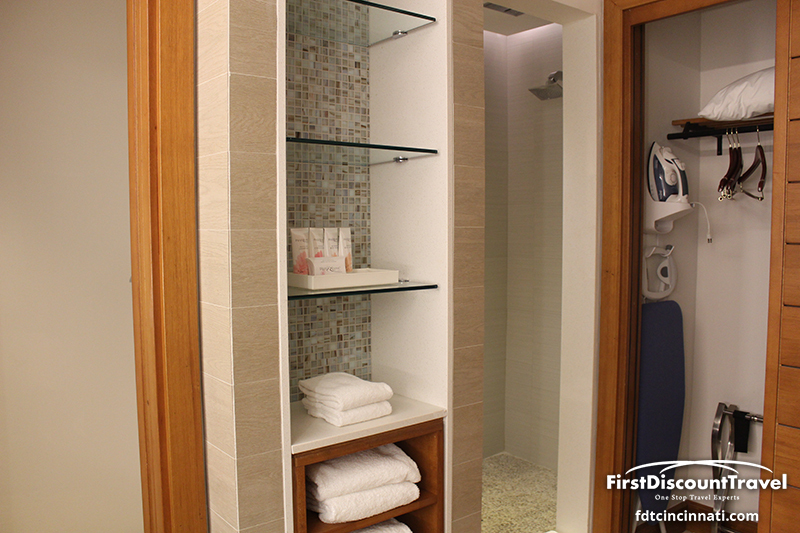 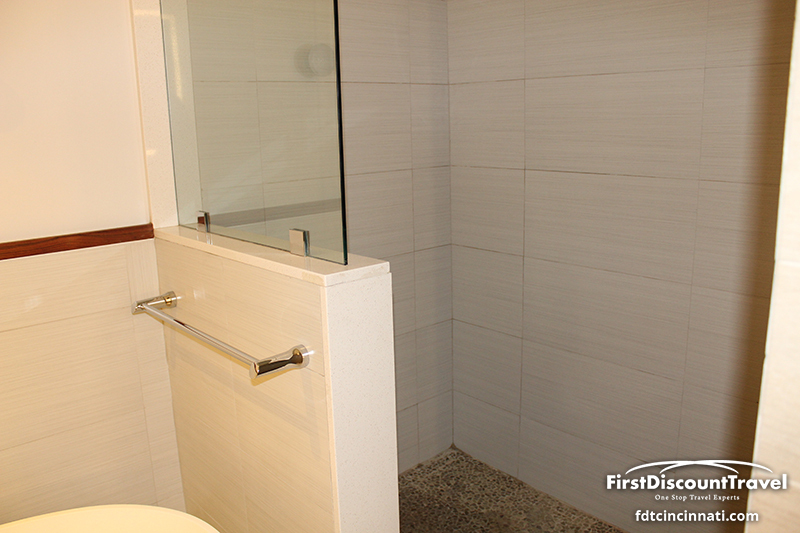 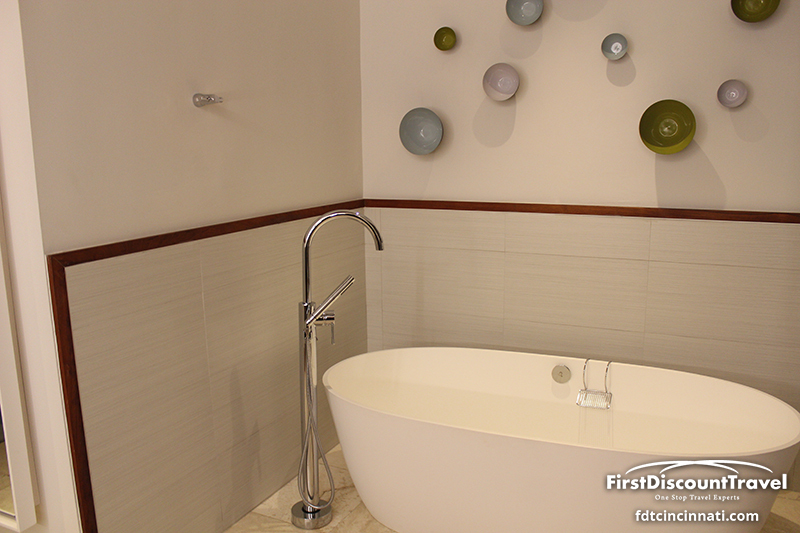 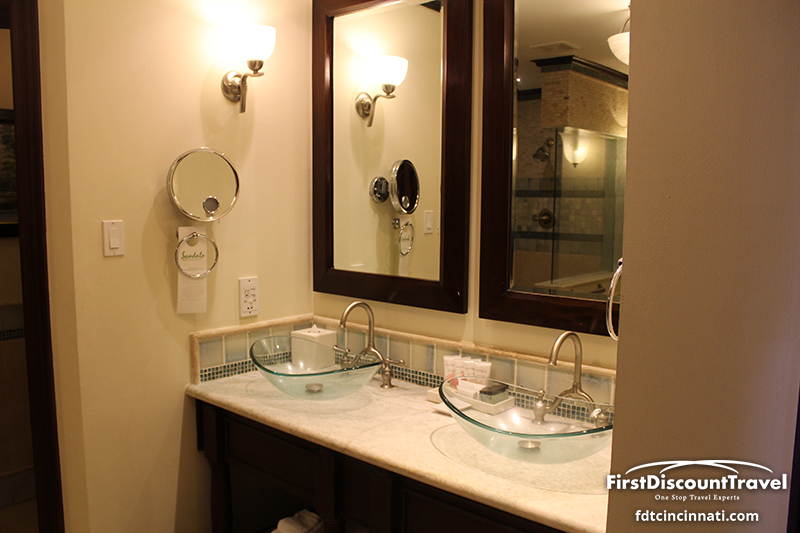 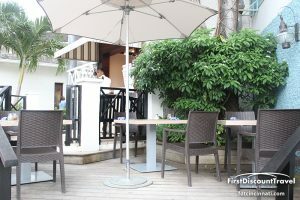 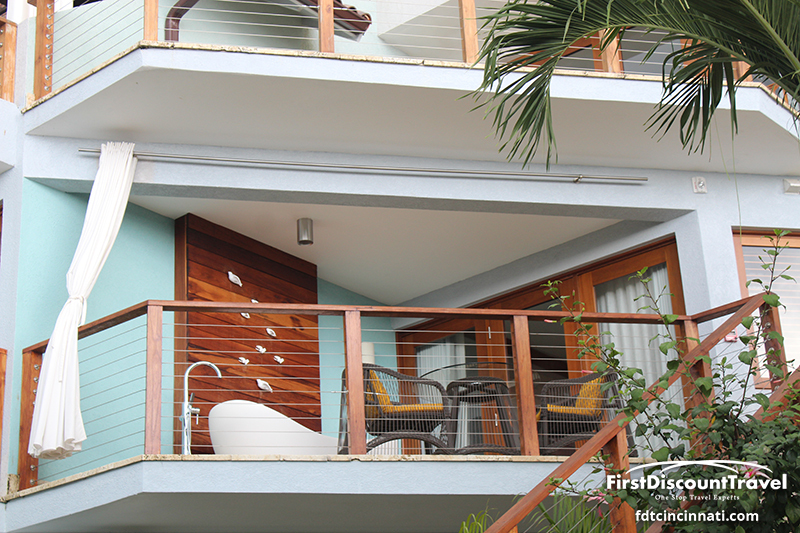 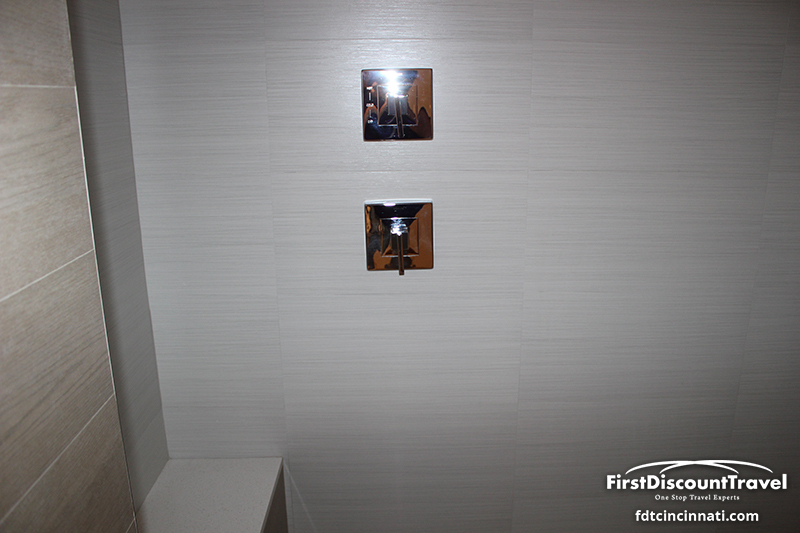 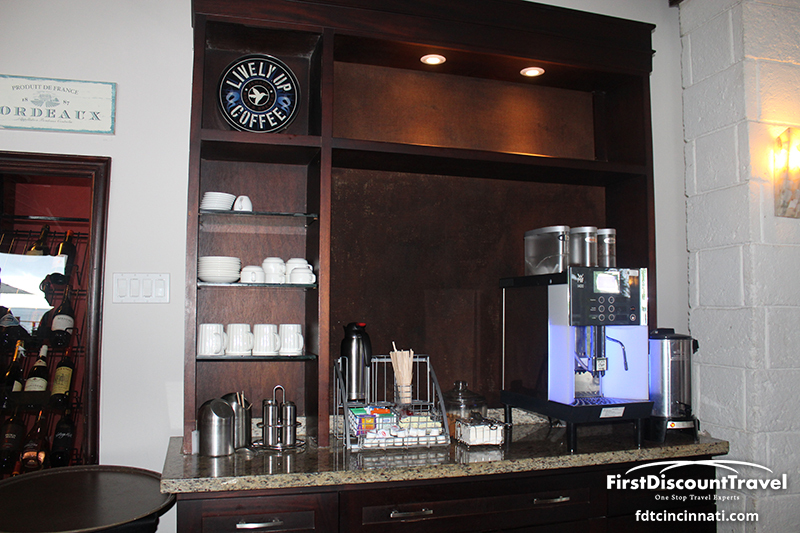 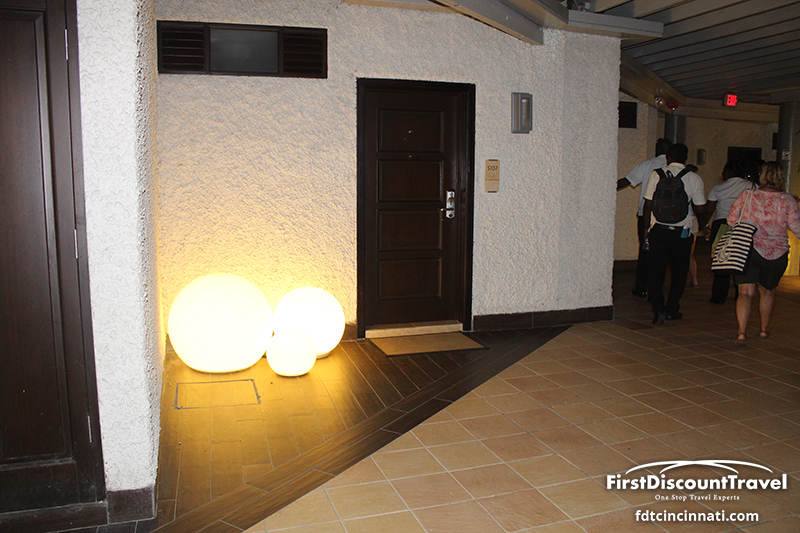 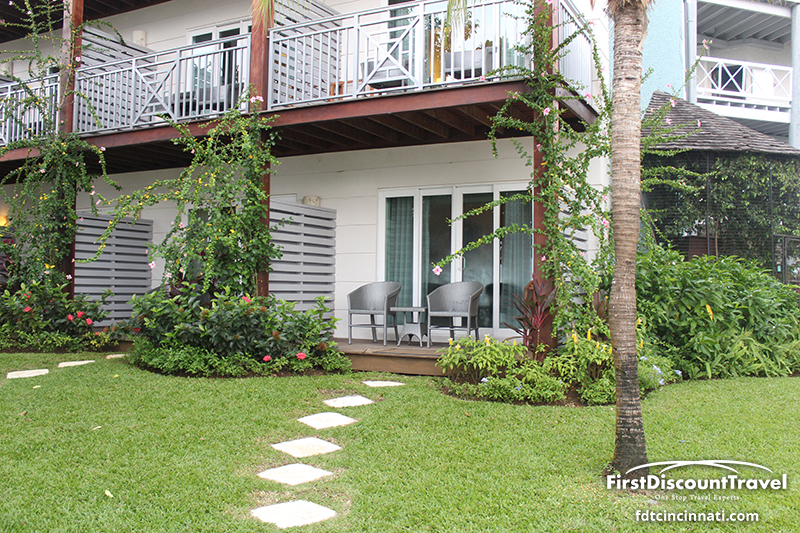 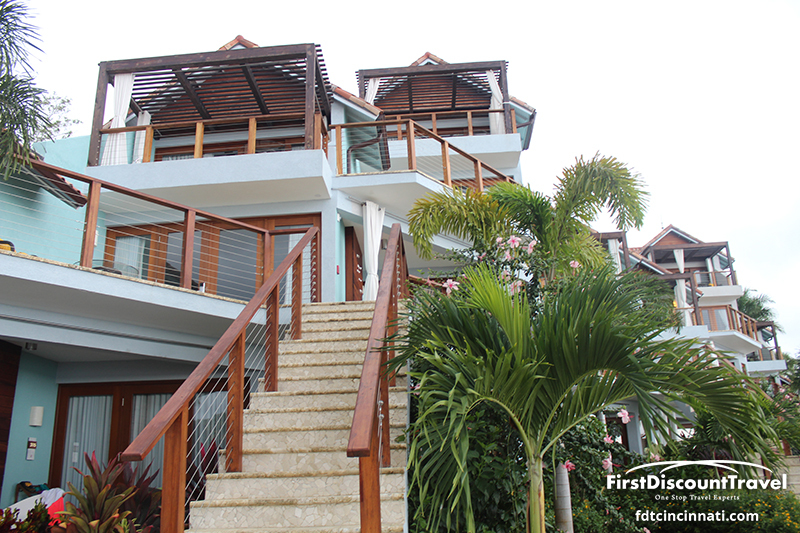 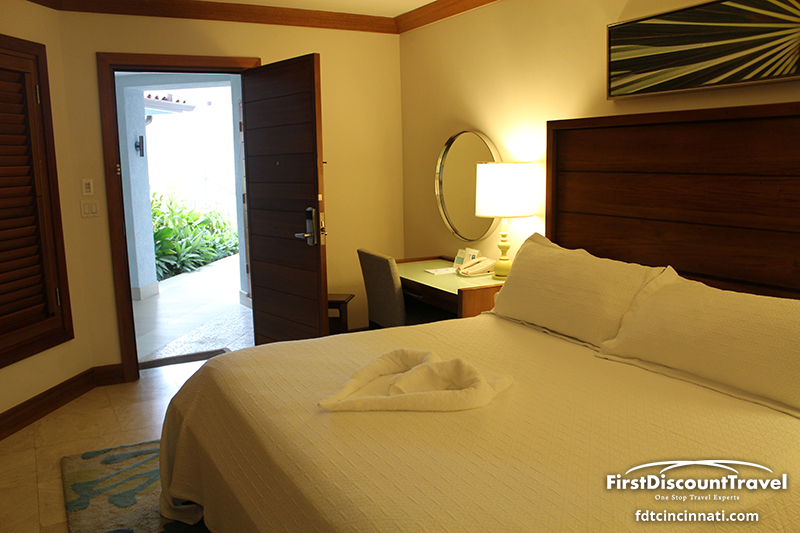 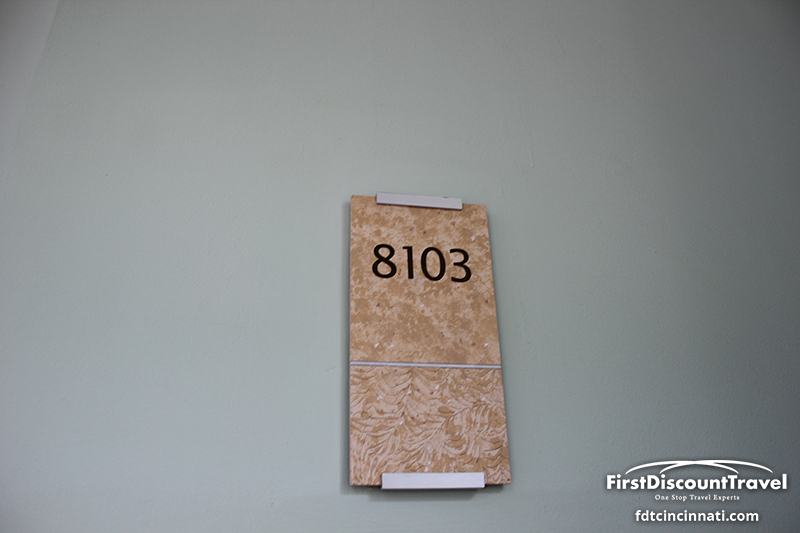 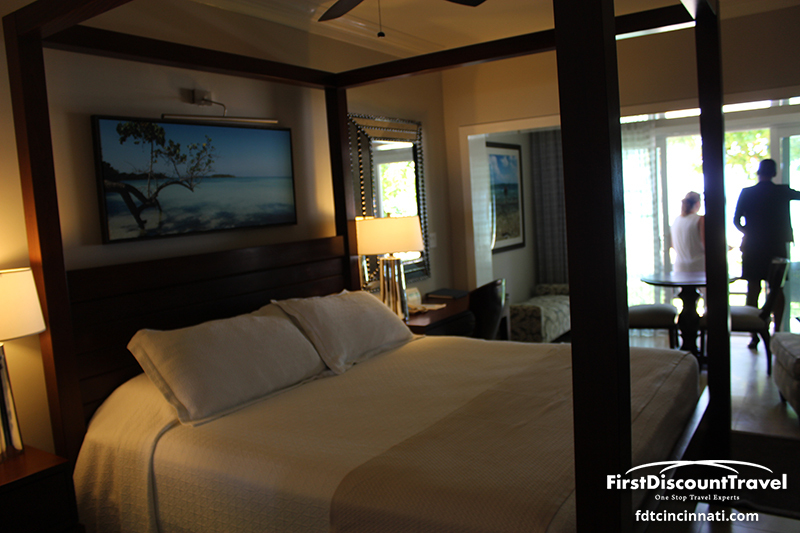 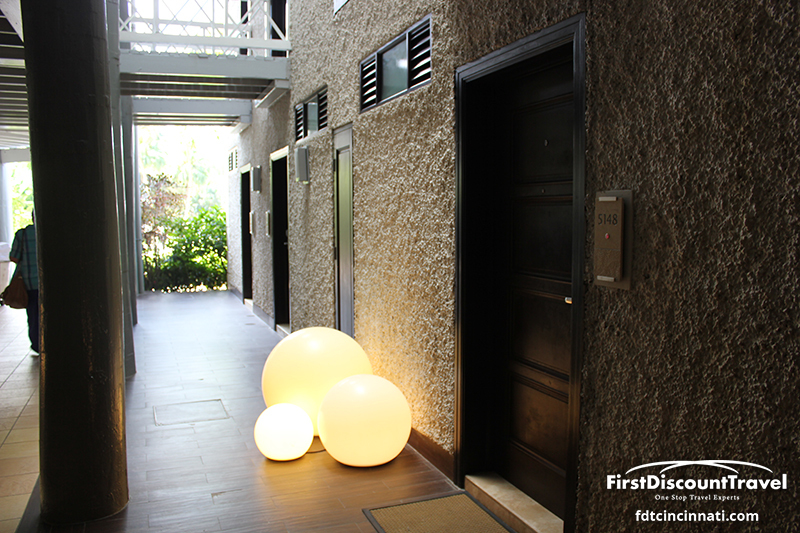 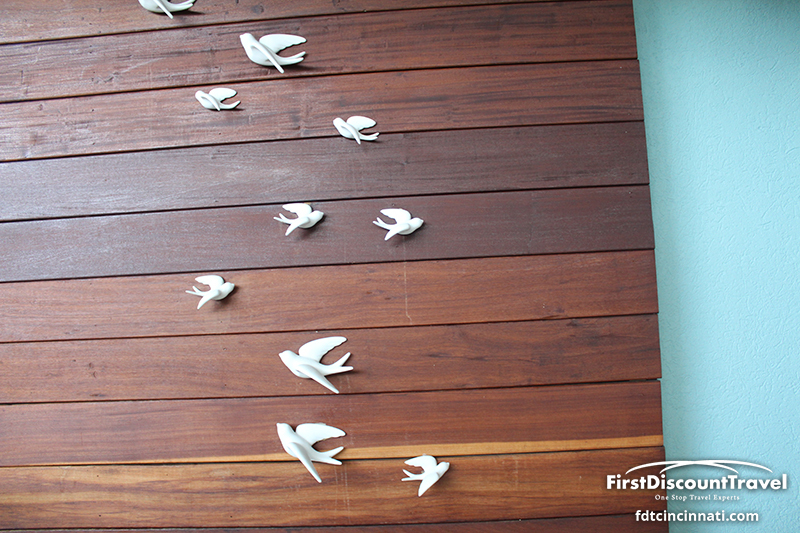 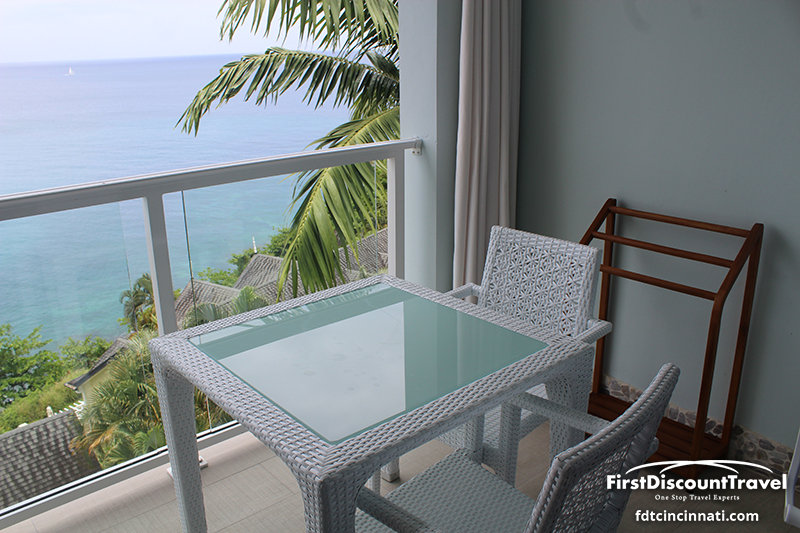 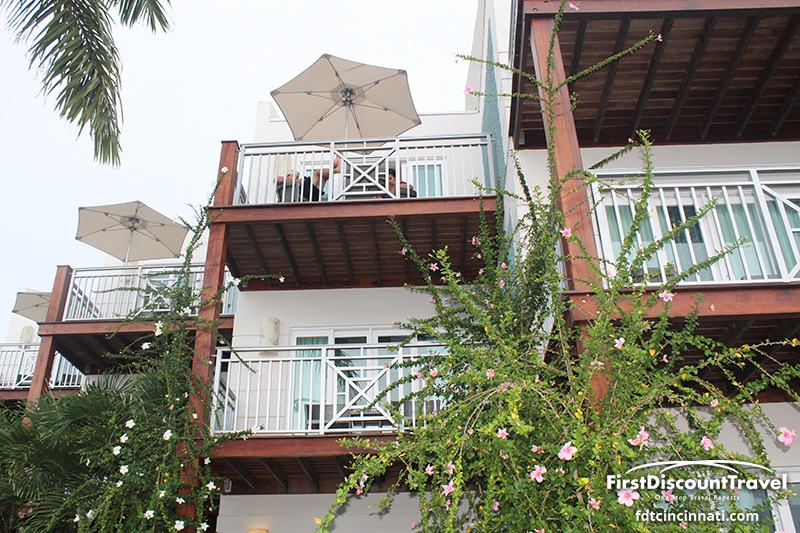 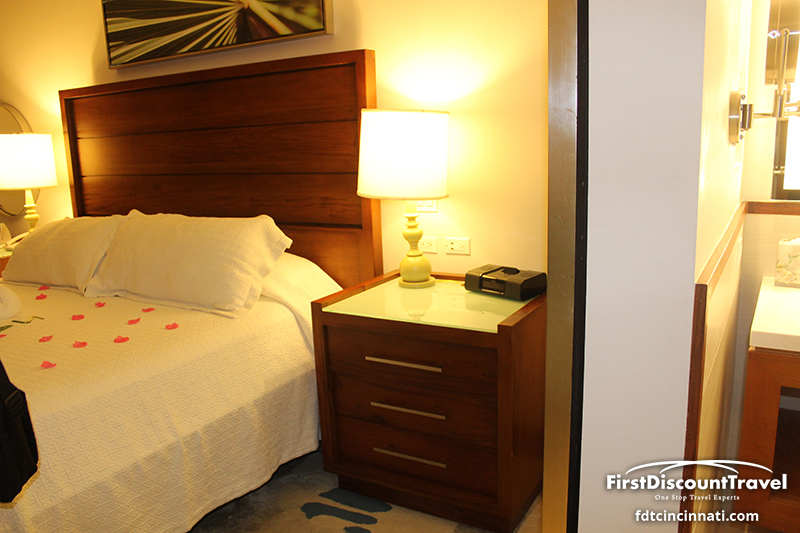 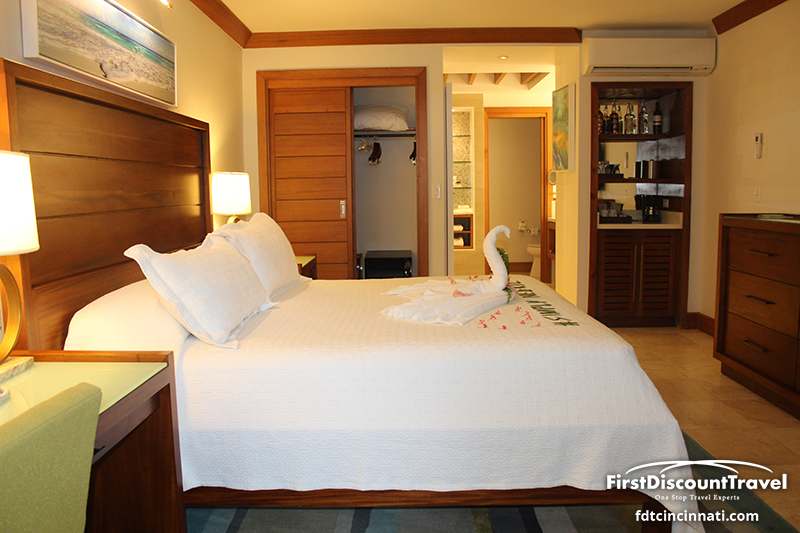 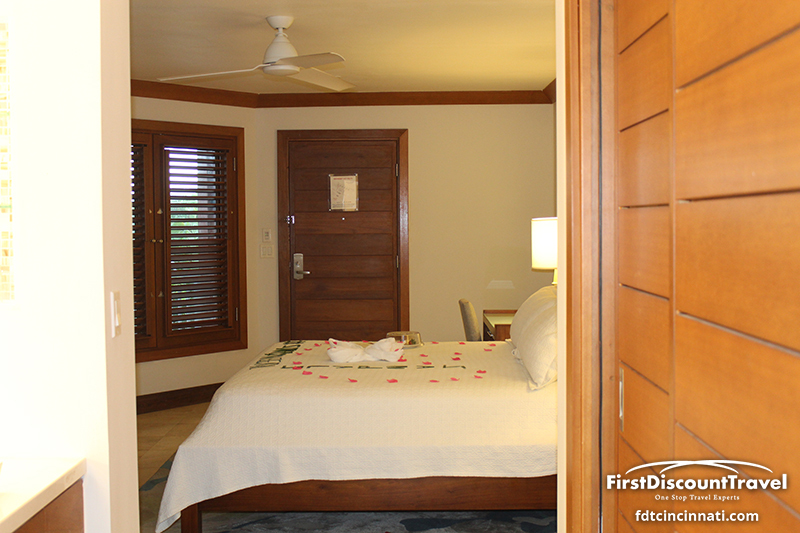 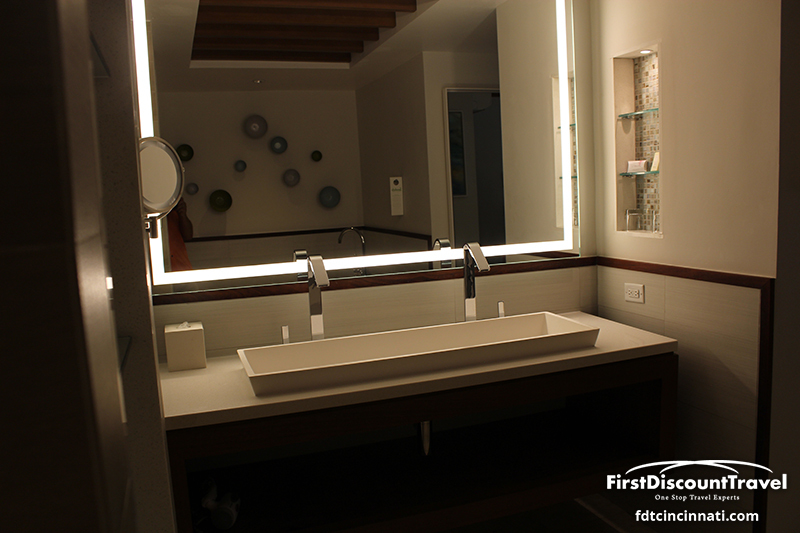 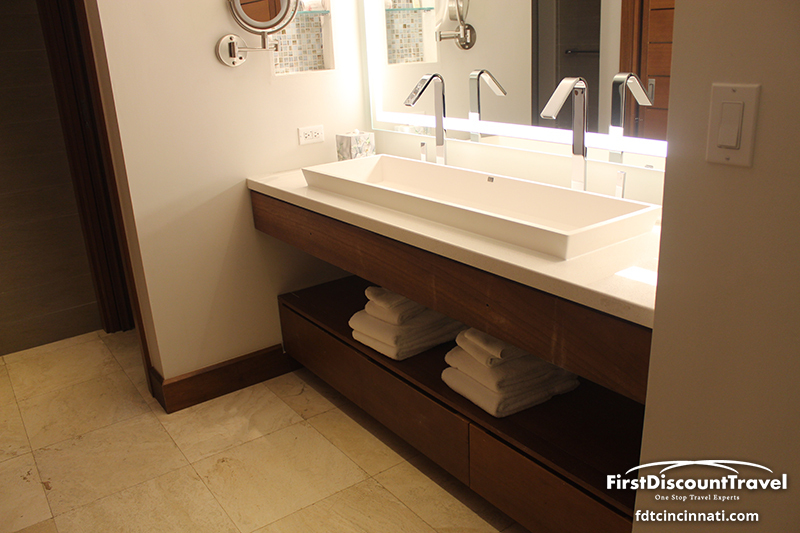 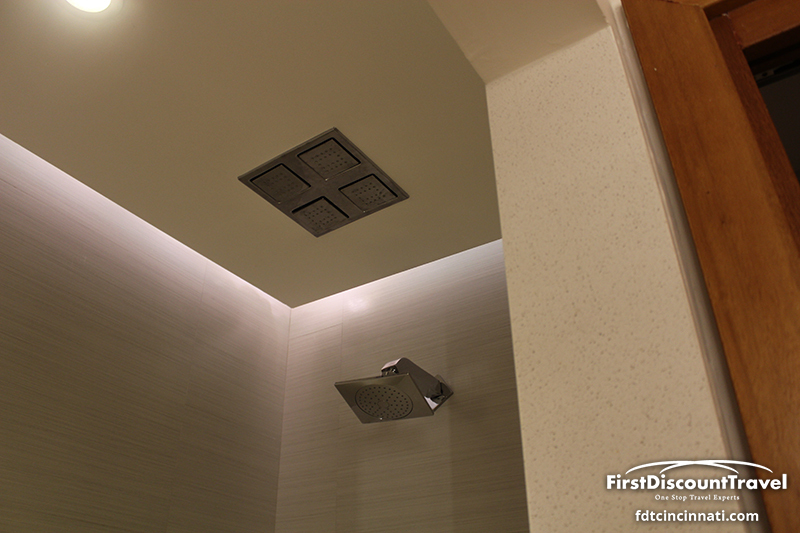 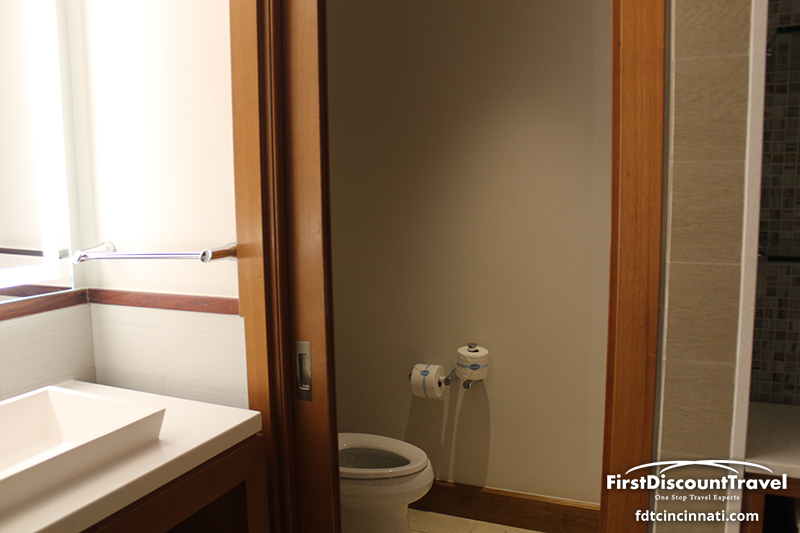 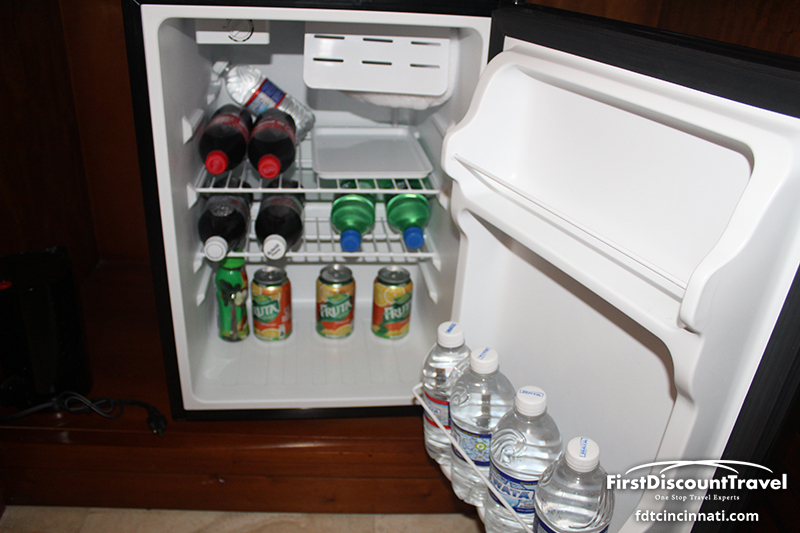 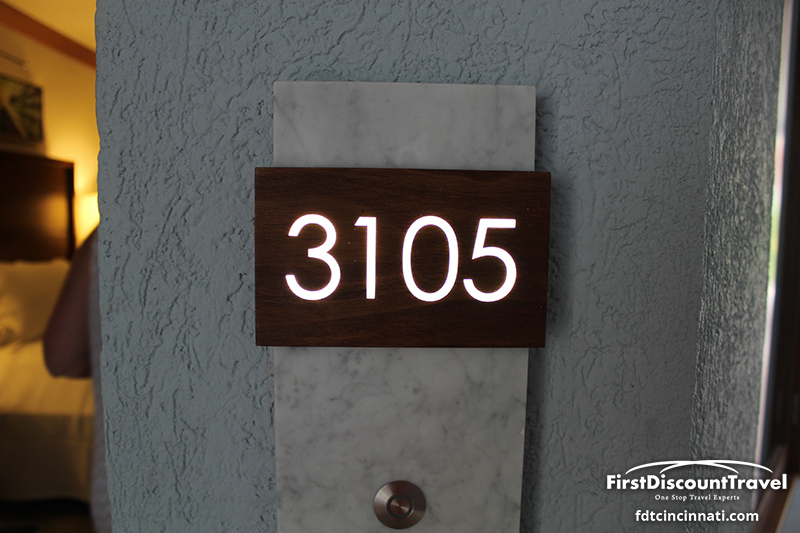 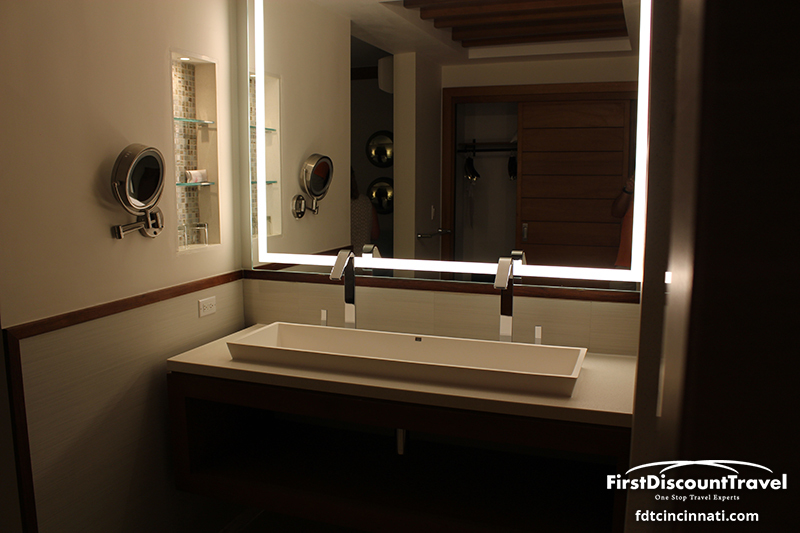 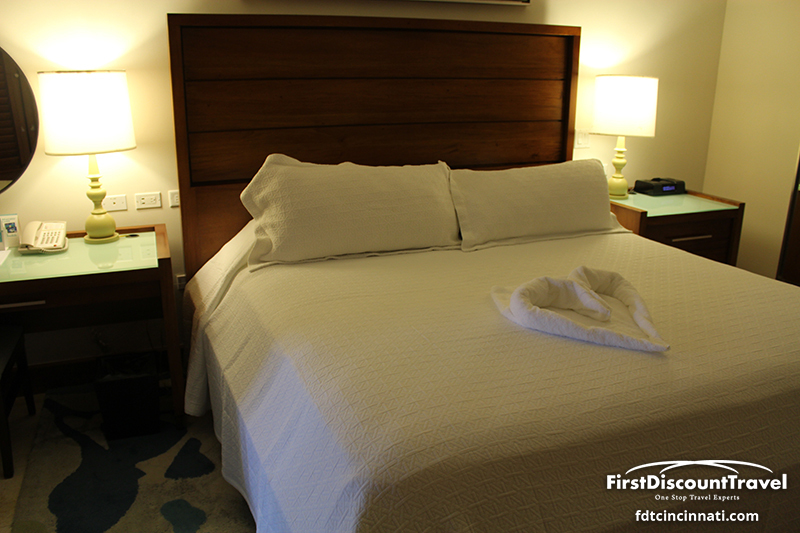 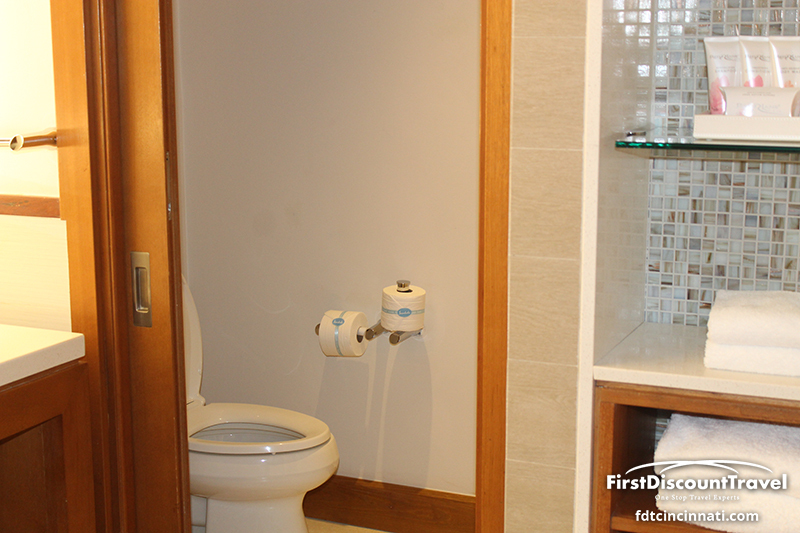 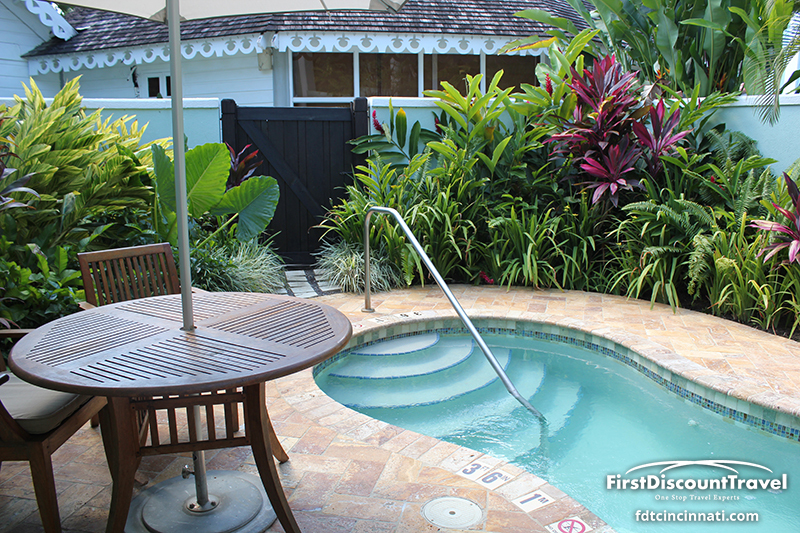 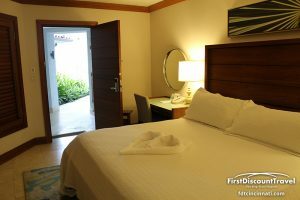 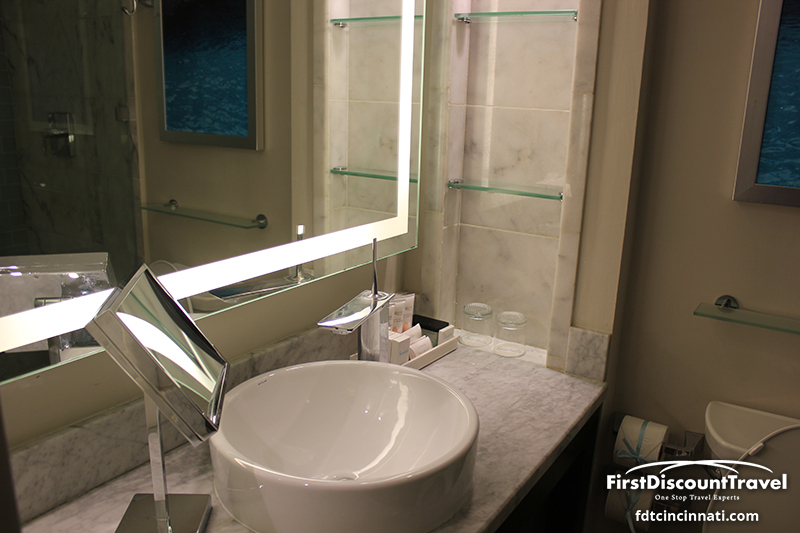 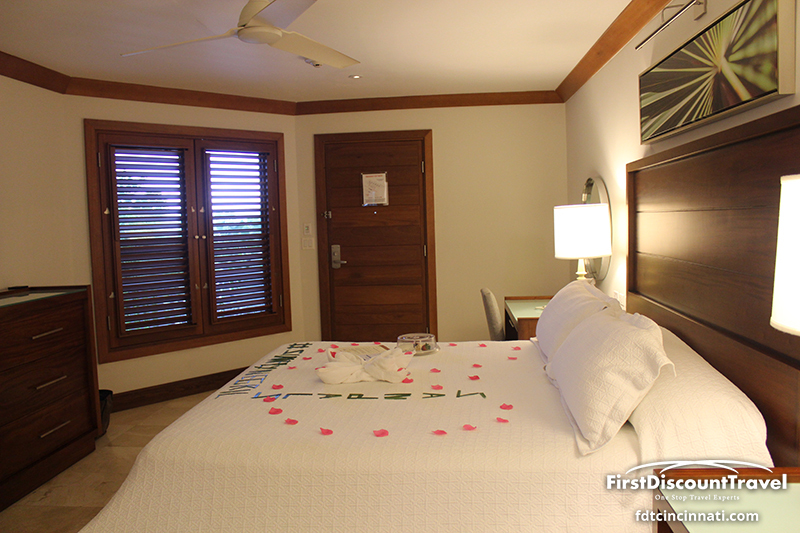 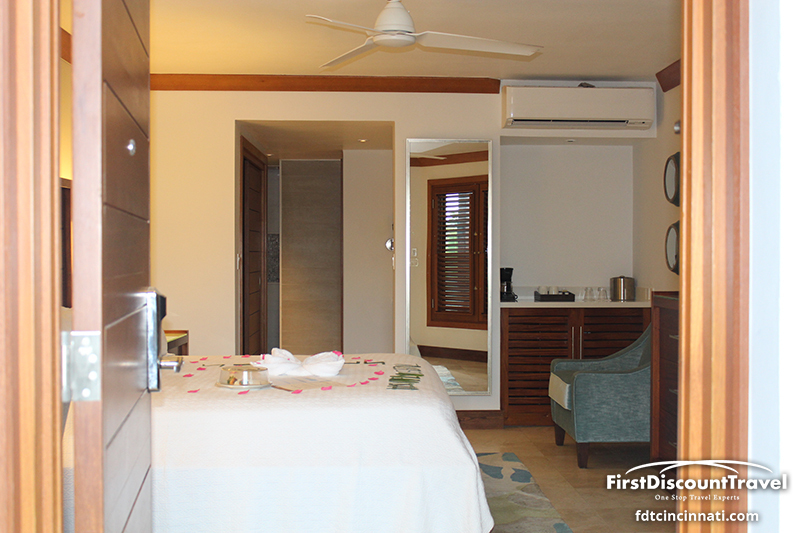 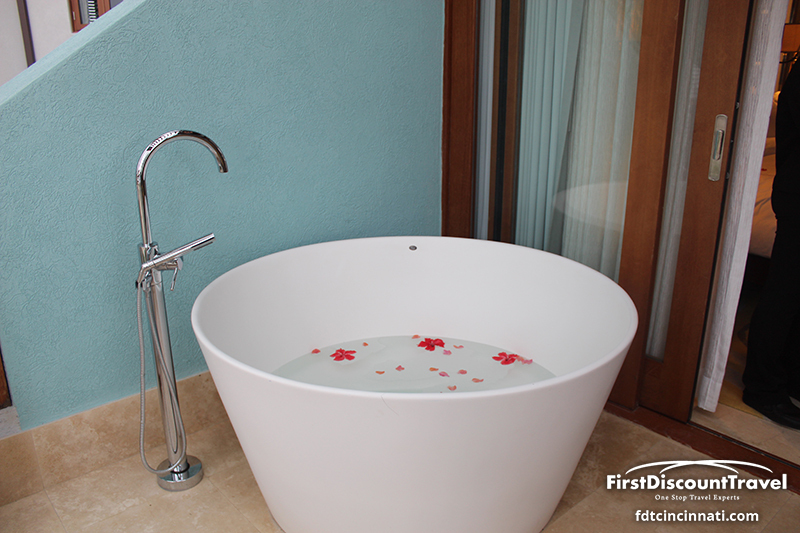 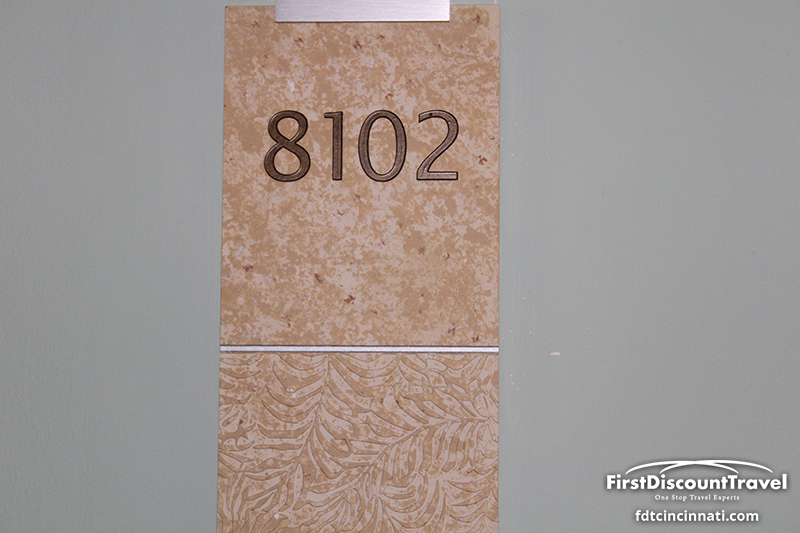 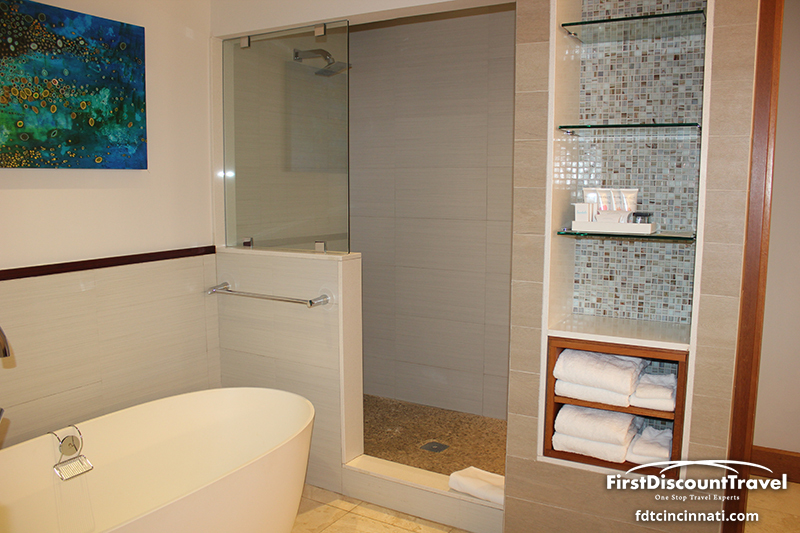 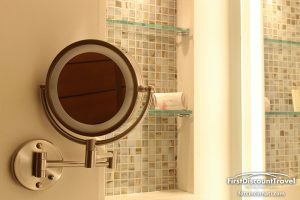 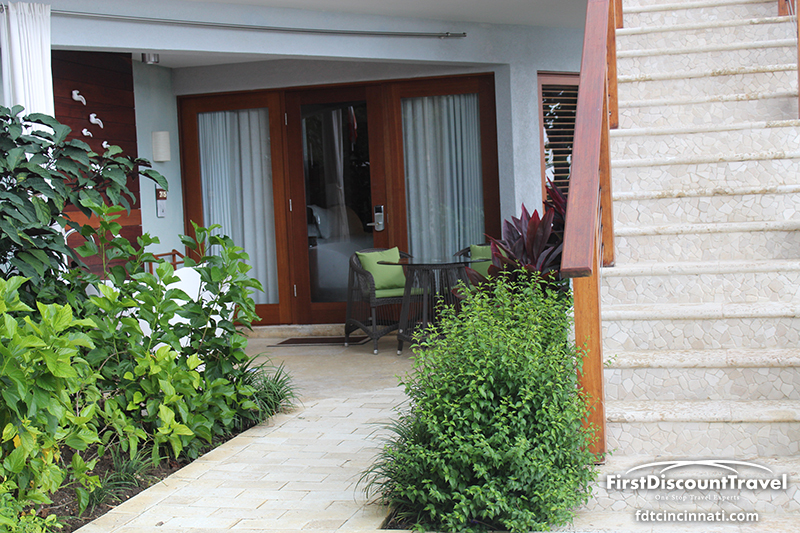 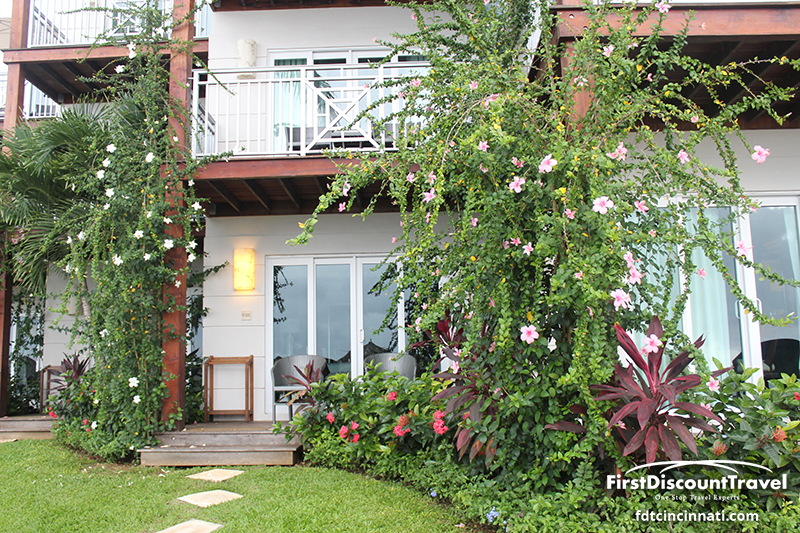 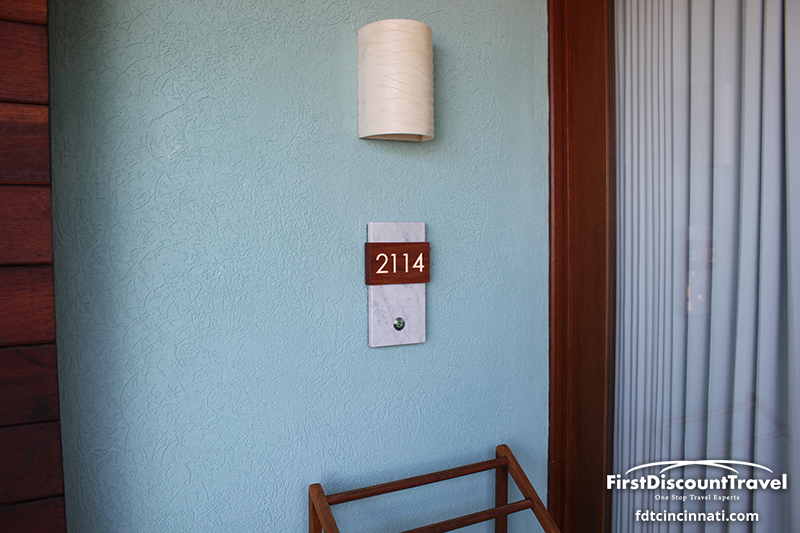 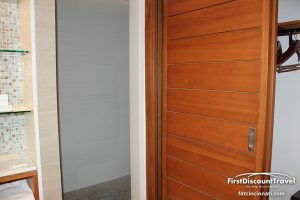 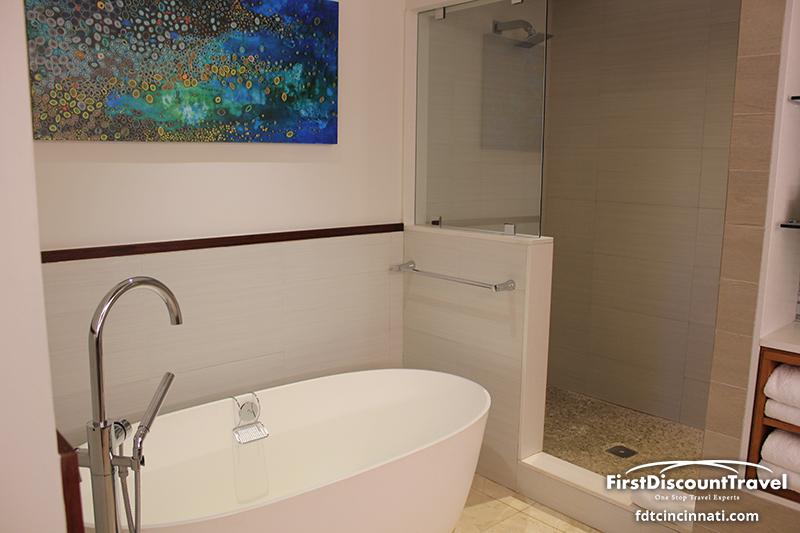 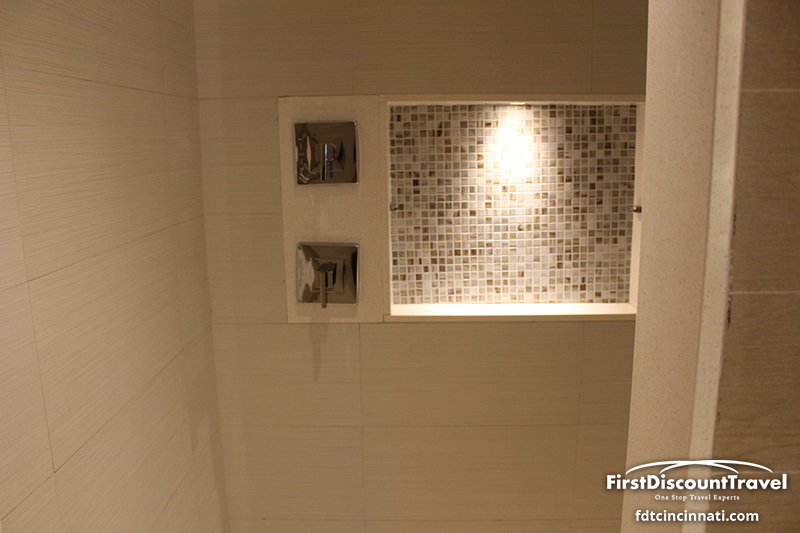 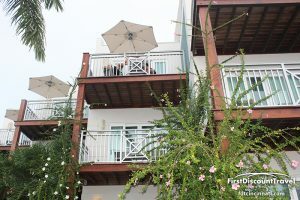 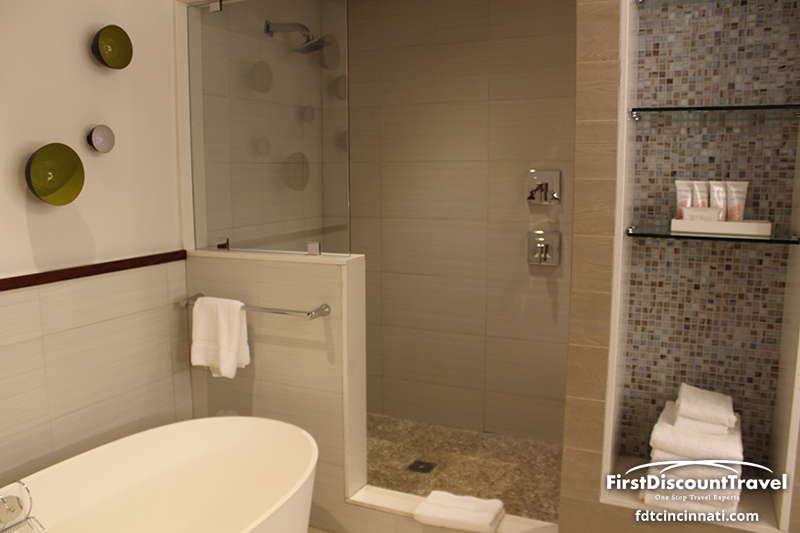 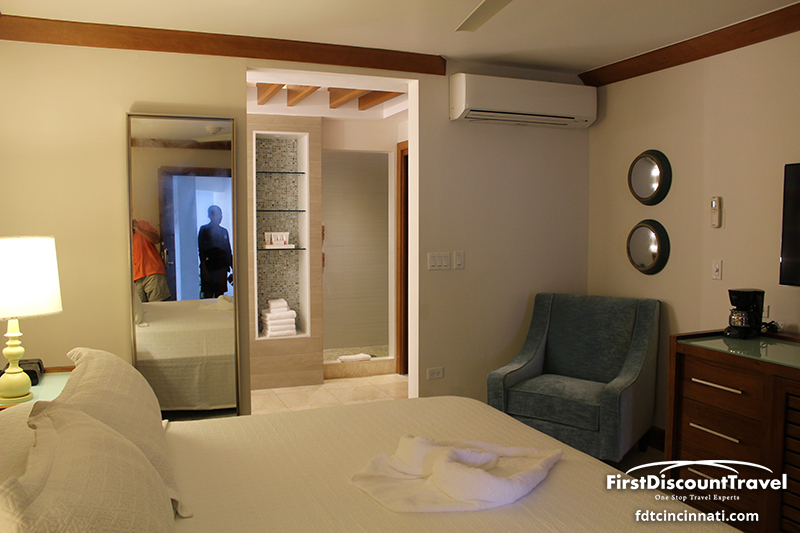 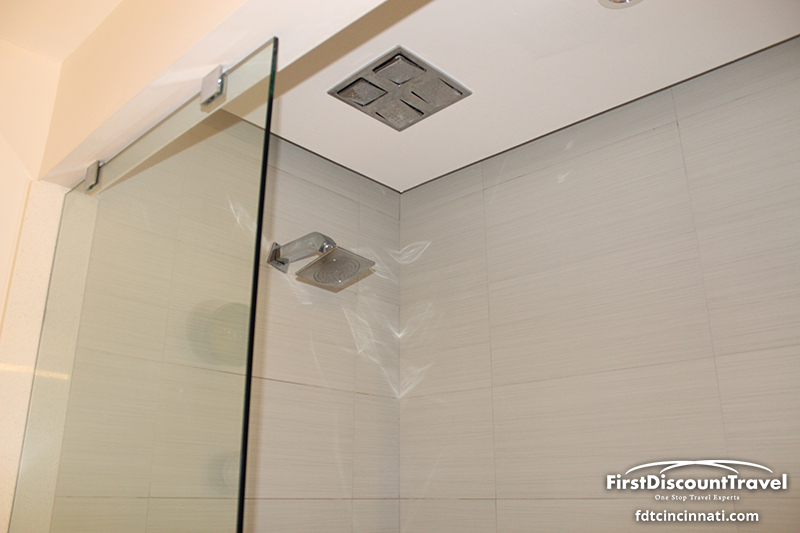 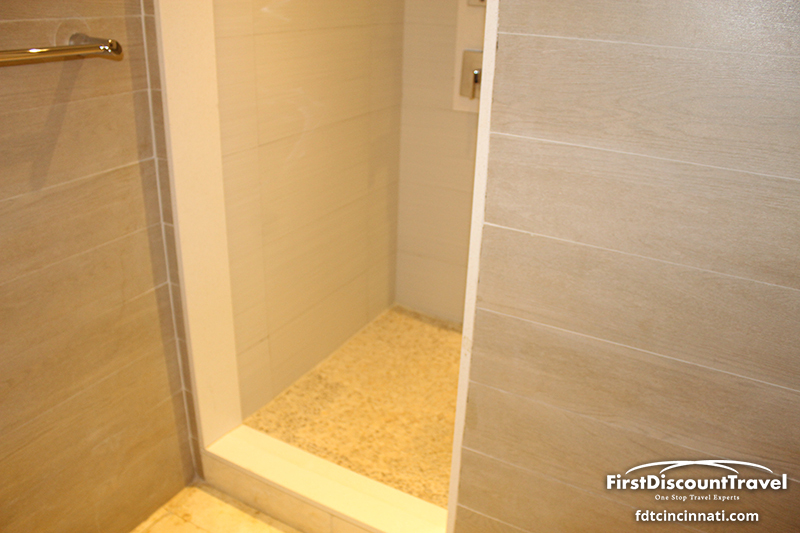 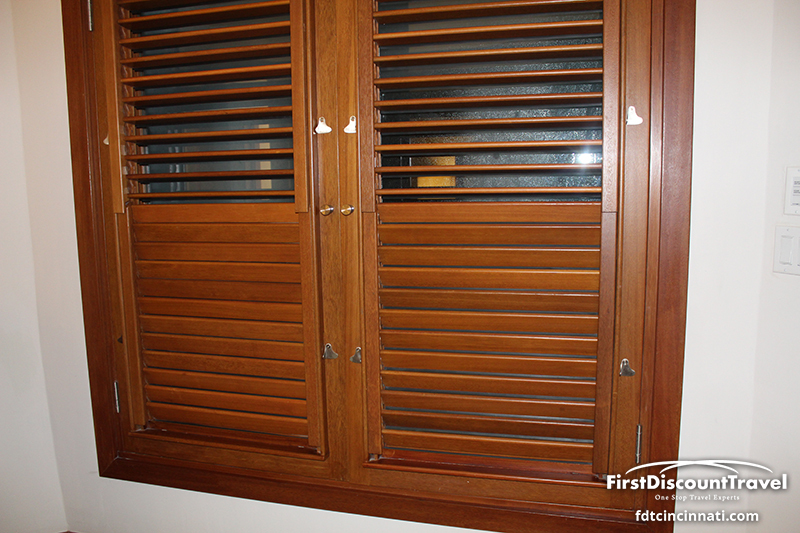 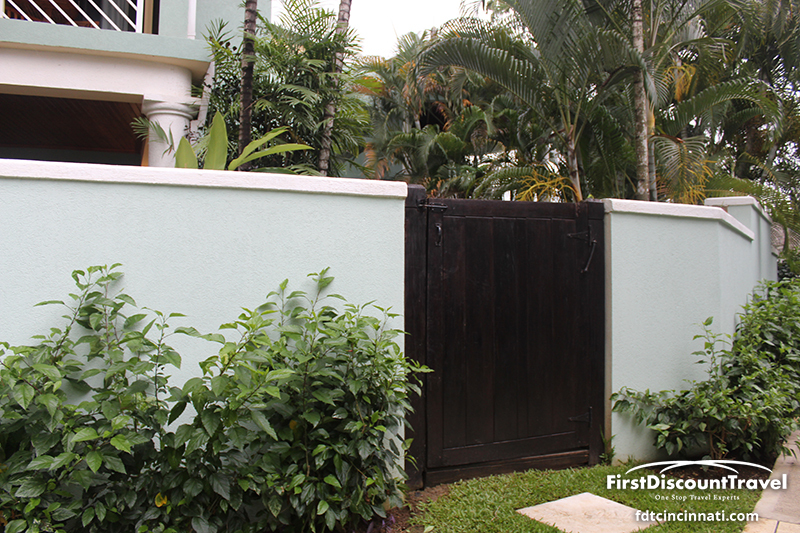 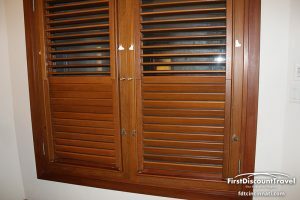 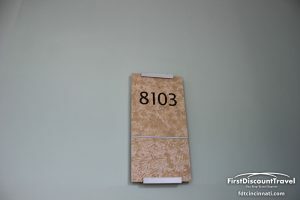 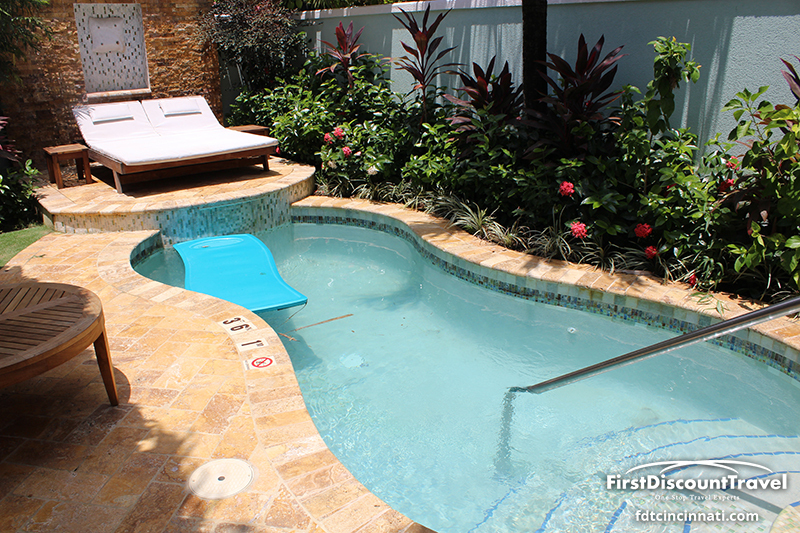 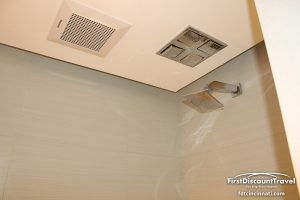 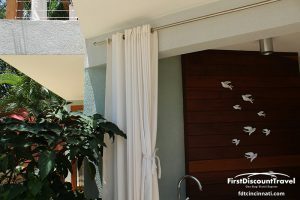 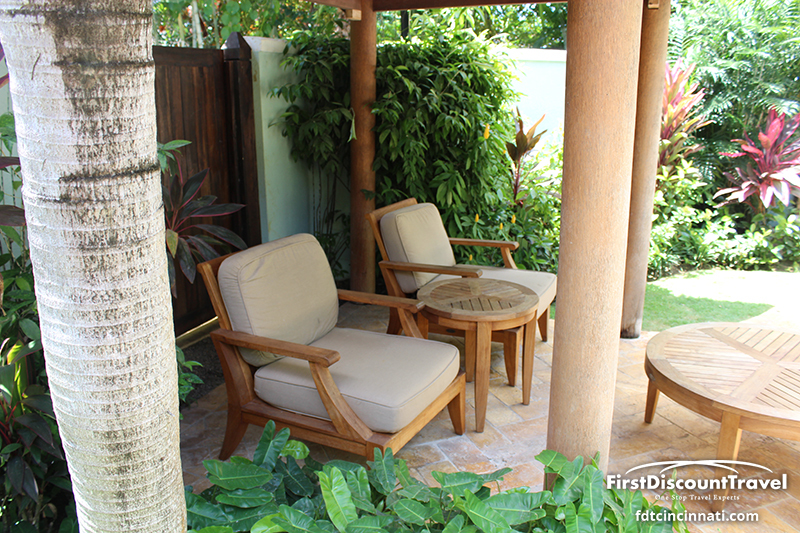 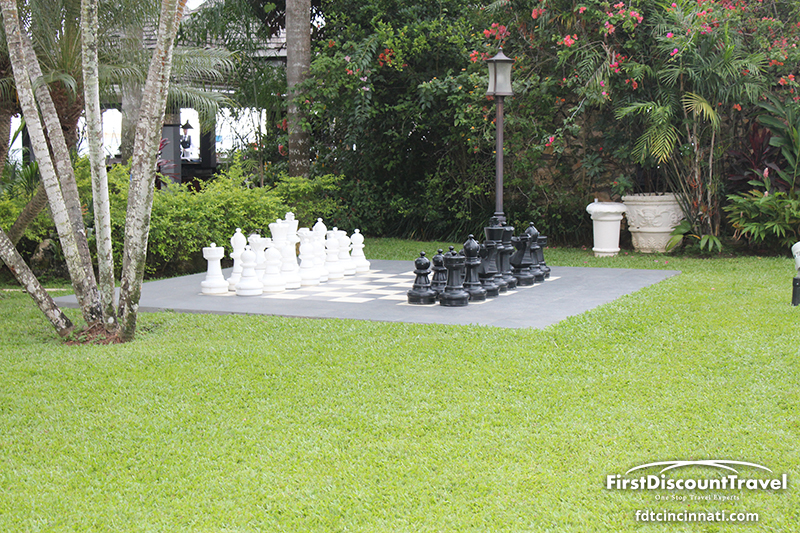 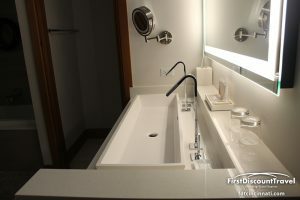 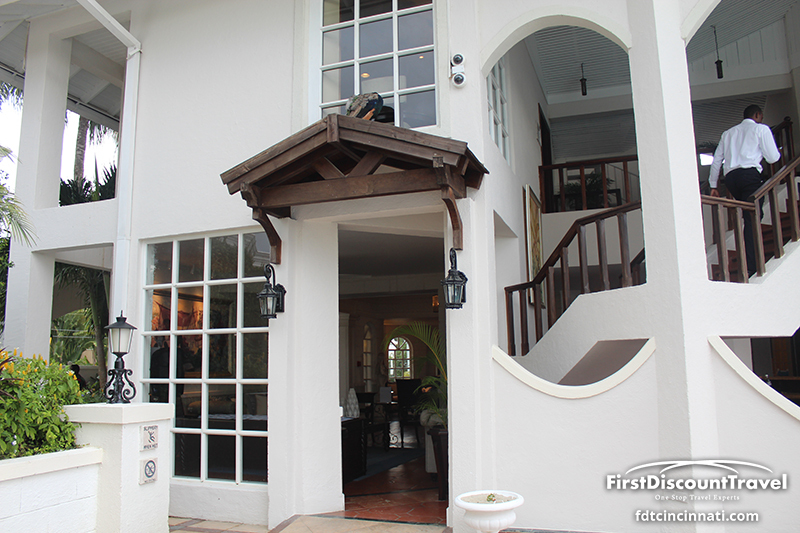 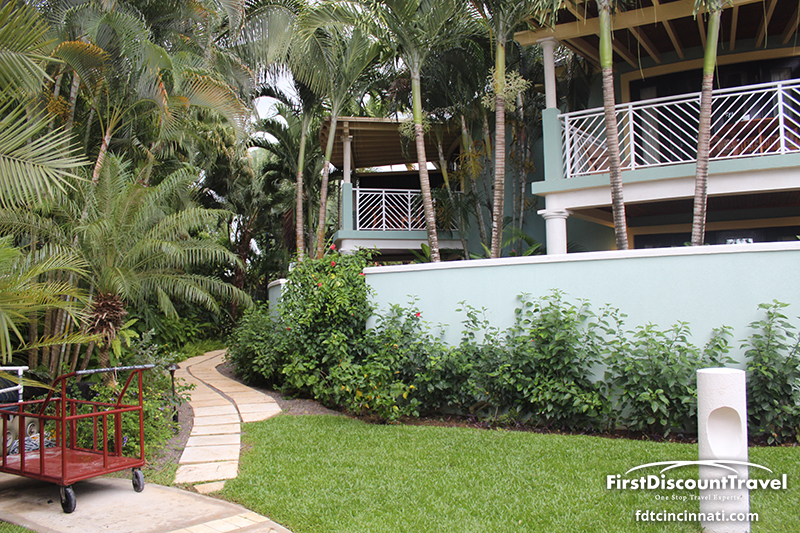 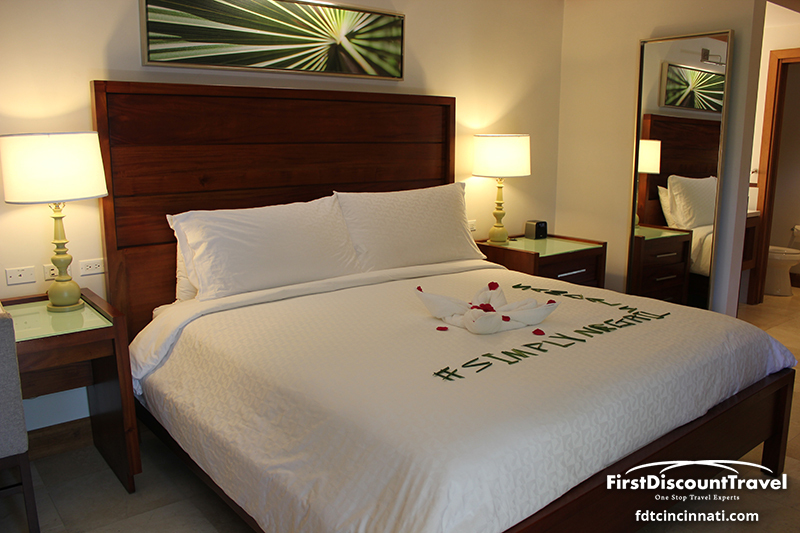 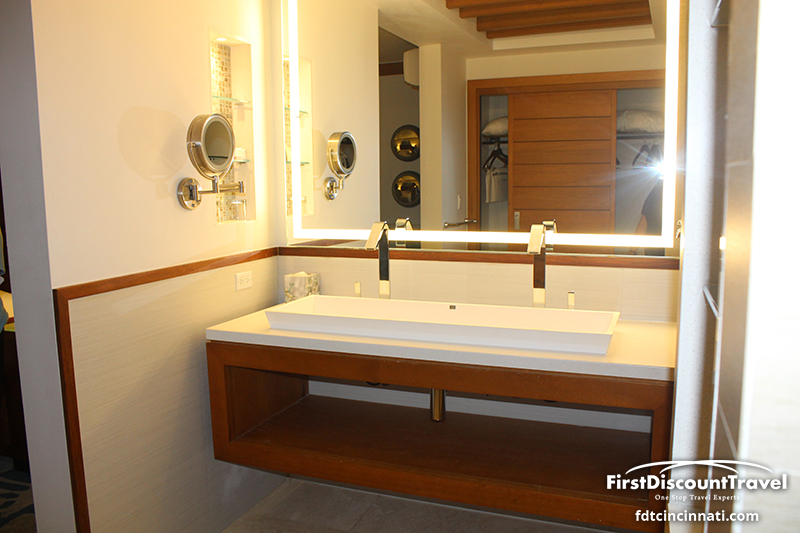 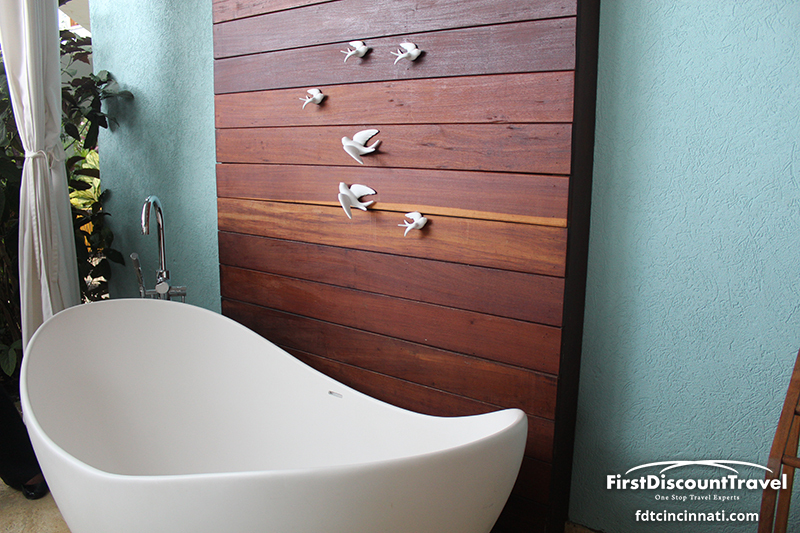 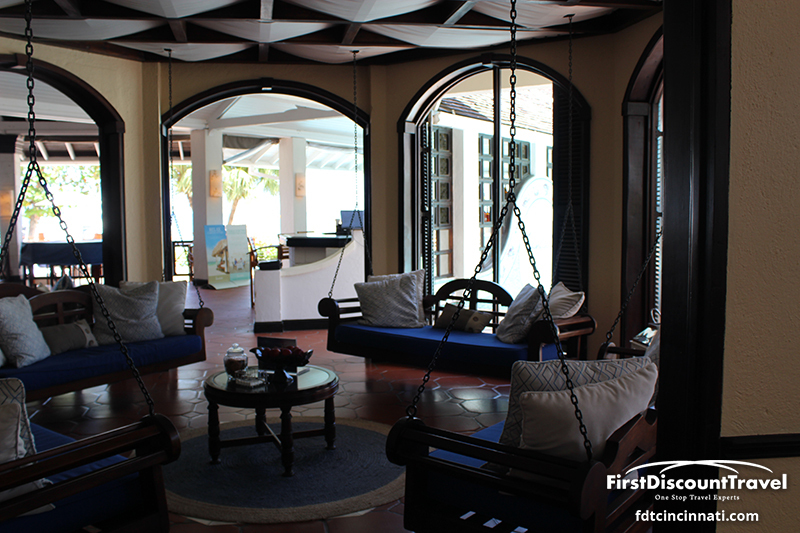 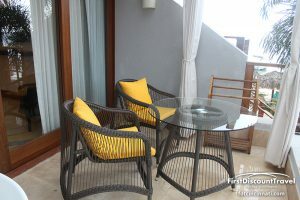 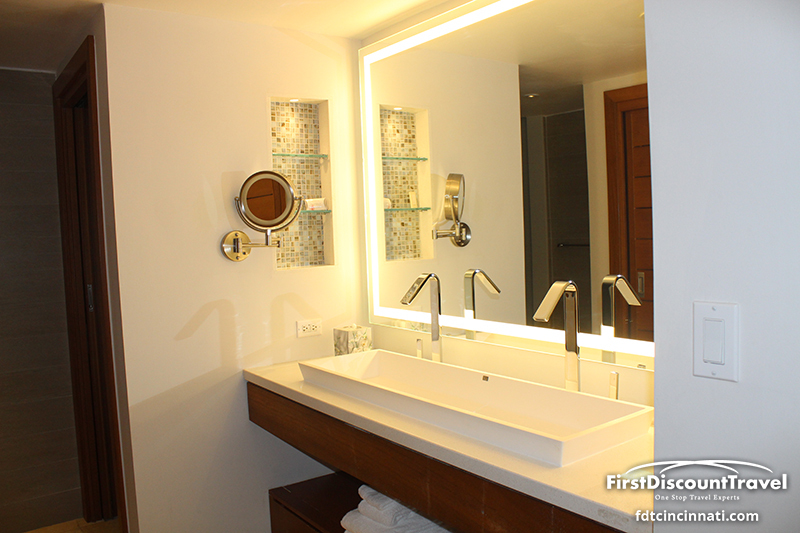 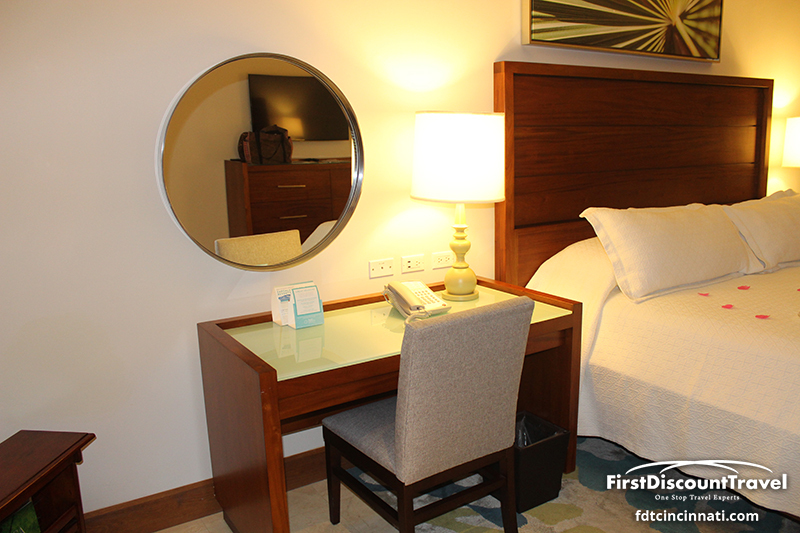 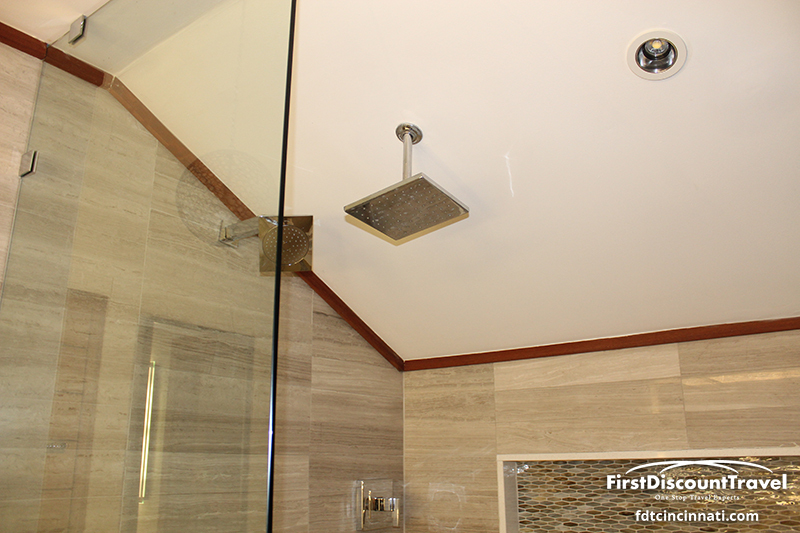 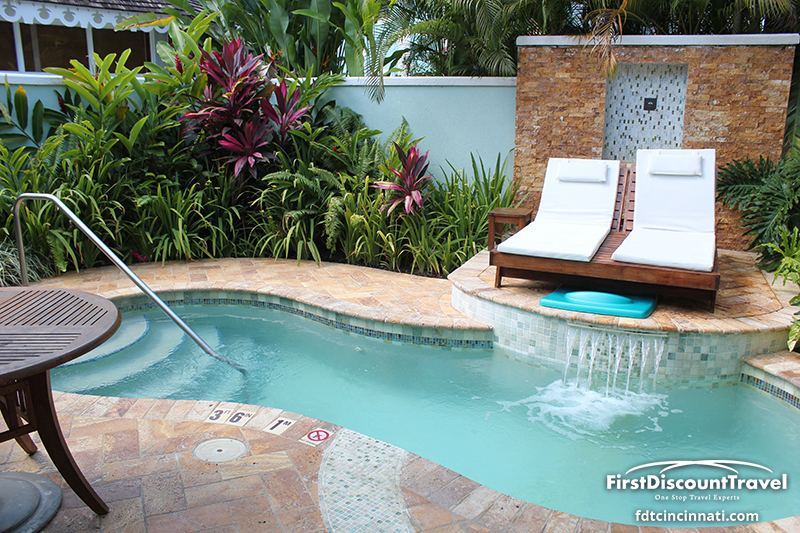 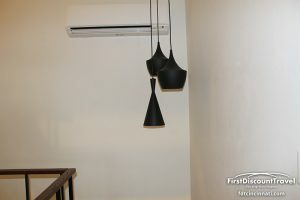 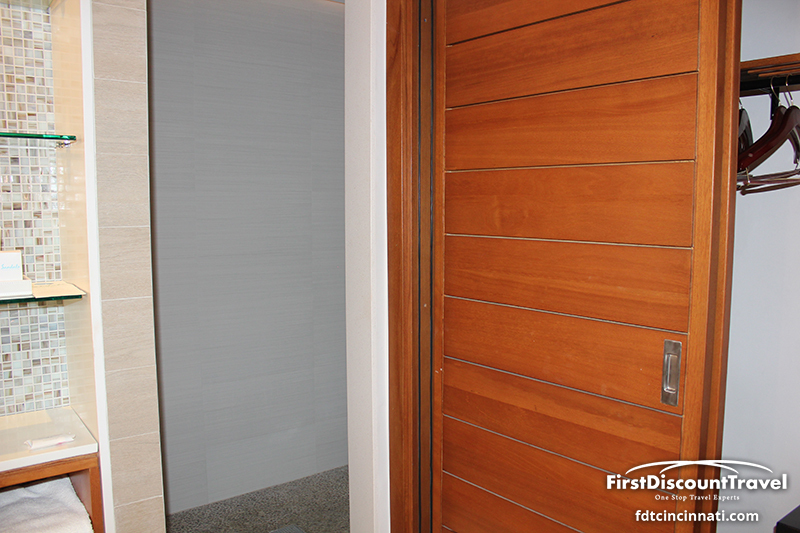 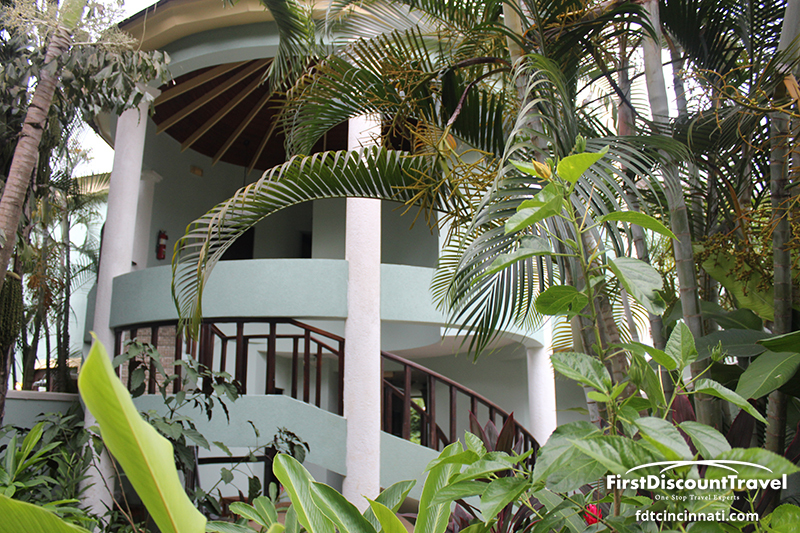 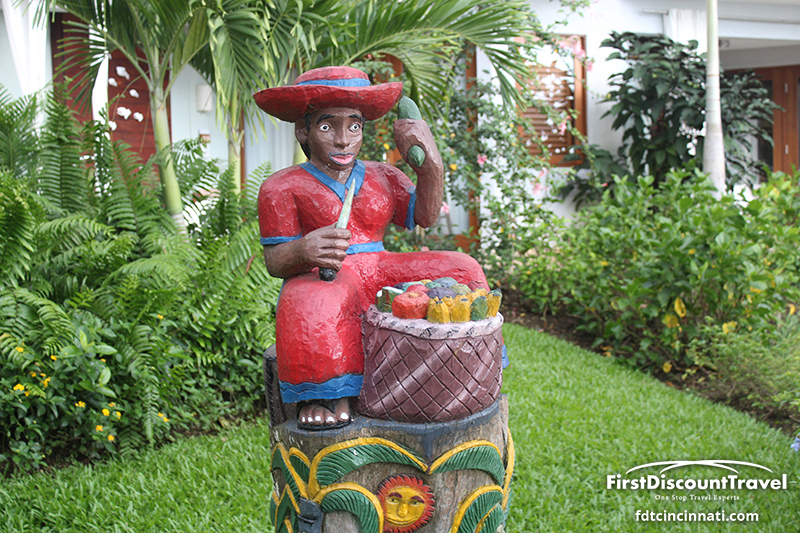 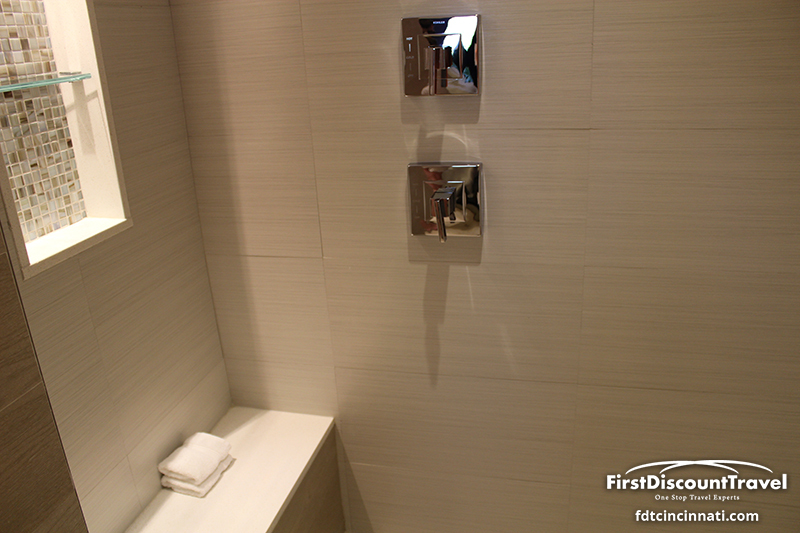 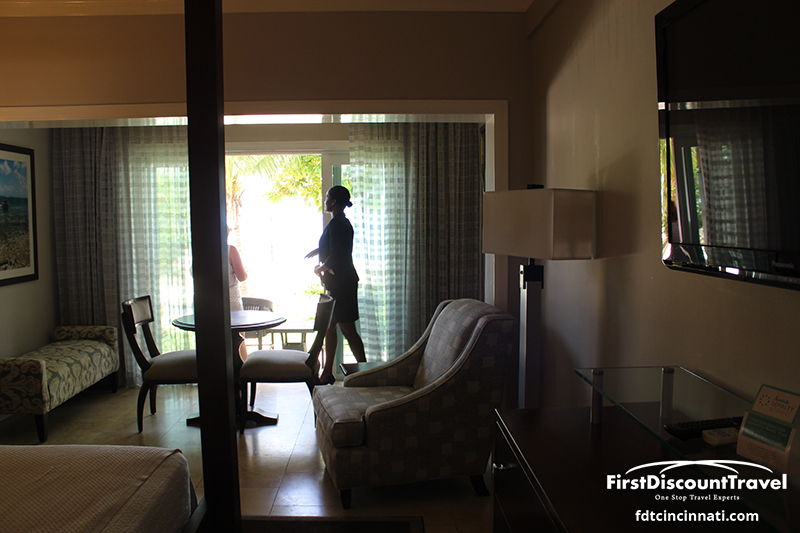 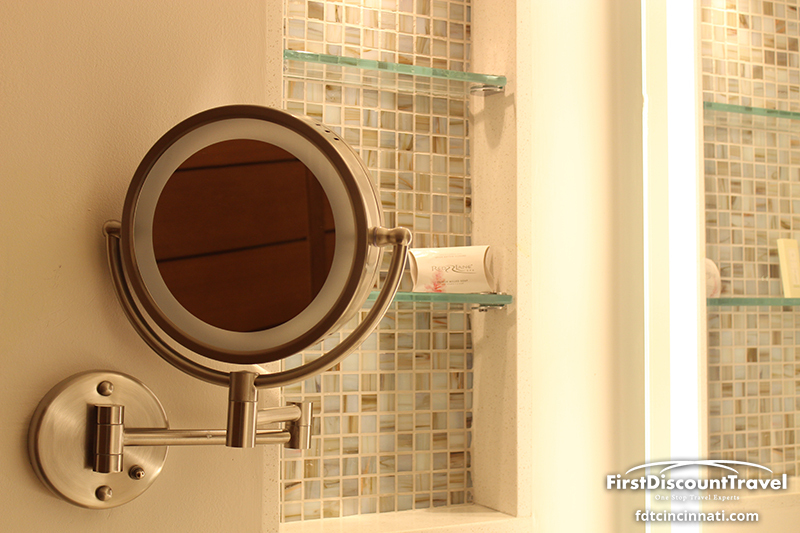 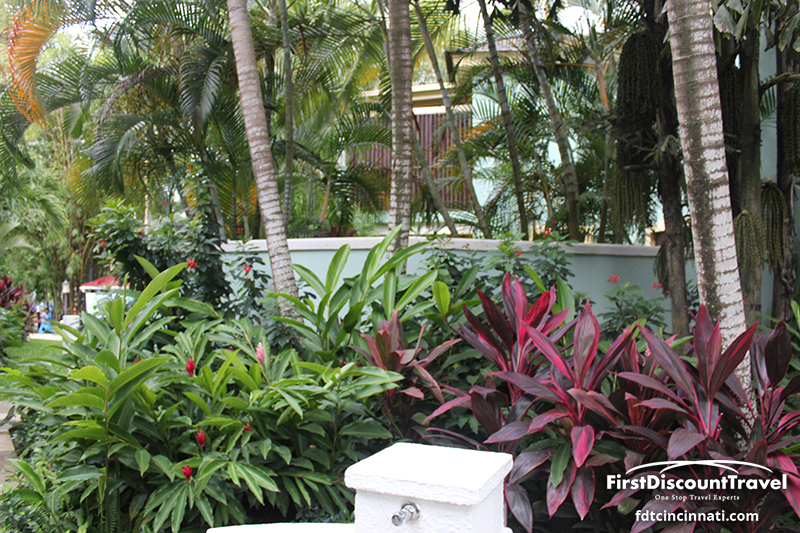 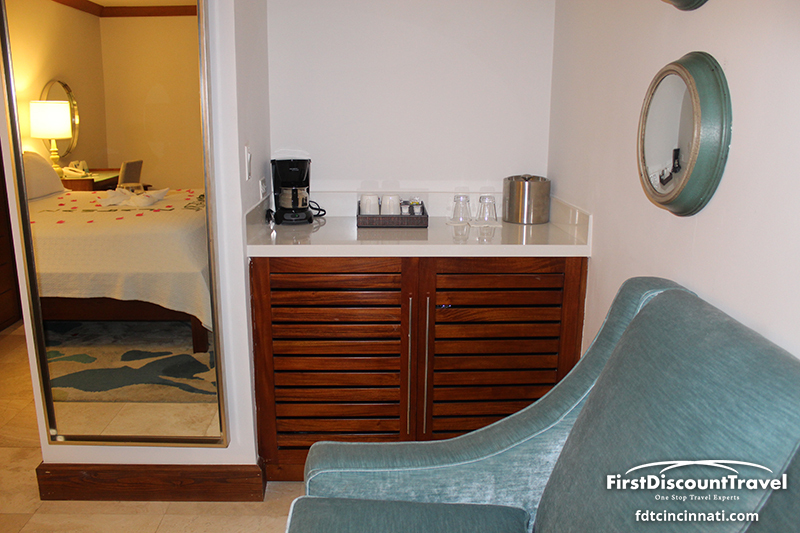 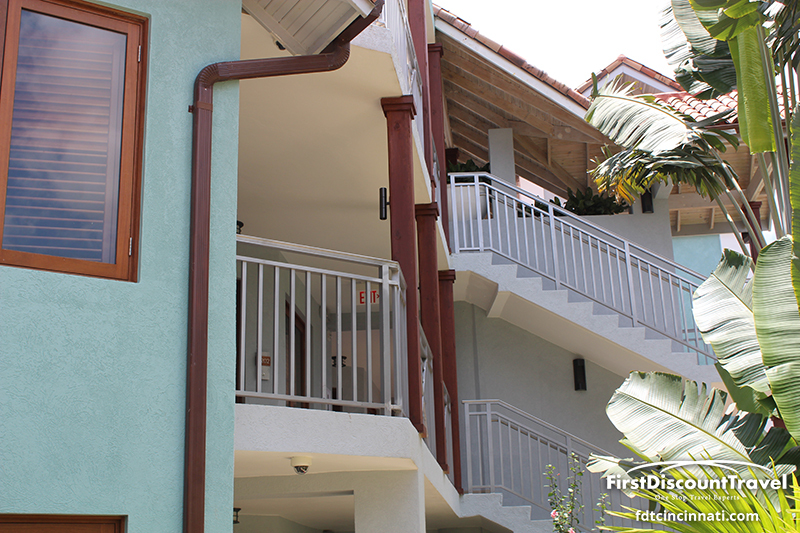 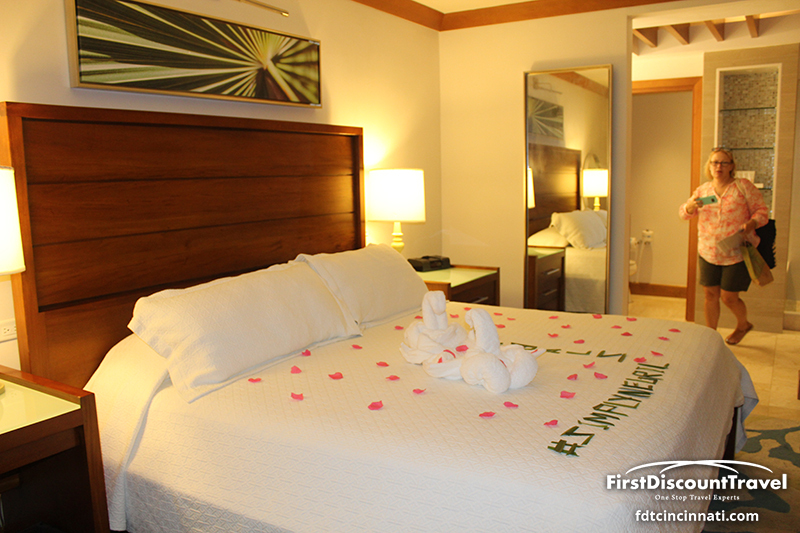 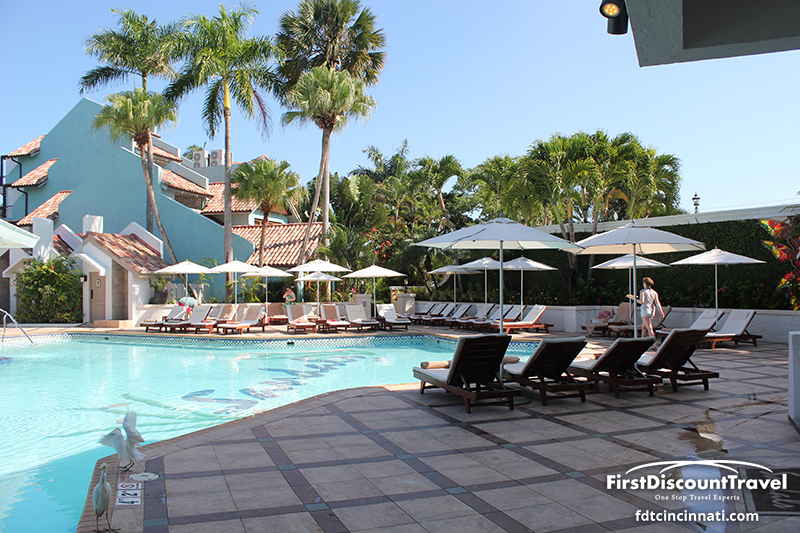 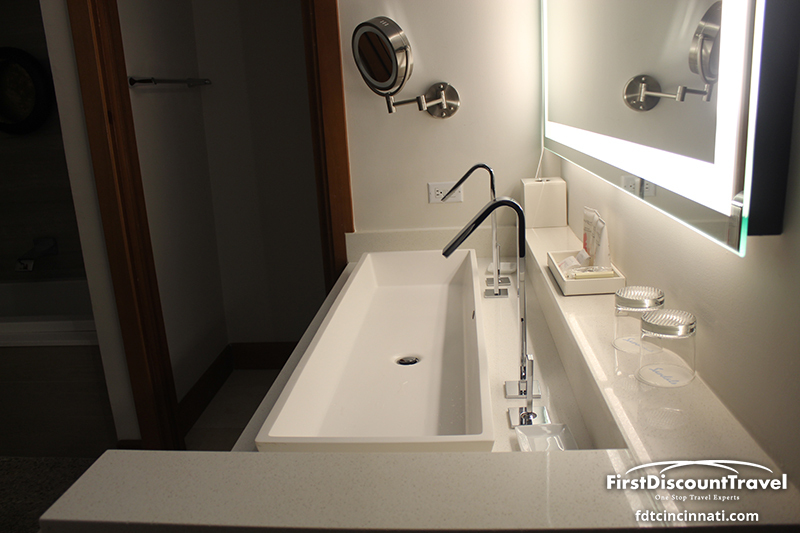 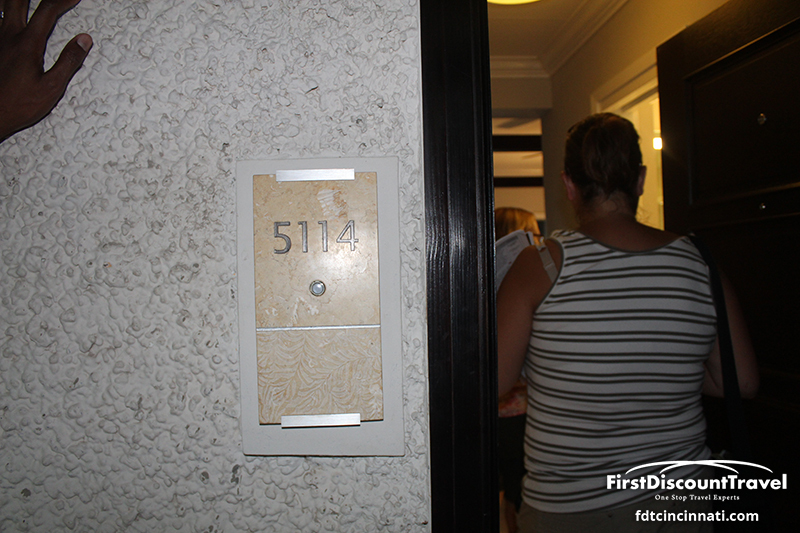 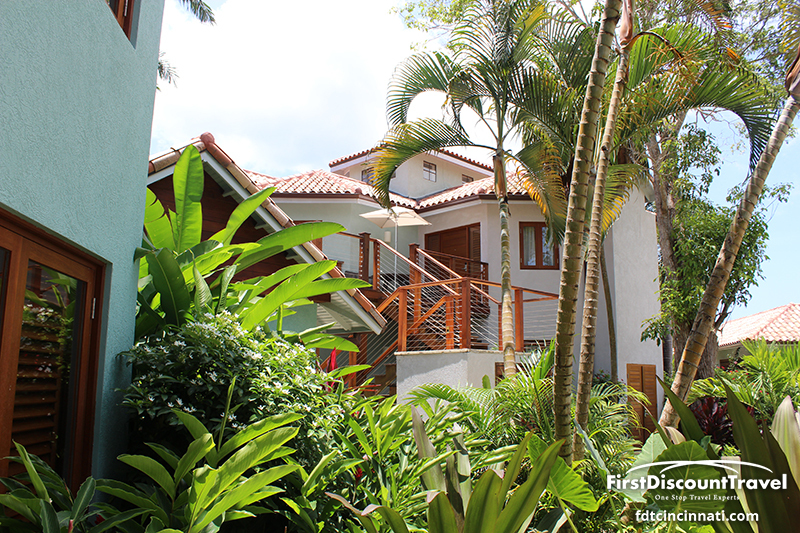 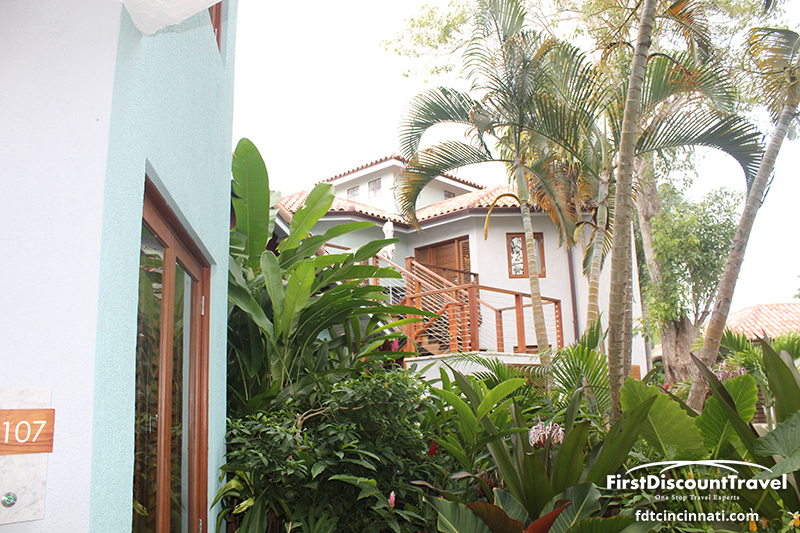 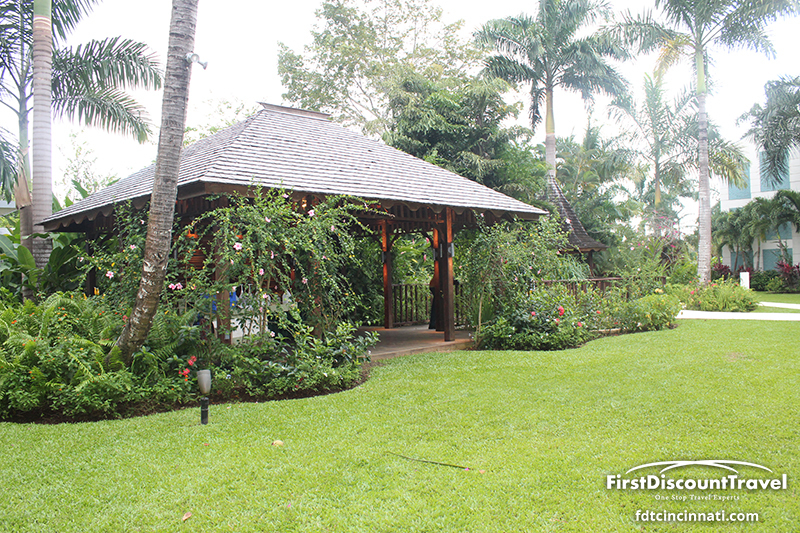 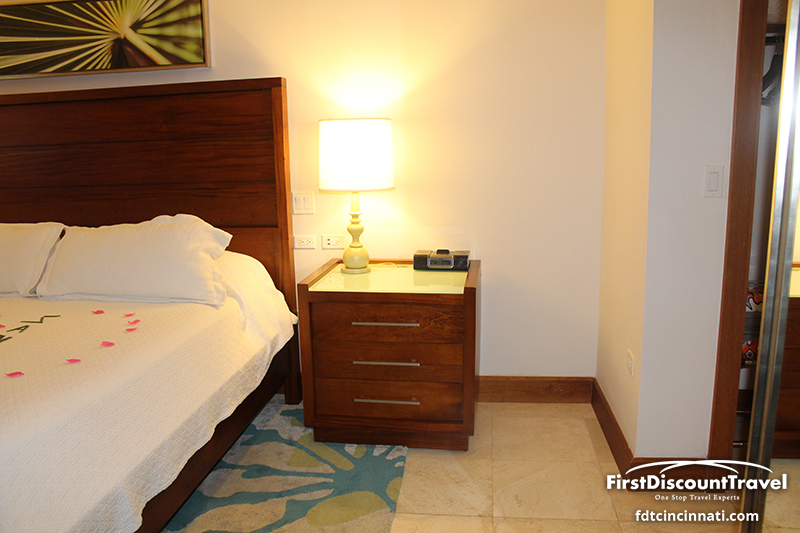 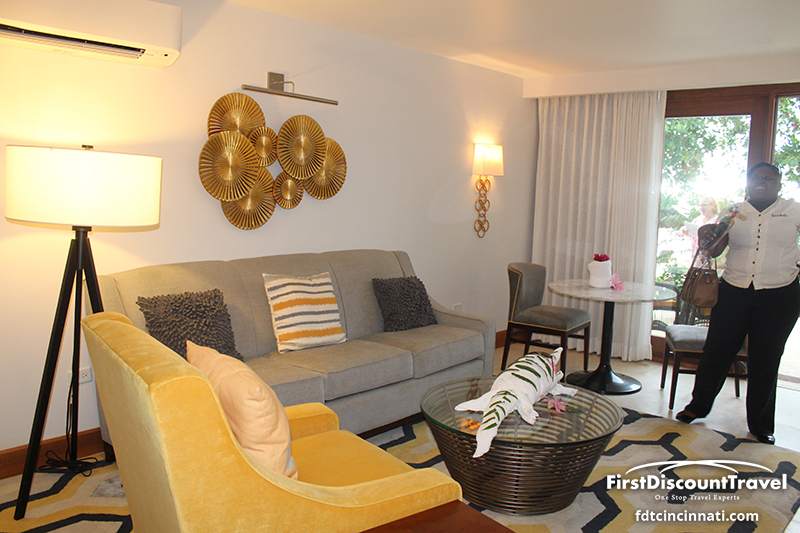 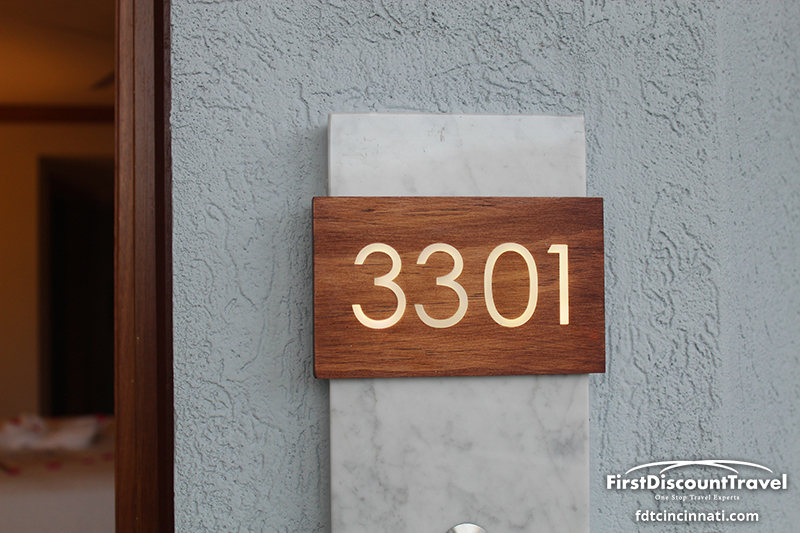 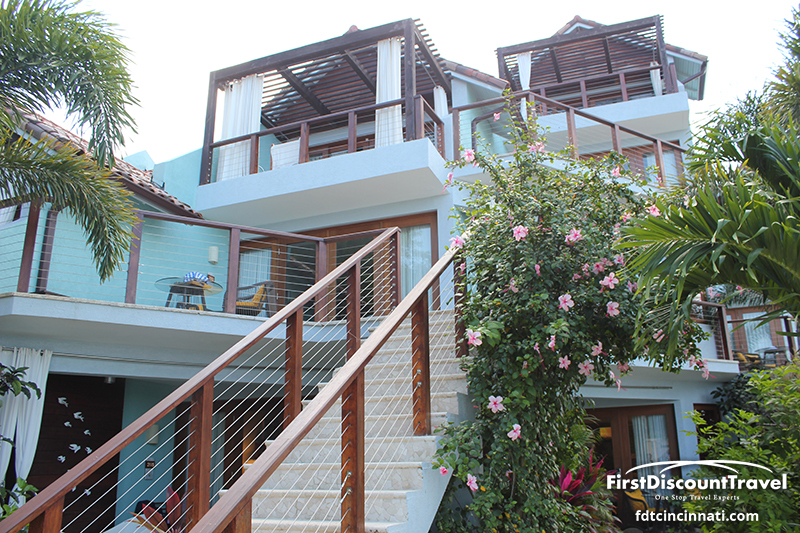 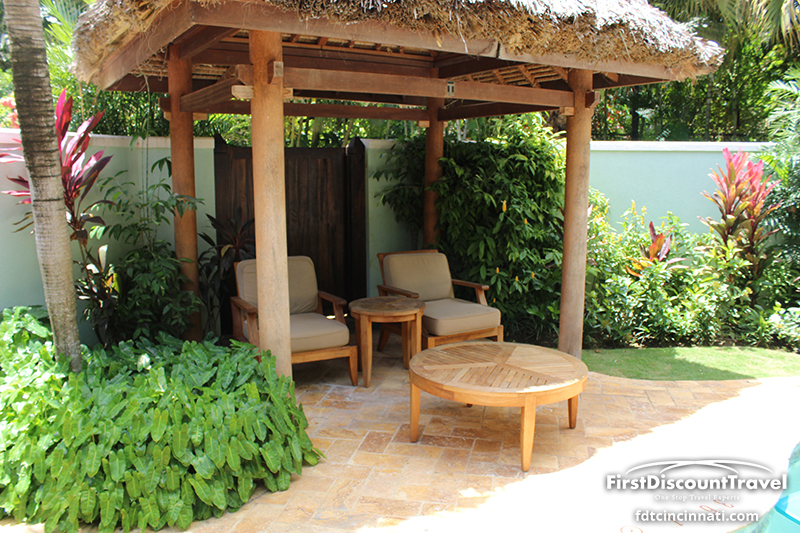 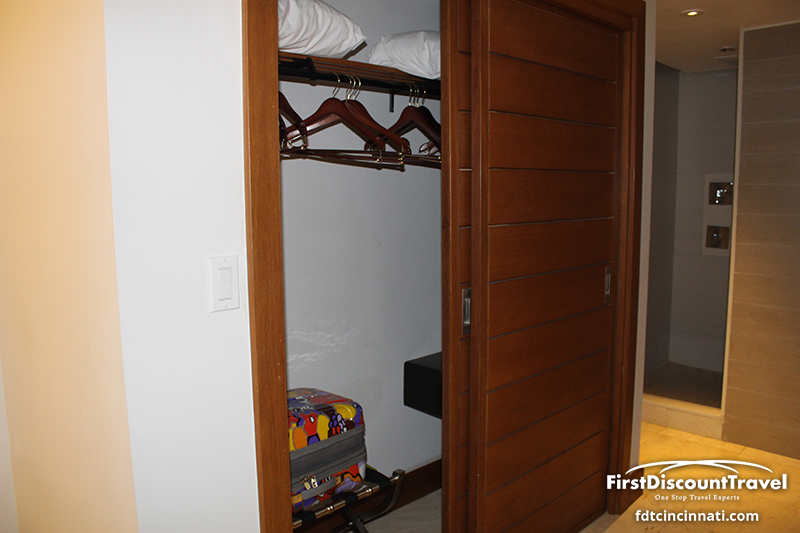 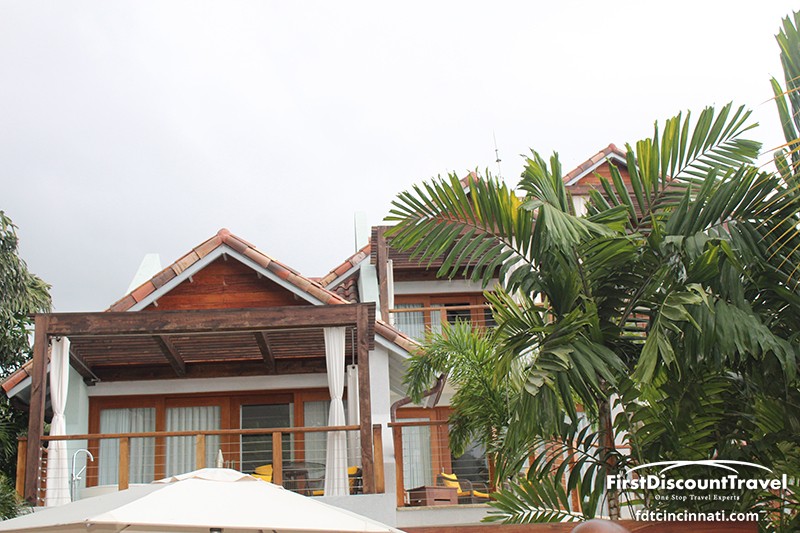 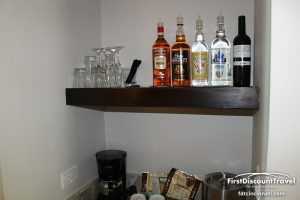 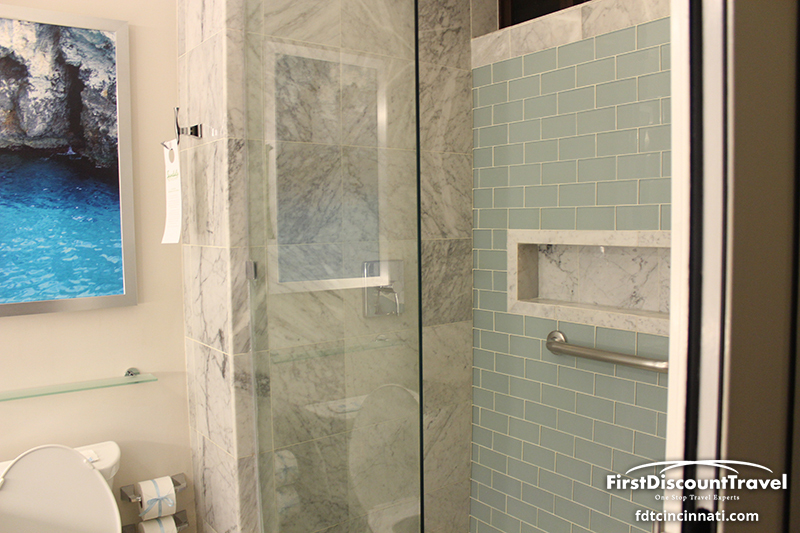 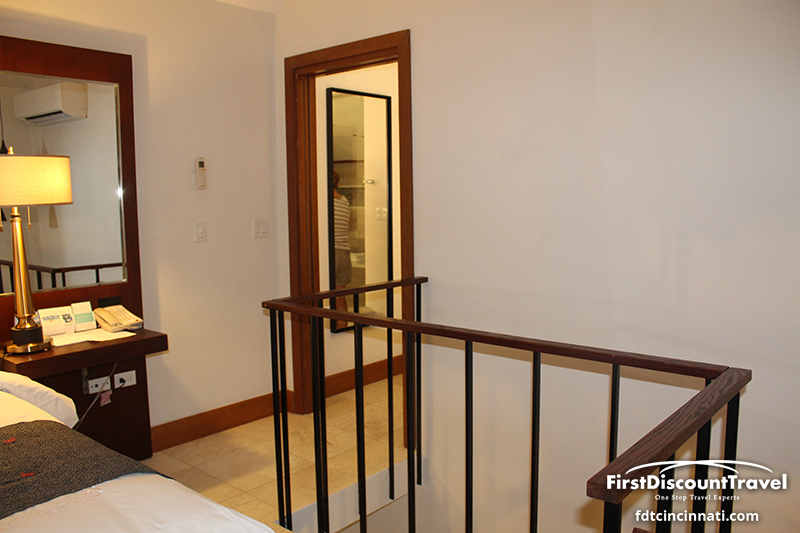 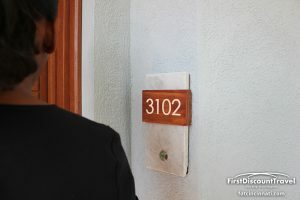 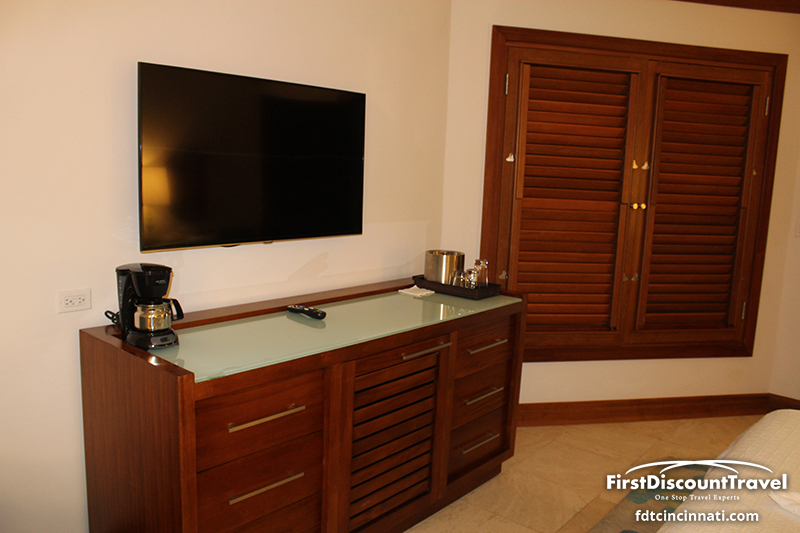 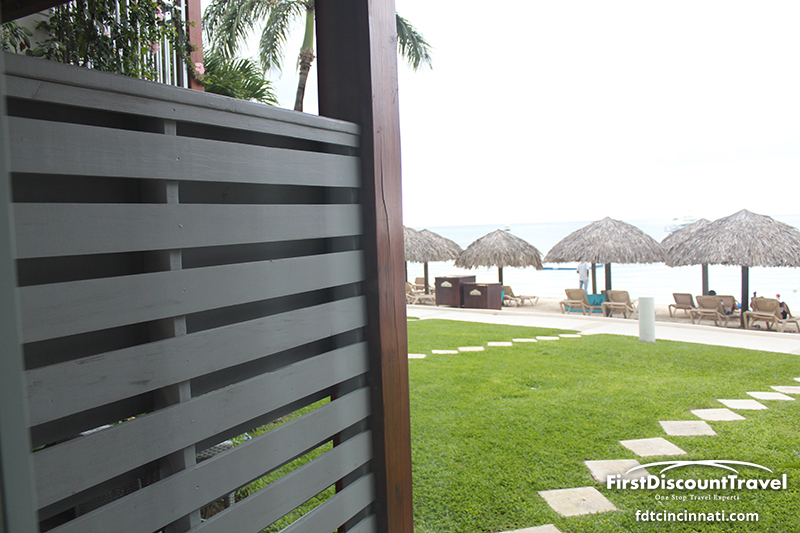 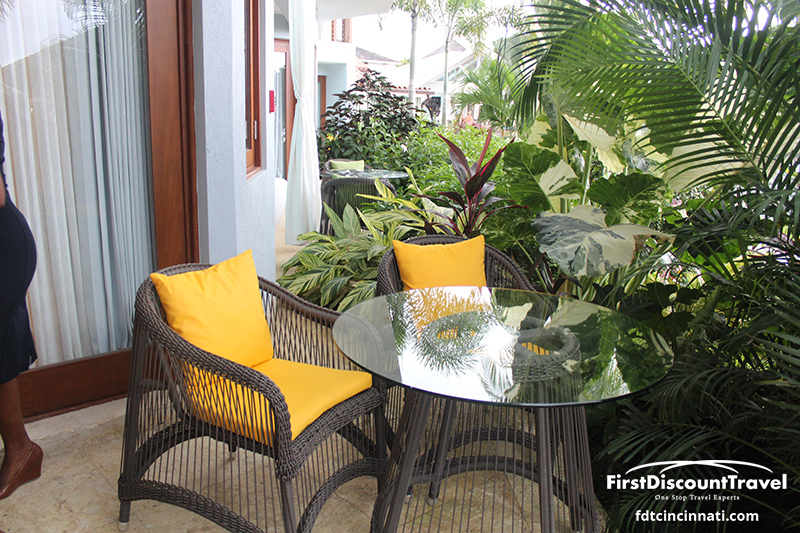 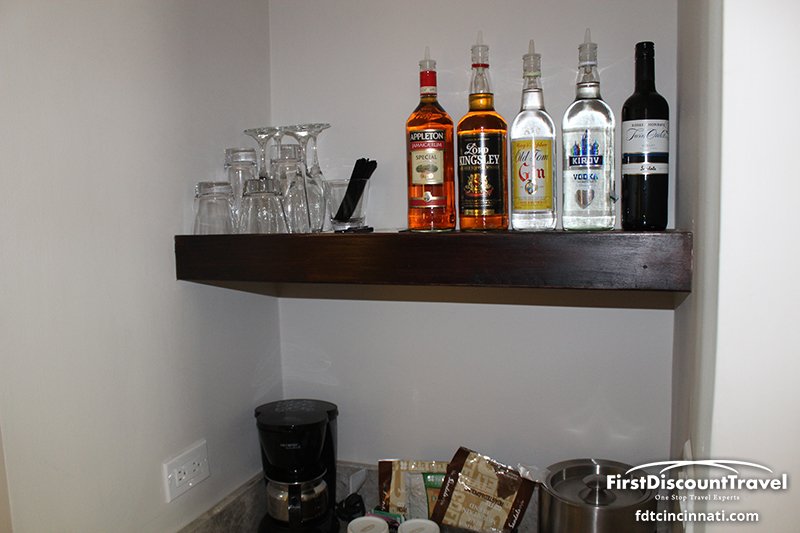 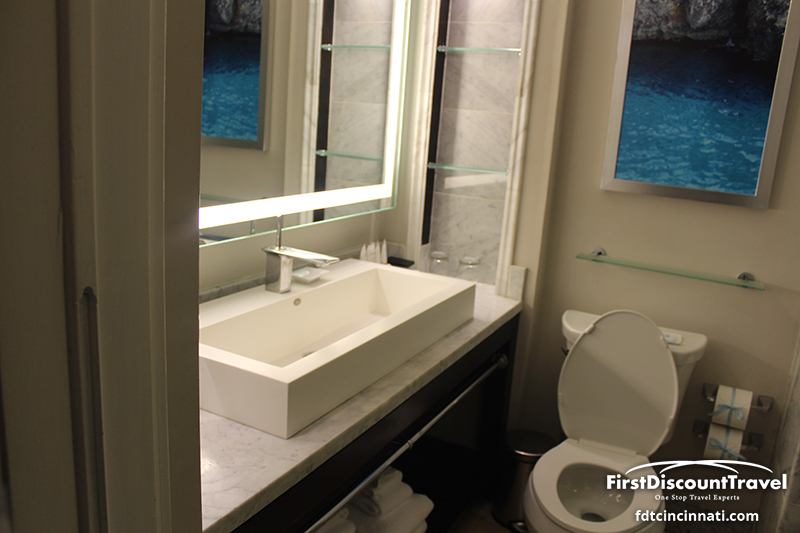 Deluxe and Premium rooms face the street and do not have balconies or patios. Half of the Luxury rooms have balconies/patios. 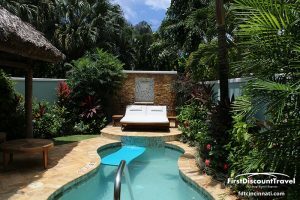 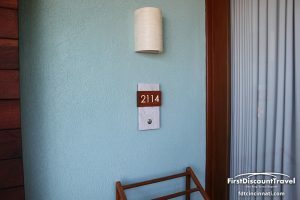 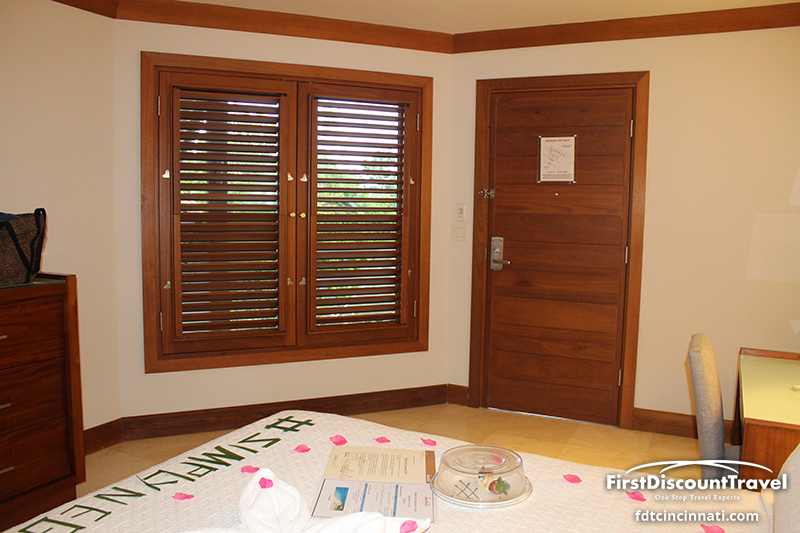 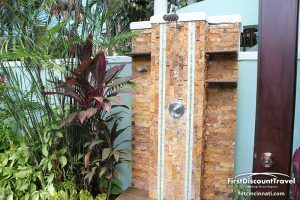 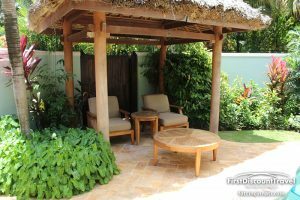 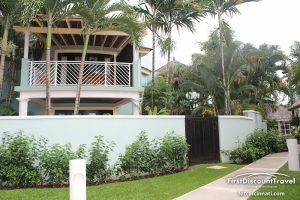 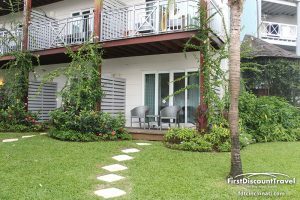 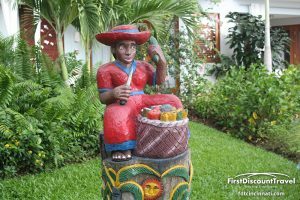 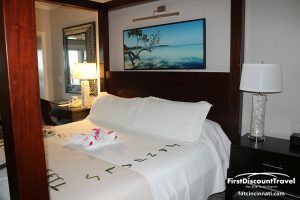 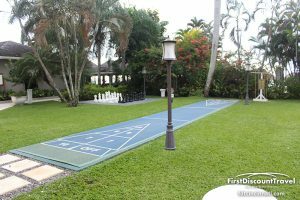 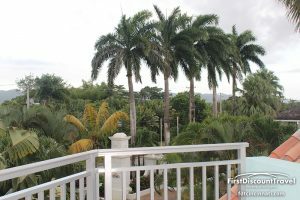 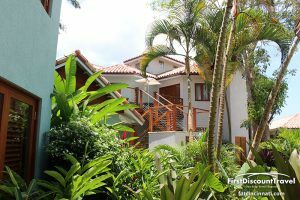 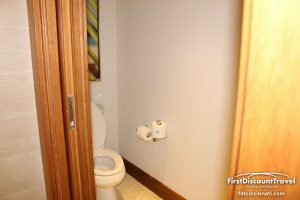 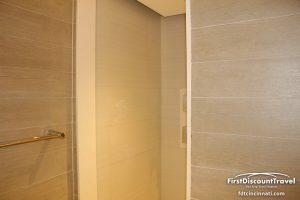 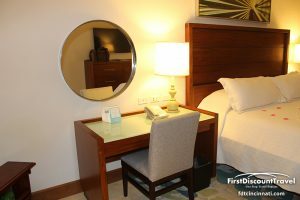 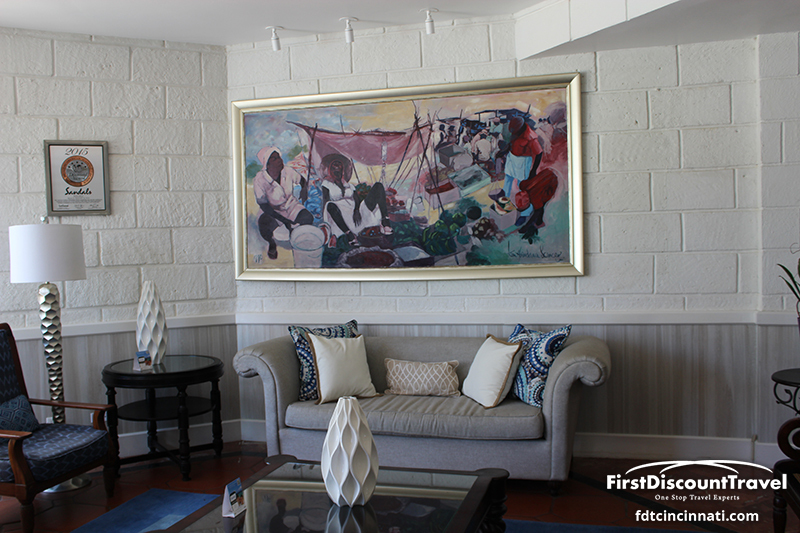 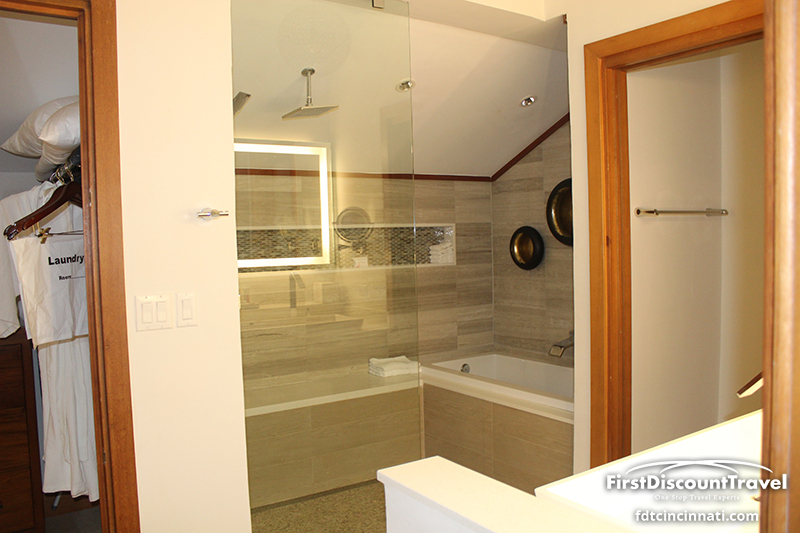 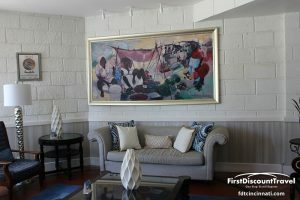 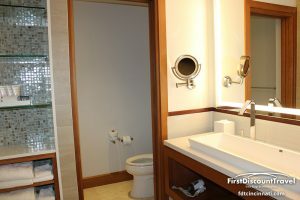 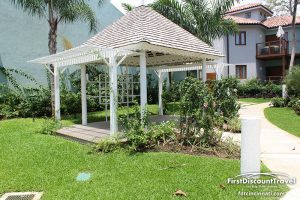 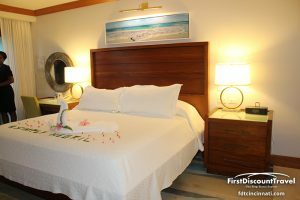 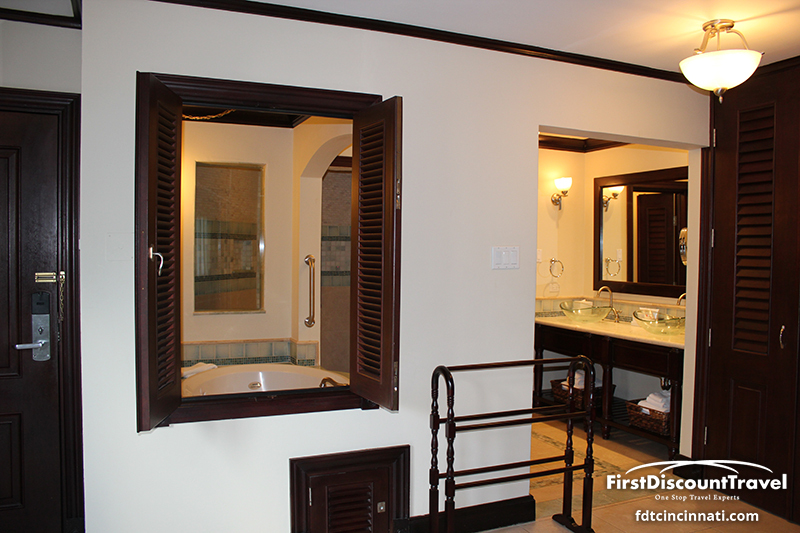 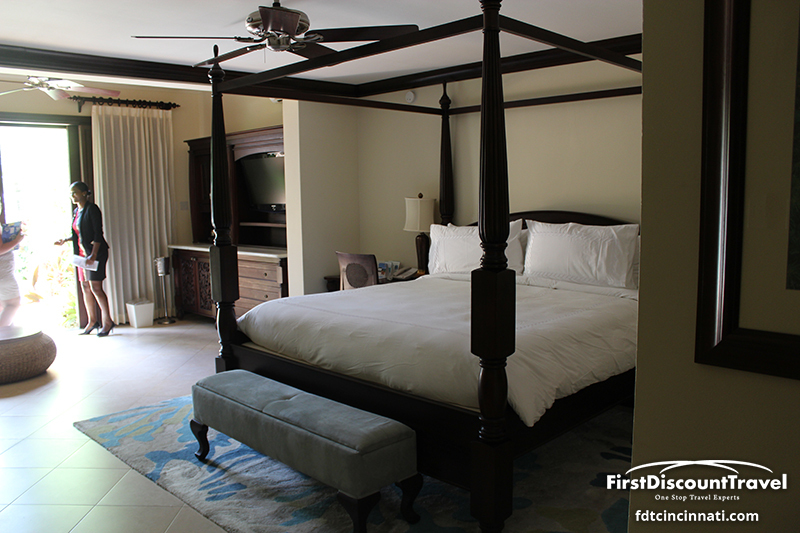 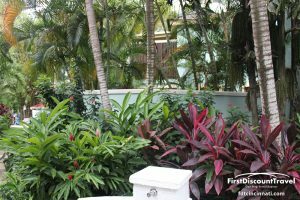 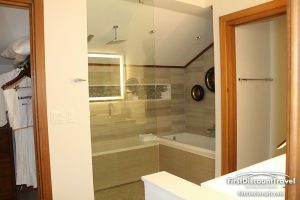 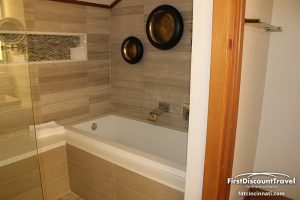 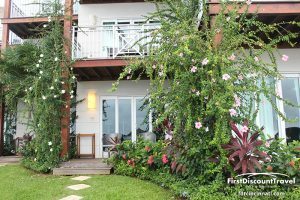 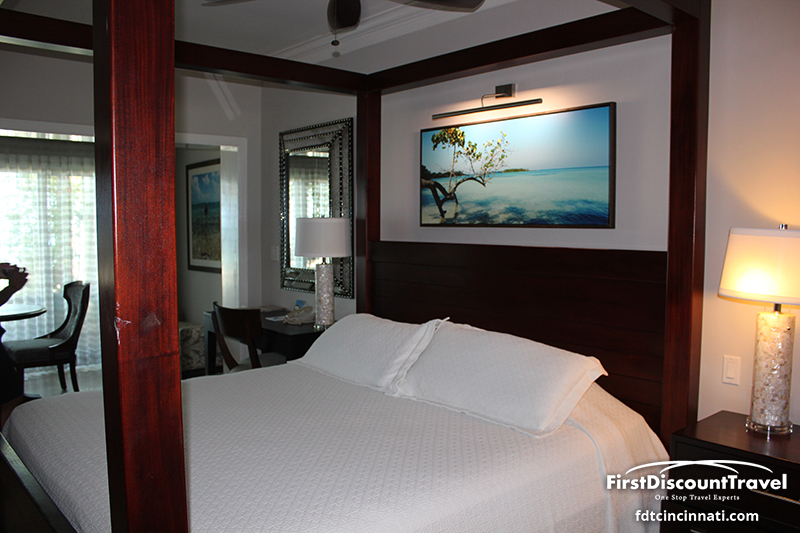 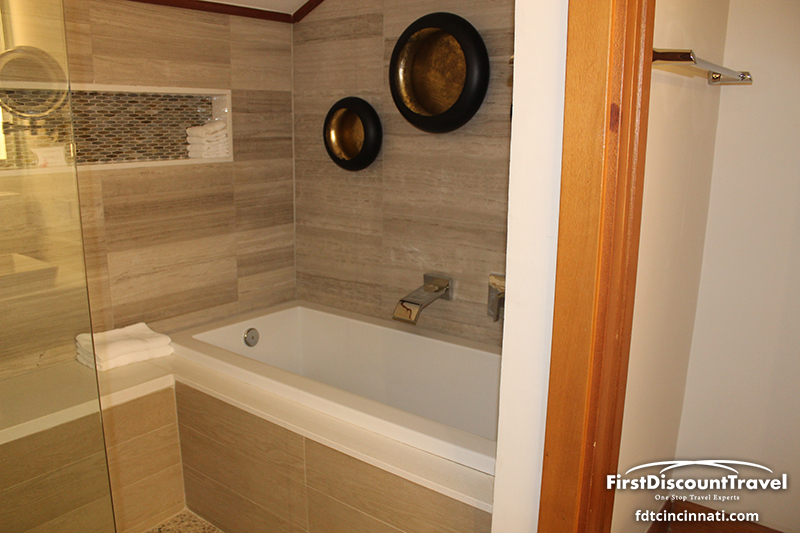 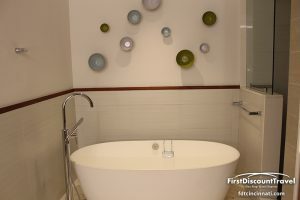 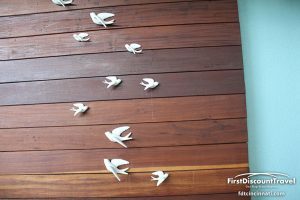 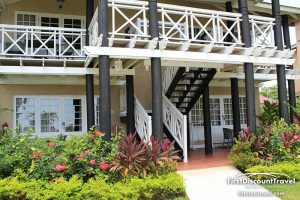 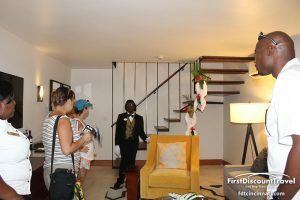 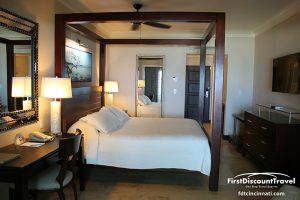 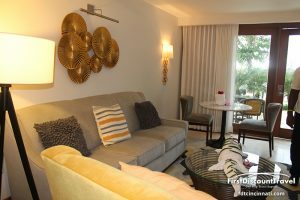 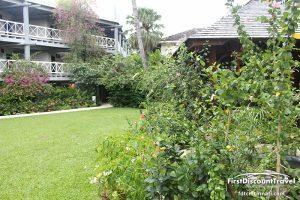 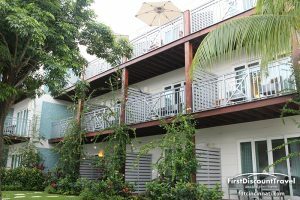 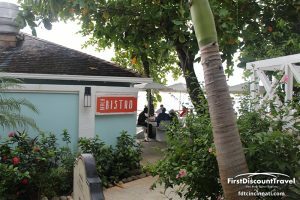 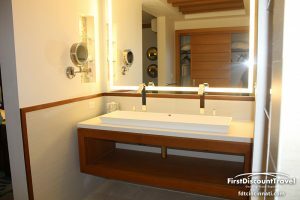 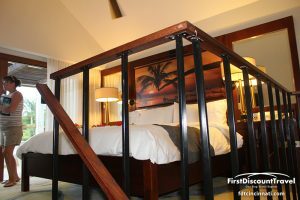 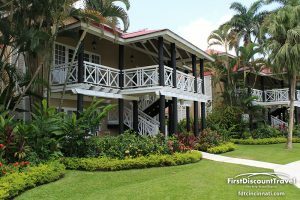 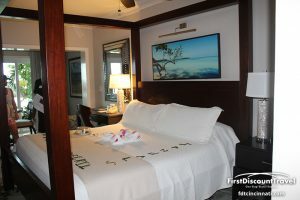 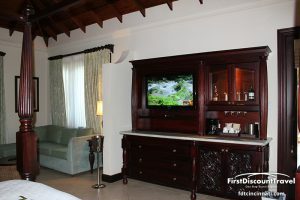 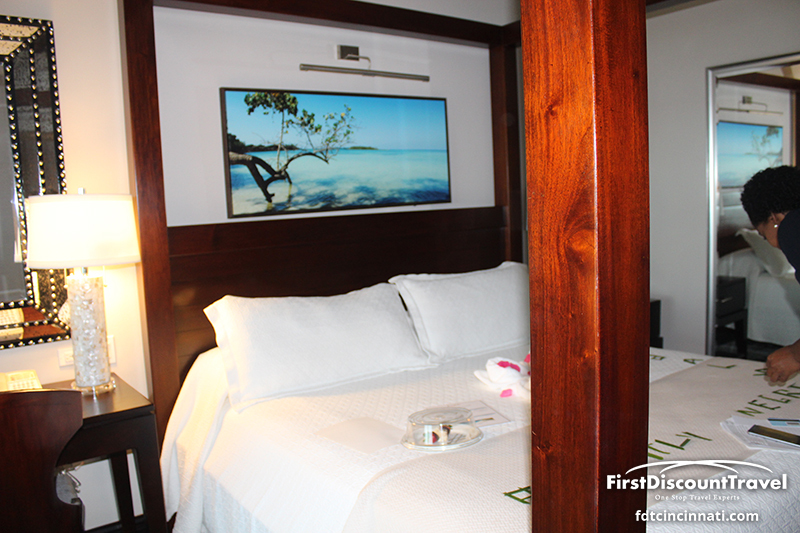 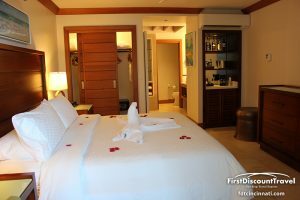 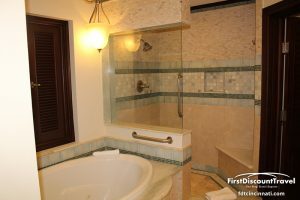 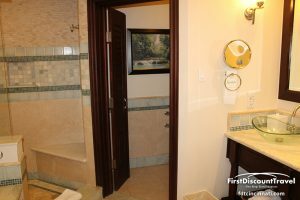 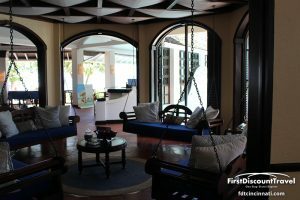 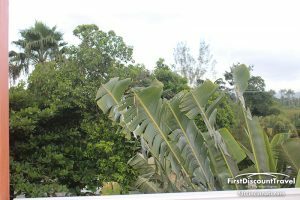 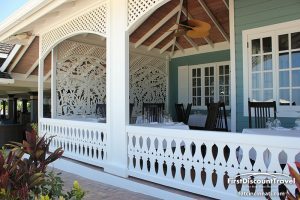 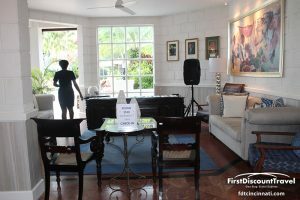 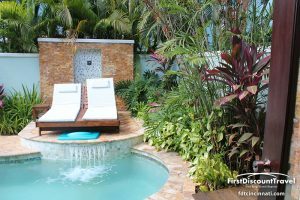 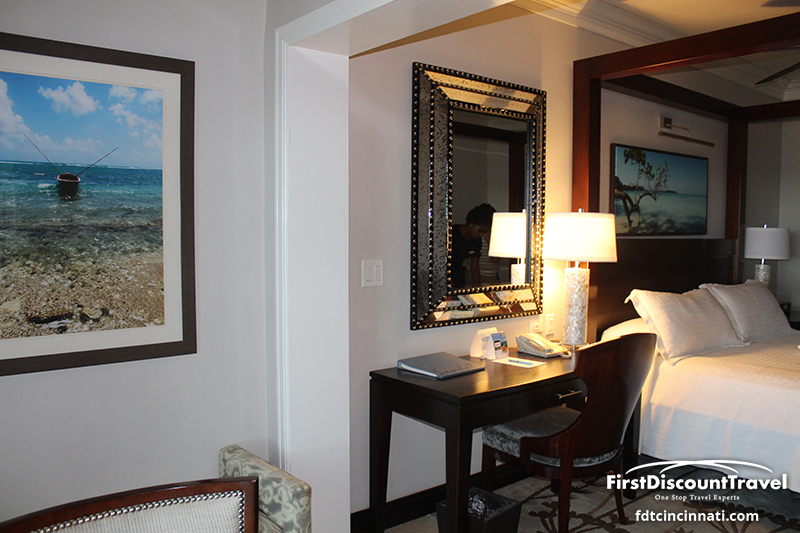 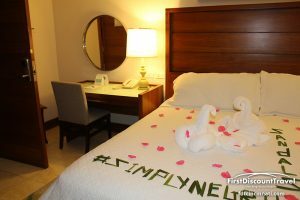 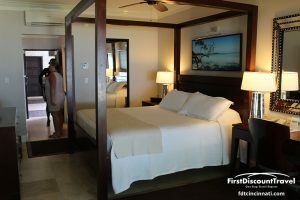 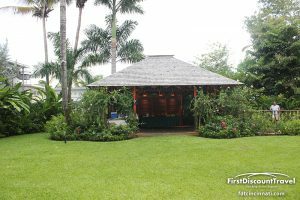 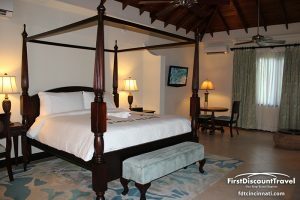 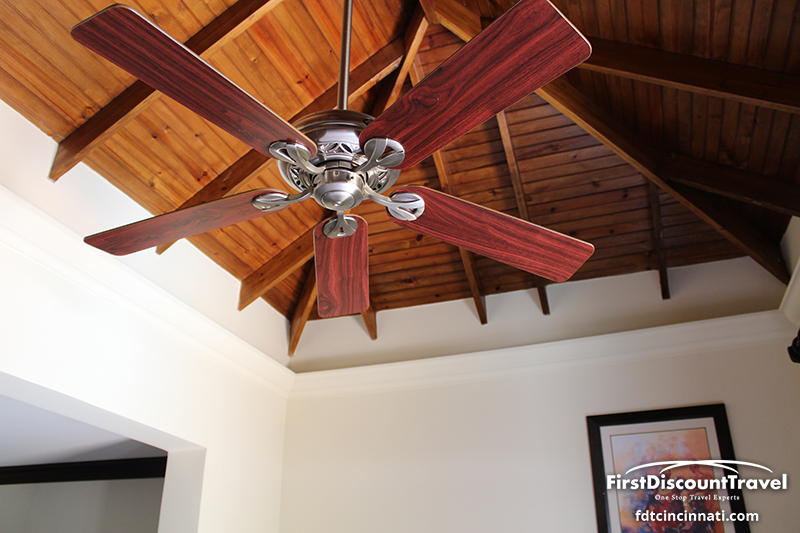 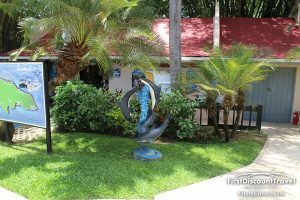 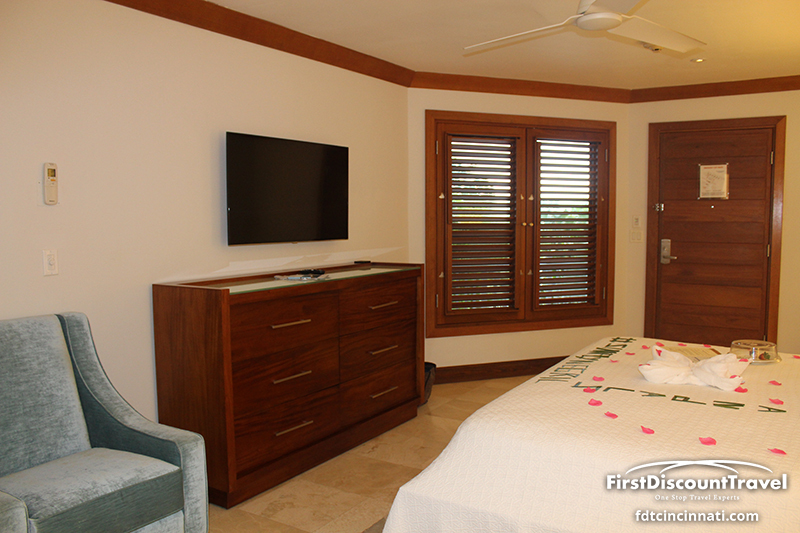 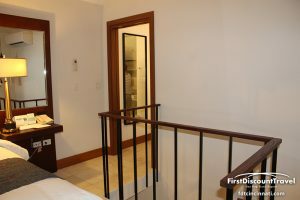 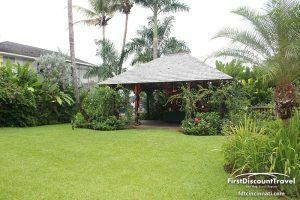 The renovated rooms are much nicer with softer earth tones and modern appearance versus the older rooms having dated Caribbean decor with floral bedspreads. 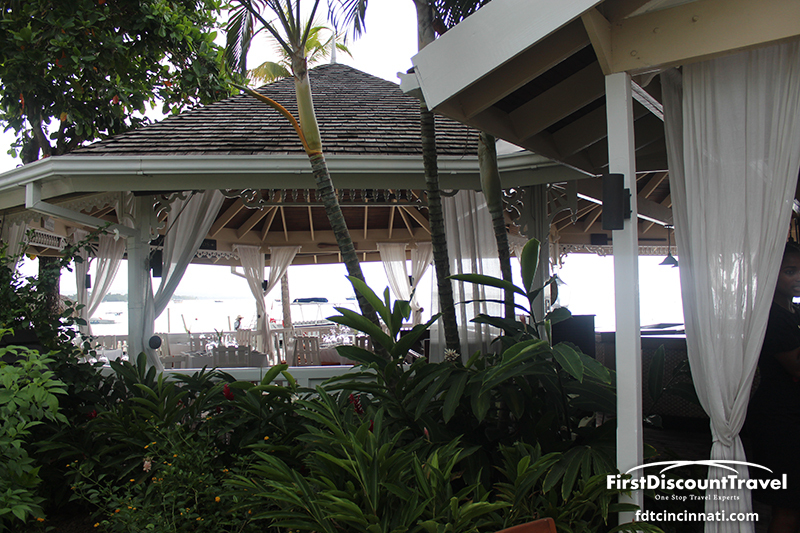 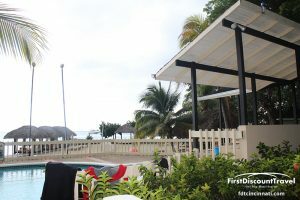 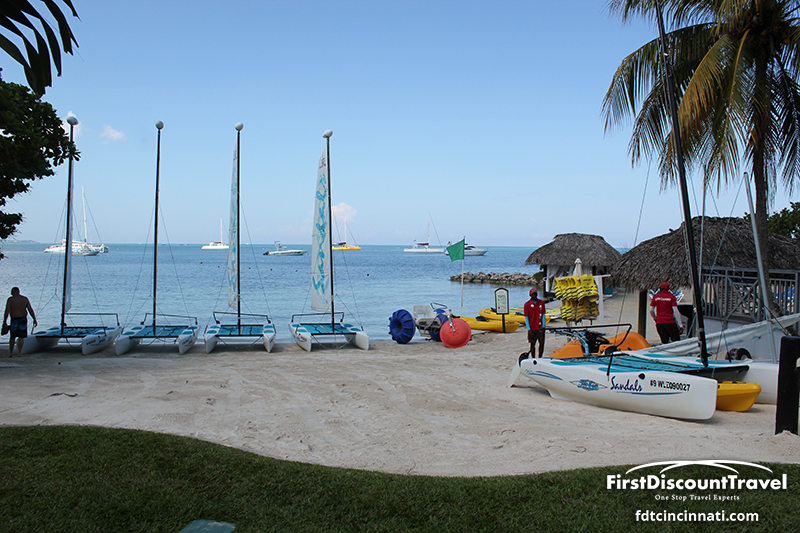 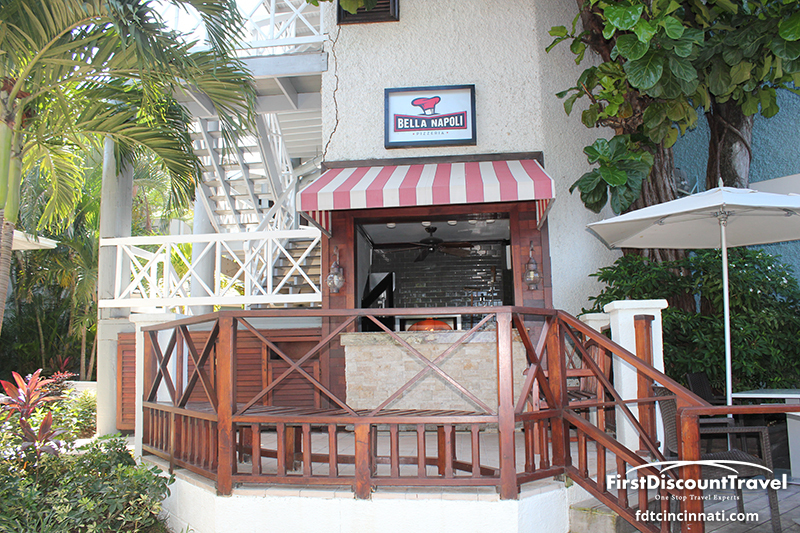 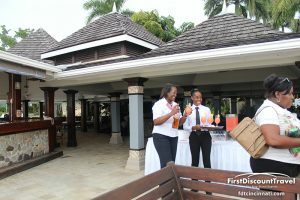 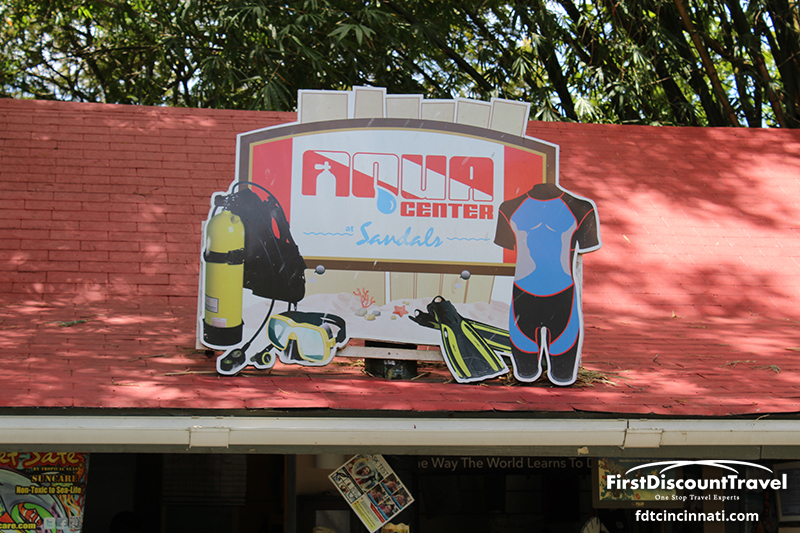 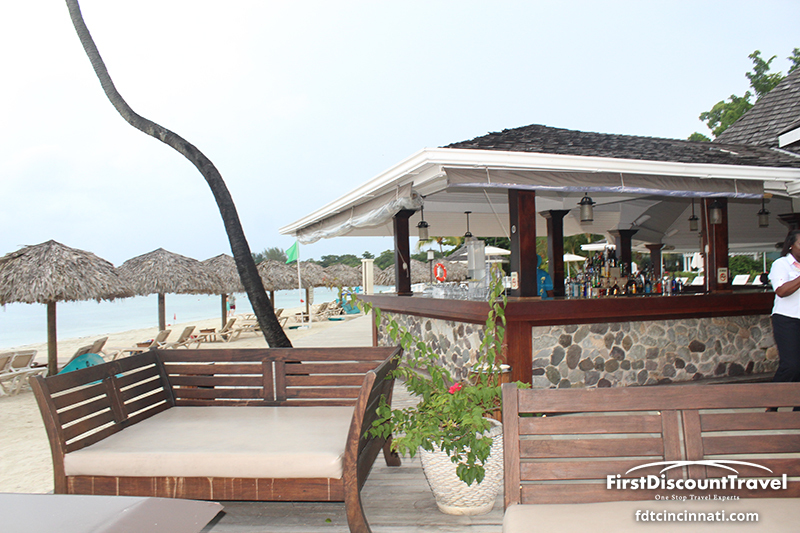 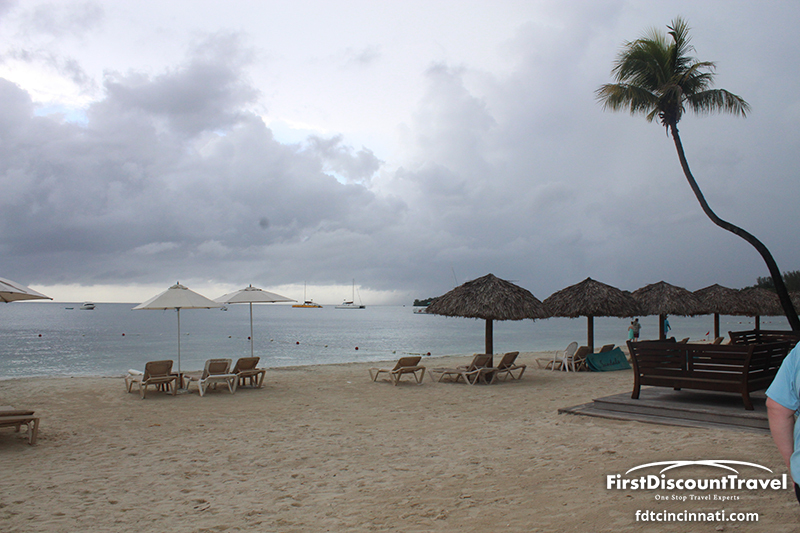 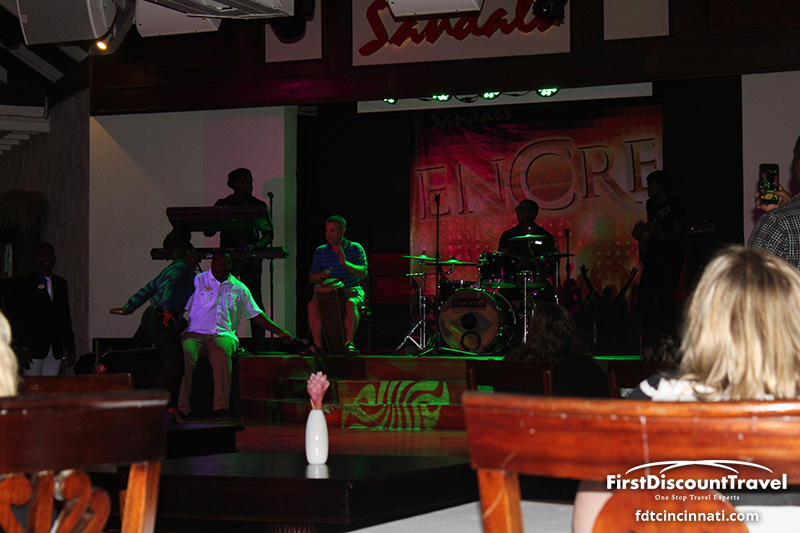 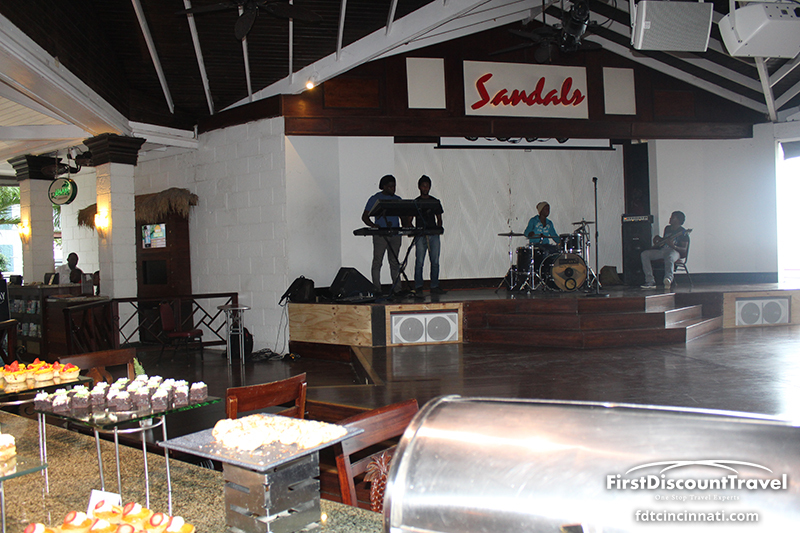 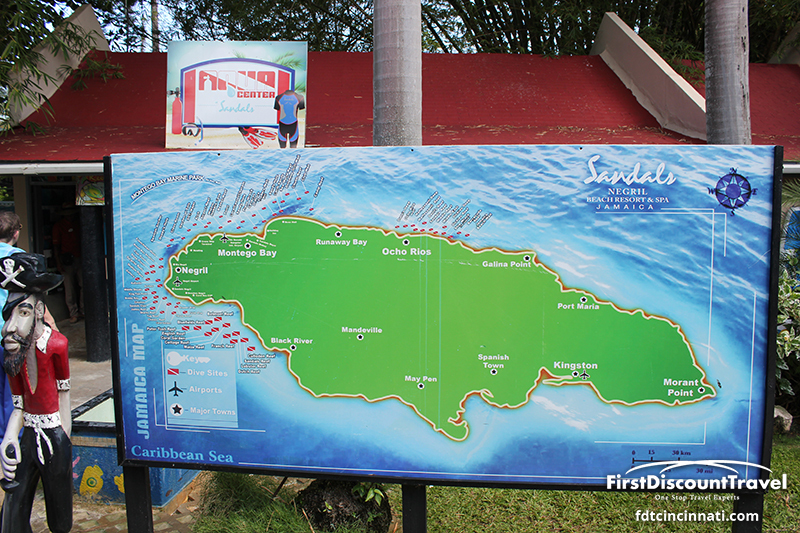 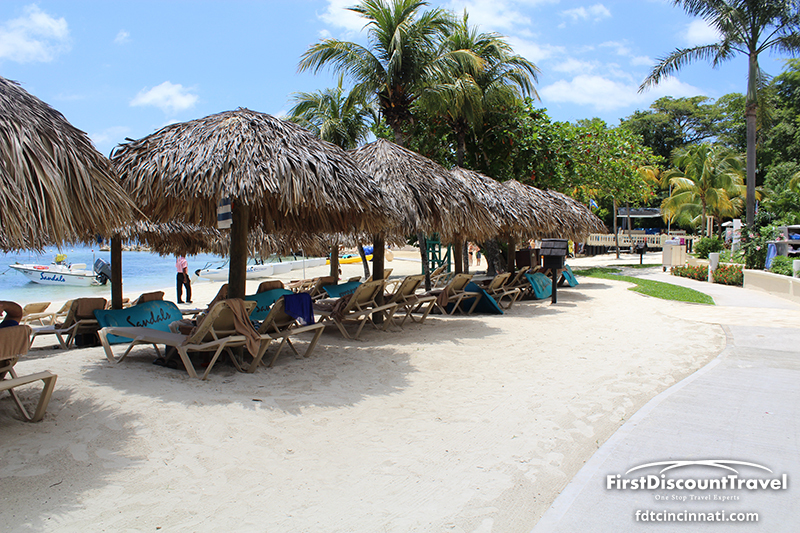 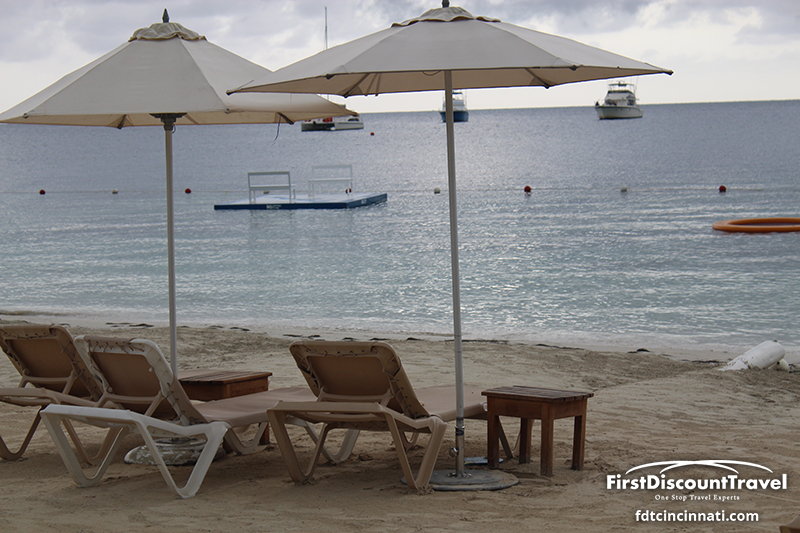 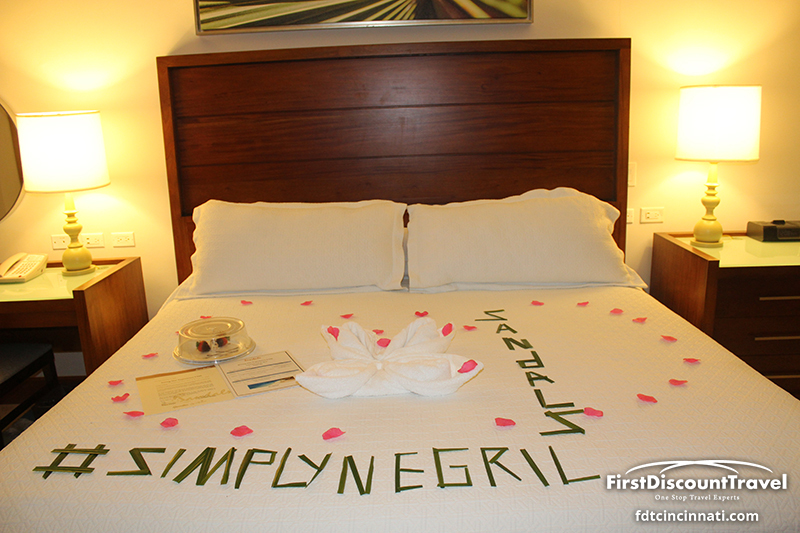 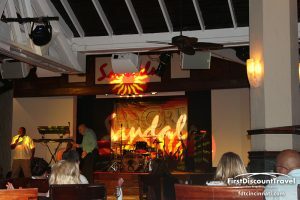 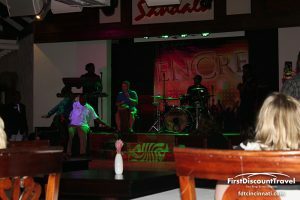 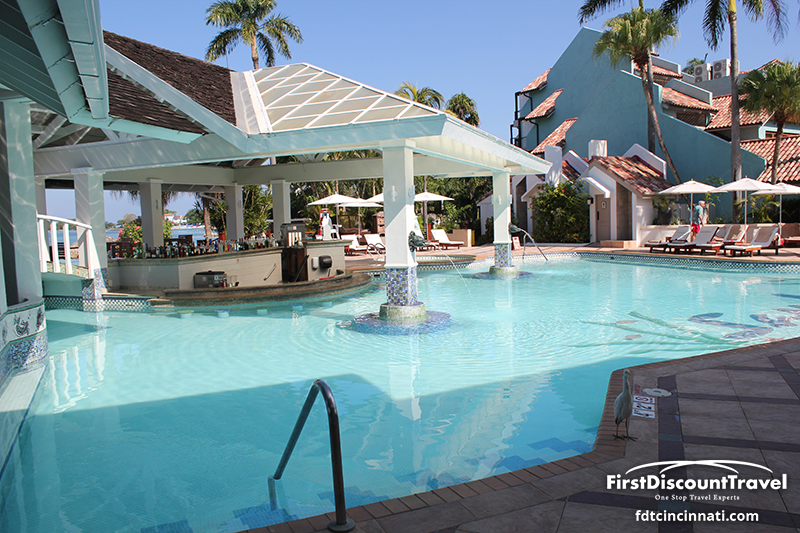 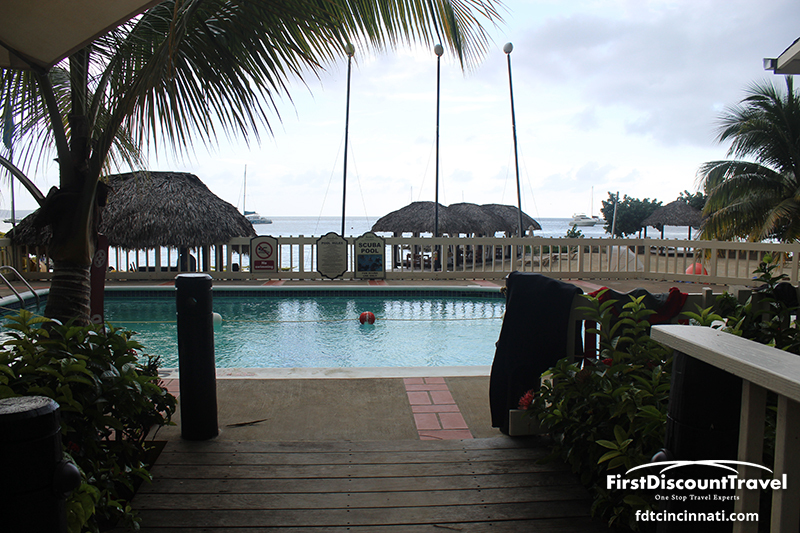 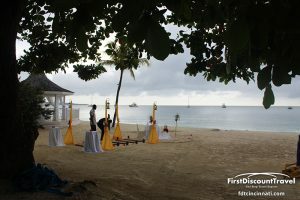 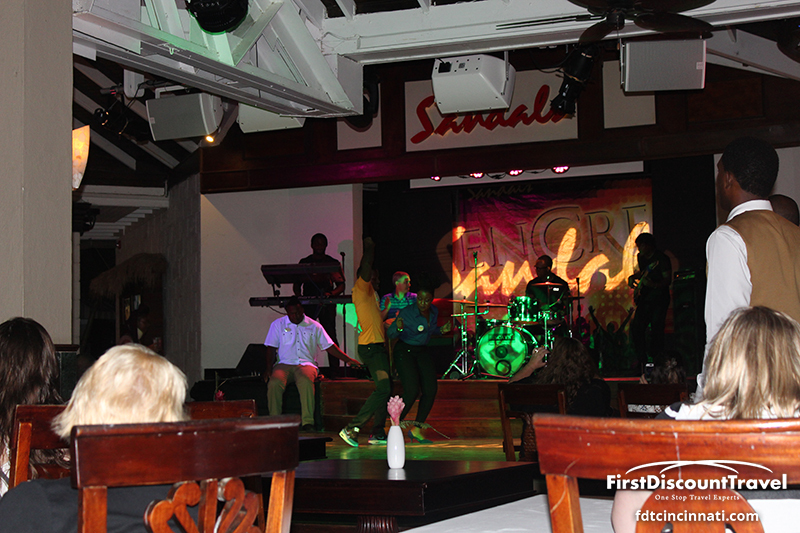 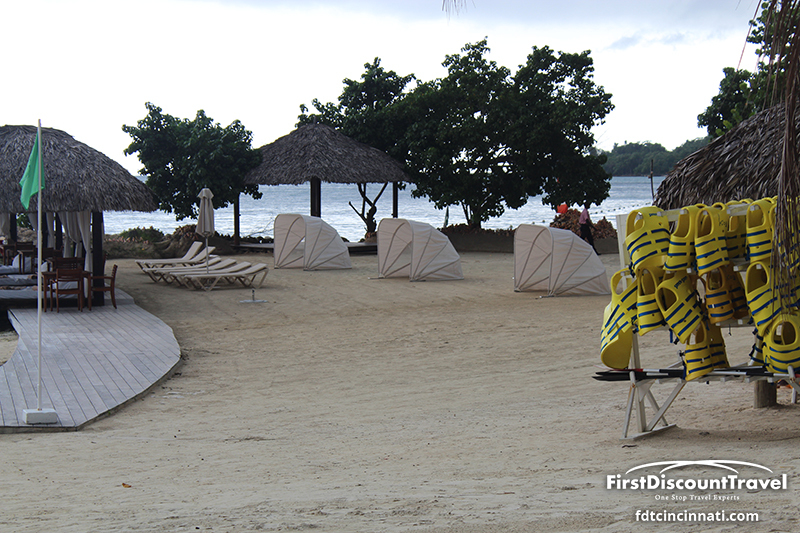 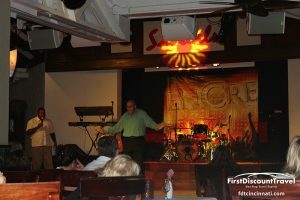 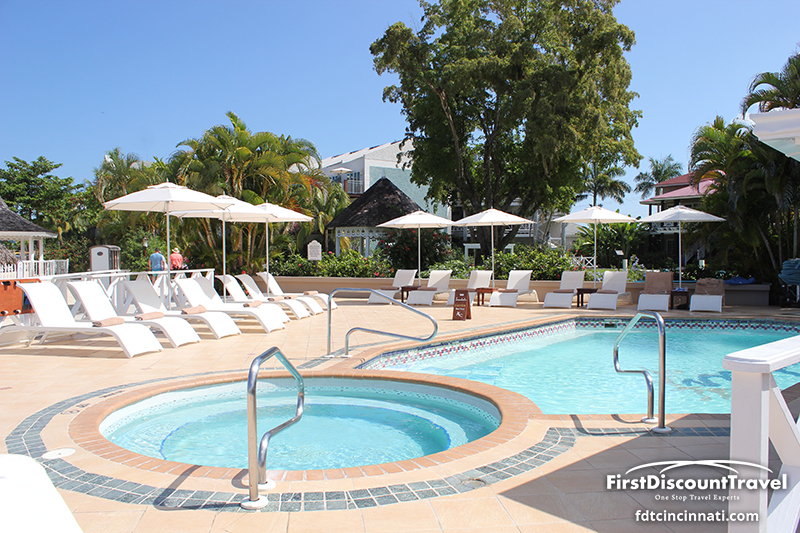 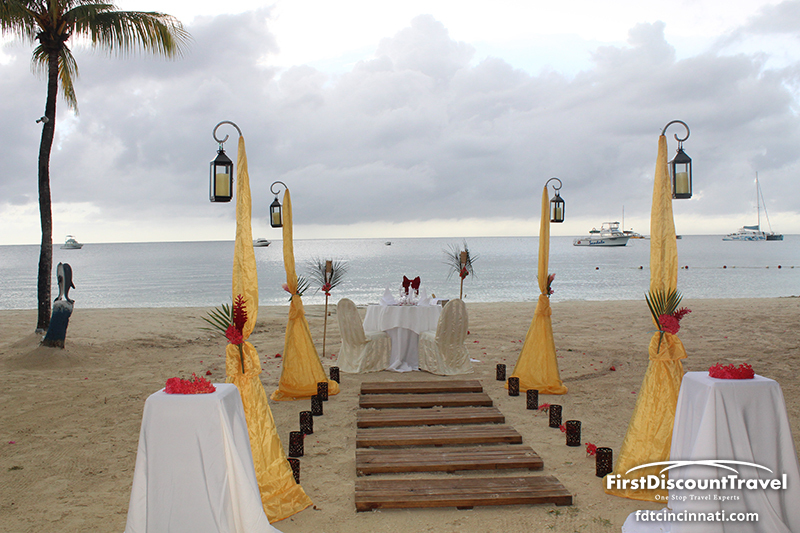 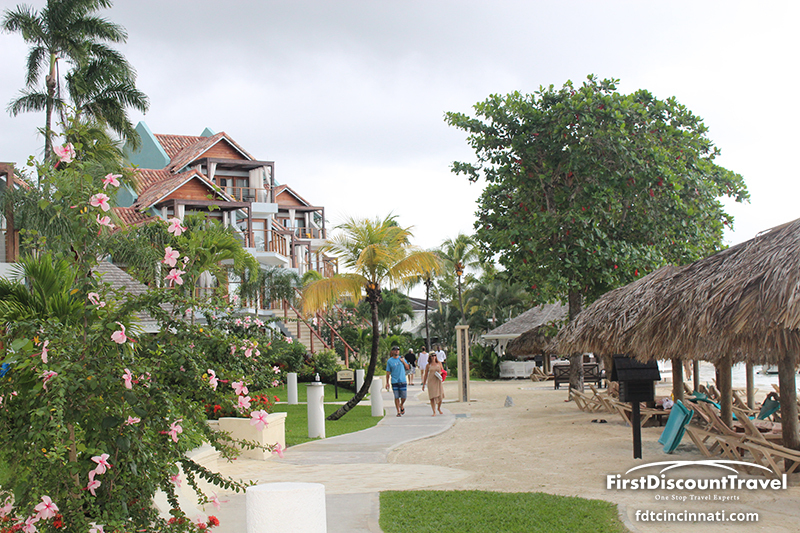 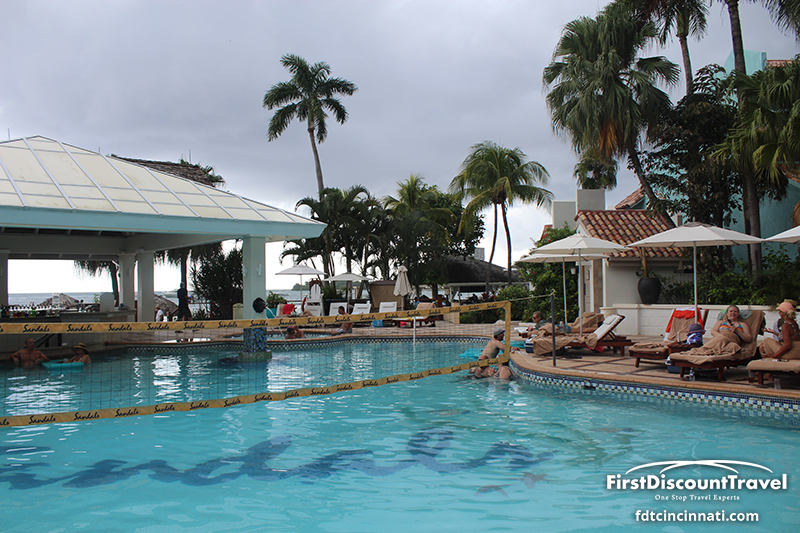 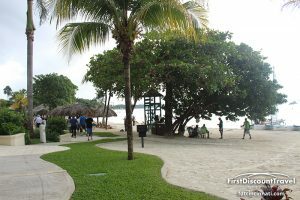 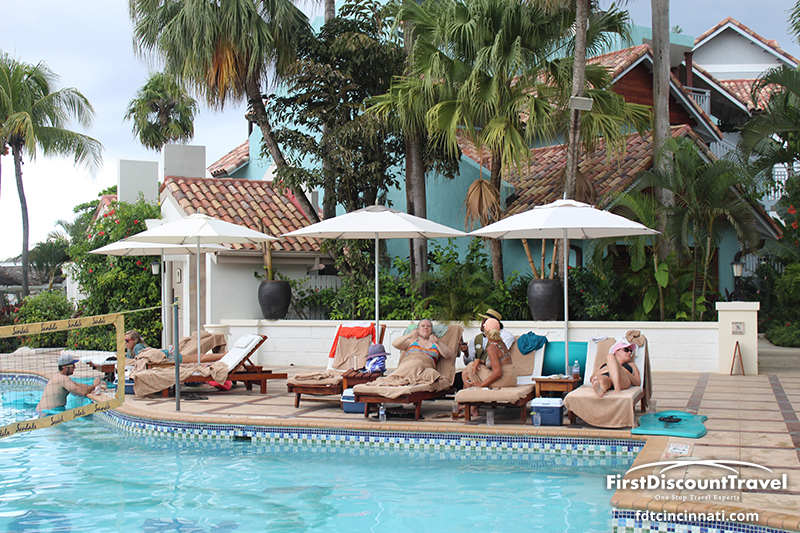 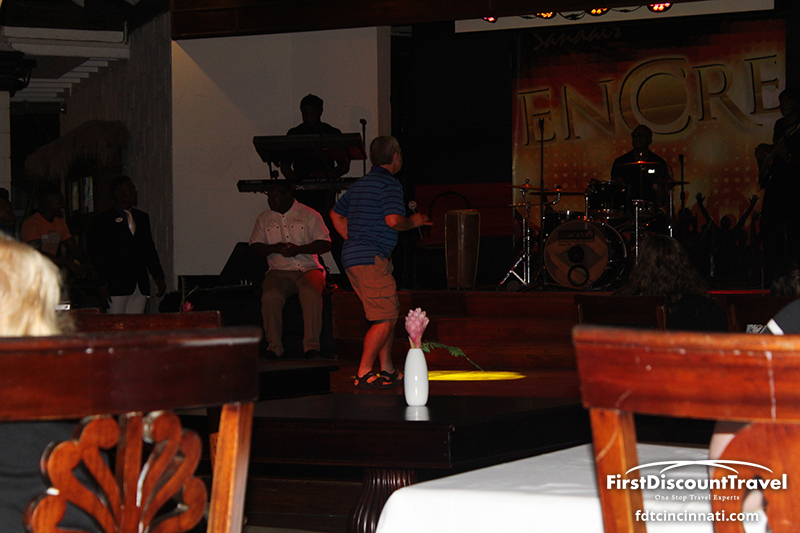 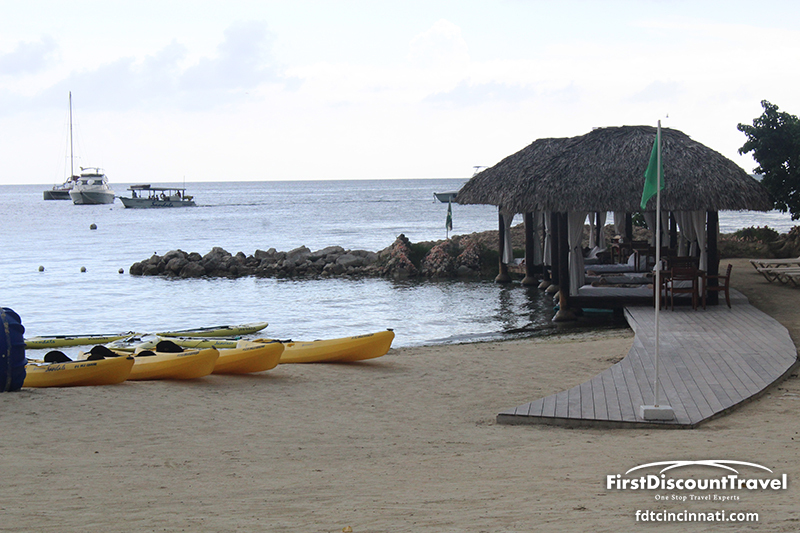 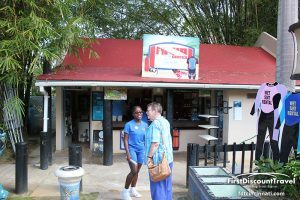 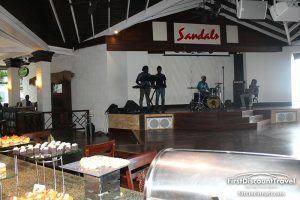 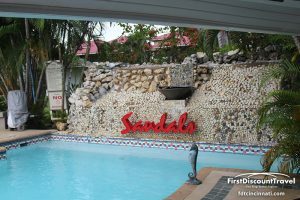 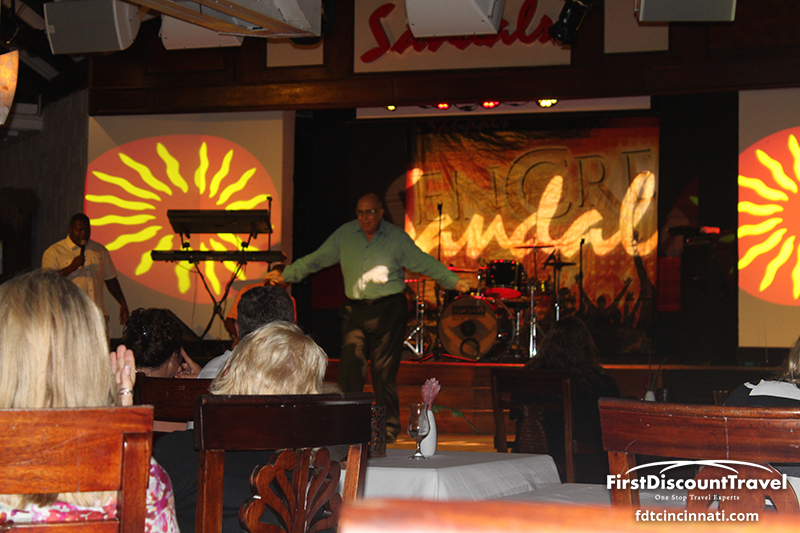 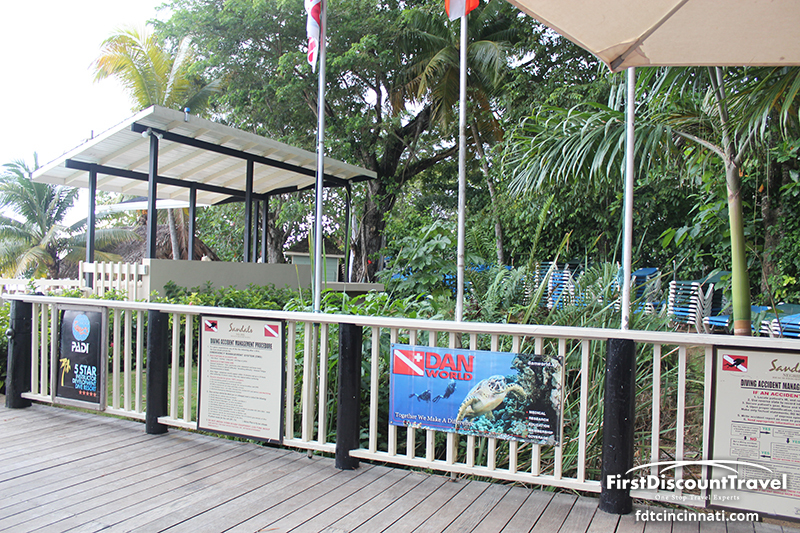 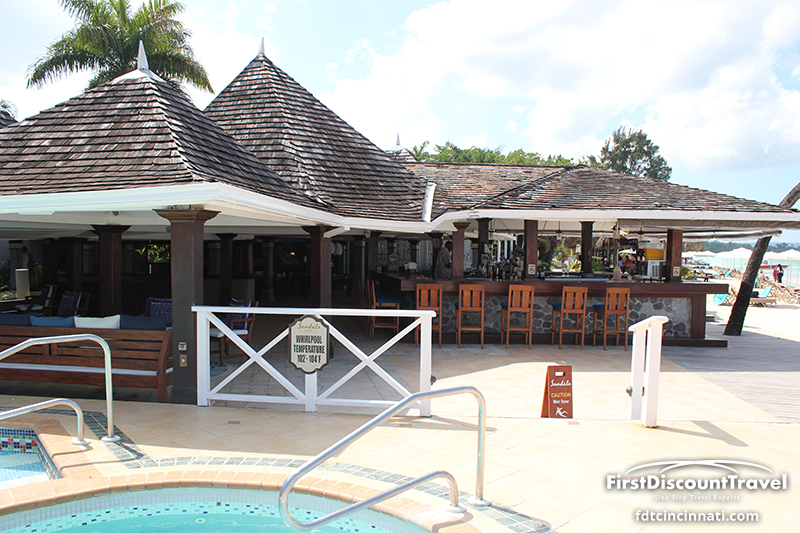 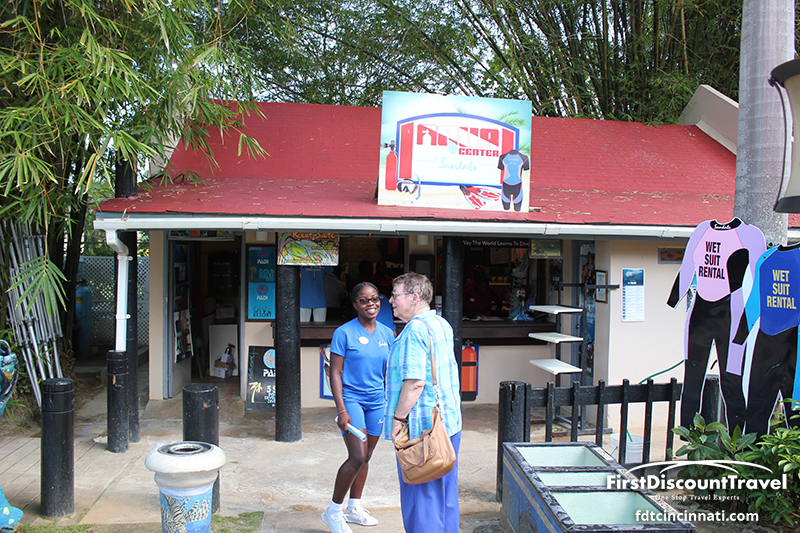 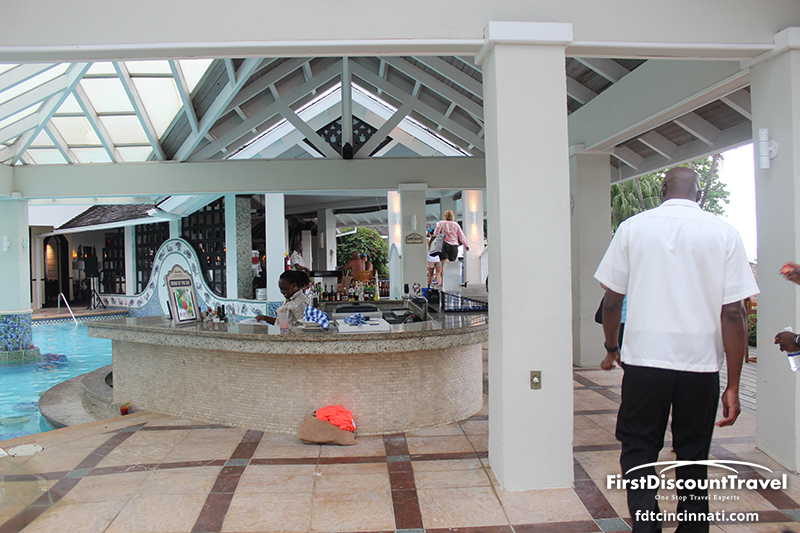 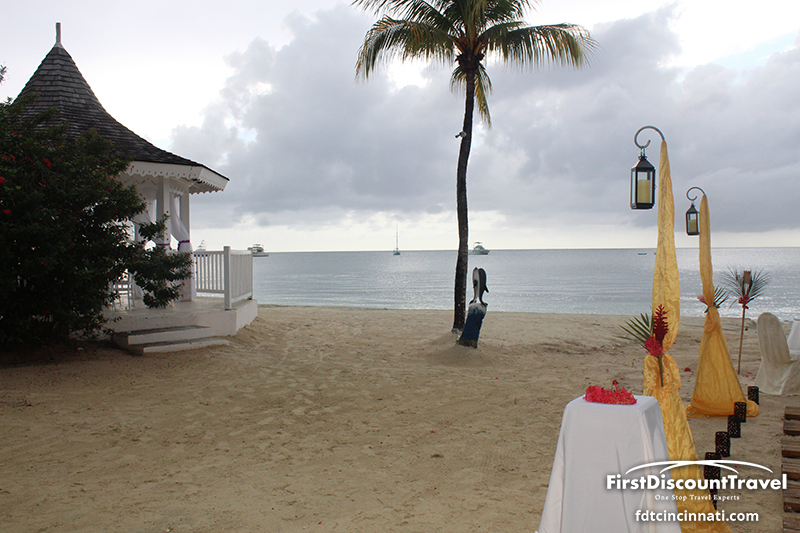 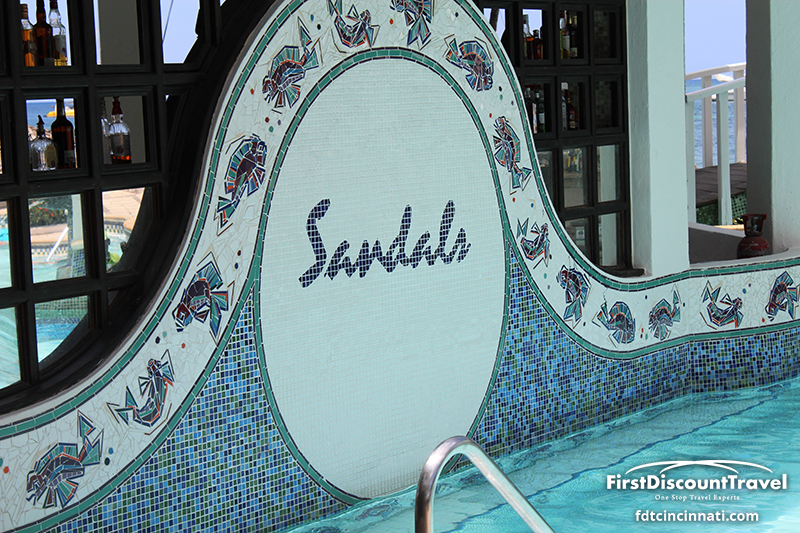 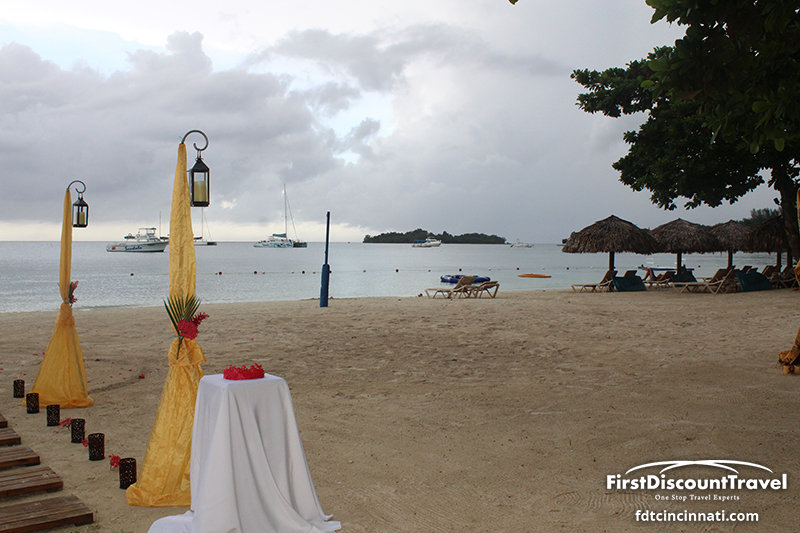 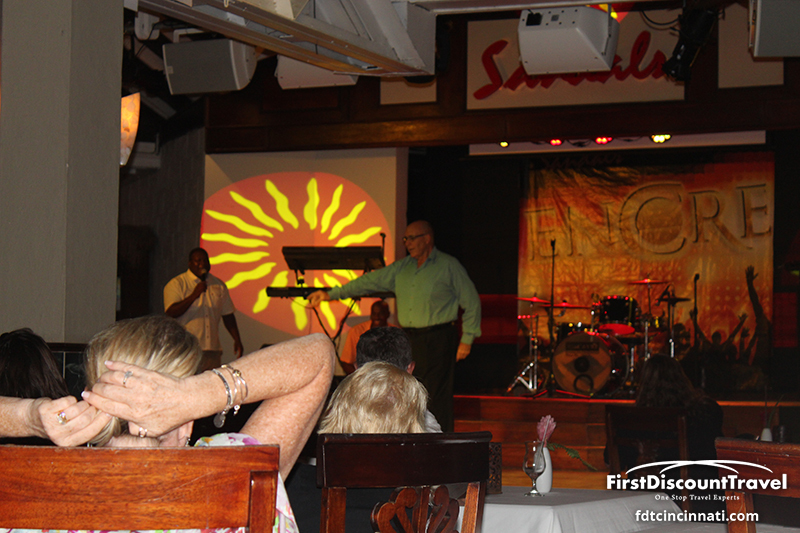 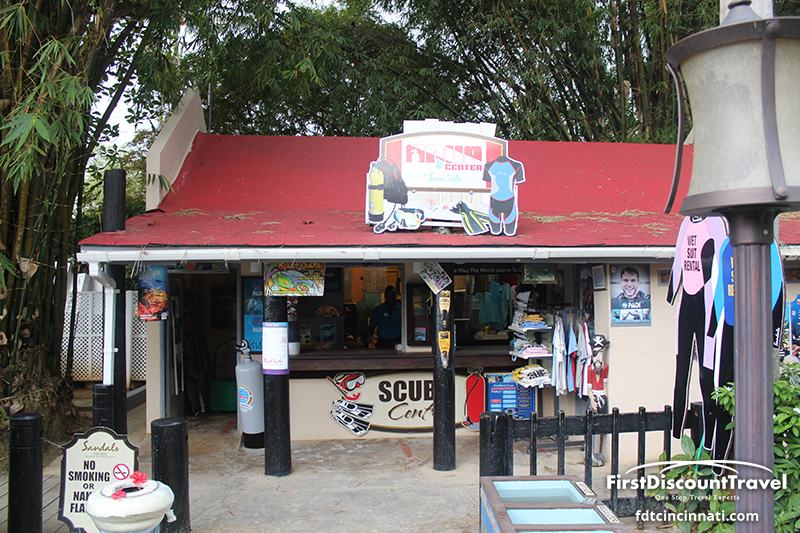 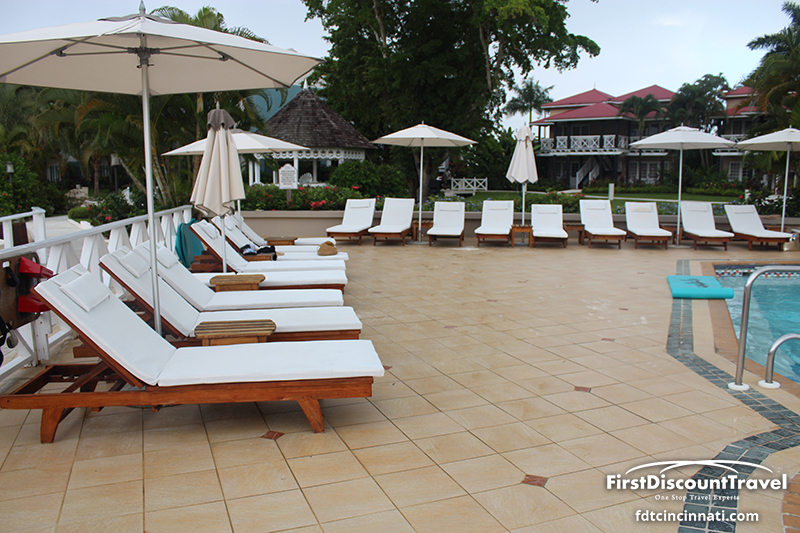 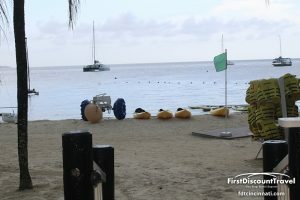 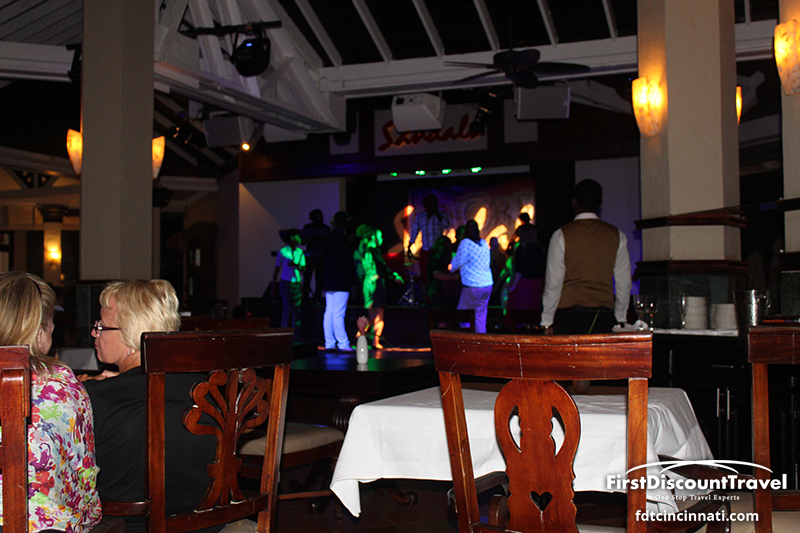 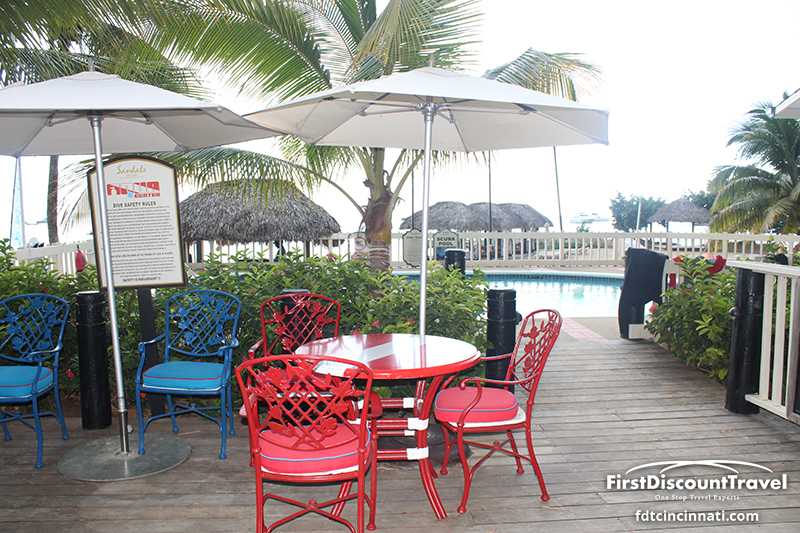 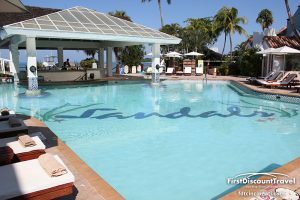 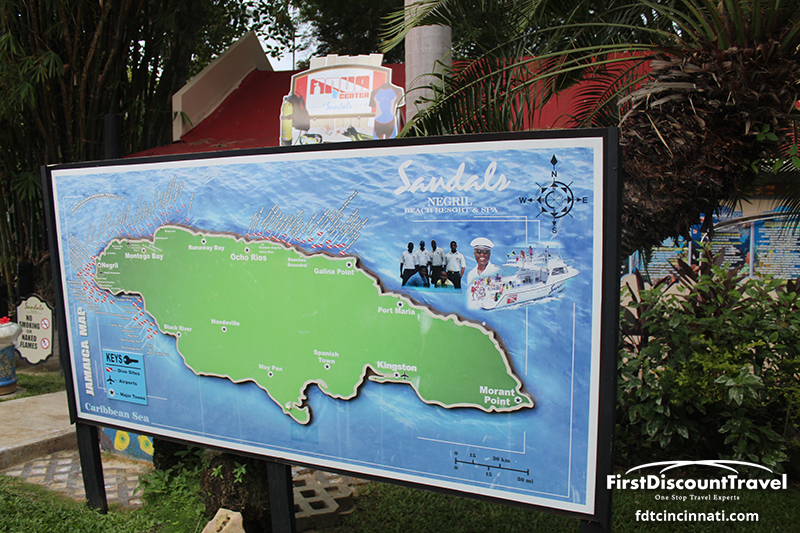 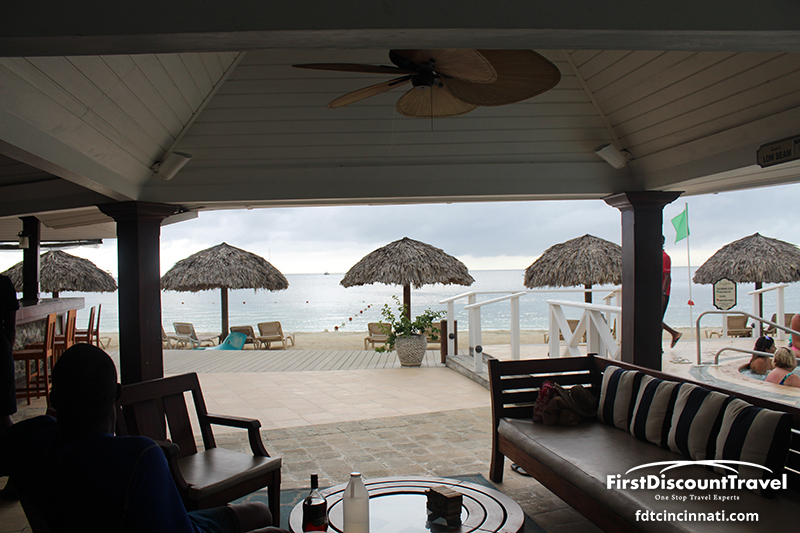 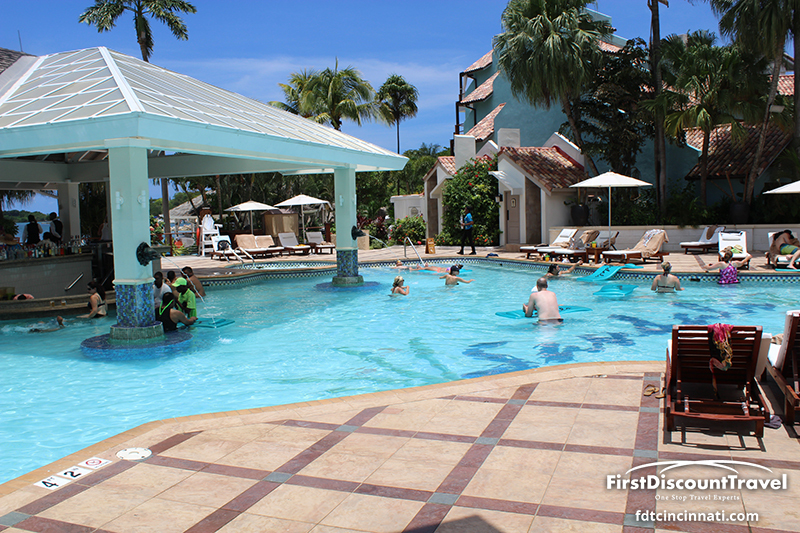 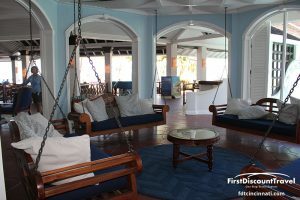 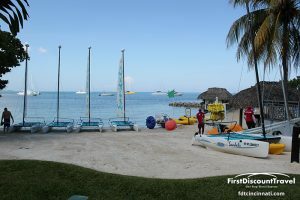 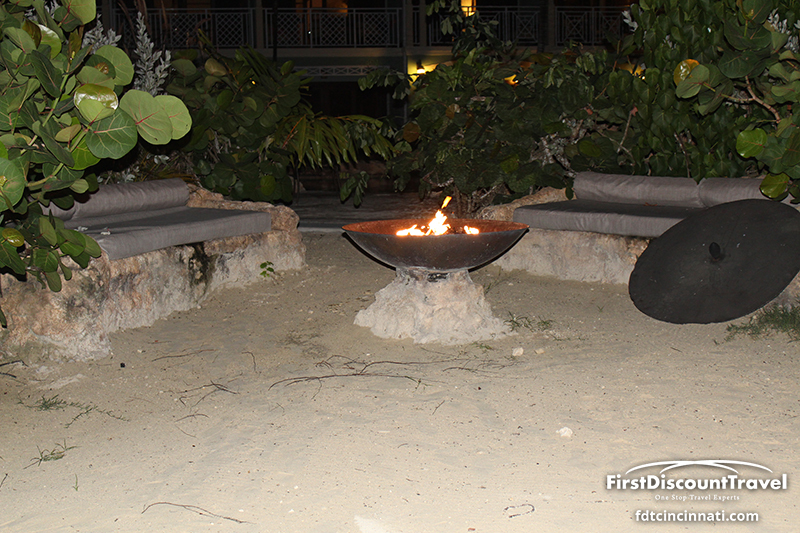 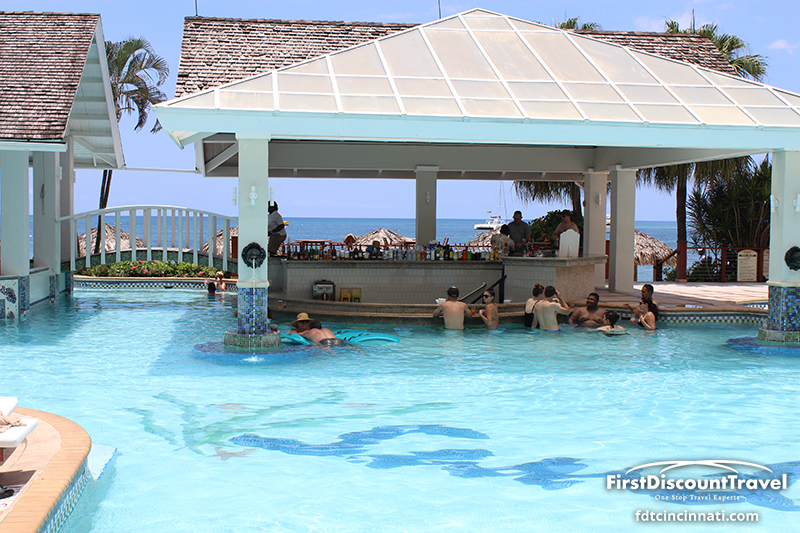 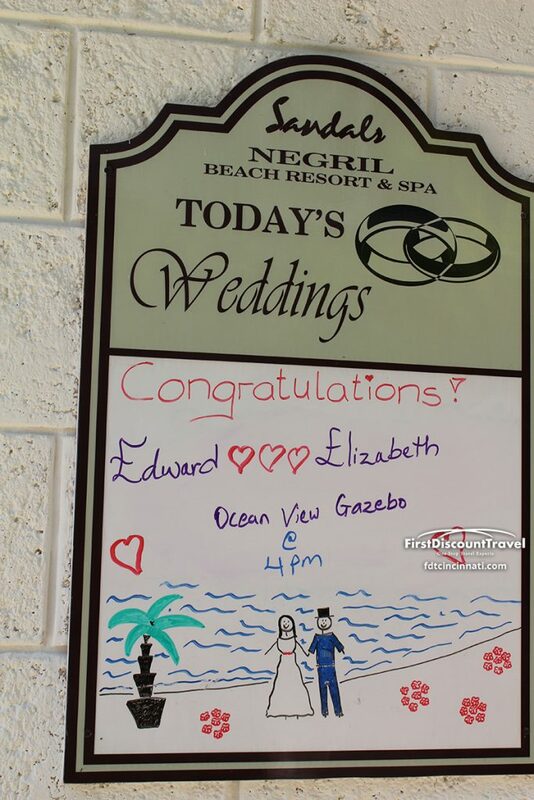 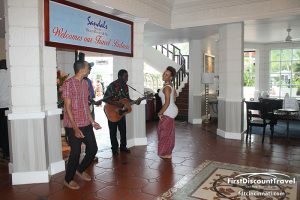 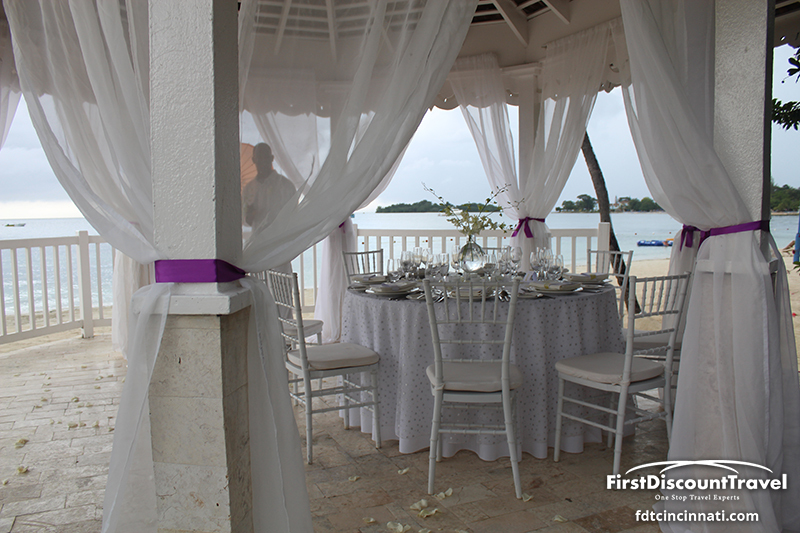 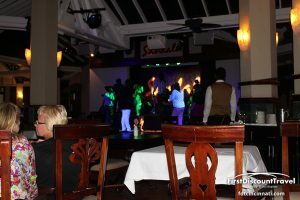 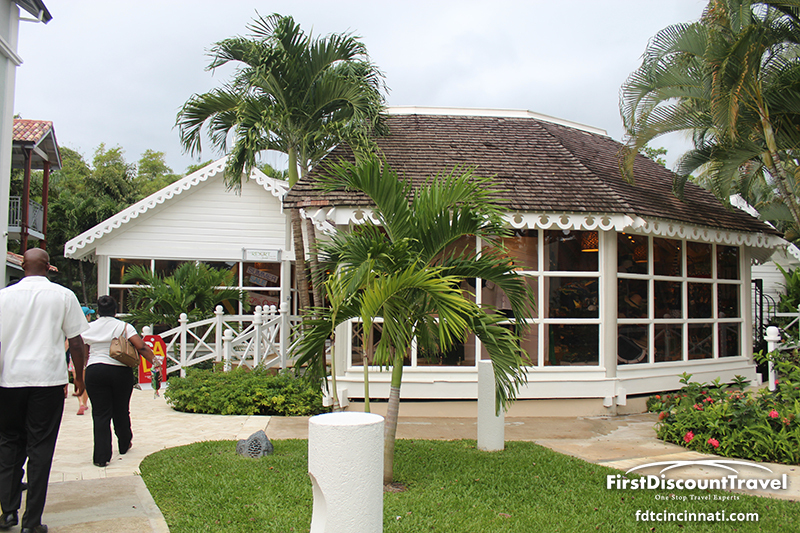 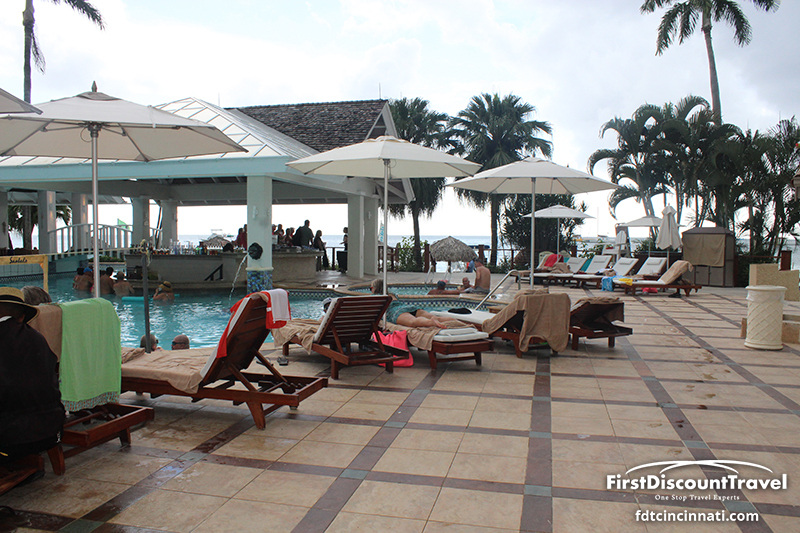 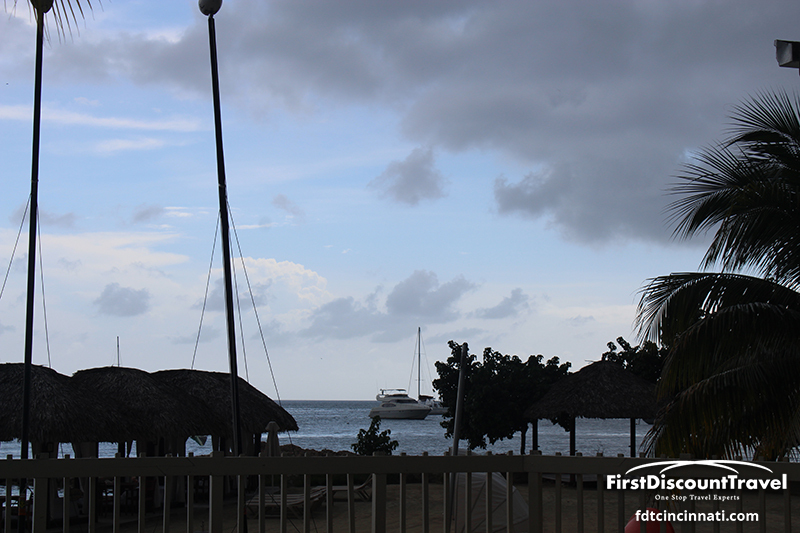 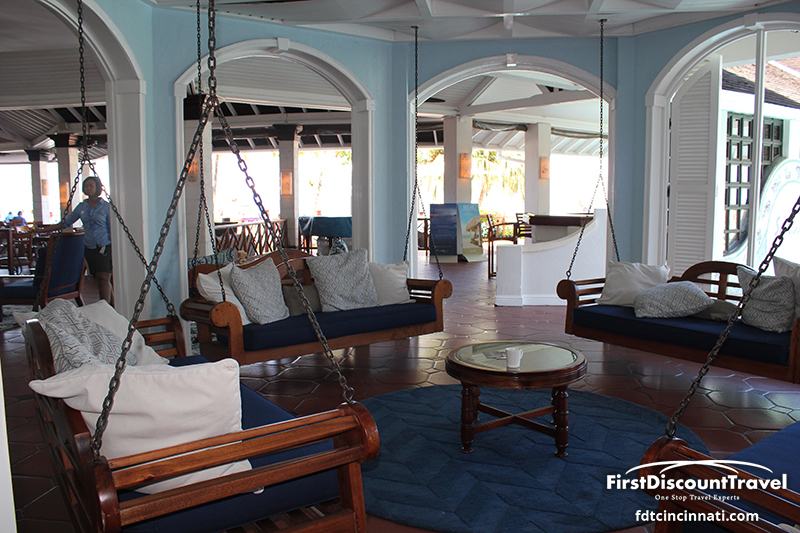 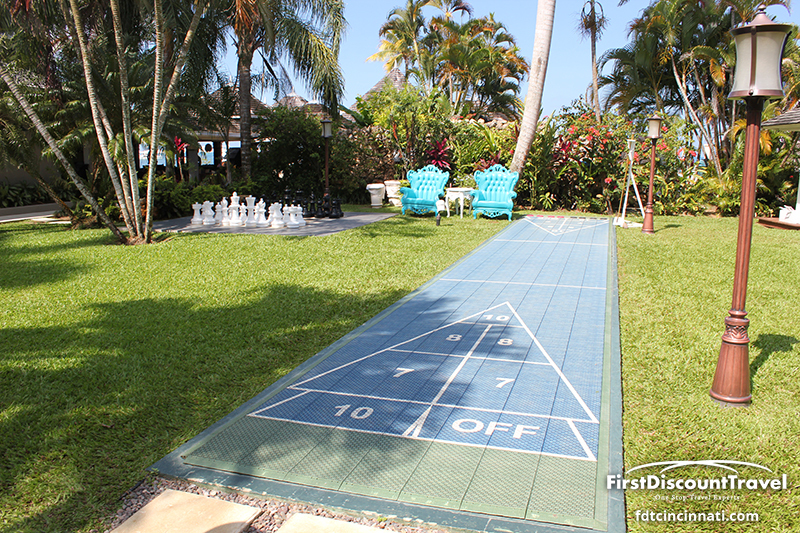 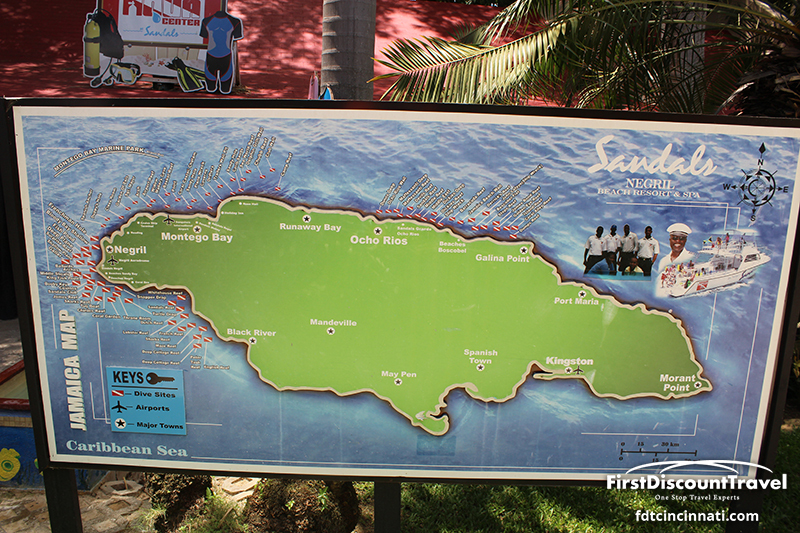 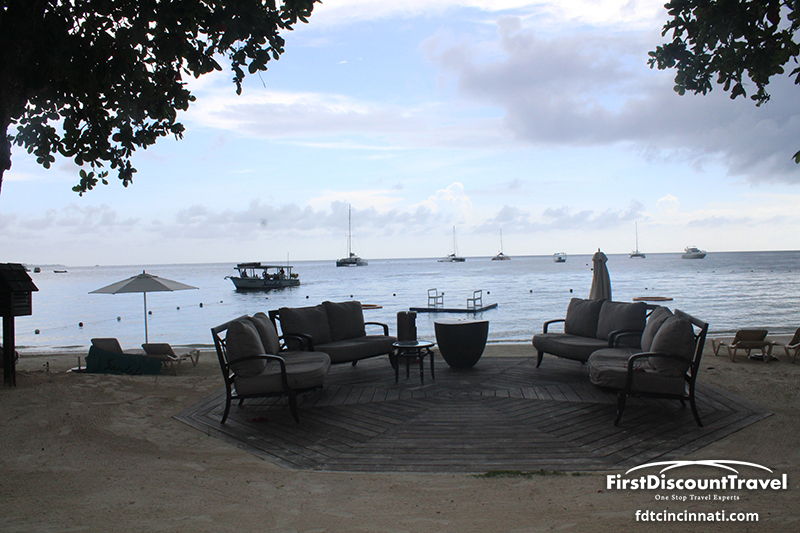 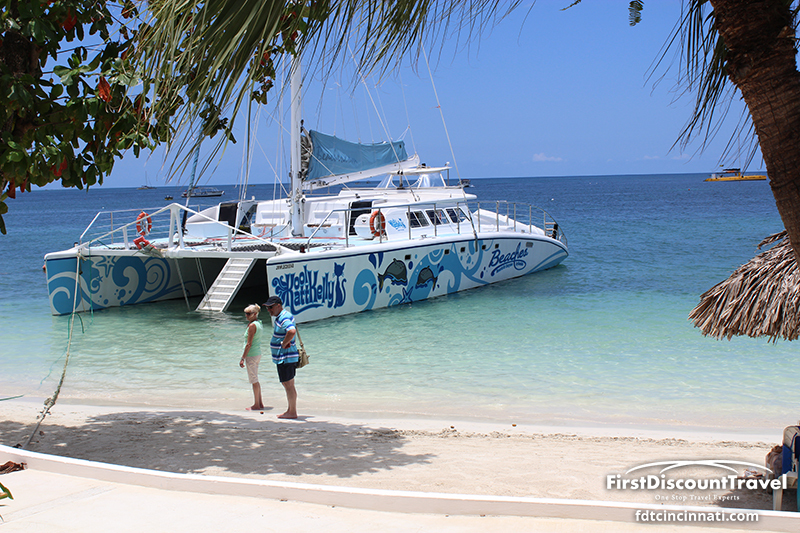 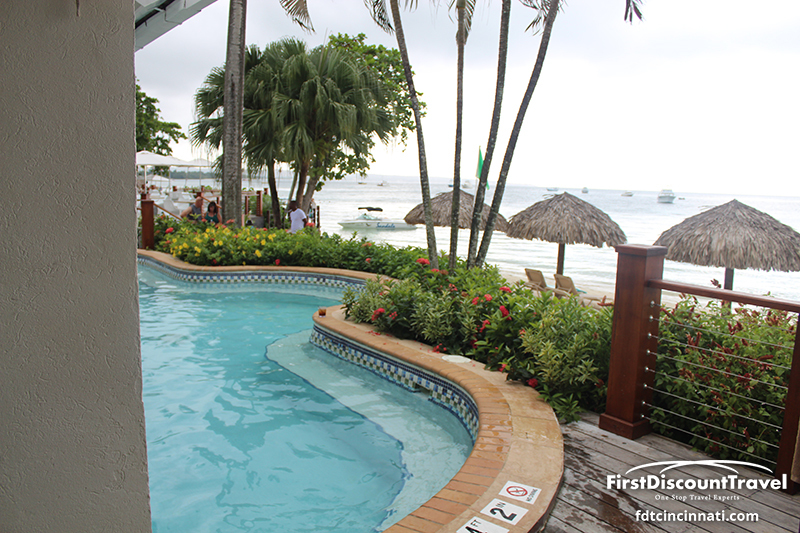 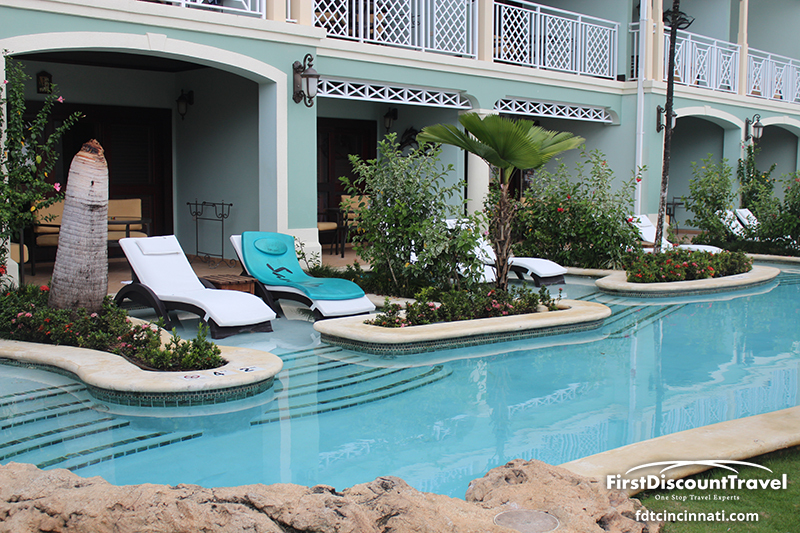 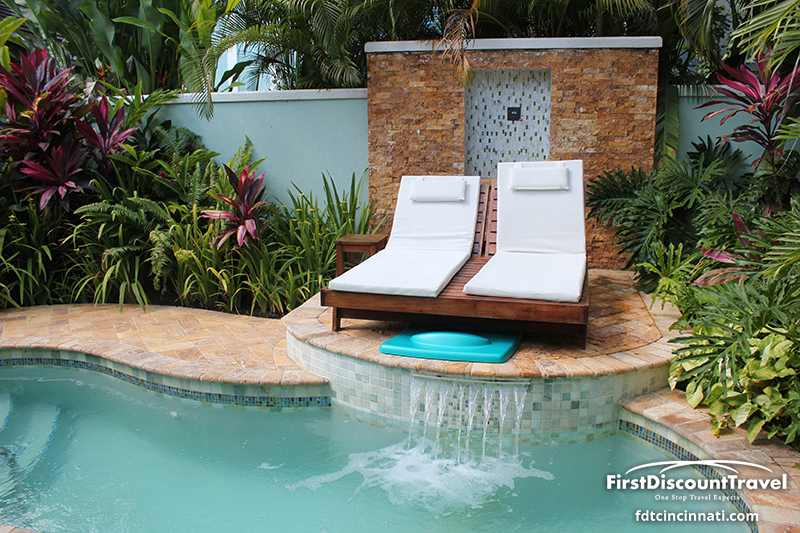 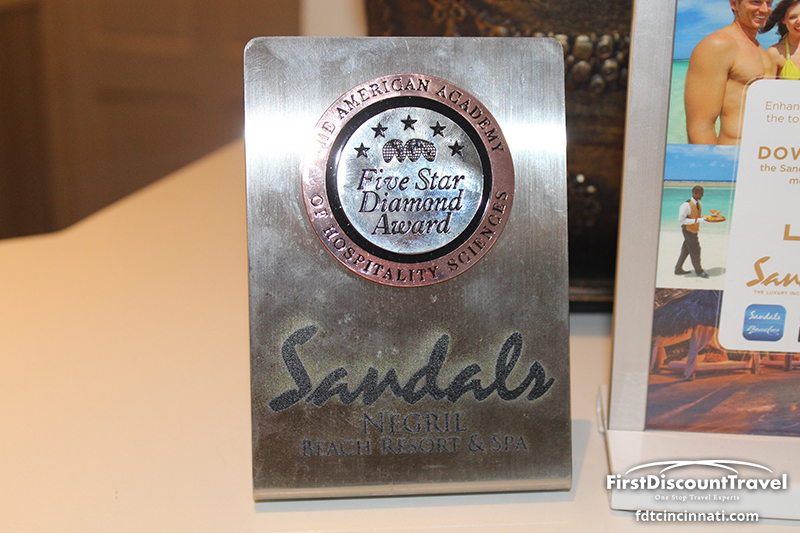 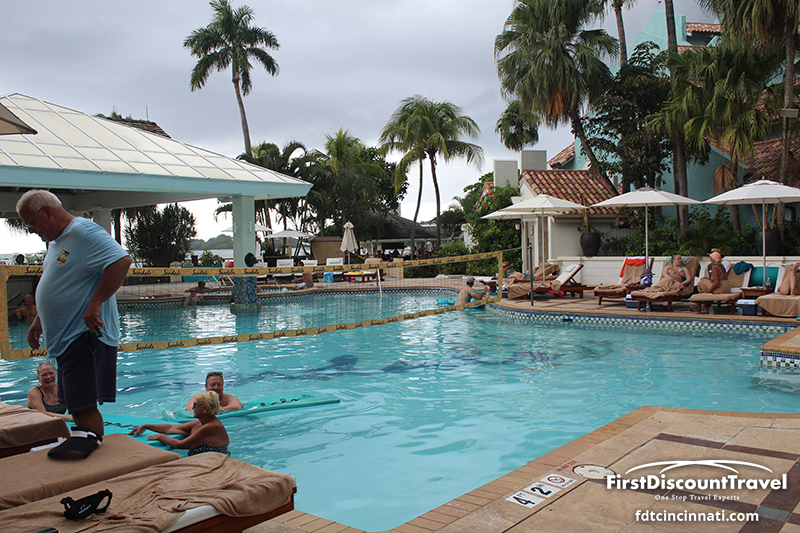 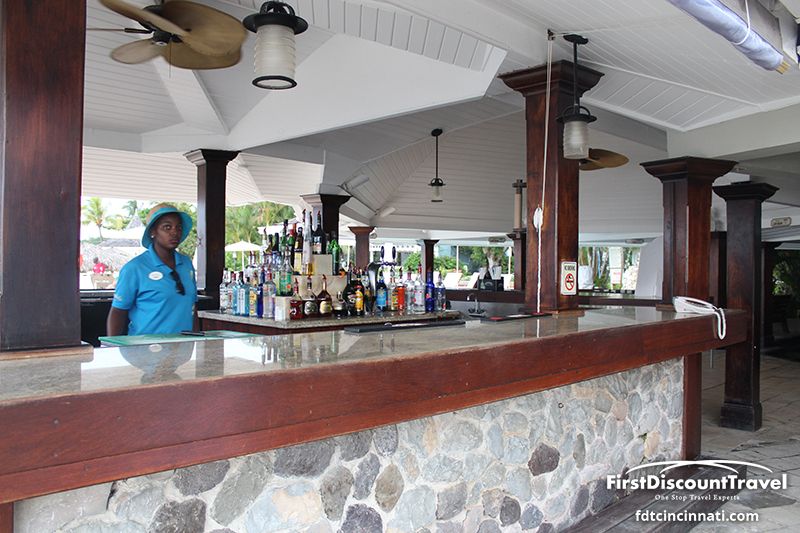 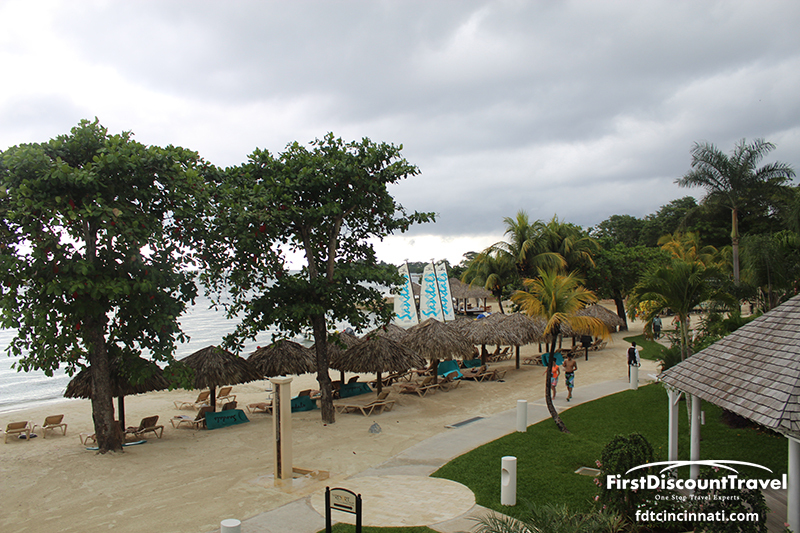 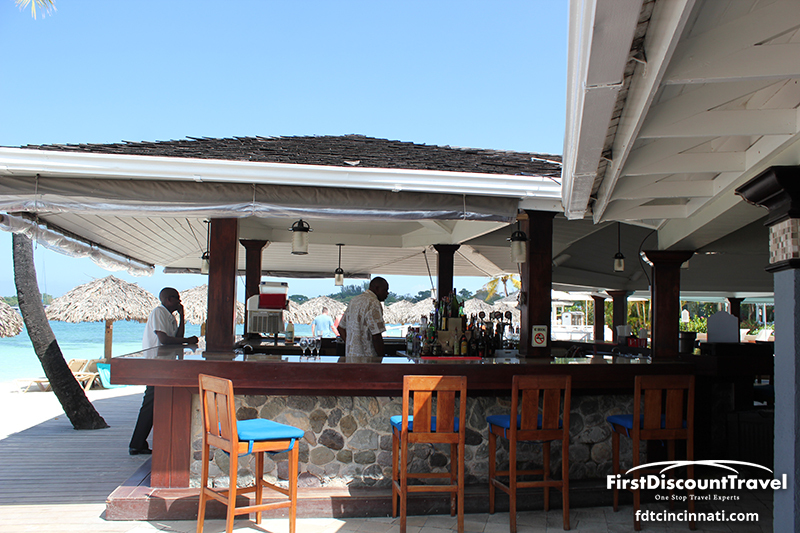 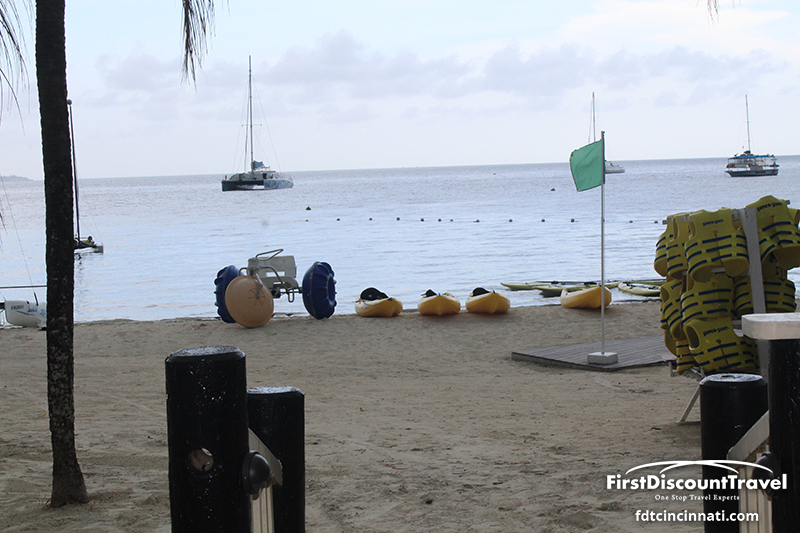 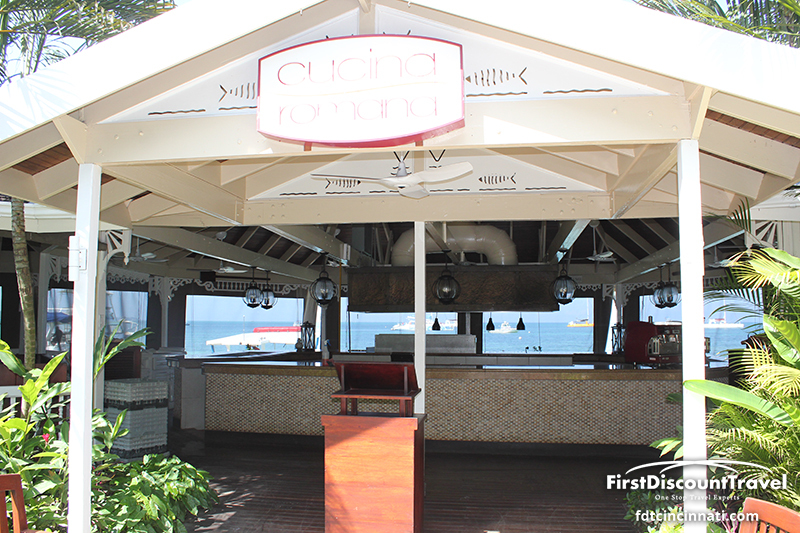 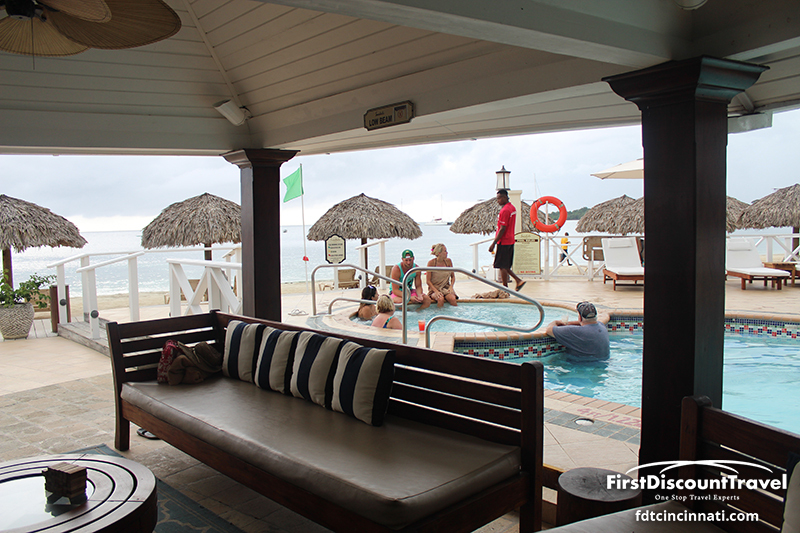 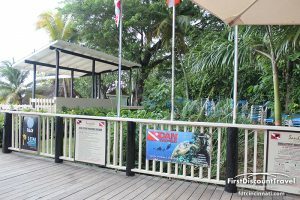 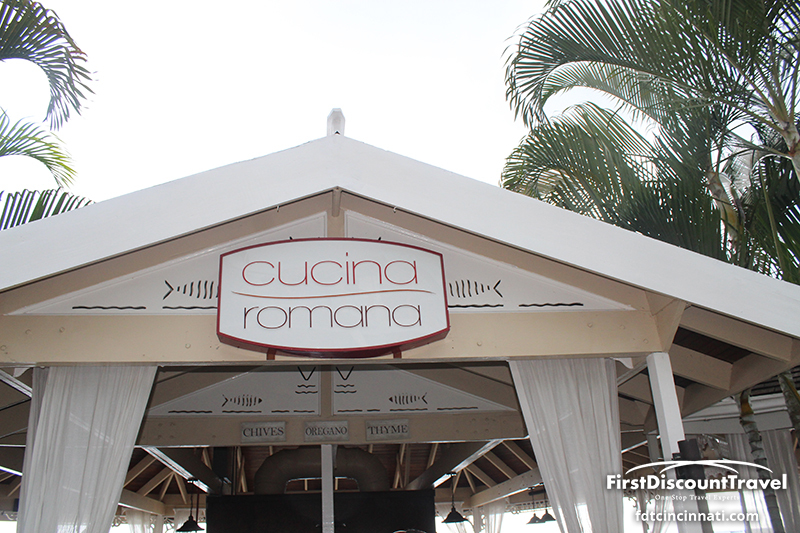 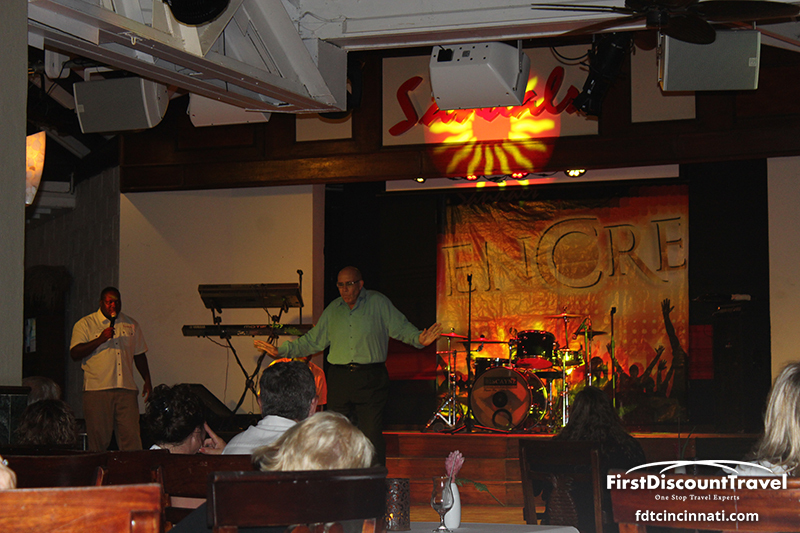 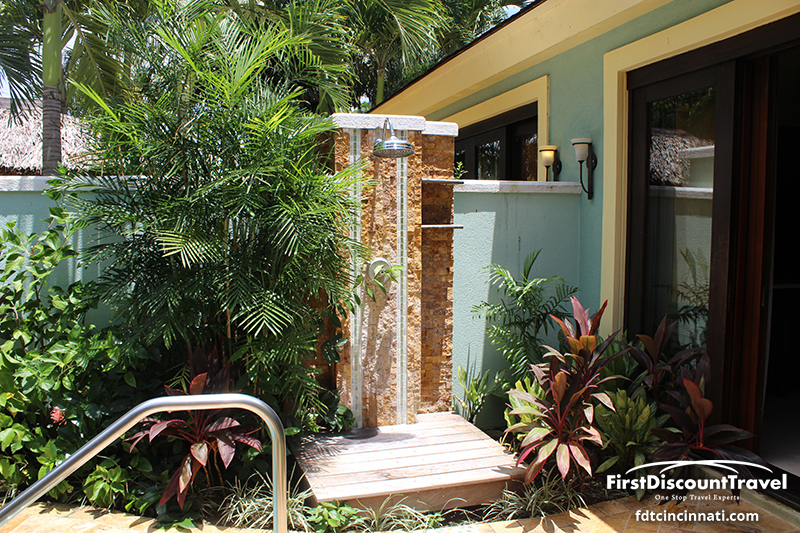 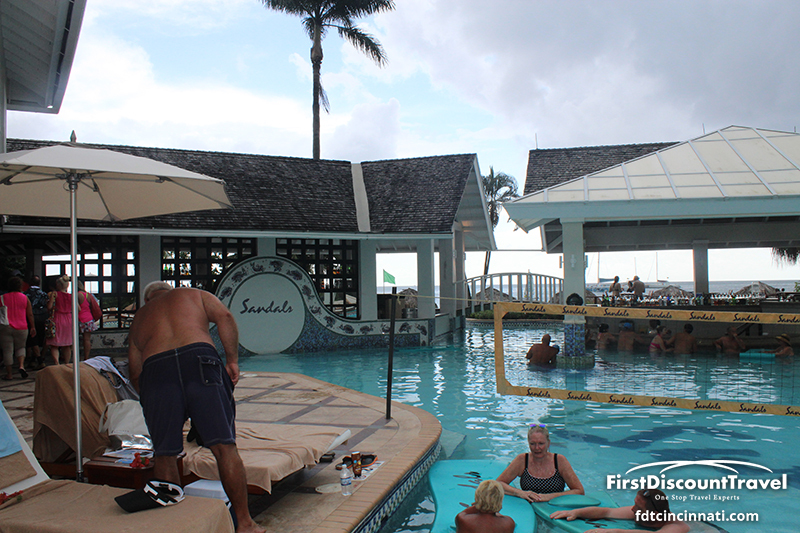 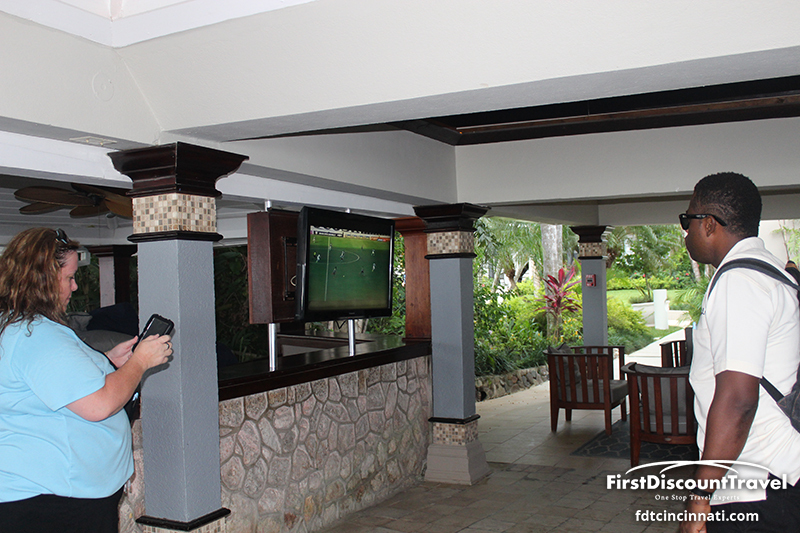 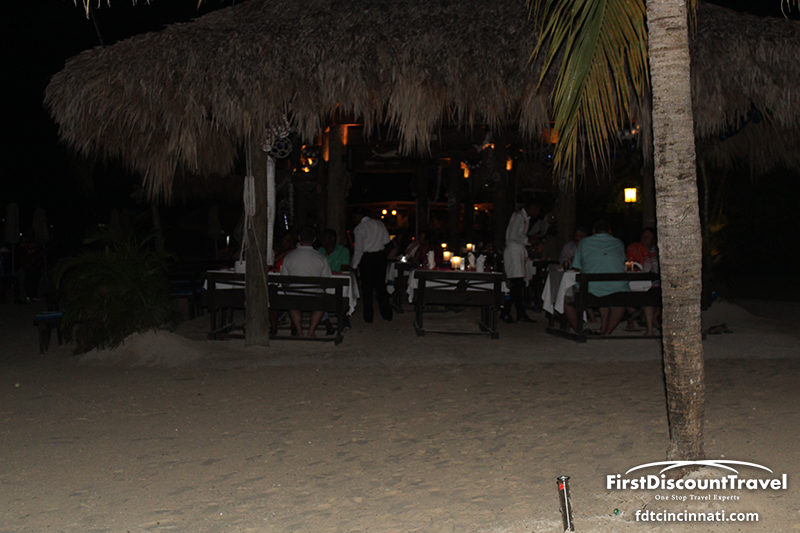 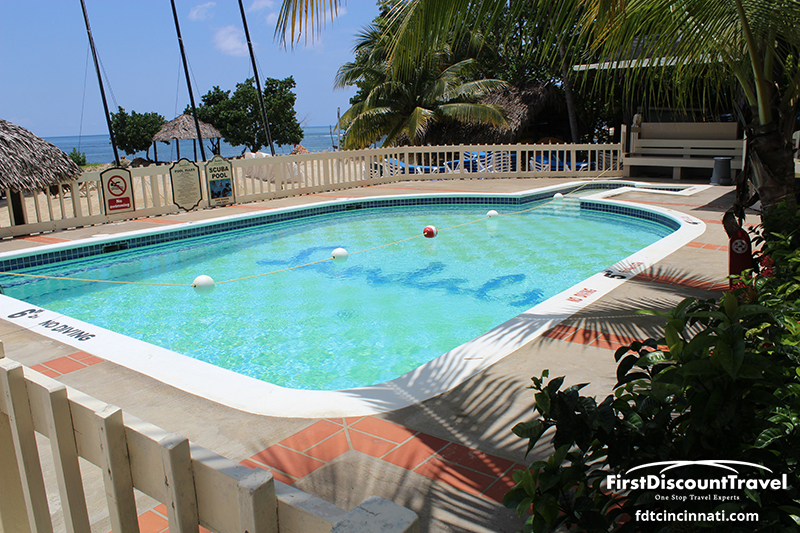 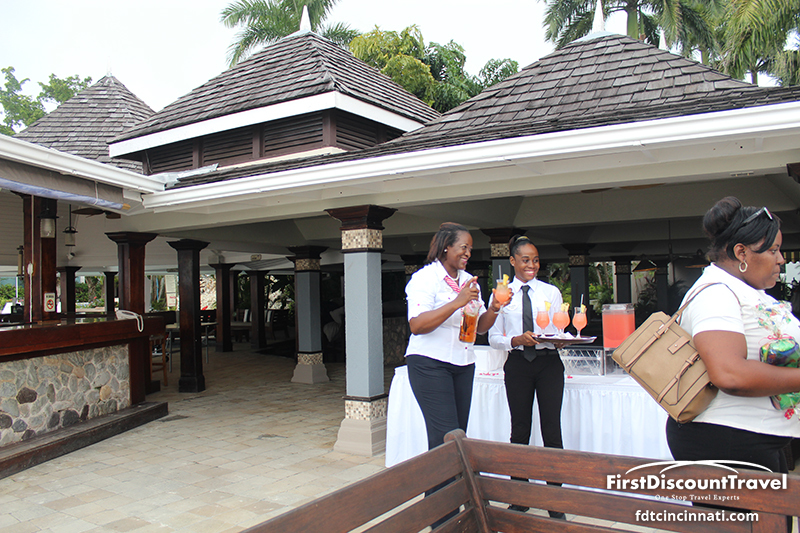 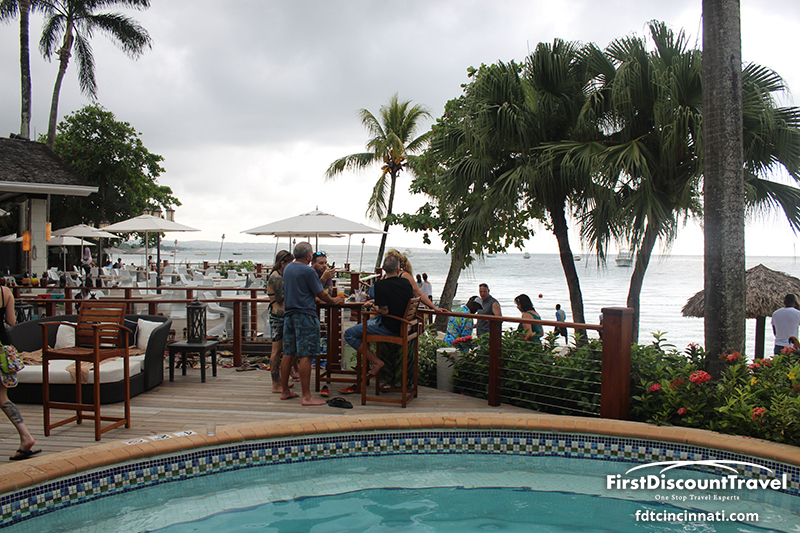 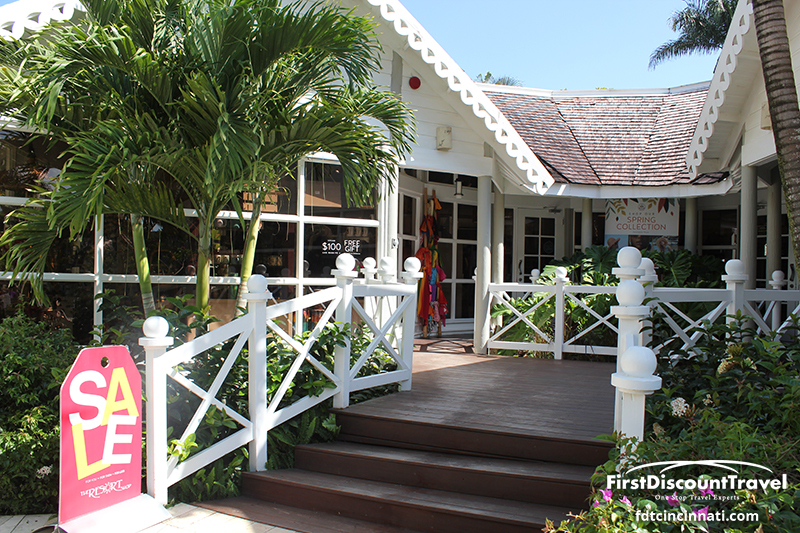 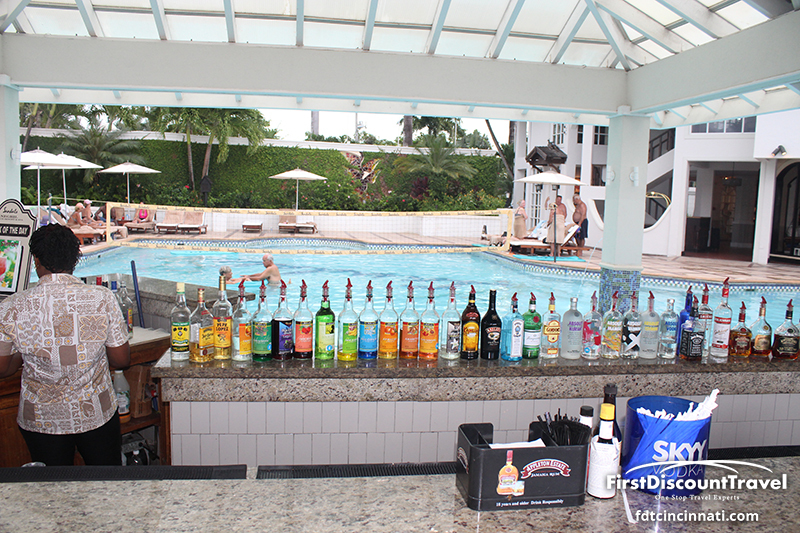 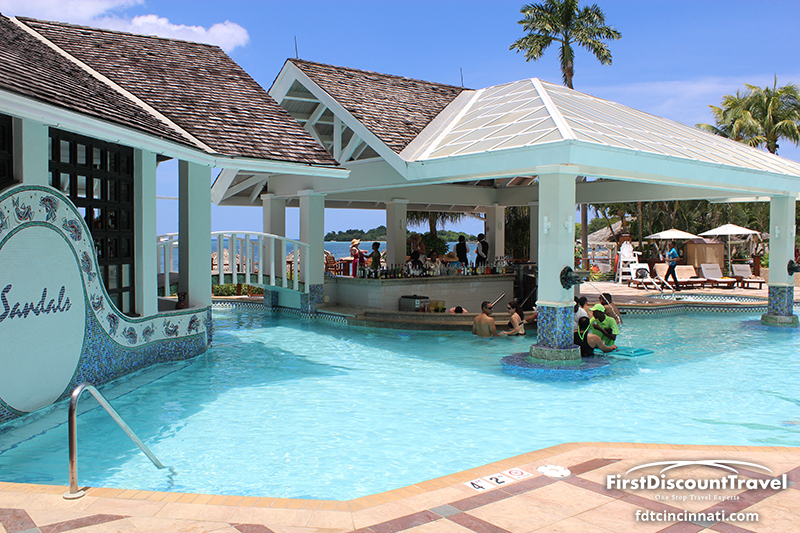 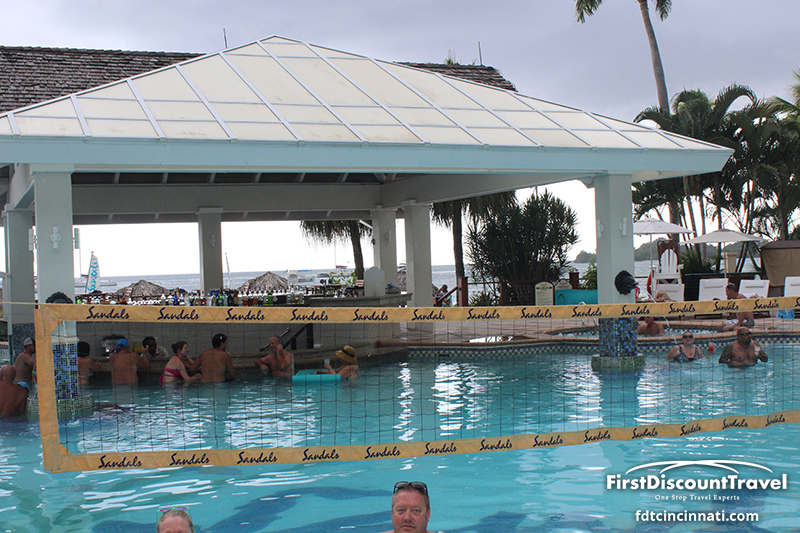 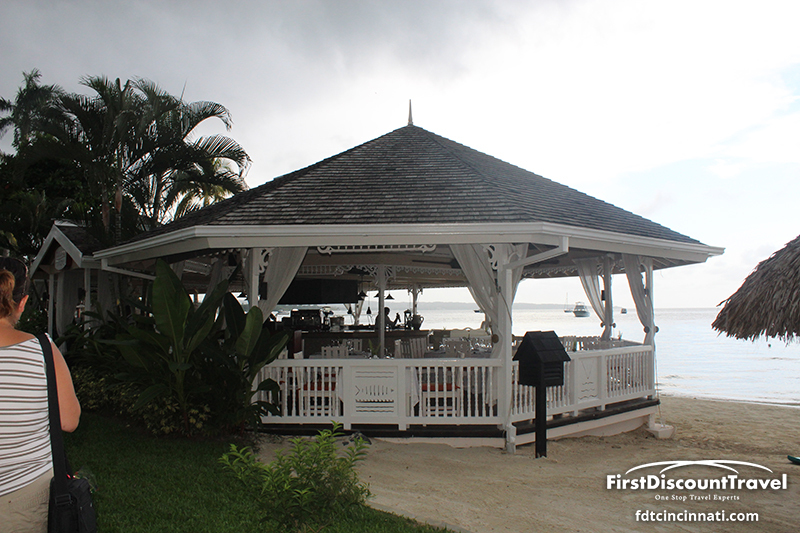 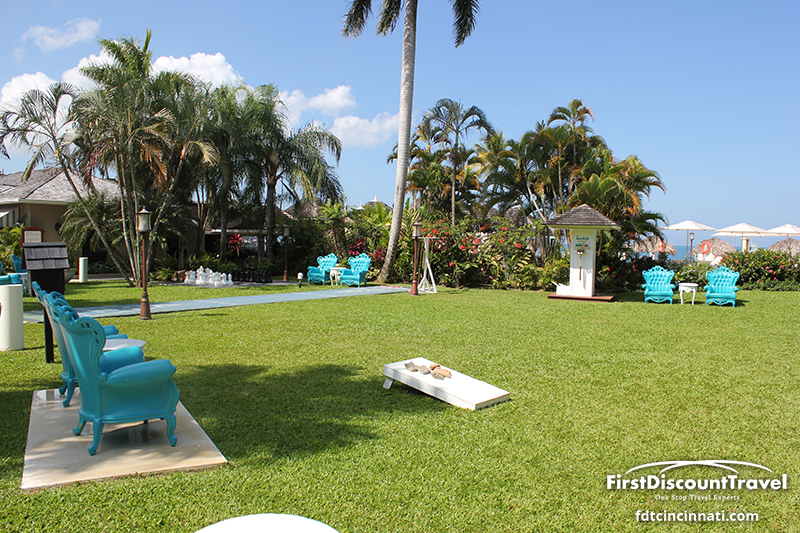 Sandals Negril adapted the Club Sandals concept in June, 2013. 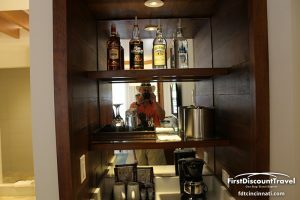 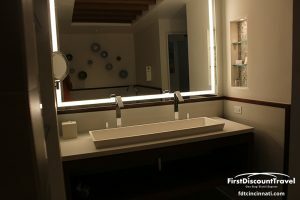 Club Level rooms (formerly concierge) receive private check in, fully stocked in room bar, complimentary WIFI, and 24 hour room service. 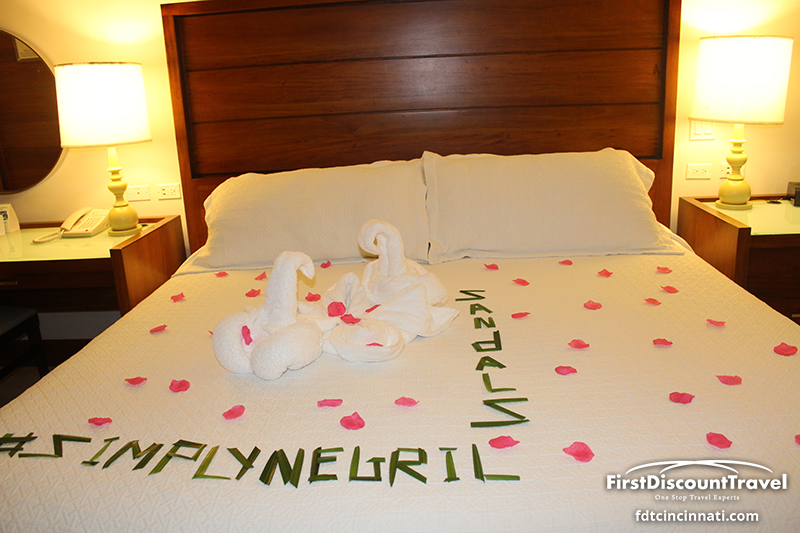 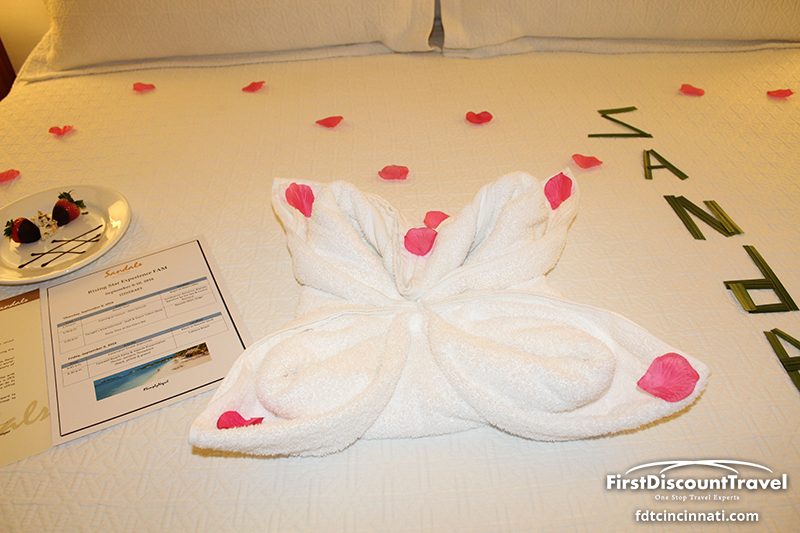 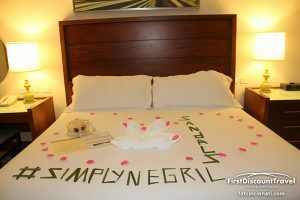 Sandals Negril has several very unique and amazing butler serviced suites. 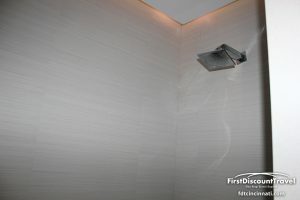 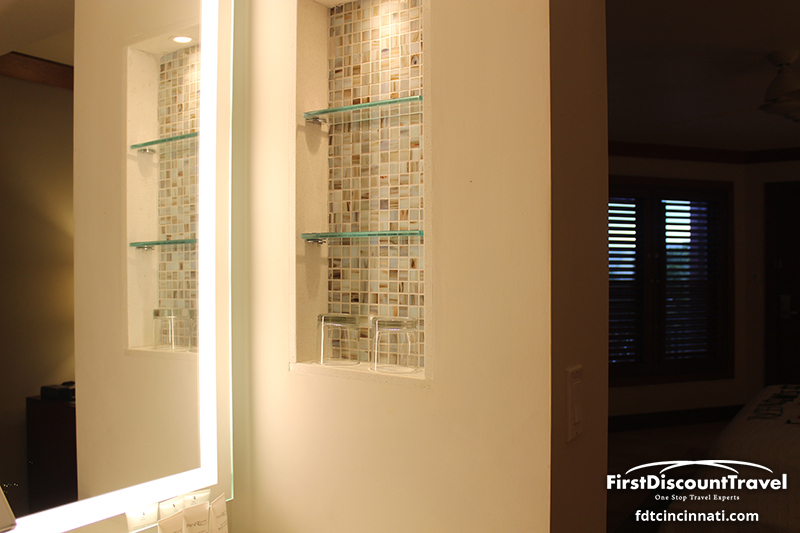 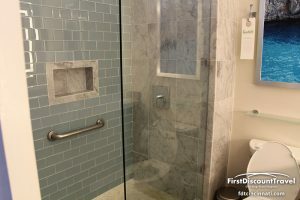 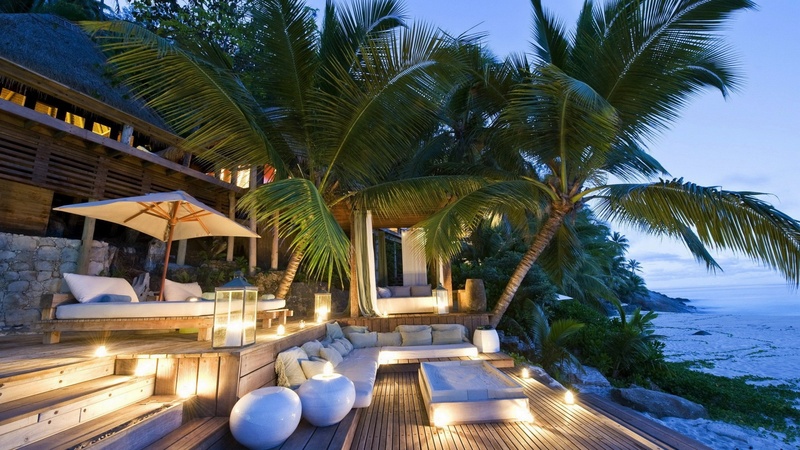 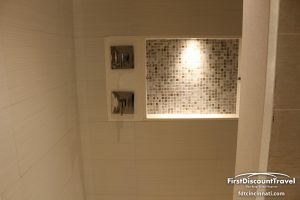 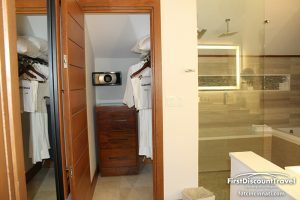 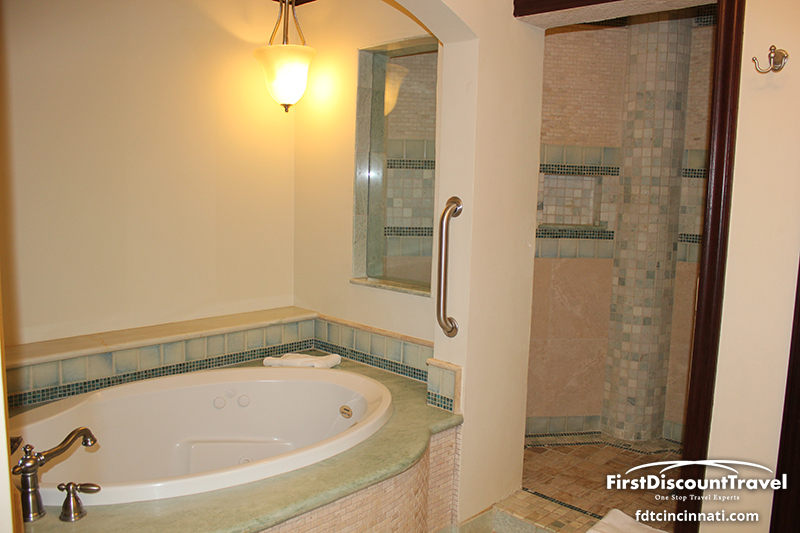 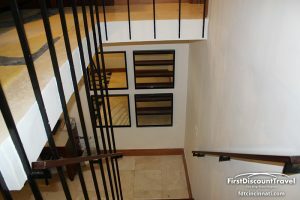 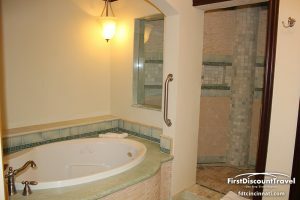 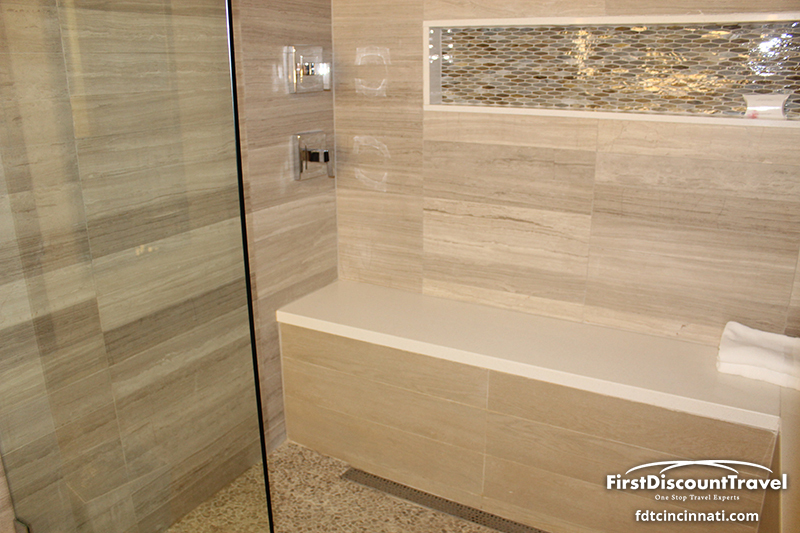 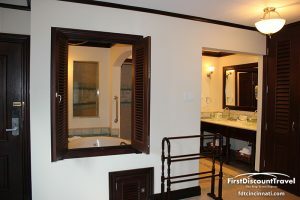 The Millionaire’s Suite (private pool), and 2 story loft suites are among my favorites. 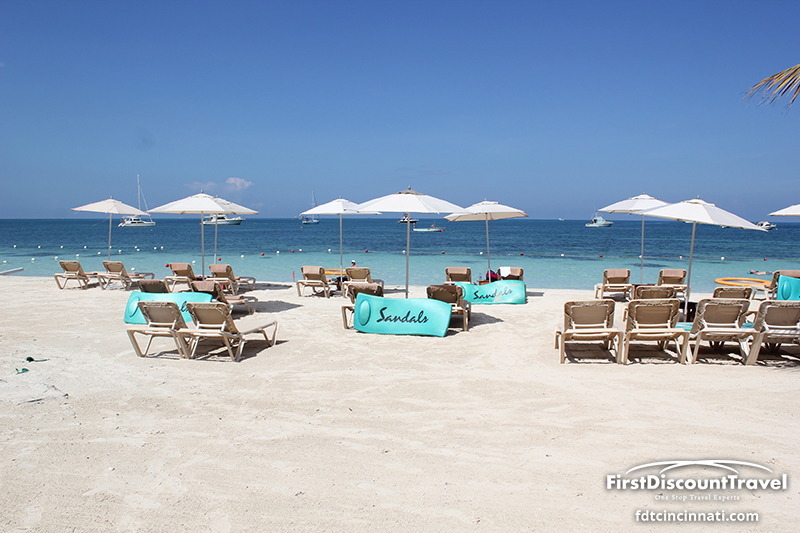 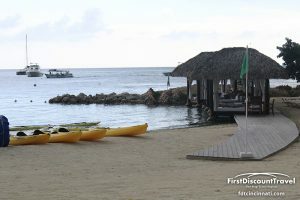 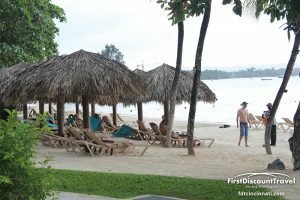 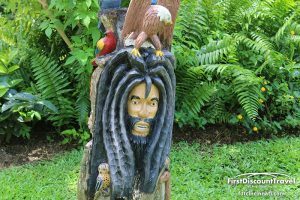 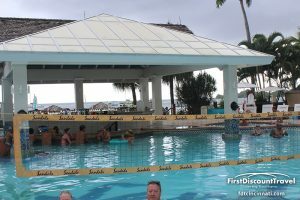 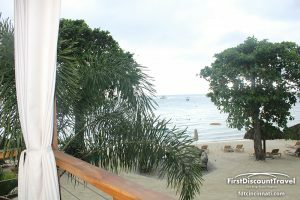 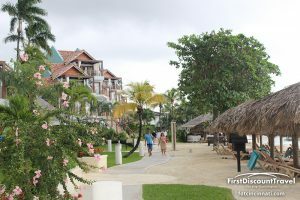 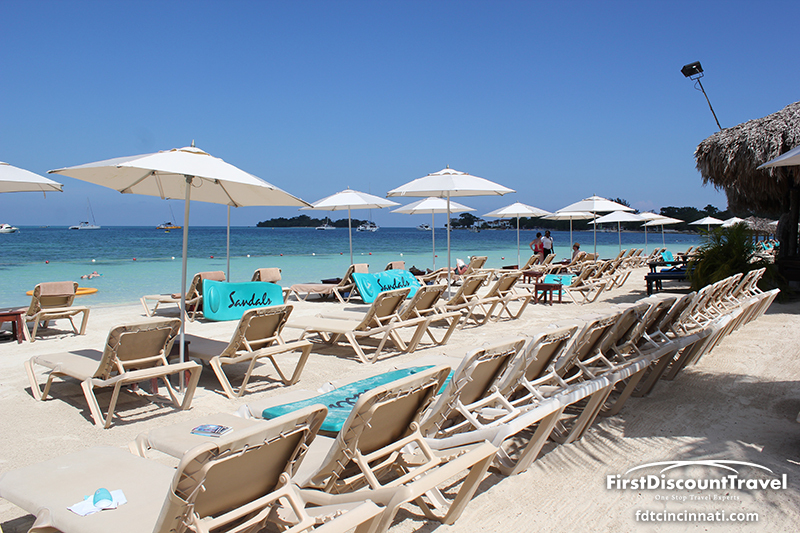 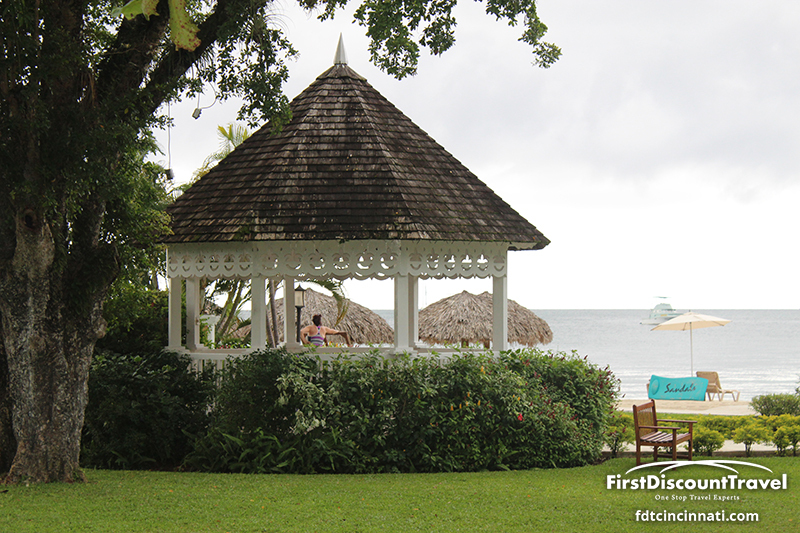 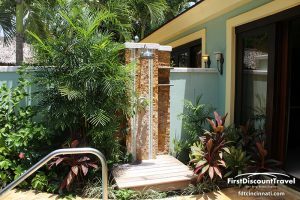 Overall, Sandals Negril is the quintessential beach bum resort. 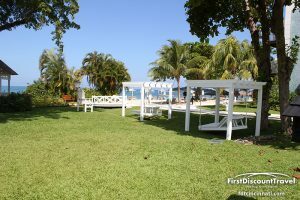 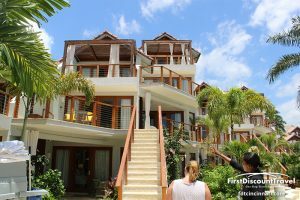 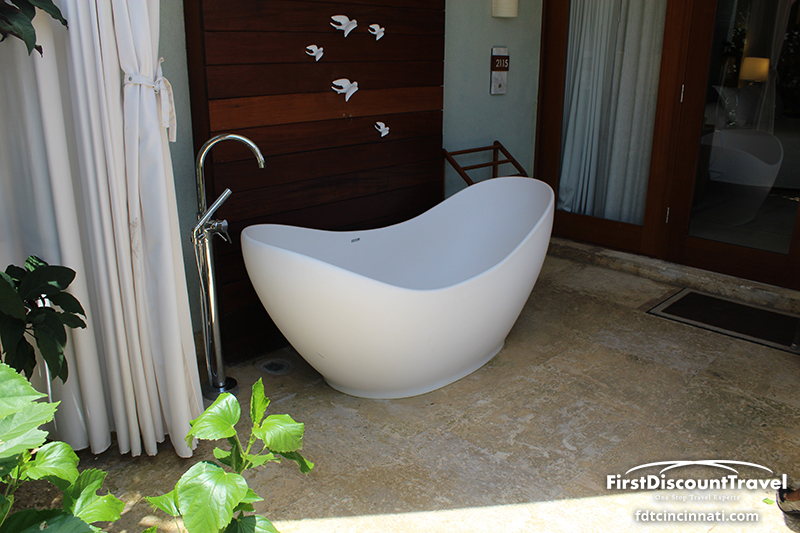 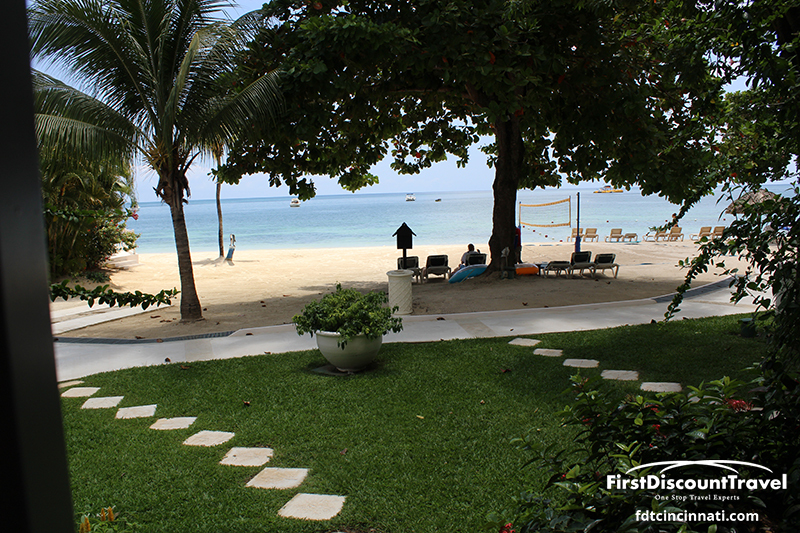 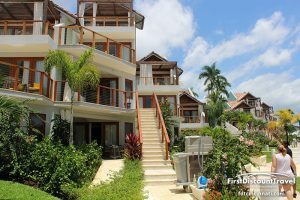 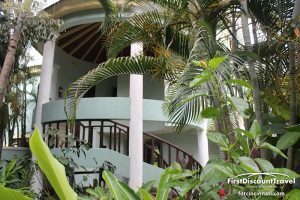 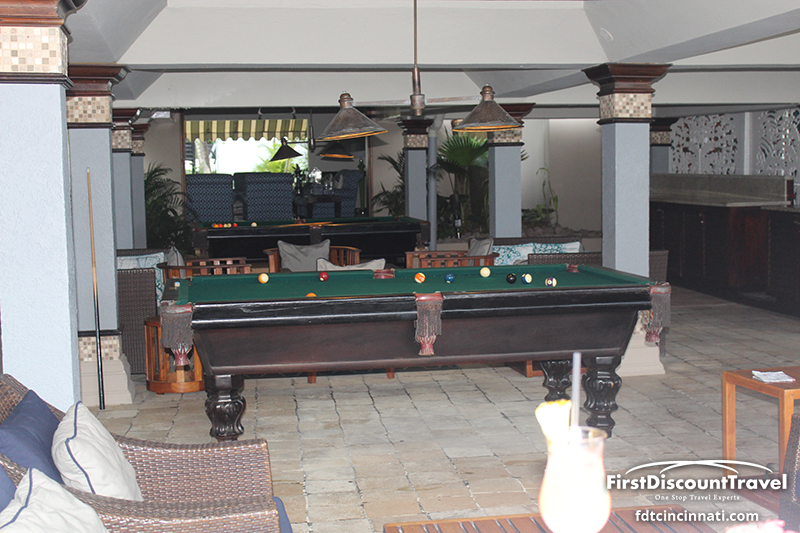 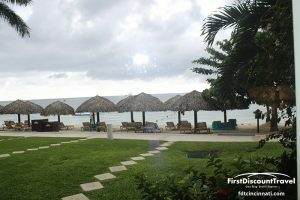 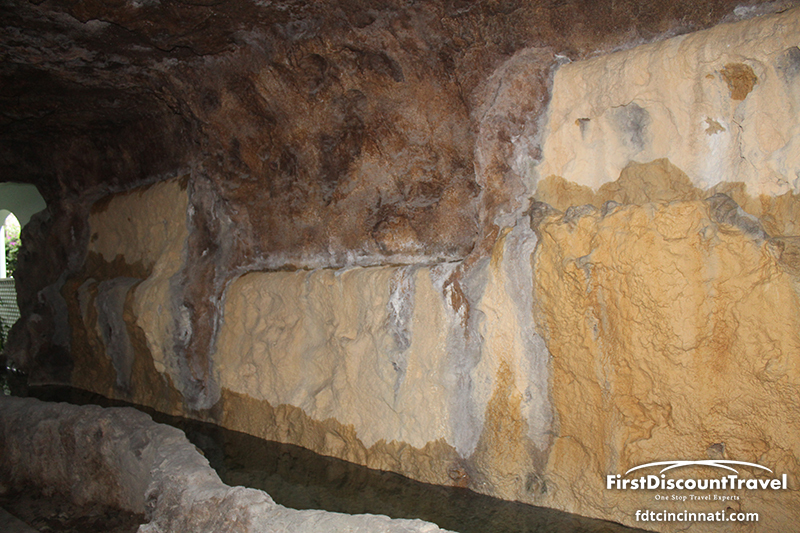 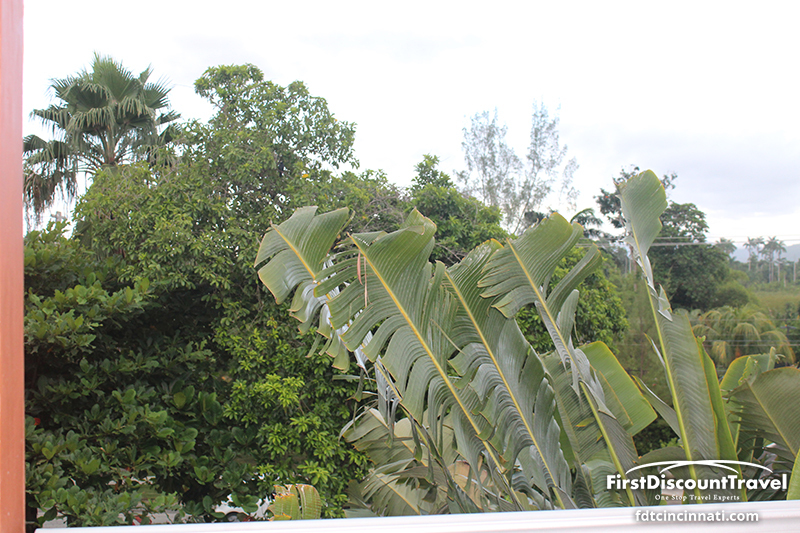 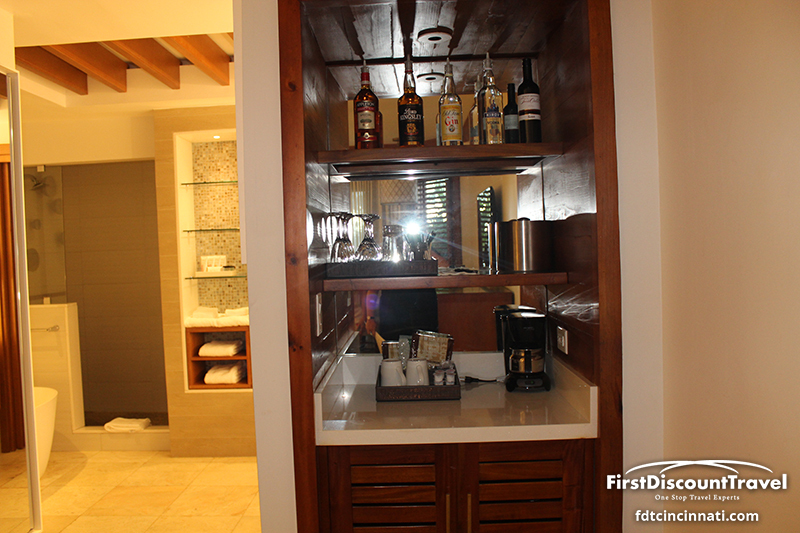 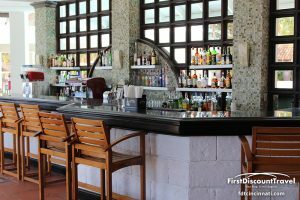 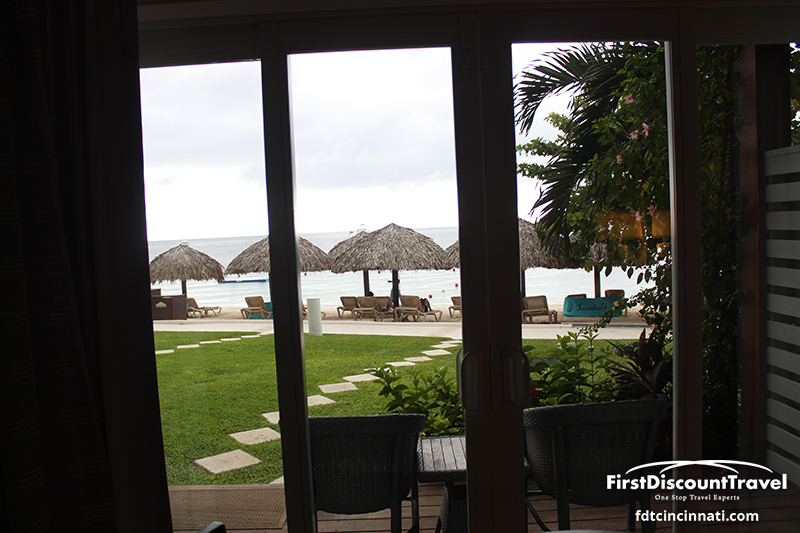 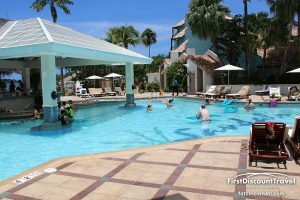 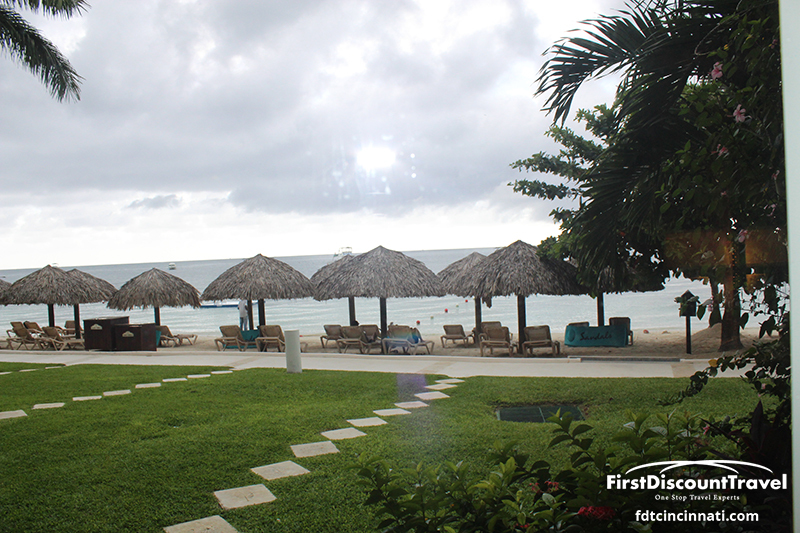 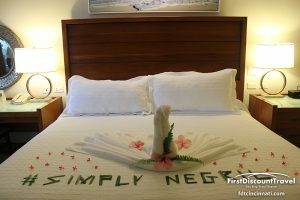 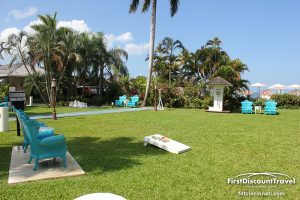 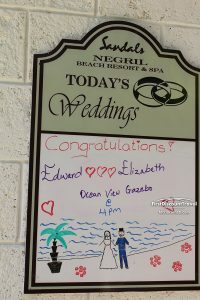 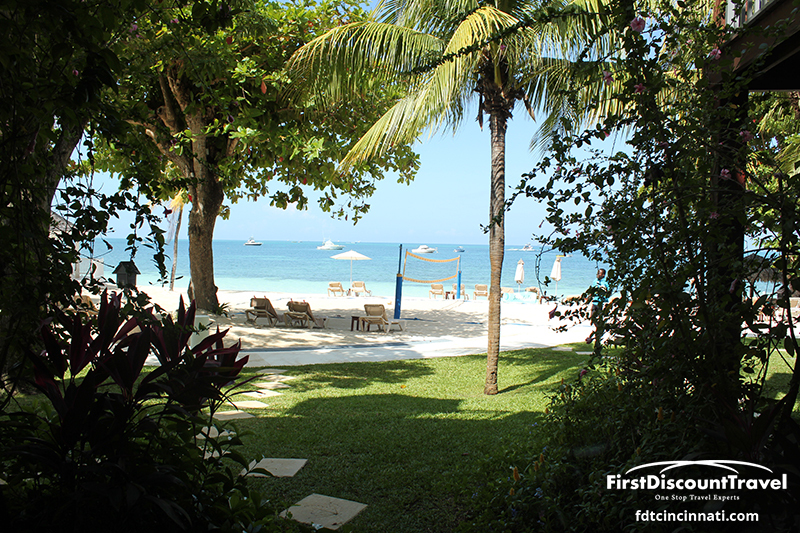 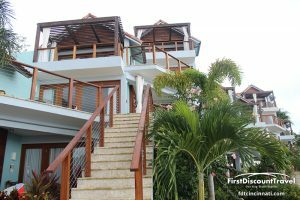 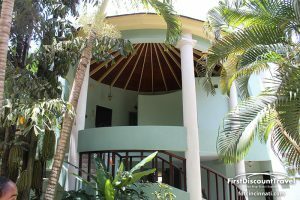 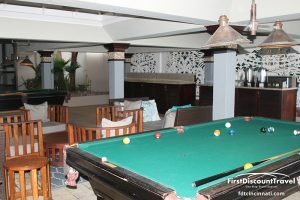 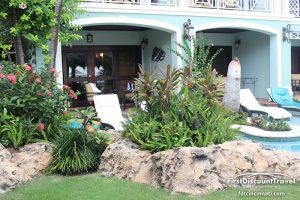 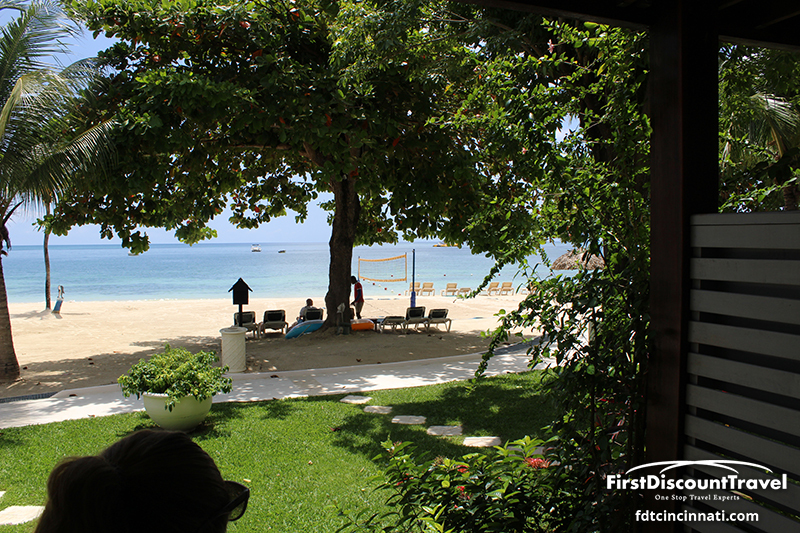 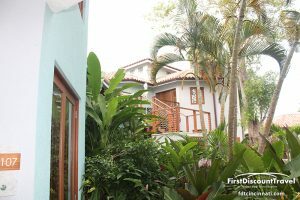 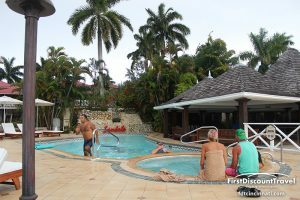 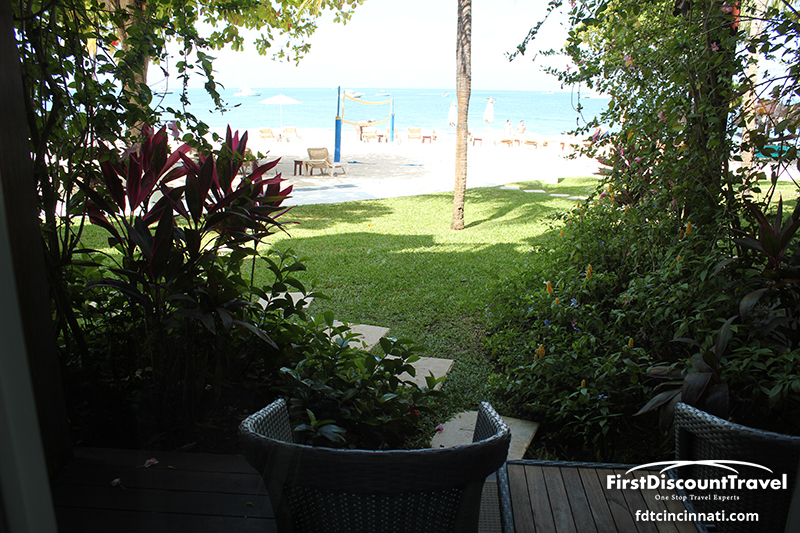 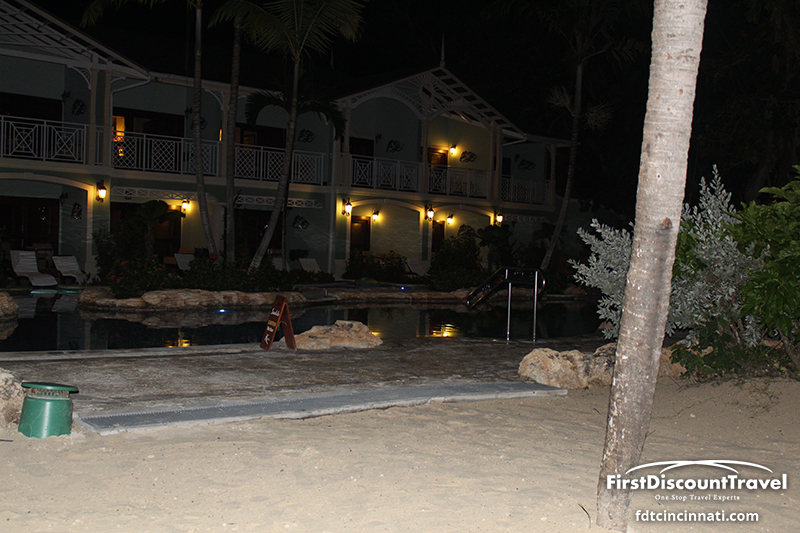 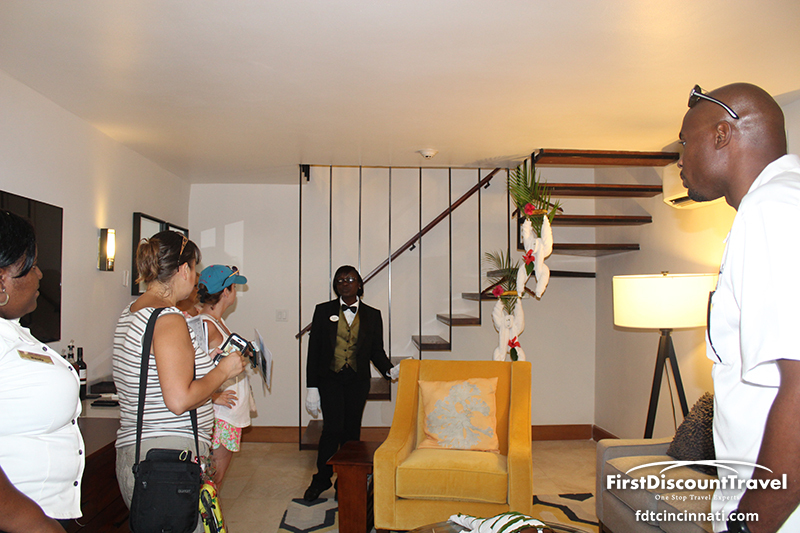 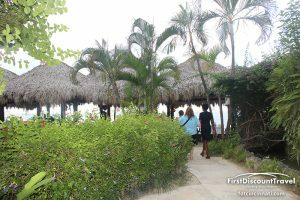 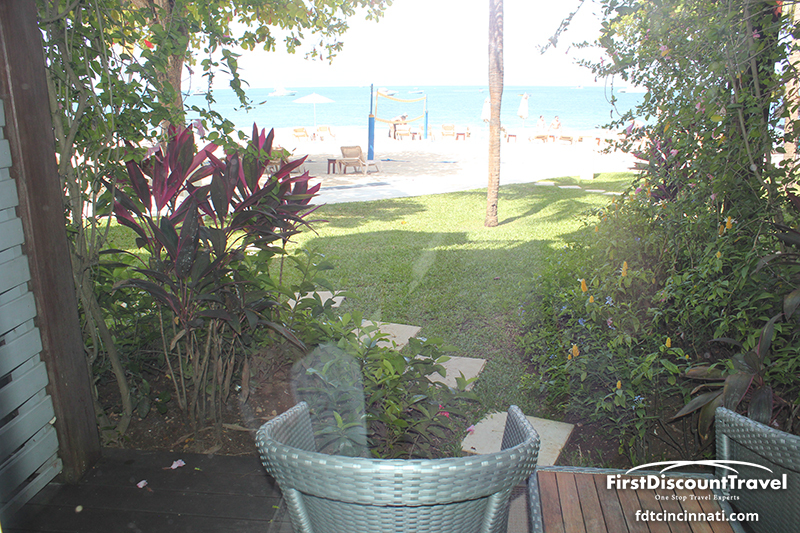 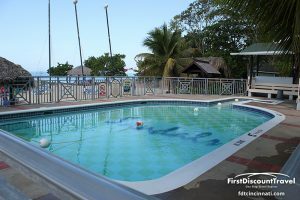 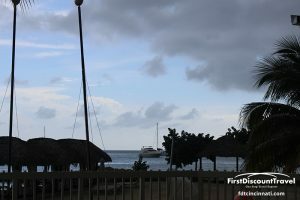 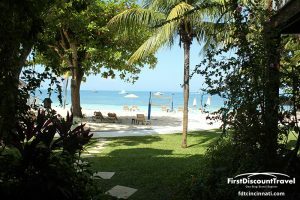 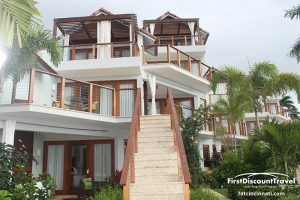 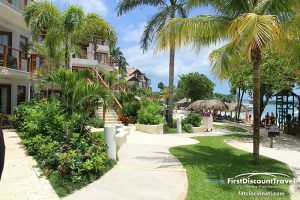 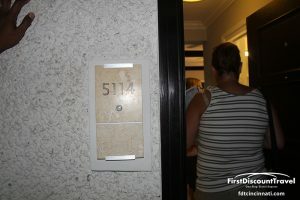 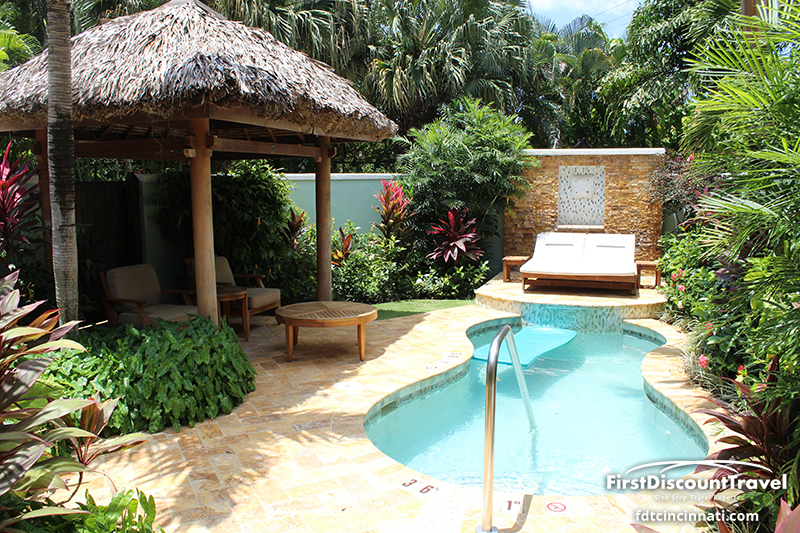 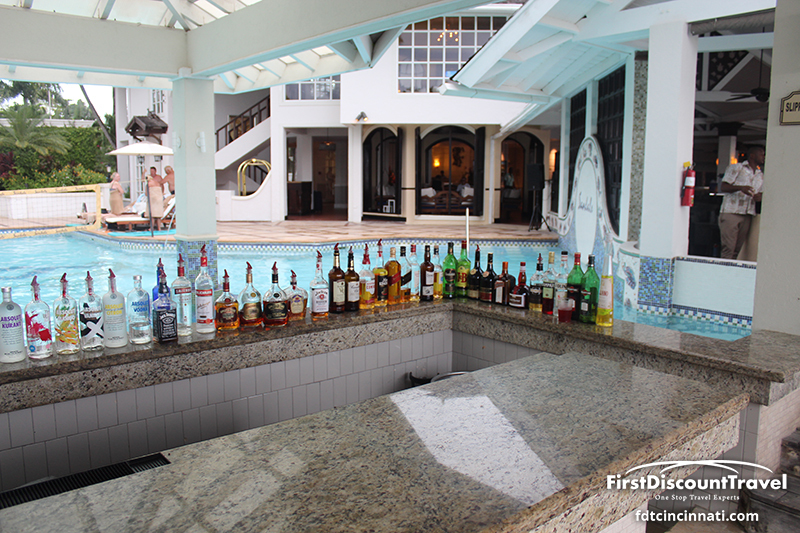 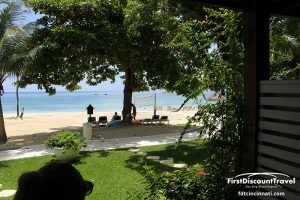 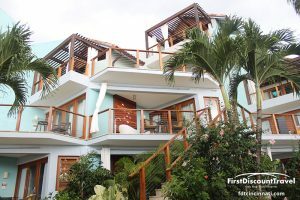 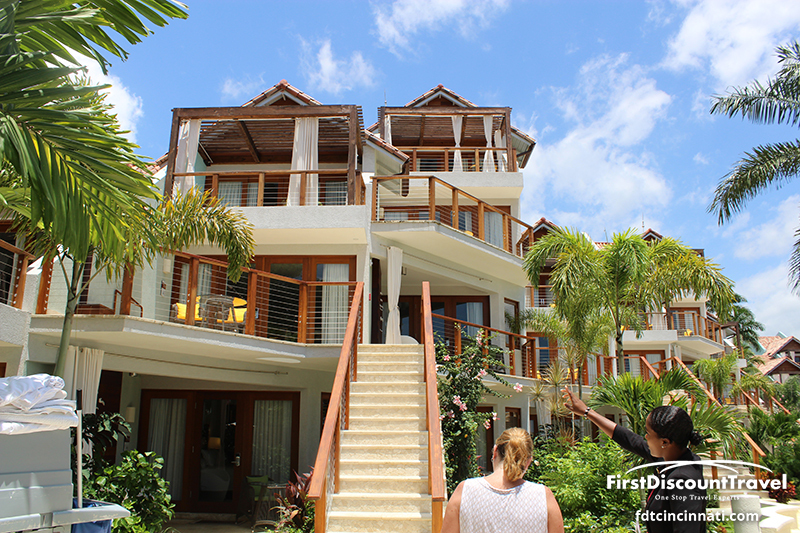 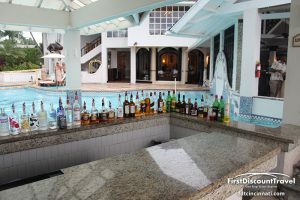 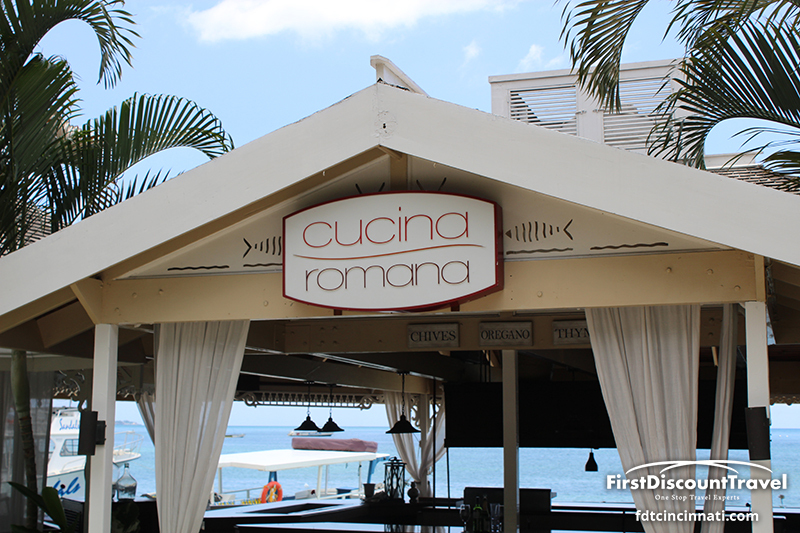 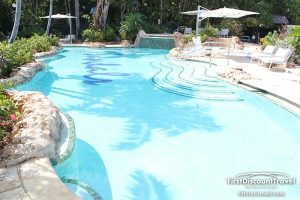 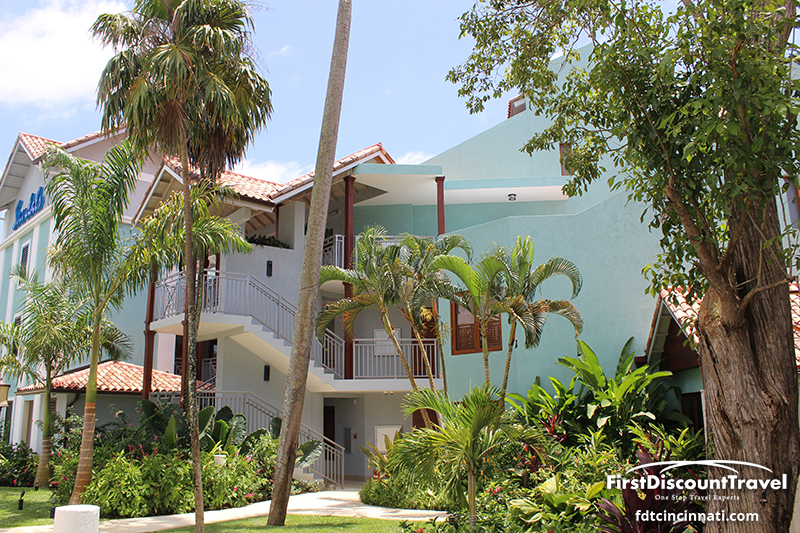 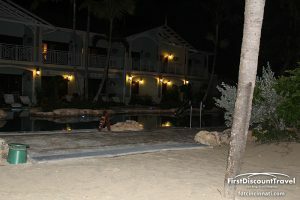 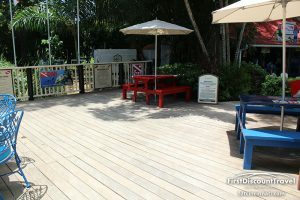 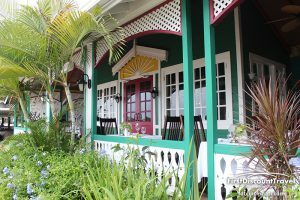 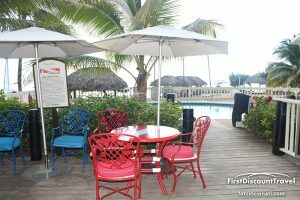 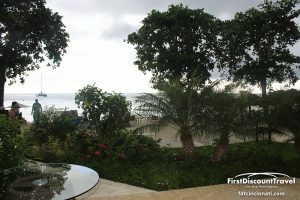 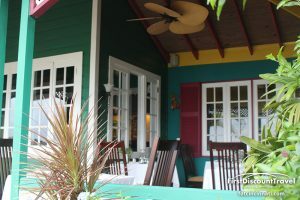 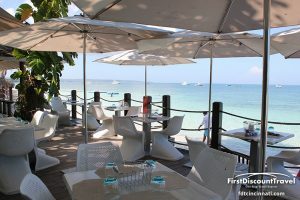 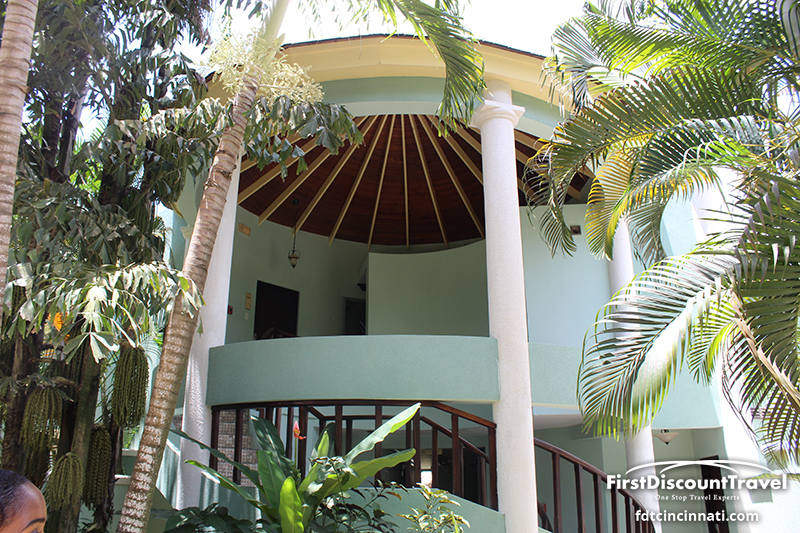 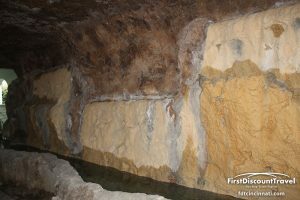 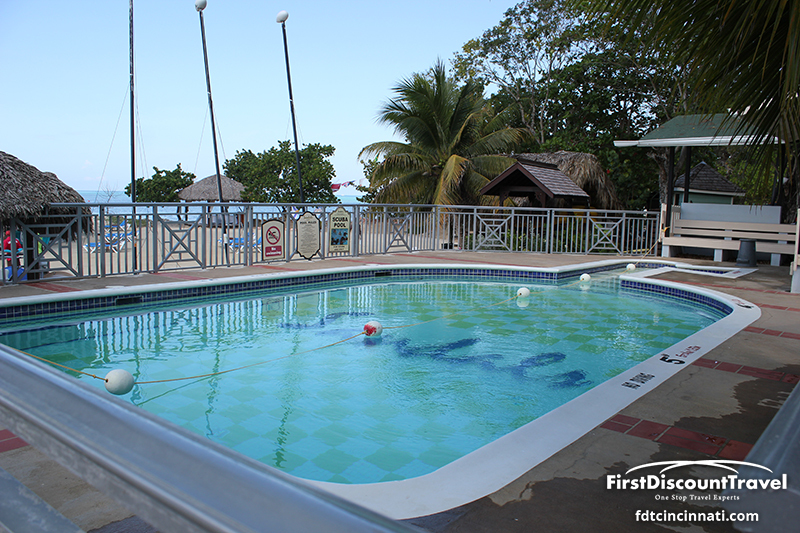 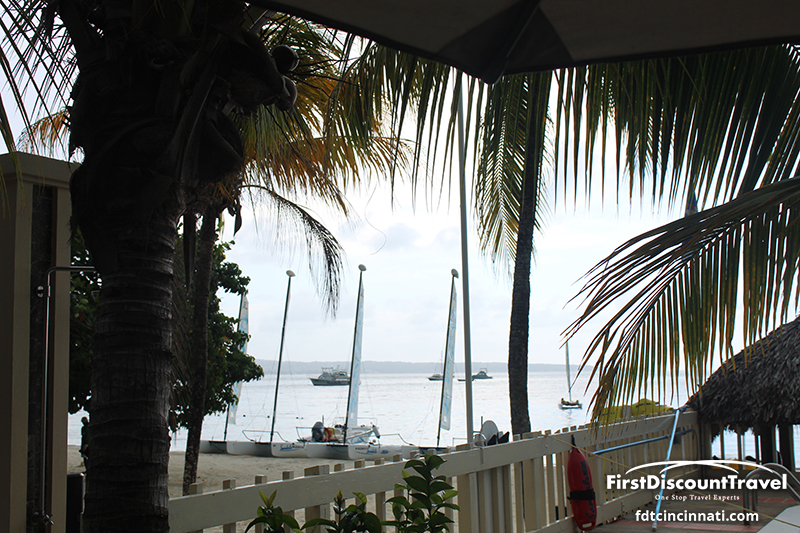 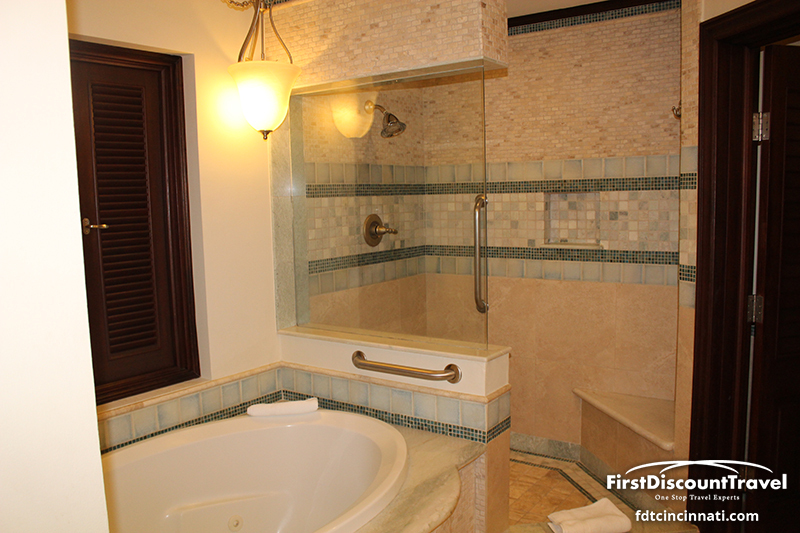 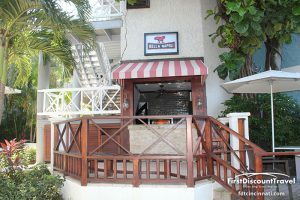 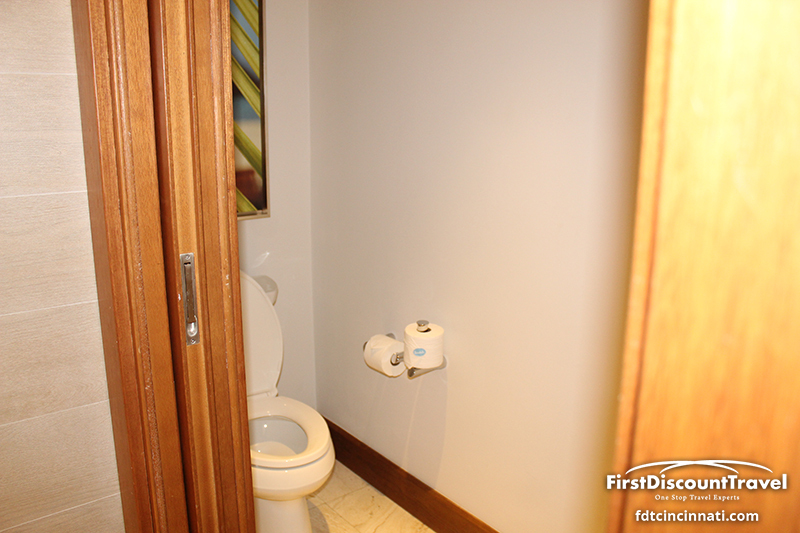 It is small (222 rooms), has an amazing beach, and has quick access to the iconic beach bars of Negril. 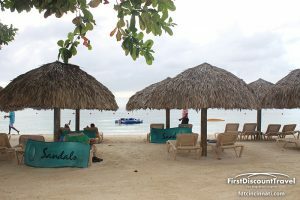 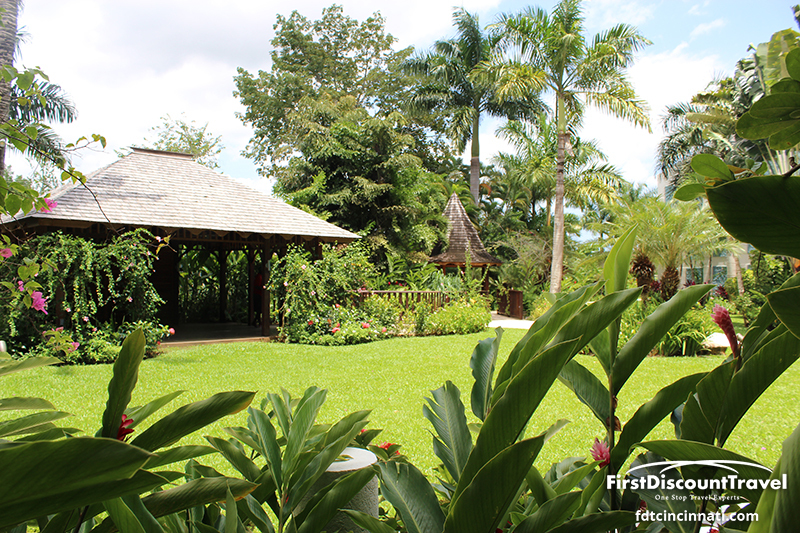 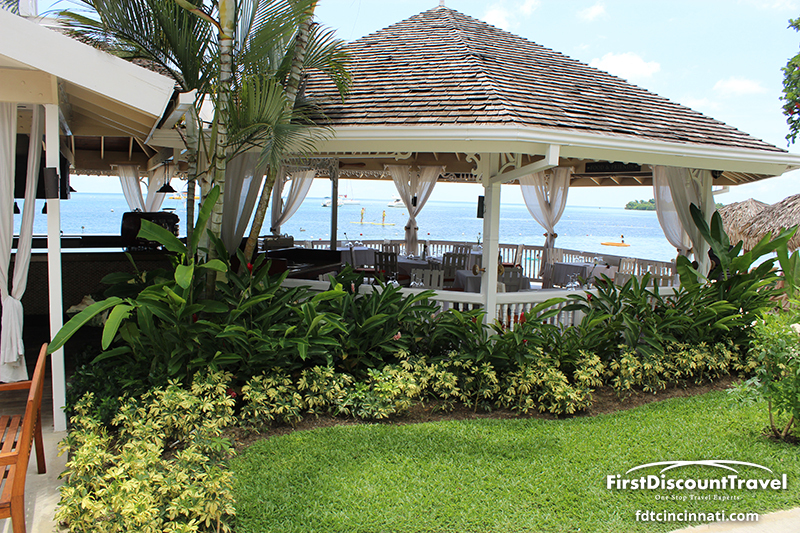 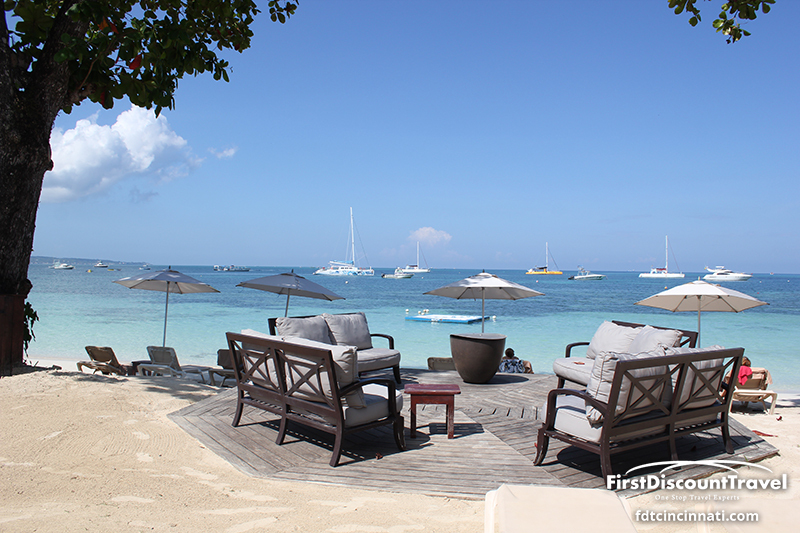 There is very little wow factor at Sandals Negril. 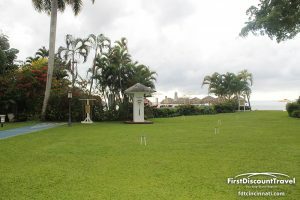 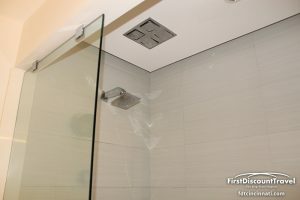 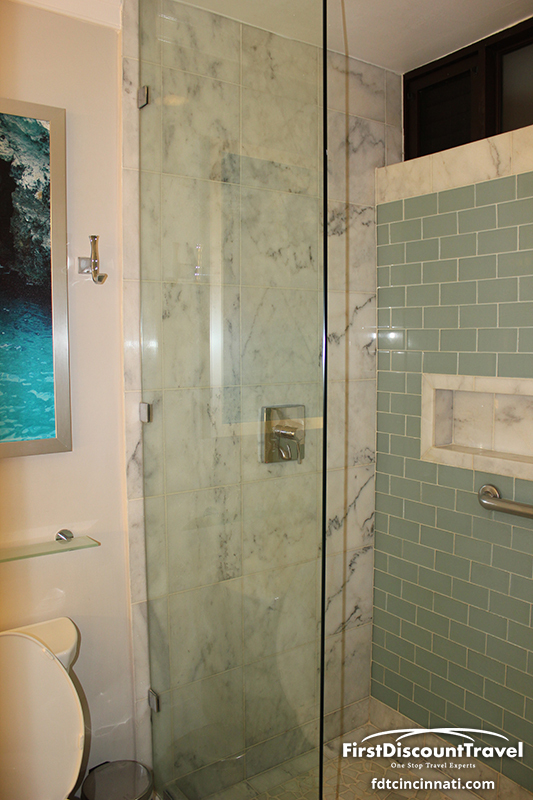 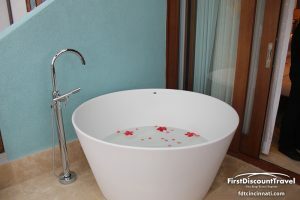 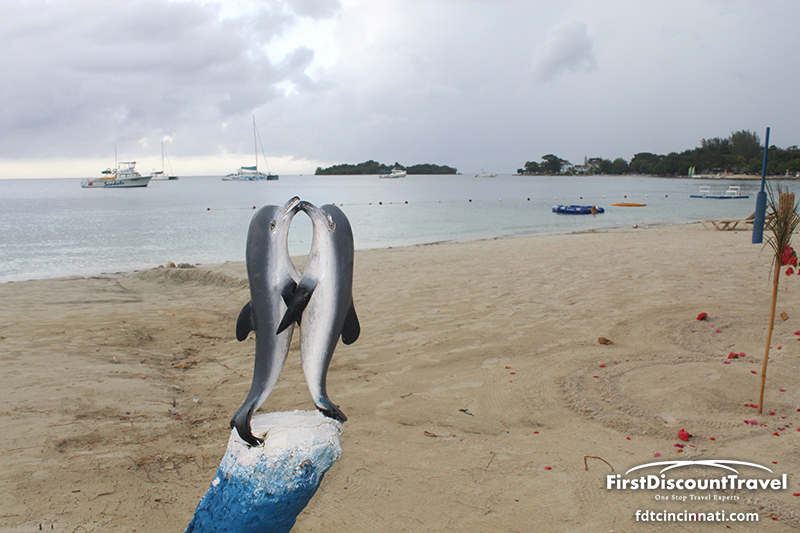 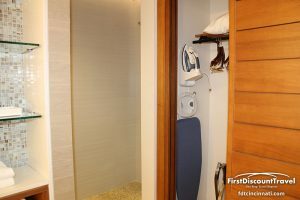 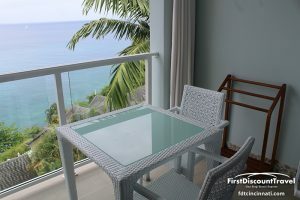 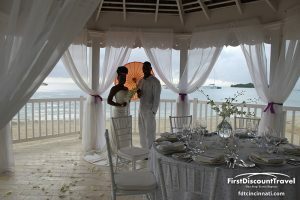 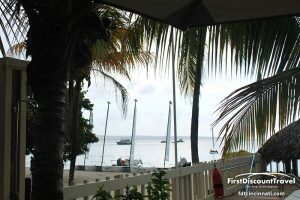 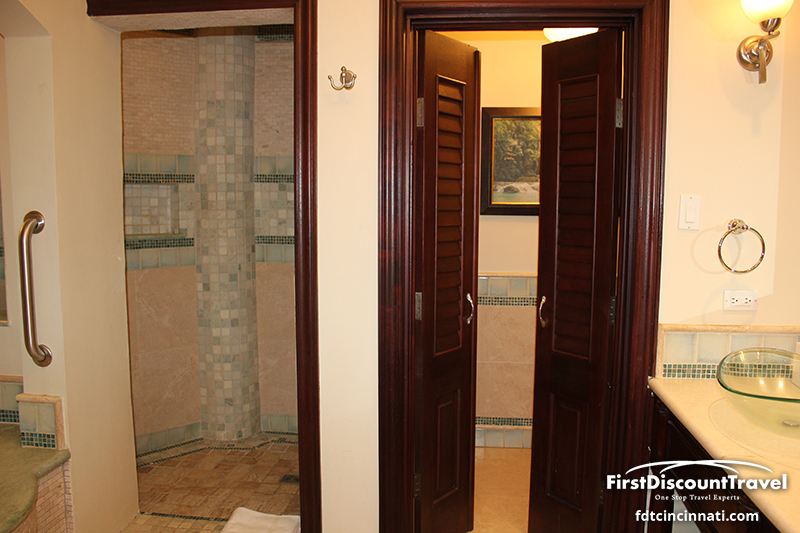 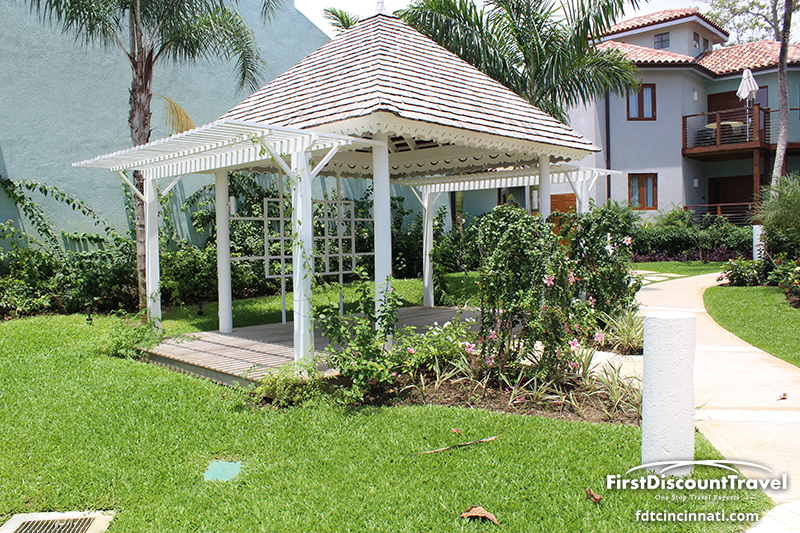 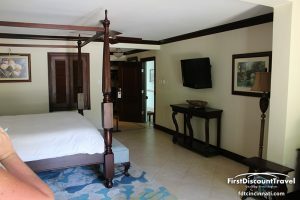 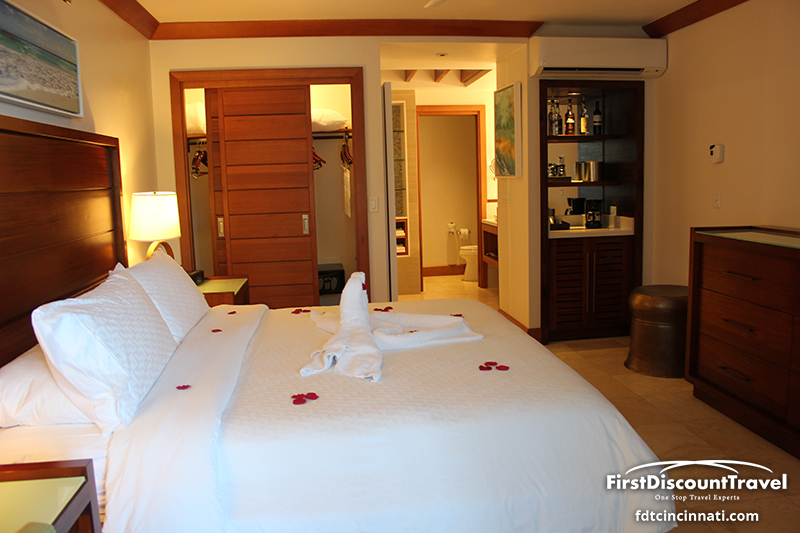 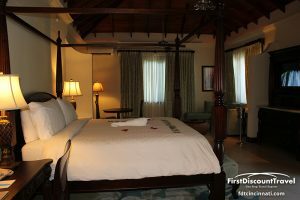 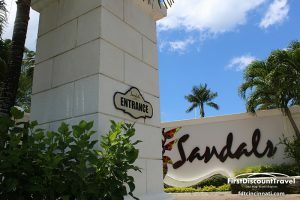 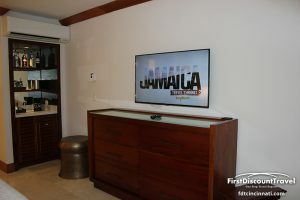 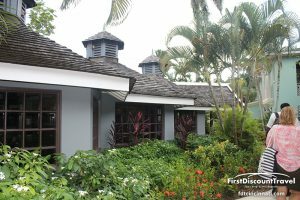 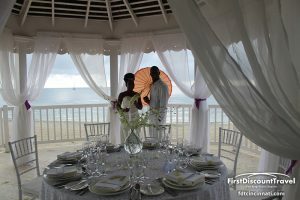 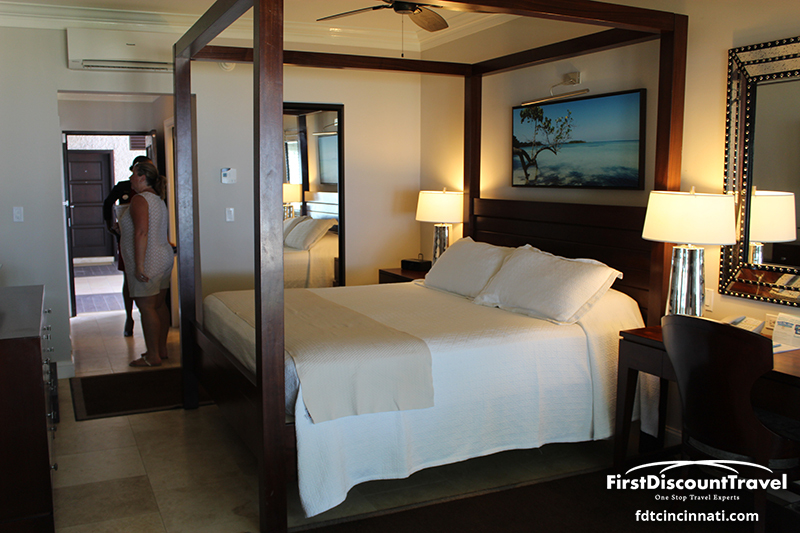 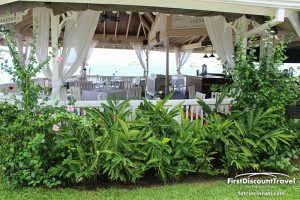 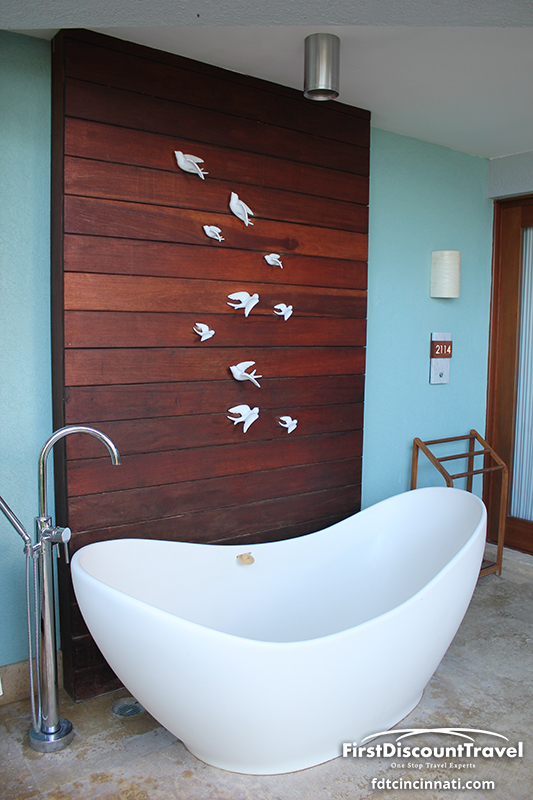 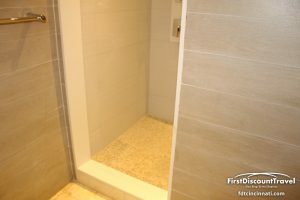 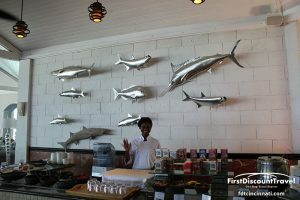 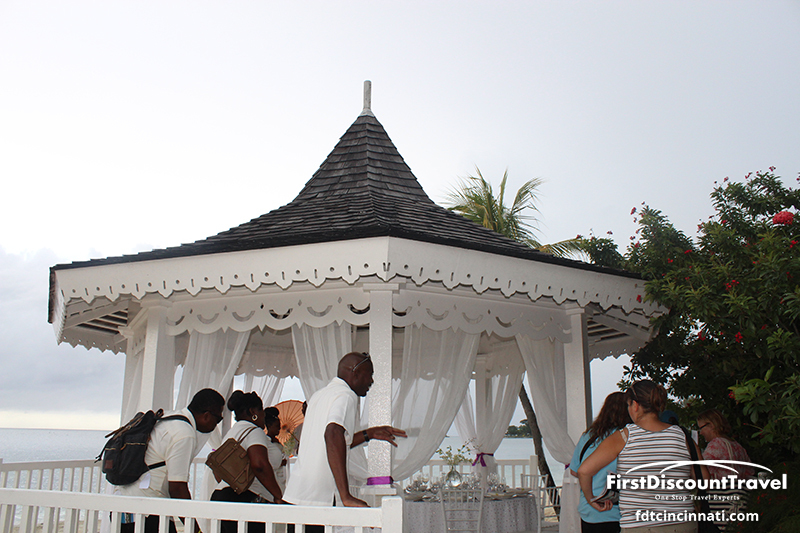 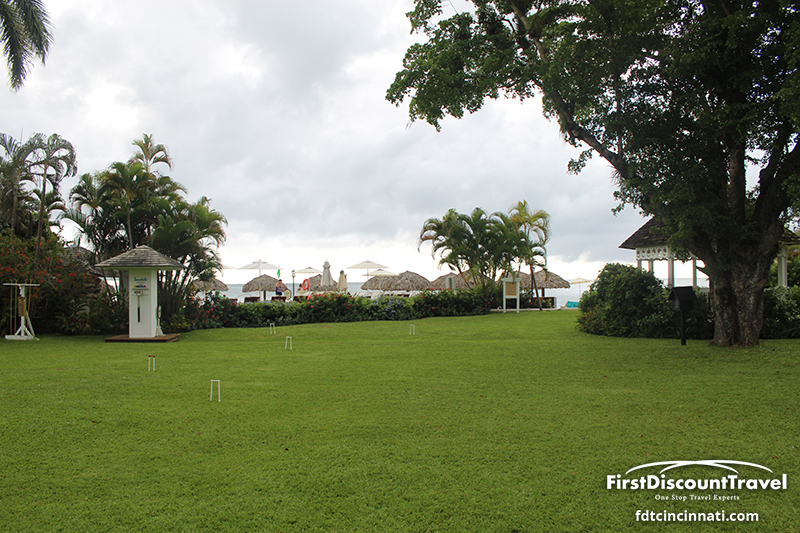 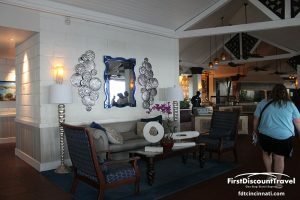 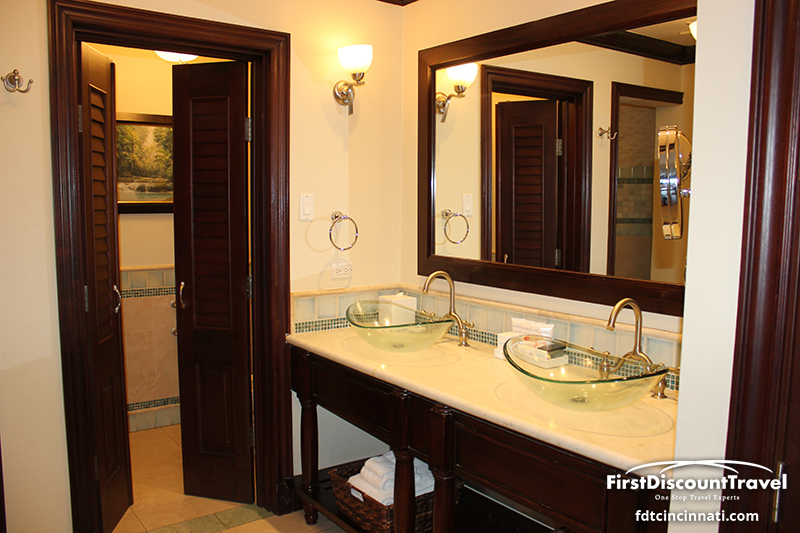 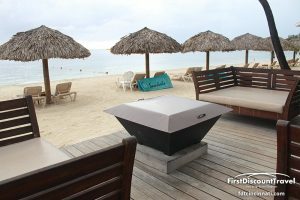 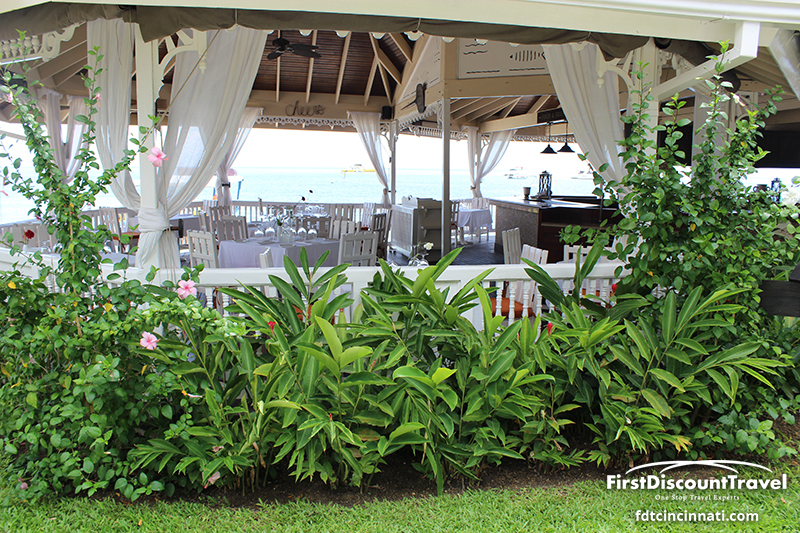 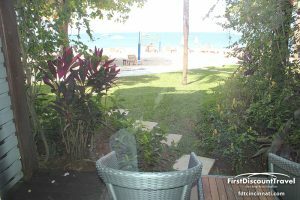 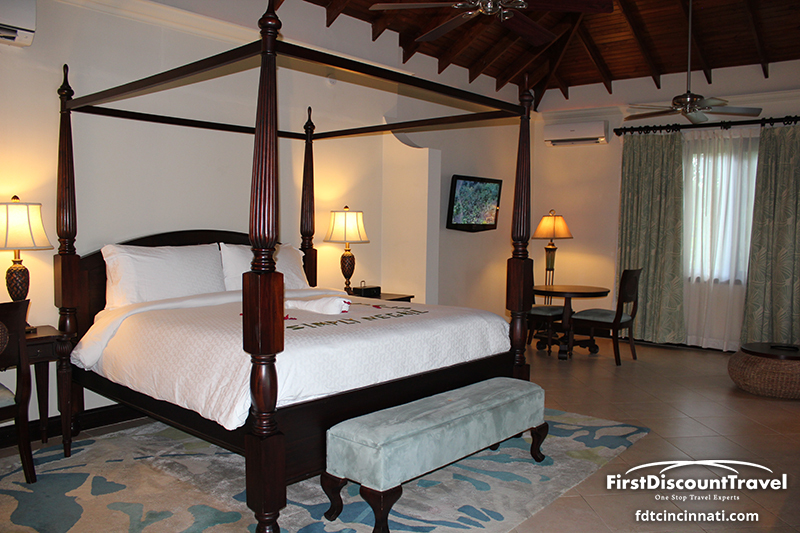 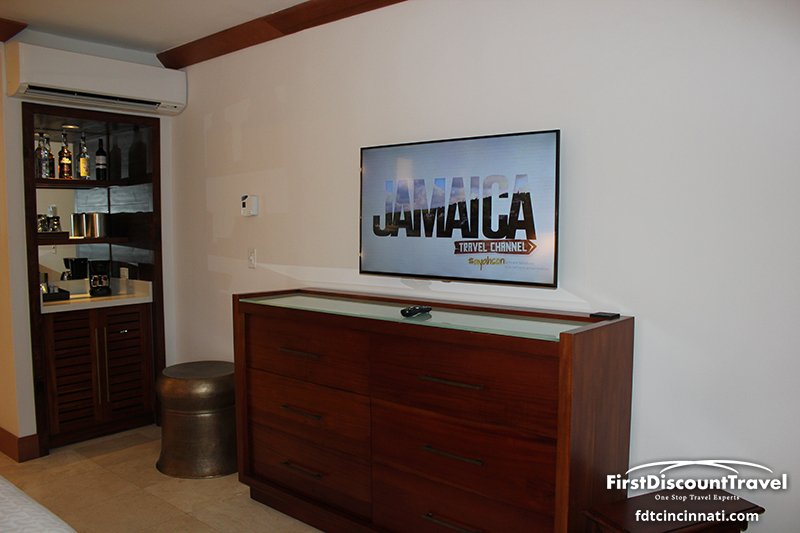 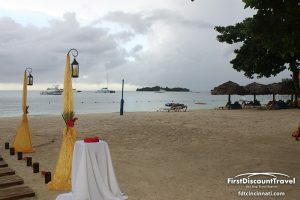 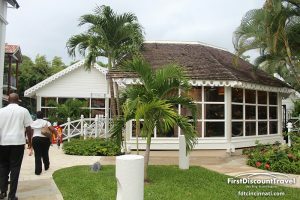 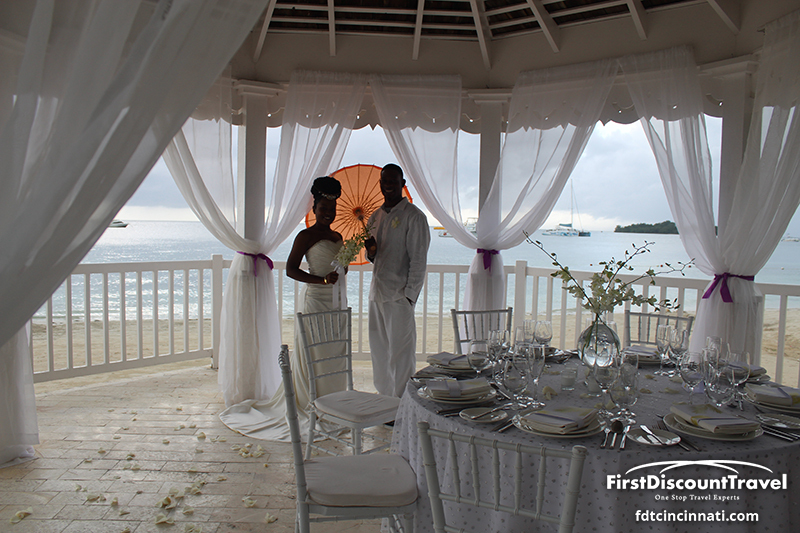 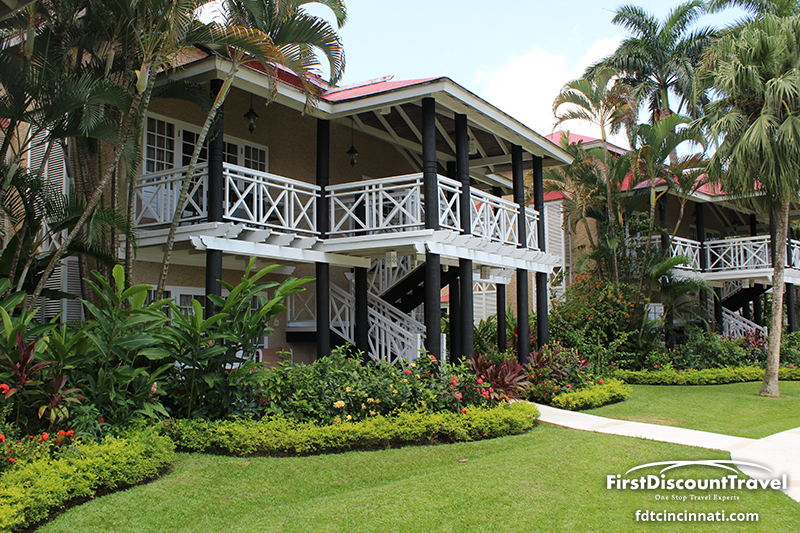 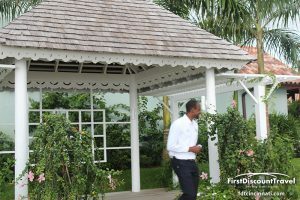 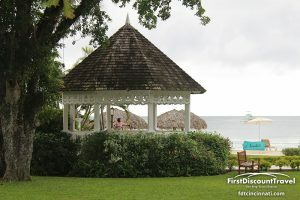 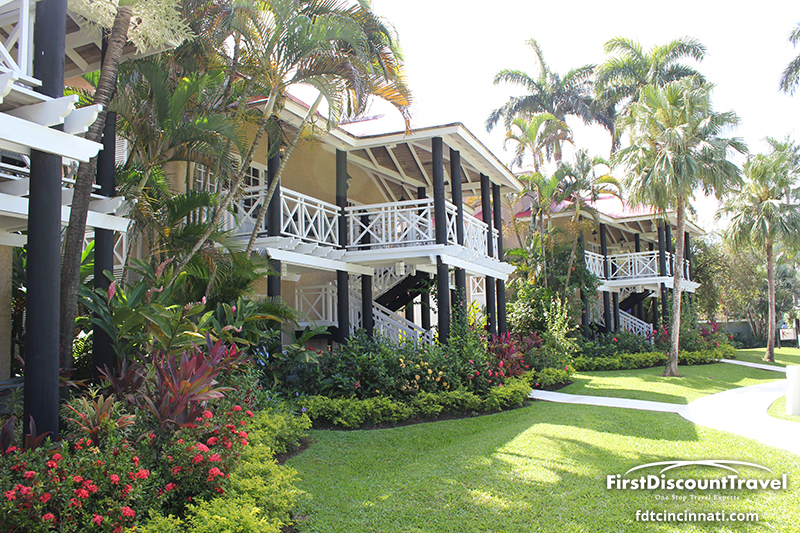 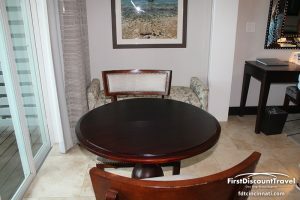 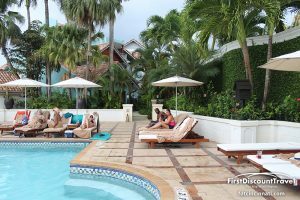 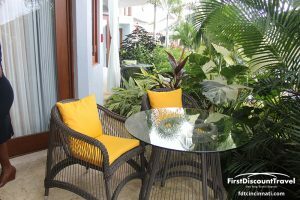 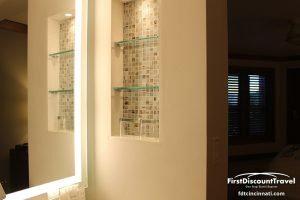 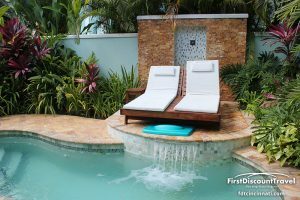 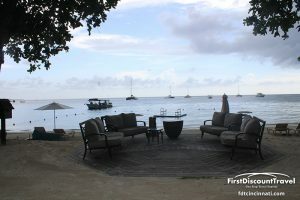 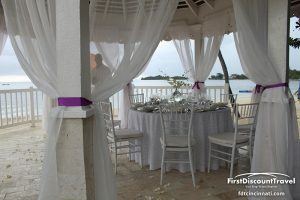 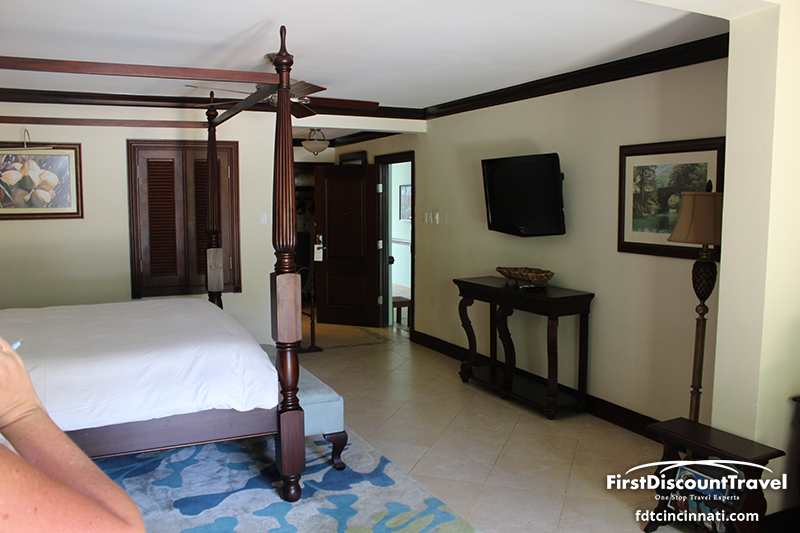 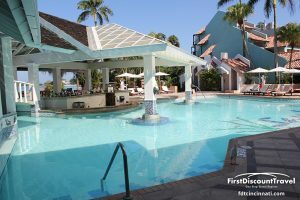 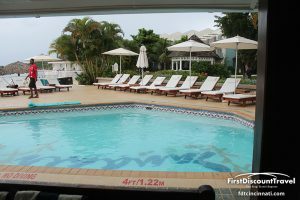 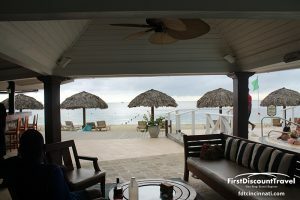 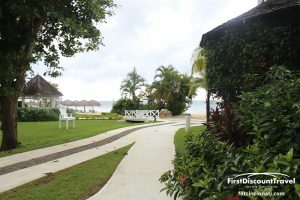 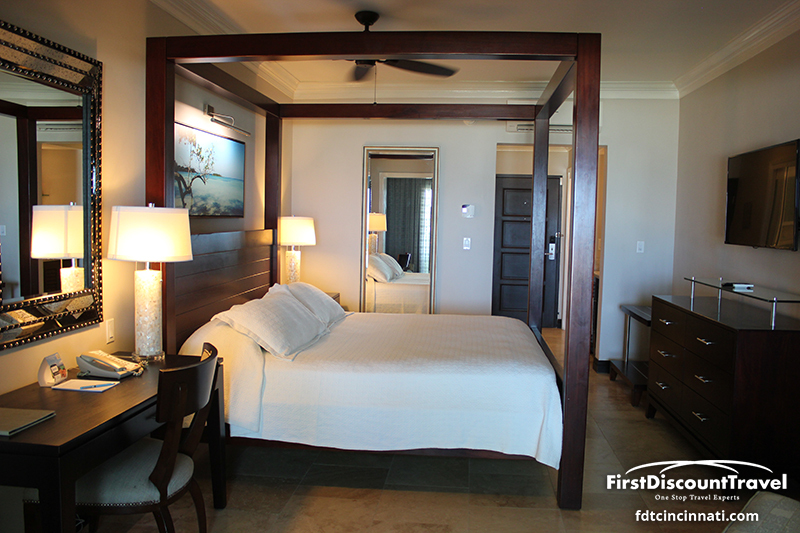 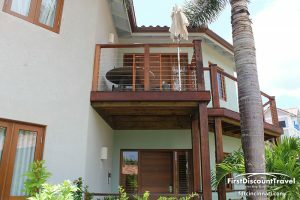 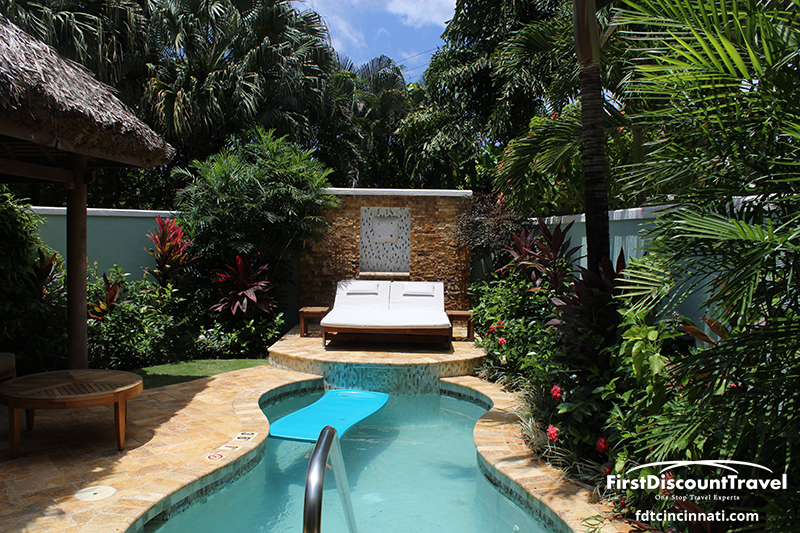 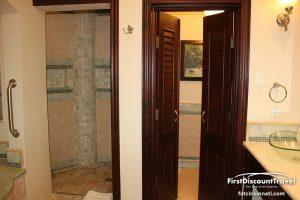 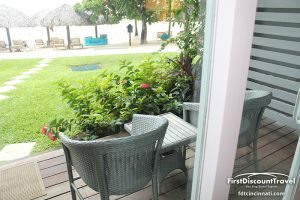 Those looking for it might be better suited to stay at Sandals Whitehouse.